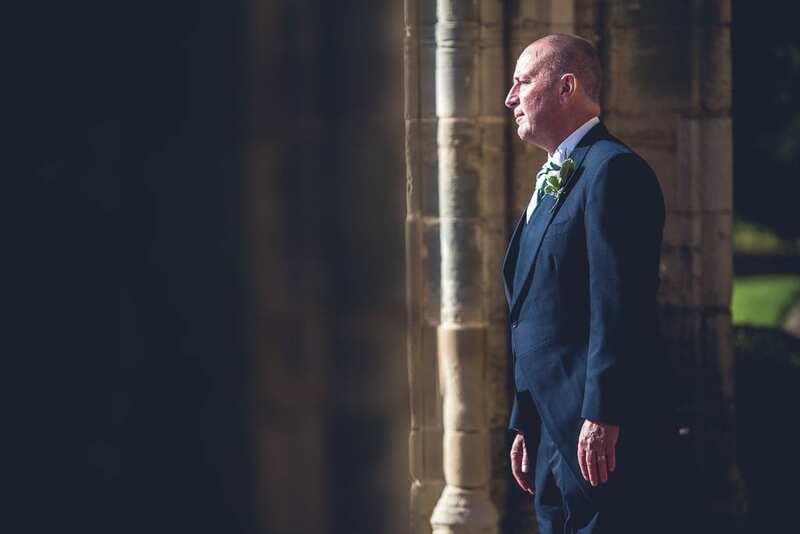 Here we are at the start of an exciting 2019, yet only now have I had chance to look back and take stock of the previous season. 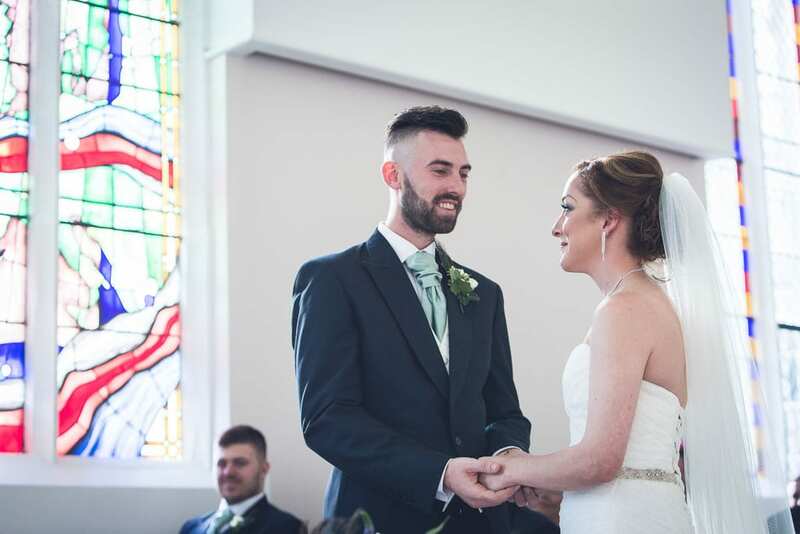 Twenty-eighteen was a wonderful year for being a Nottingham wedding photographer and this was one of the many awesome weddings I had the pleasure of photographing. 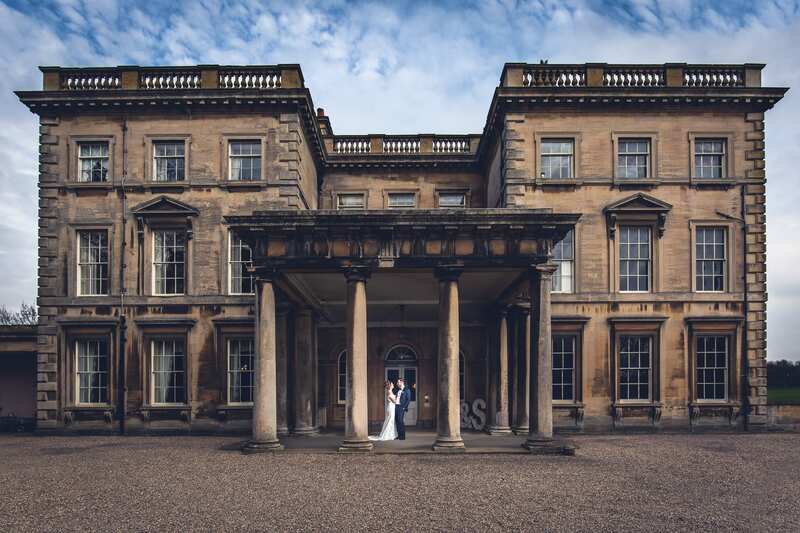 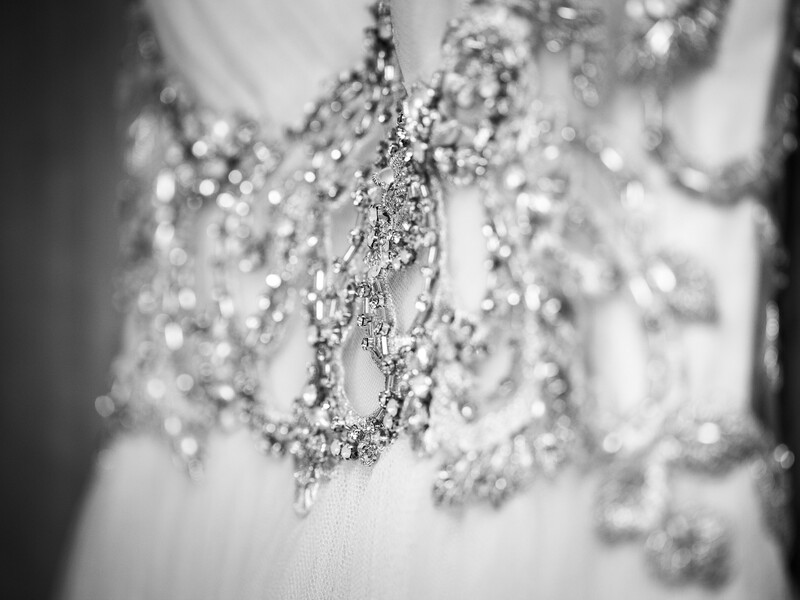 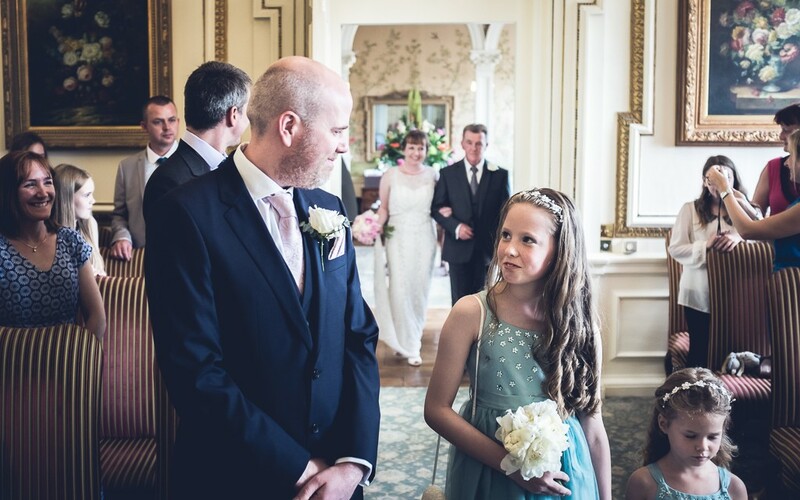 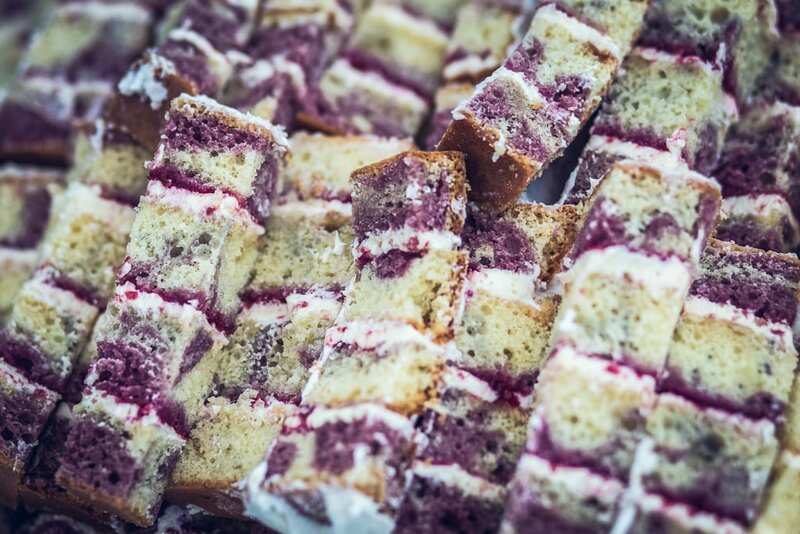 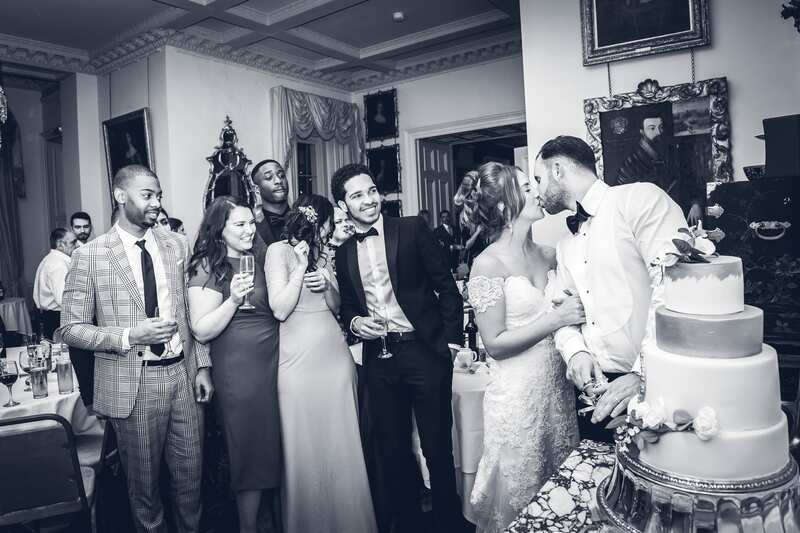 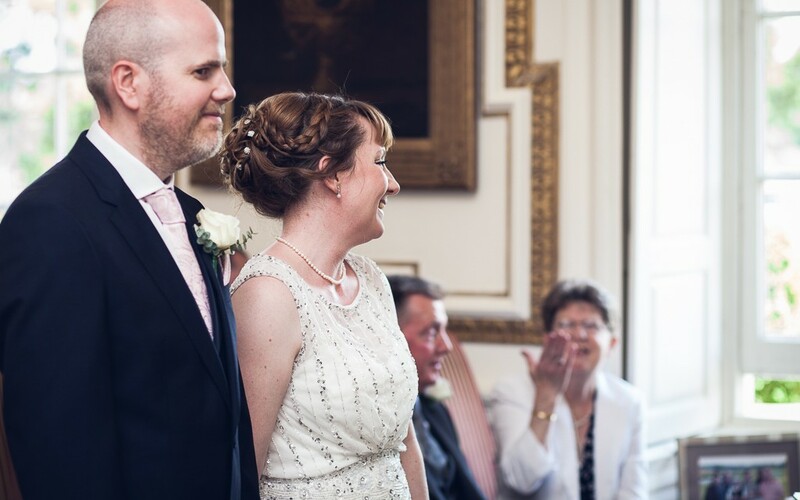 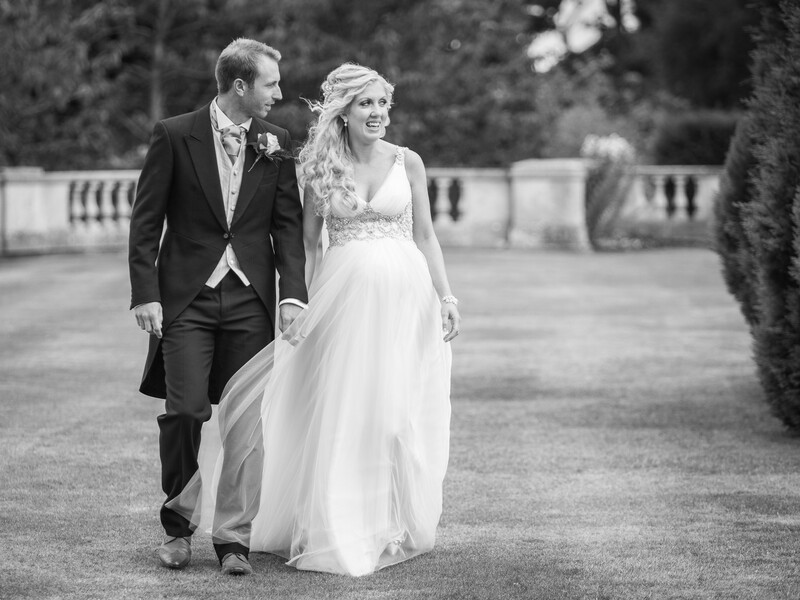 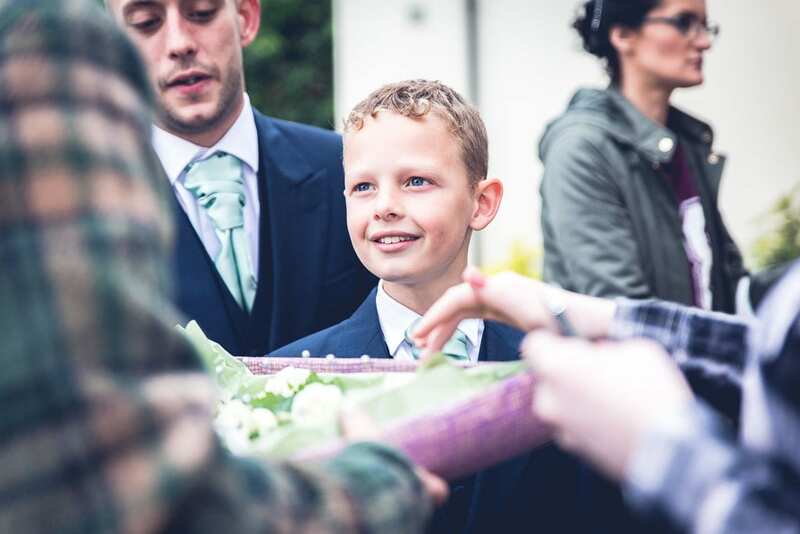 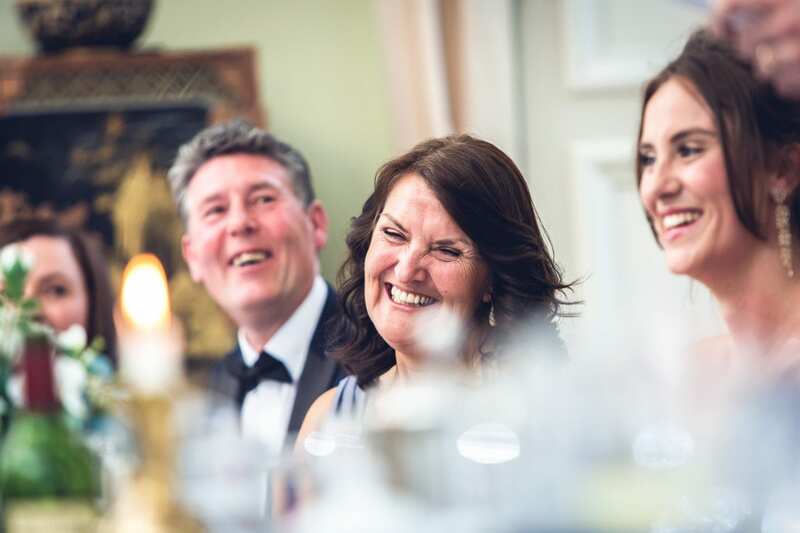 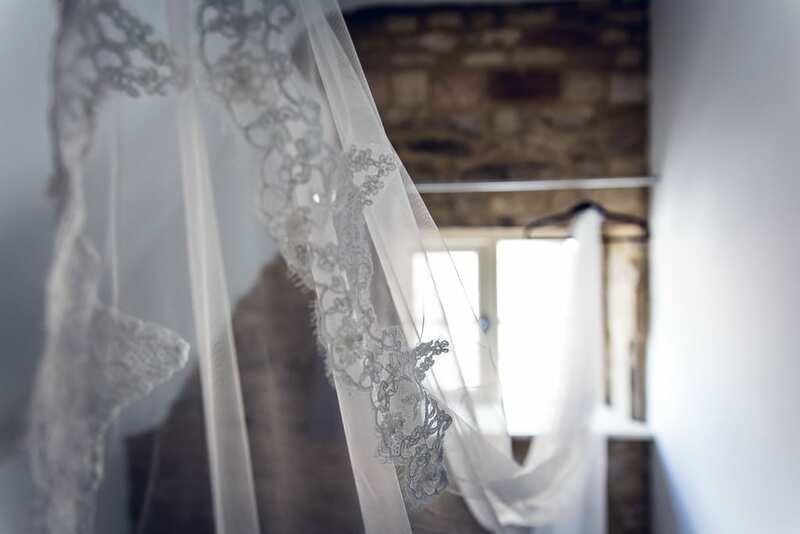 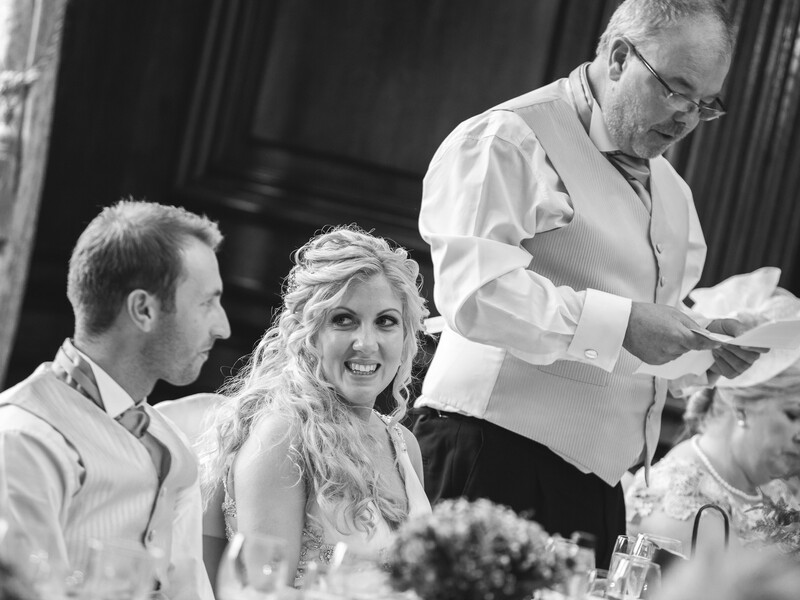 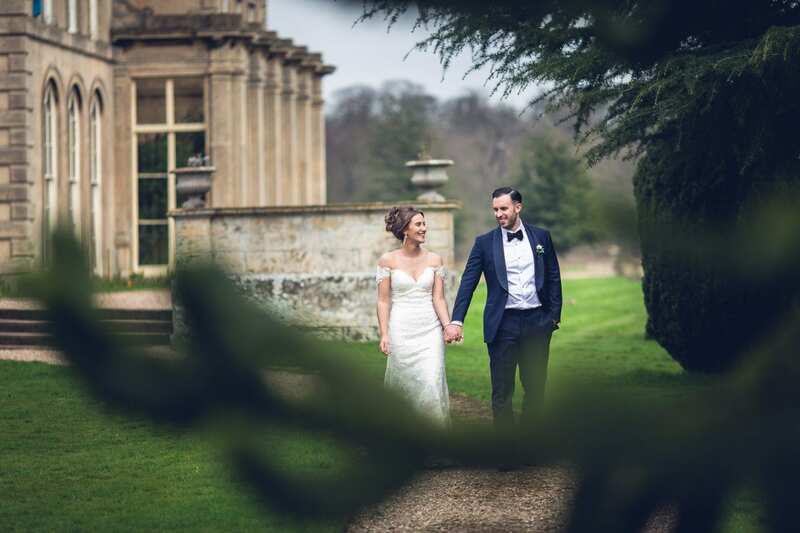 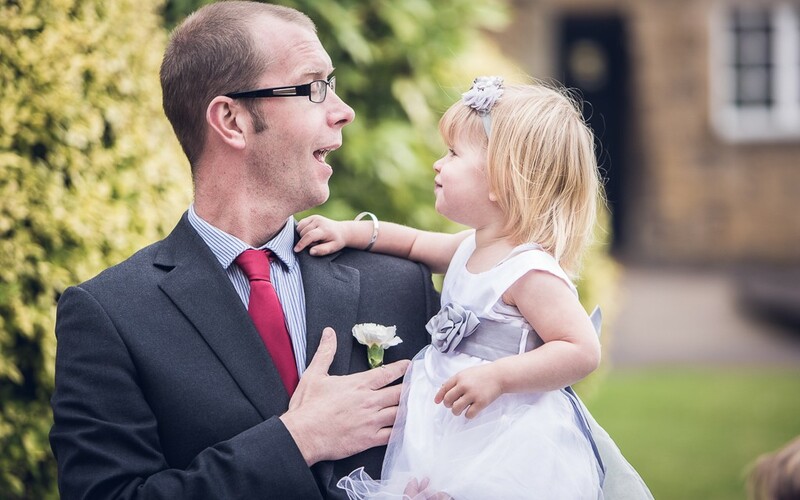 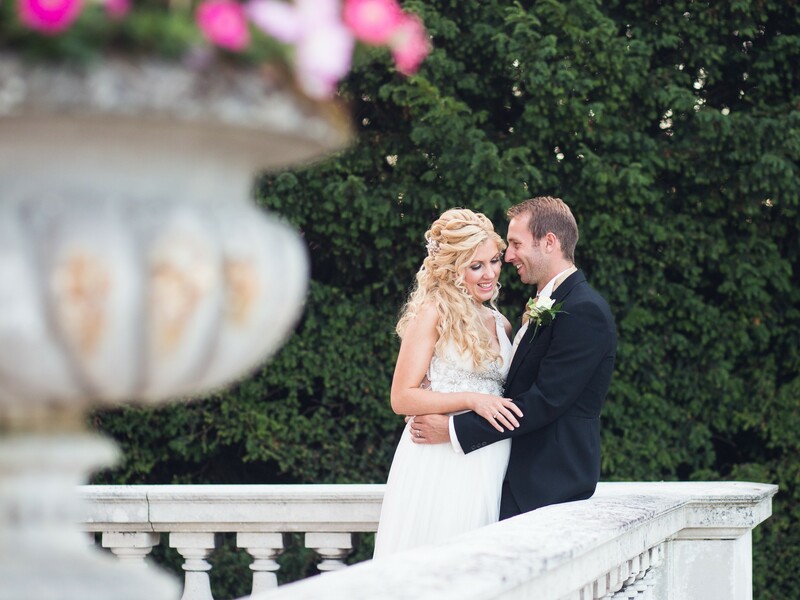 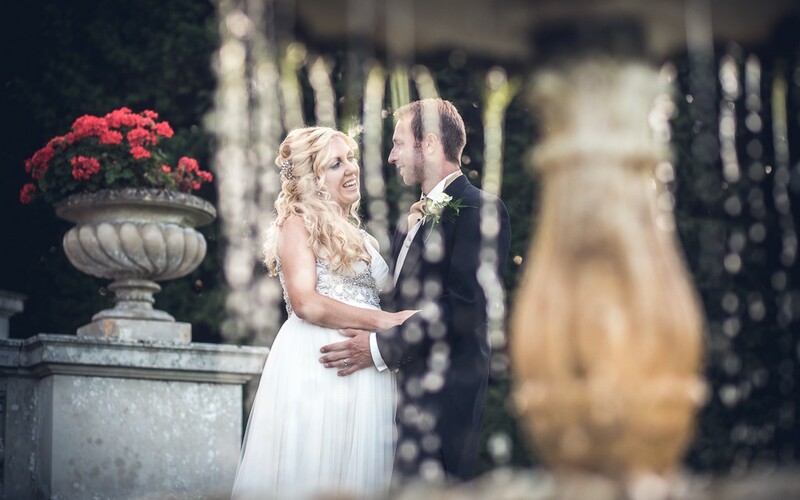 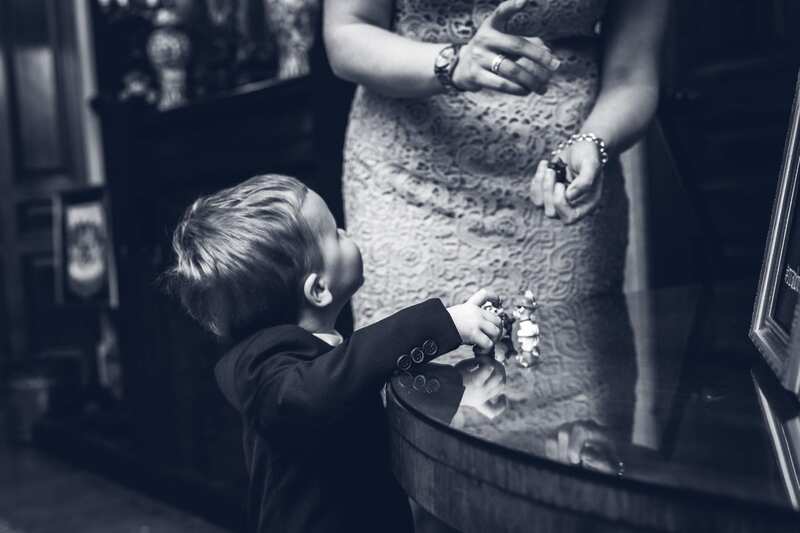 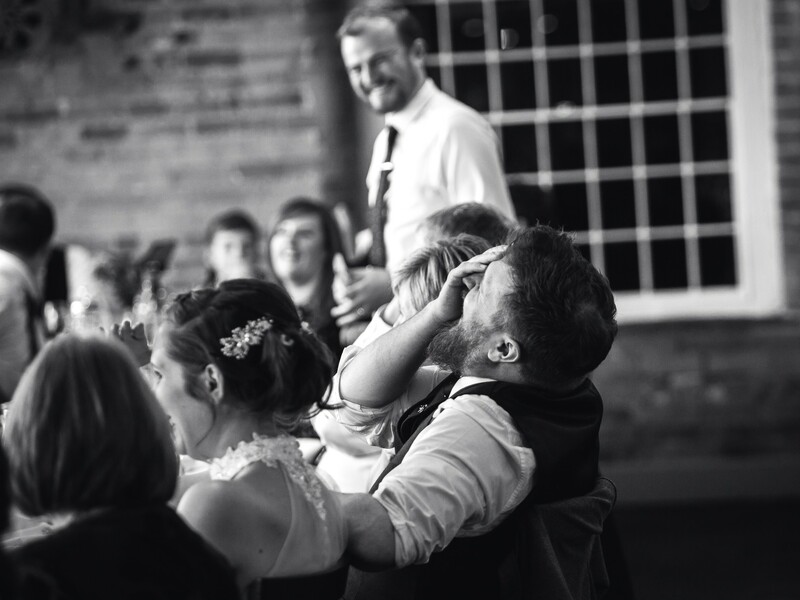 Enjoy a Prestwold Hall wedding through my eyes! 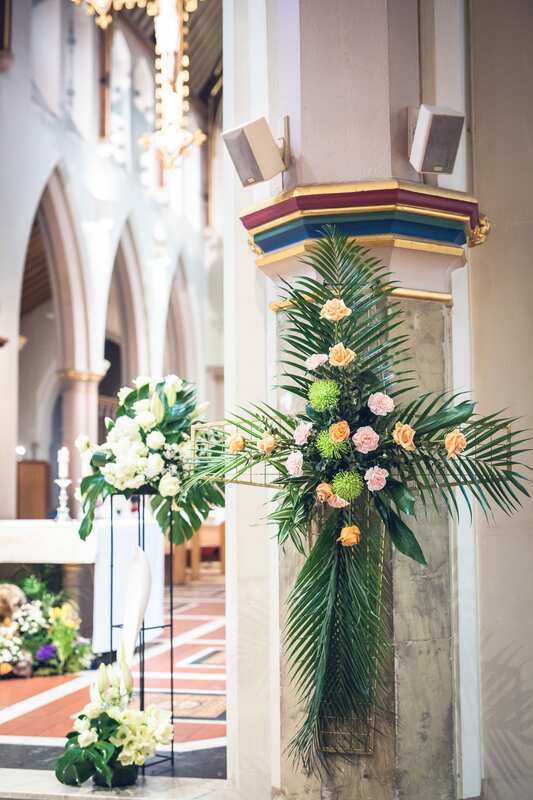 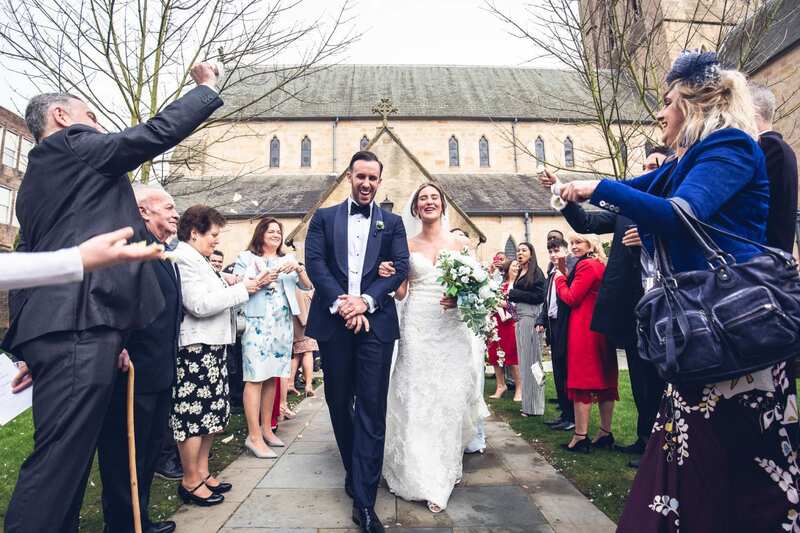 Sam & Joe’s fairytale wedding day began at the rather impressive Cathedral of St. Barnabas in Nottingham on a wet Saturday in early april. 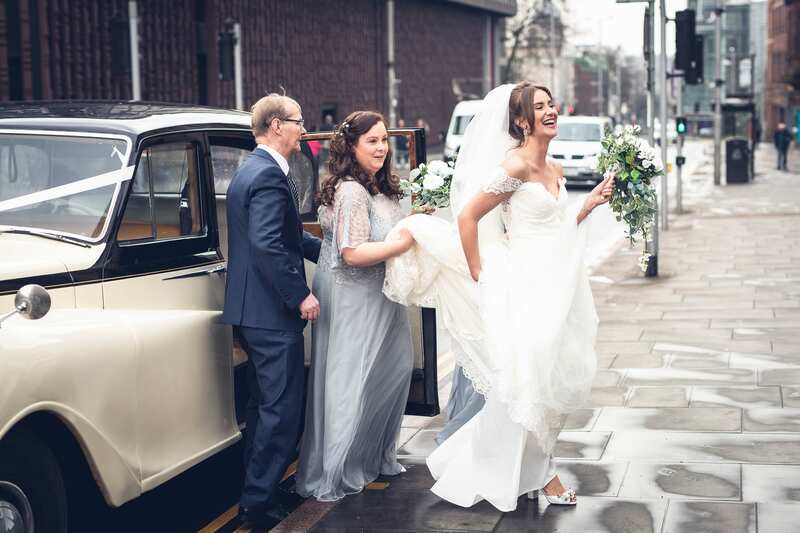 Arriving in style, Sam was full of laughter right from the off and not letting the conditions dampen her spirits. 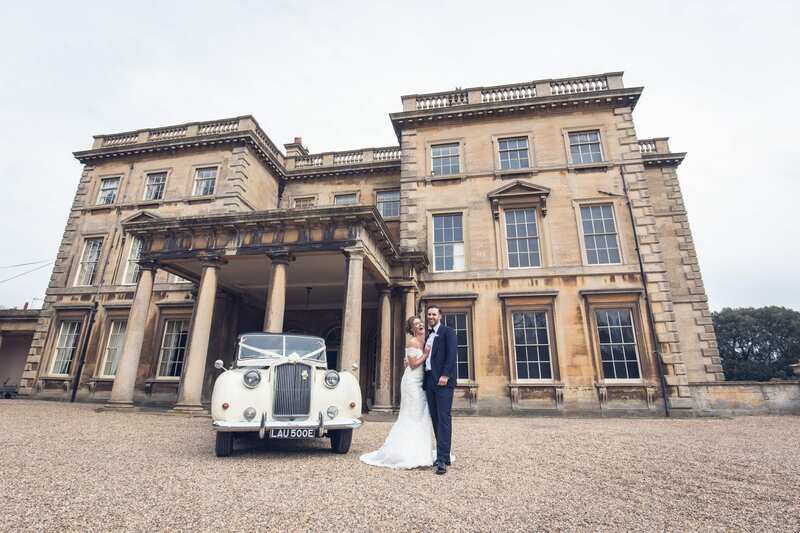 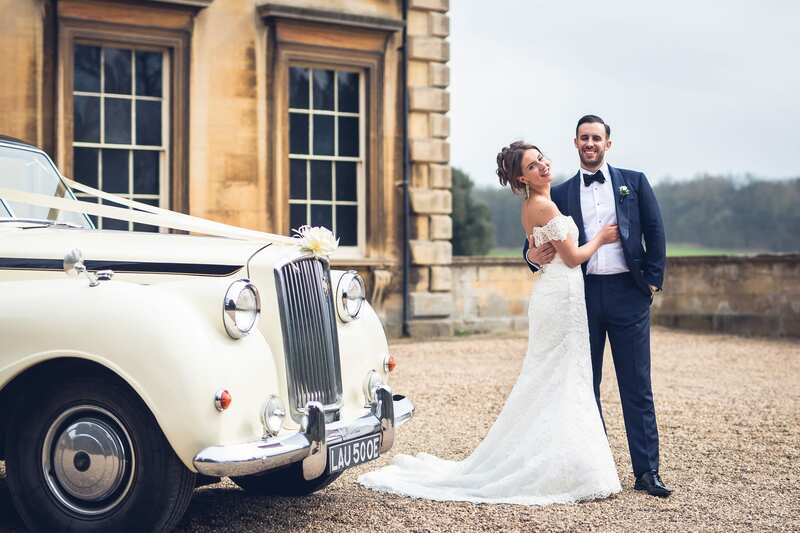 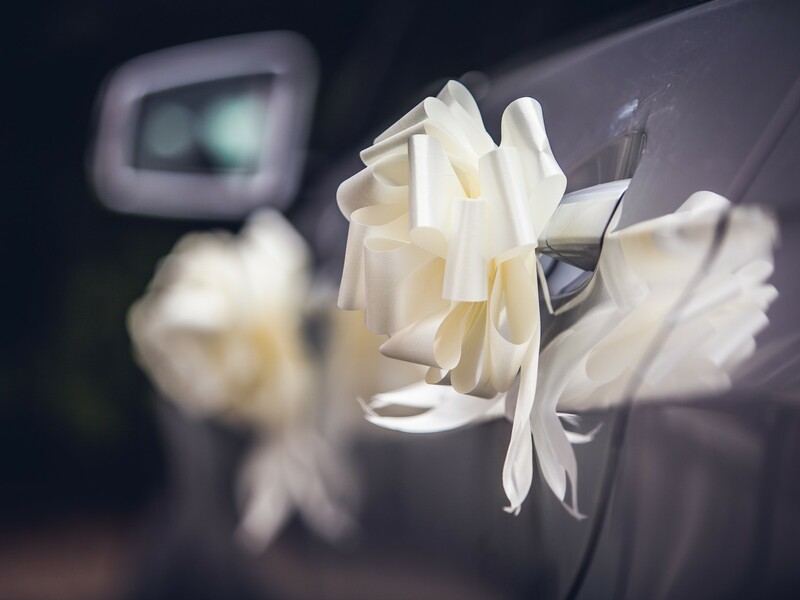 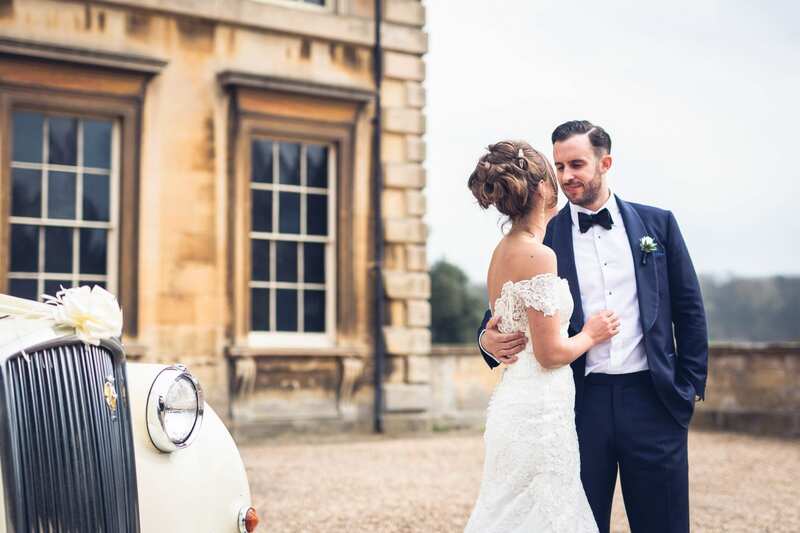 Following a beautiful ceremony, we headed off on a 30 minute drive into the Leicestershire contryside and to the stunning Prestwold Hall wedding venue. 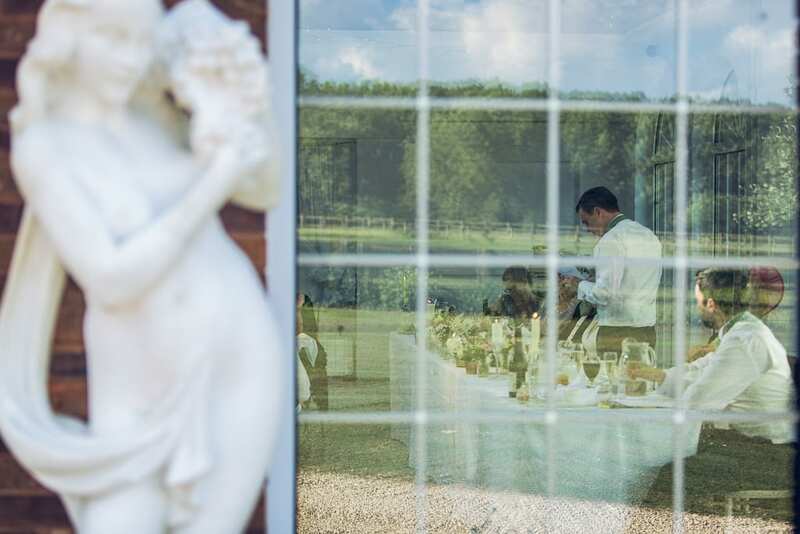 With it’s distinct Italian design work inside, this made a very fitting venue for these guys and their guests. 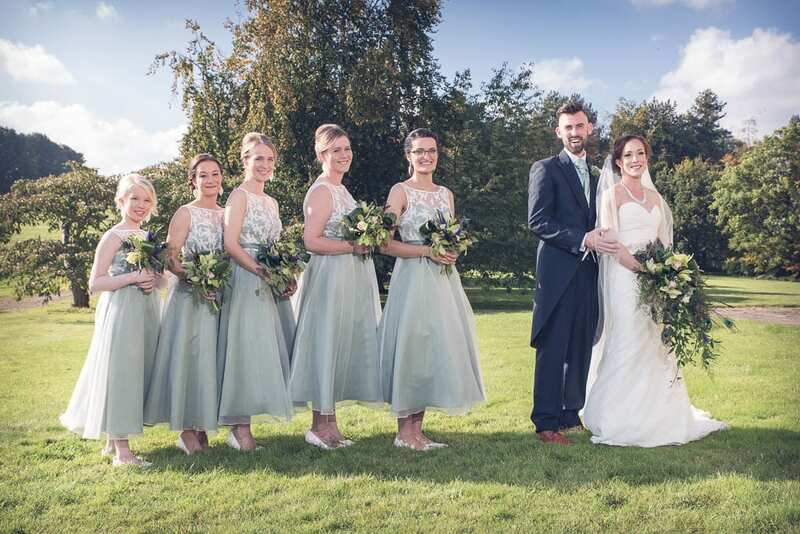 The day ran faultlessly, thanks to the attentive nature of the Prestwold Hall wedding venue’s staff. 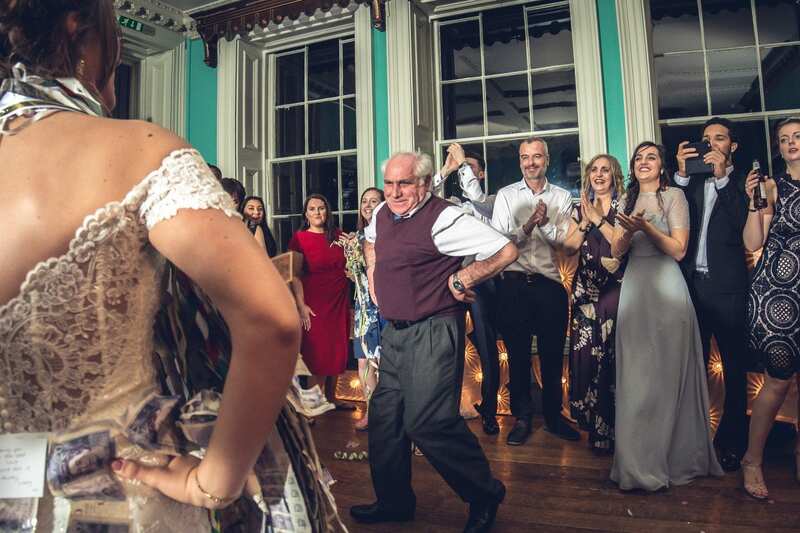 I absolutely loved the traditional ‘tarantella’ dance at the end of the evening! 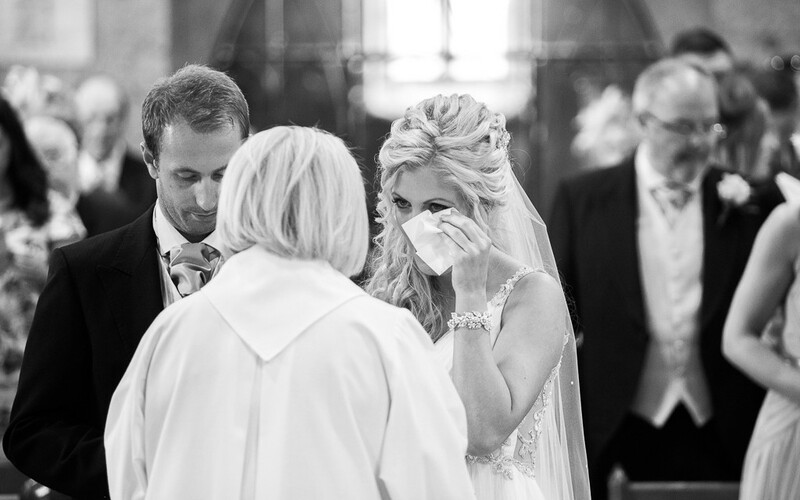 Anyhow, enough from me, so I’ll let the pictures tell you the story! 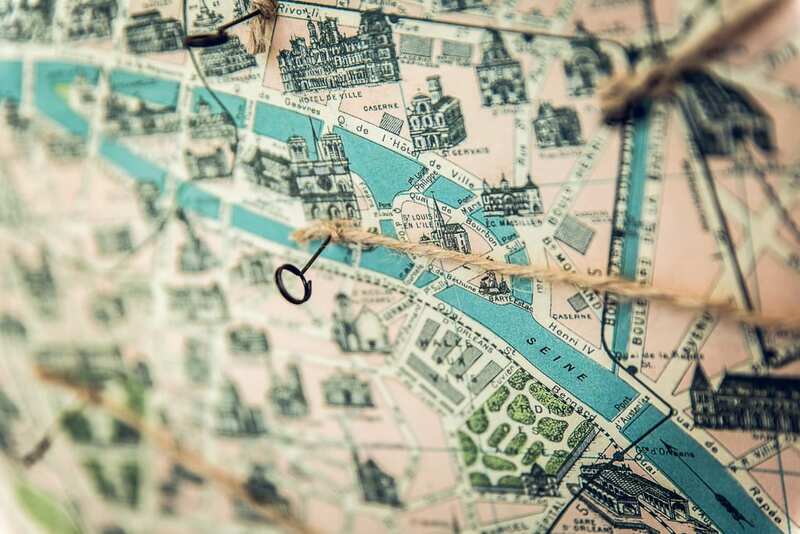 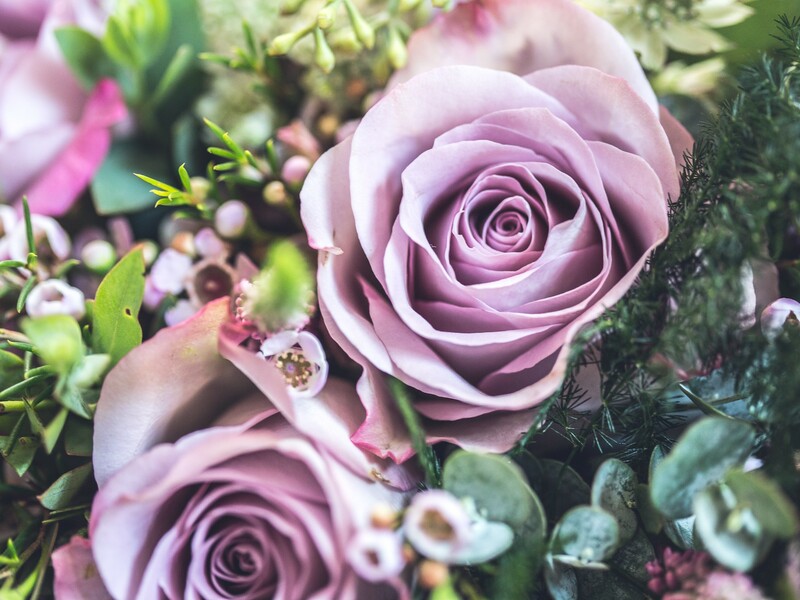 Thanks for taking time to check out my blog! 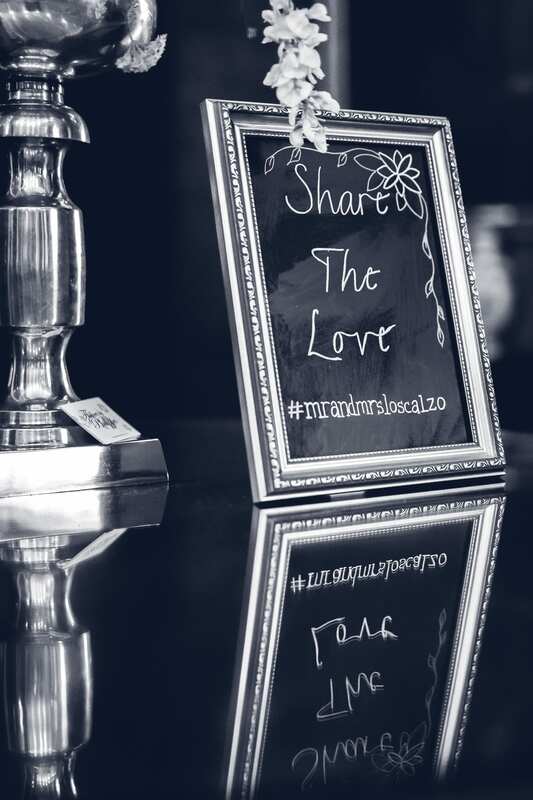 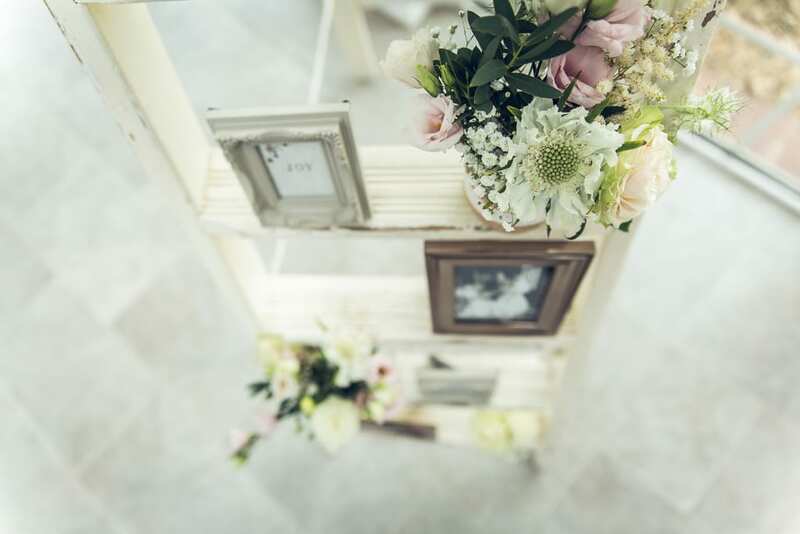 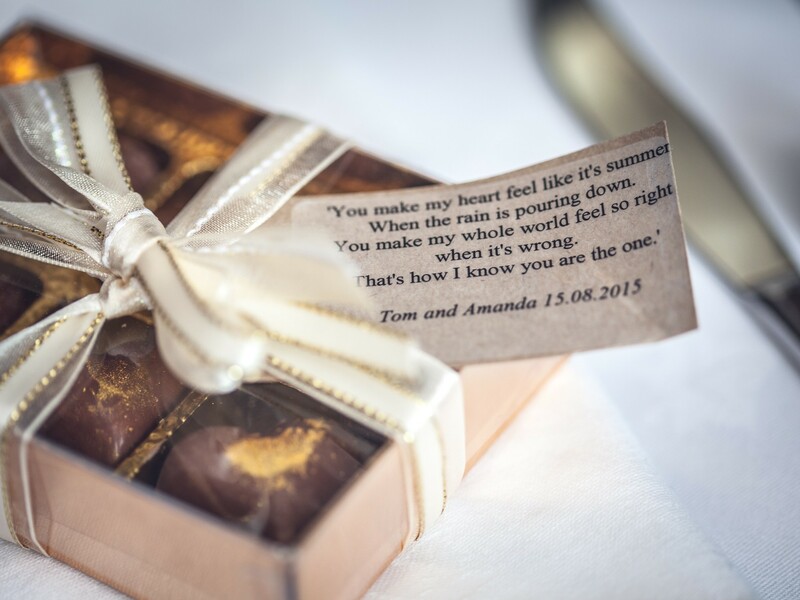 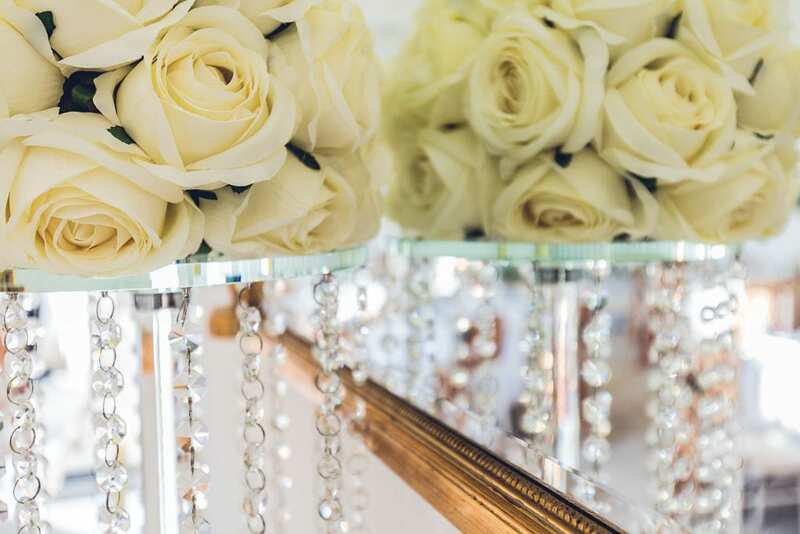 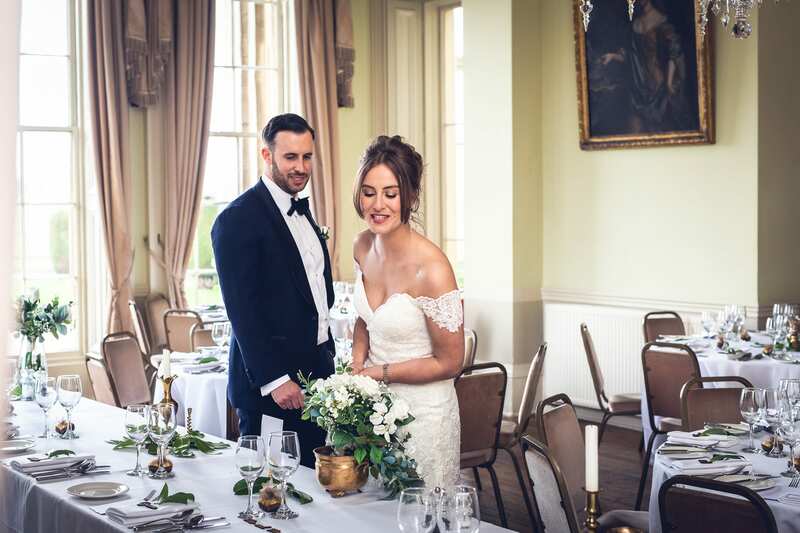 If you are planning your big day at Prestwold Hall wedding venue, then get in touch…I would simply love to share your big day with you! 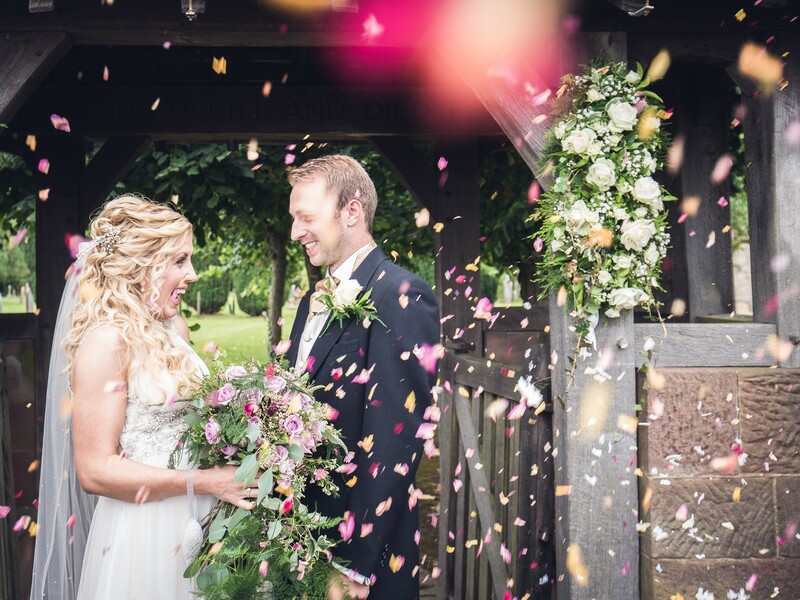 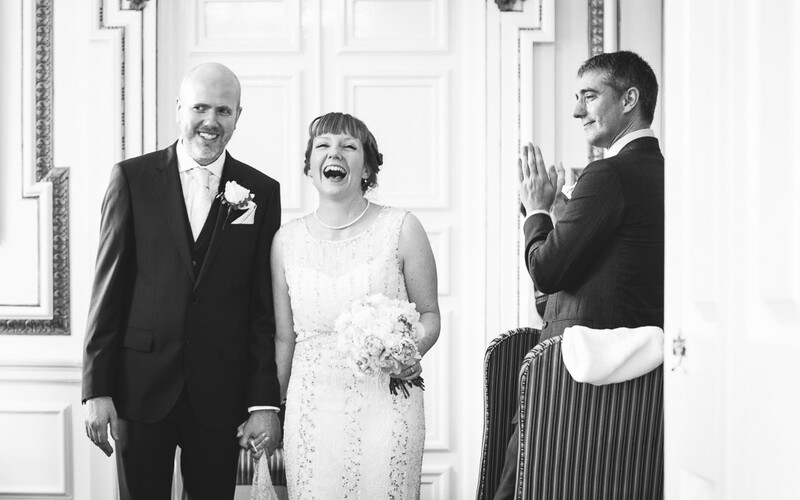 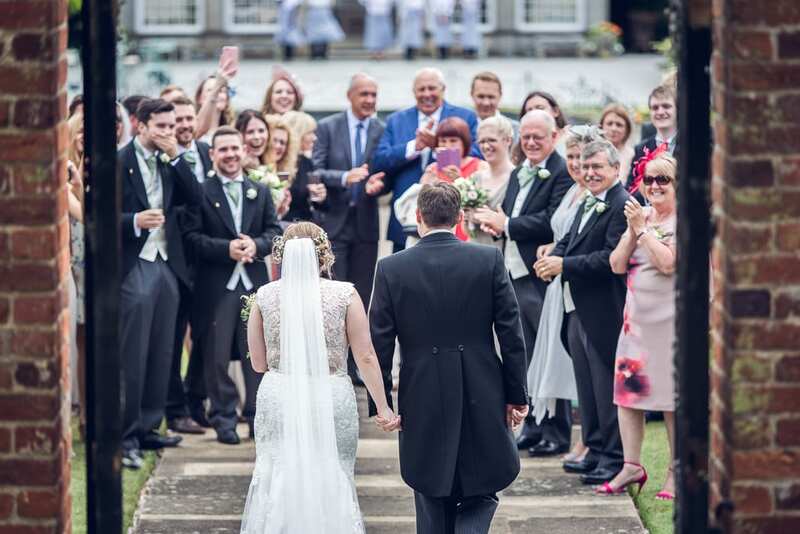 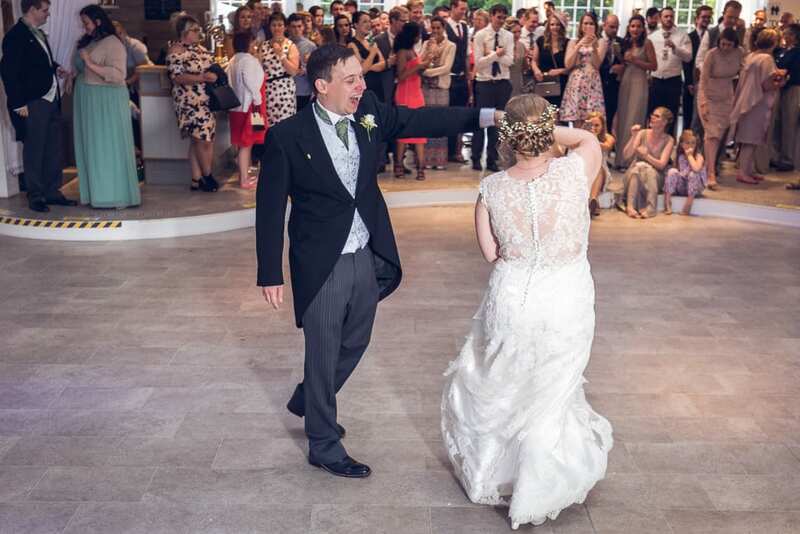 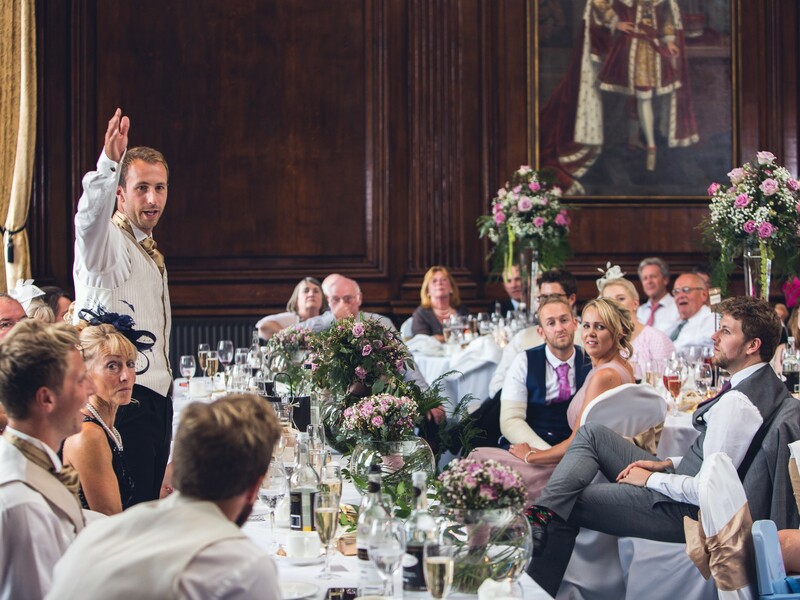 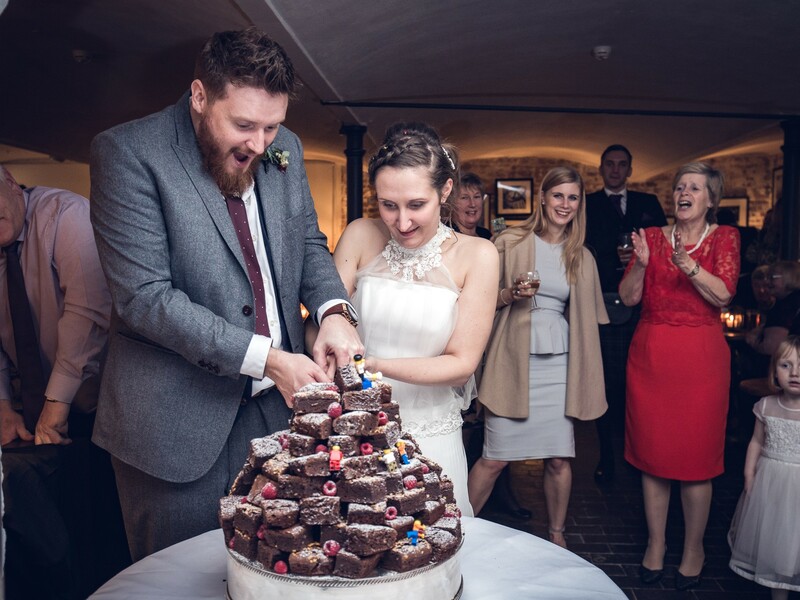 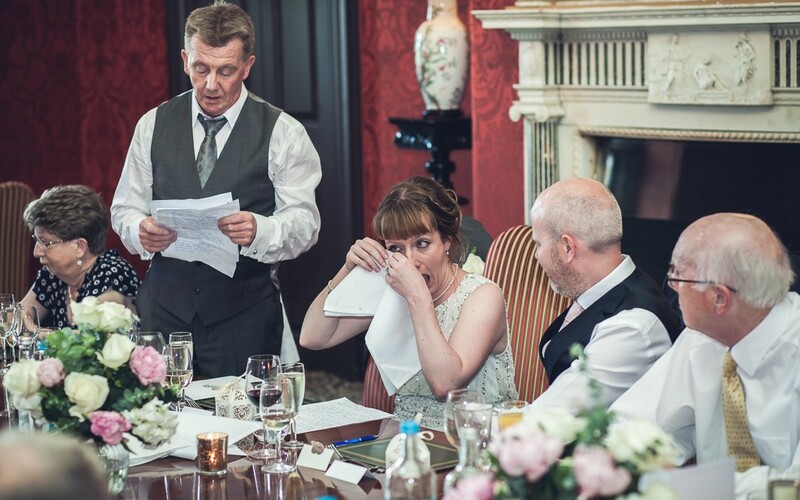 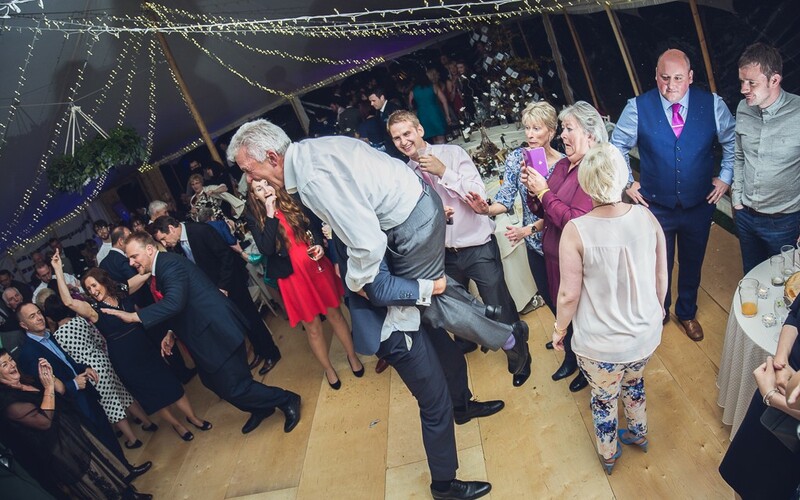 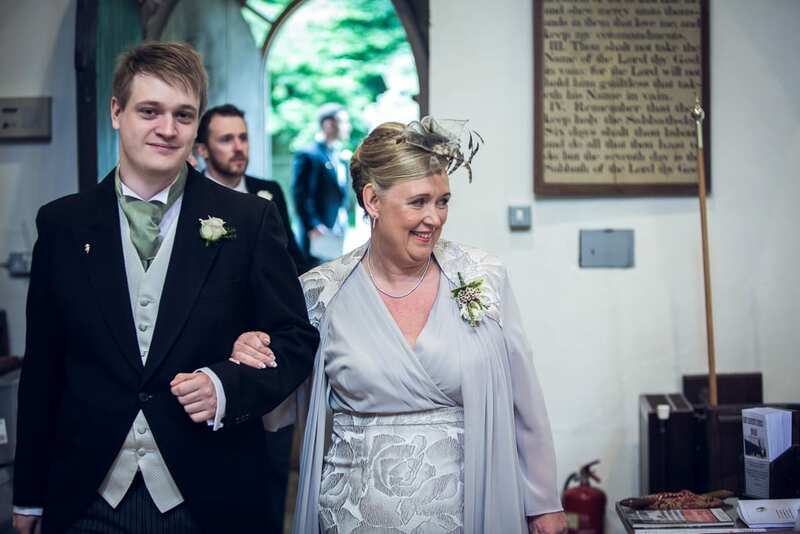 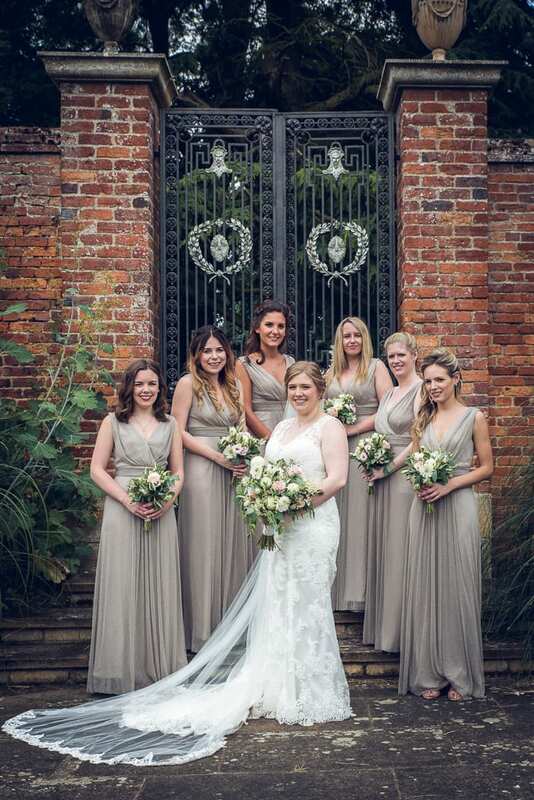 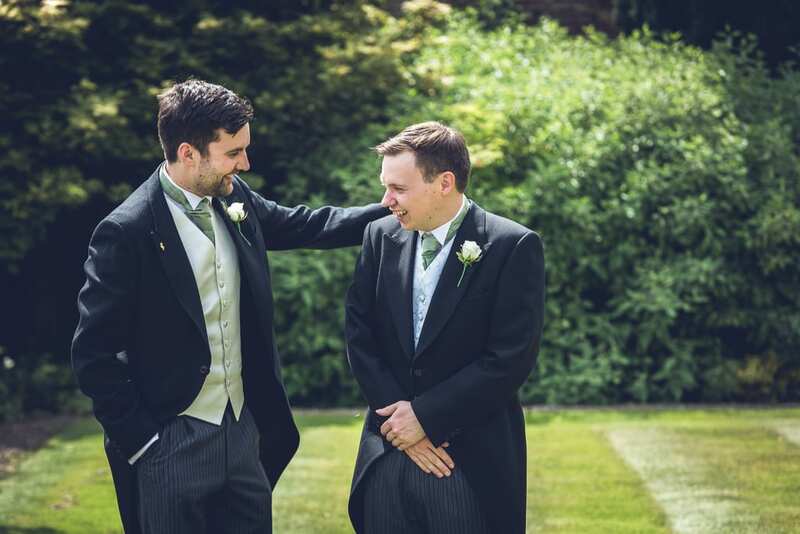 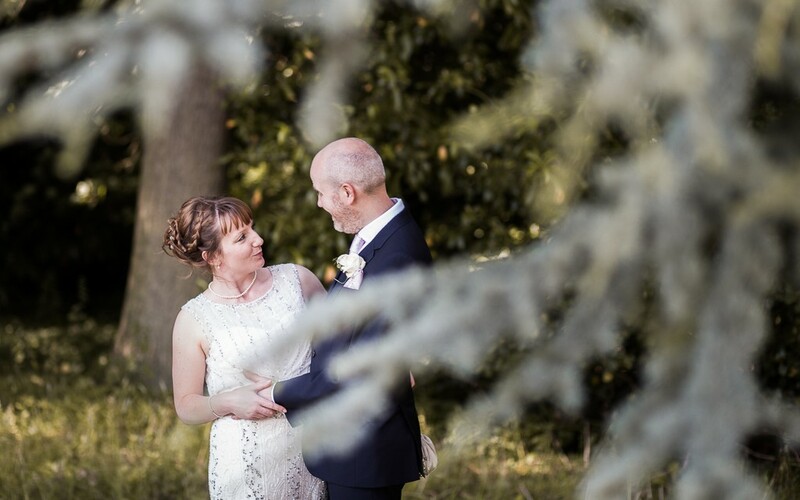 Let me tell you a little bit about Tom & Helen’s fabulous Irnham Hall wedding! 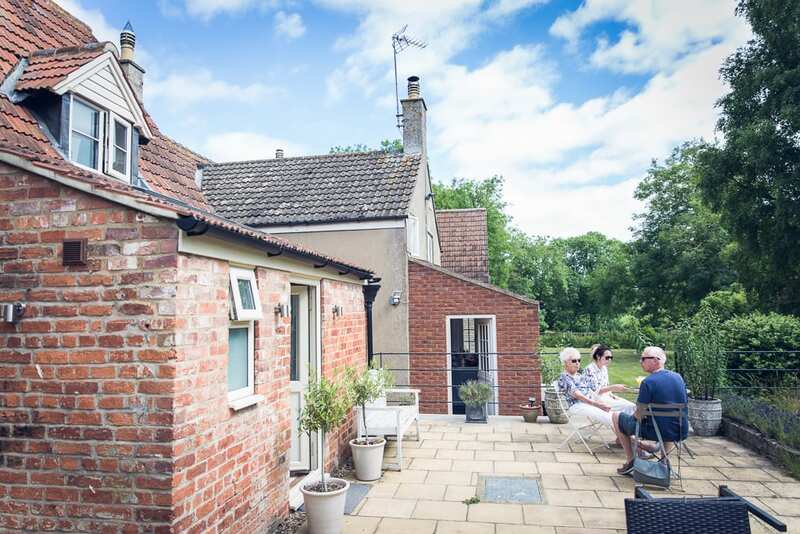 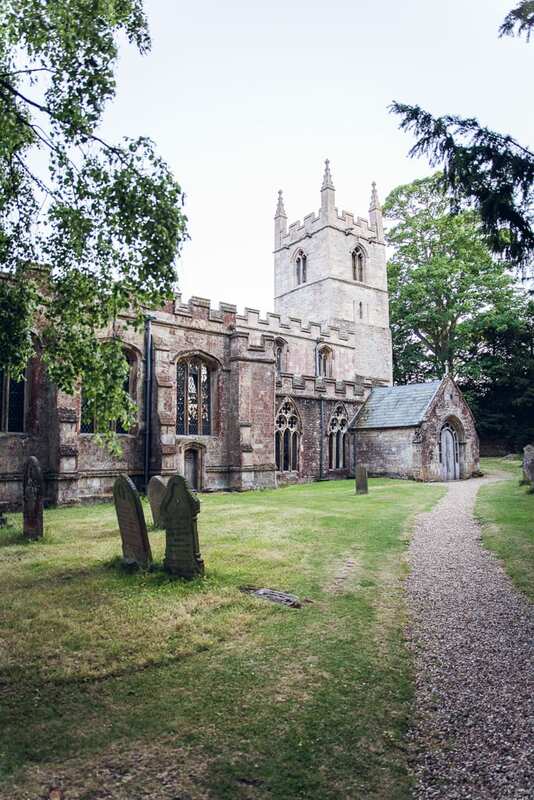 The sleepy village of Irnham is nestled deep in a picturesque corner of rural Lincolnshire. 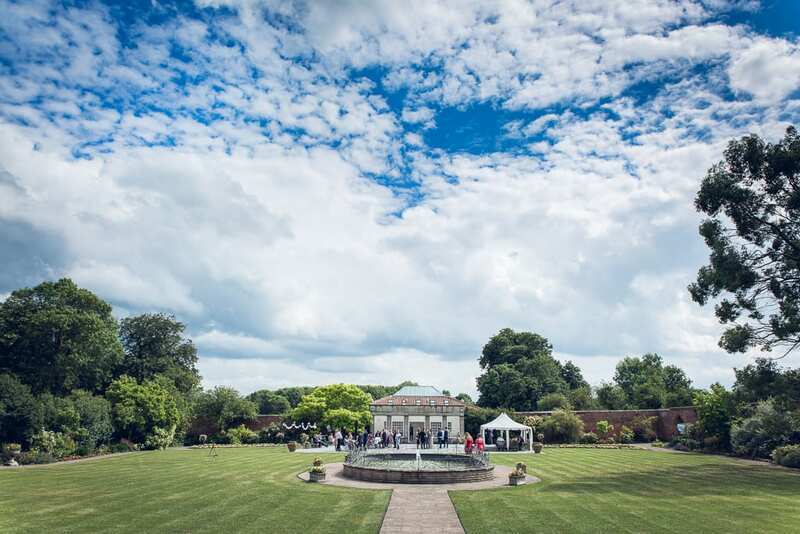 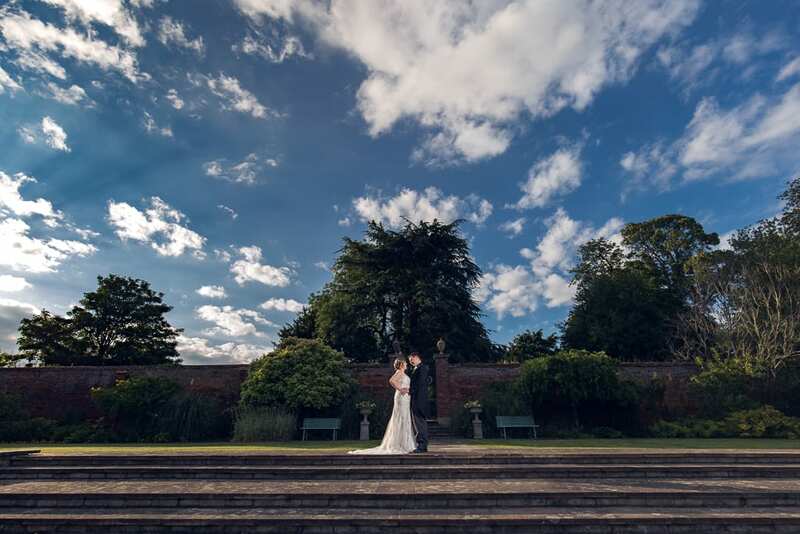 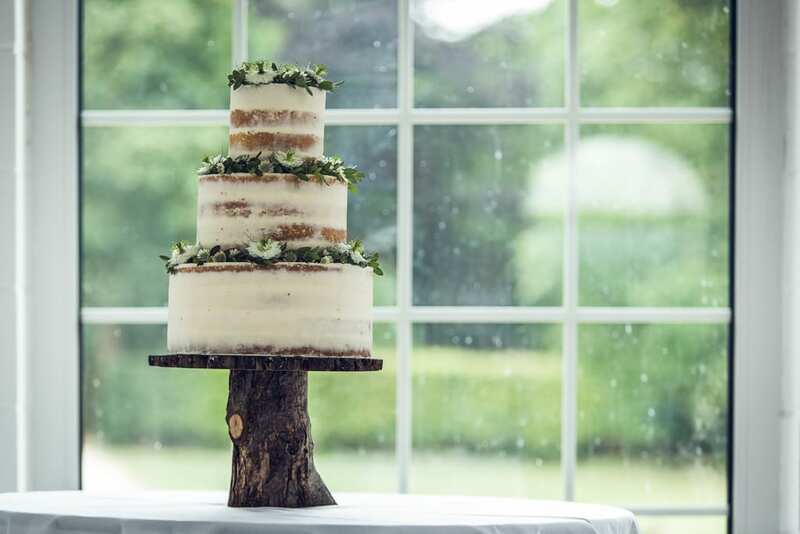 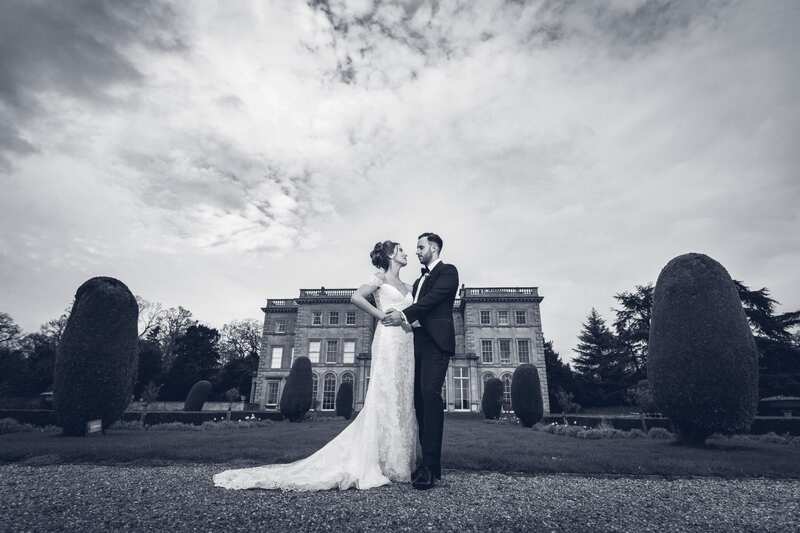 It’s focal point is the stunning Irnham Hall wedding venue, which is home to the Benton-Jones family and host to my wonderful couple’s big day. 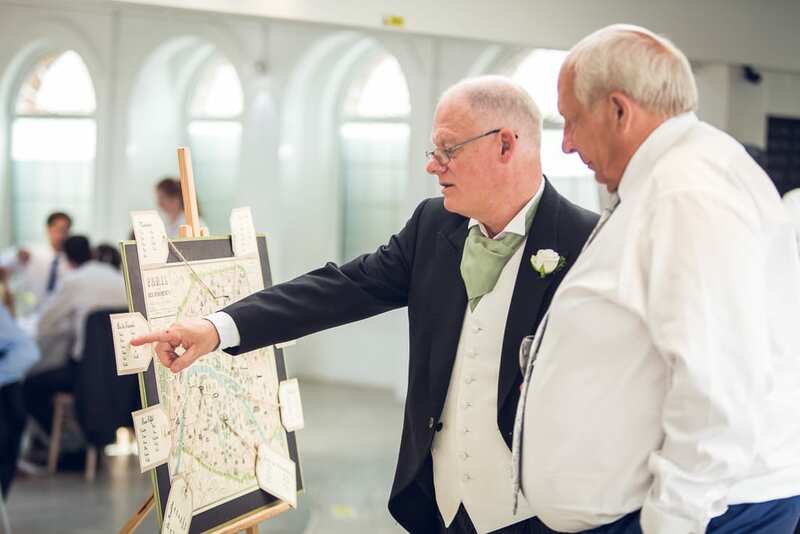 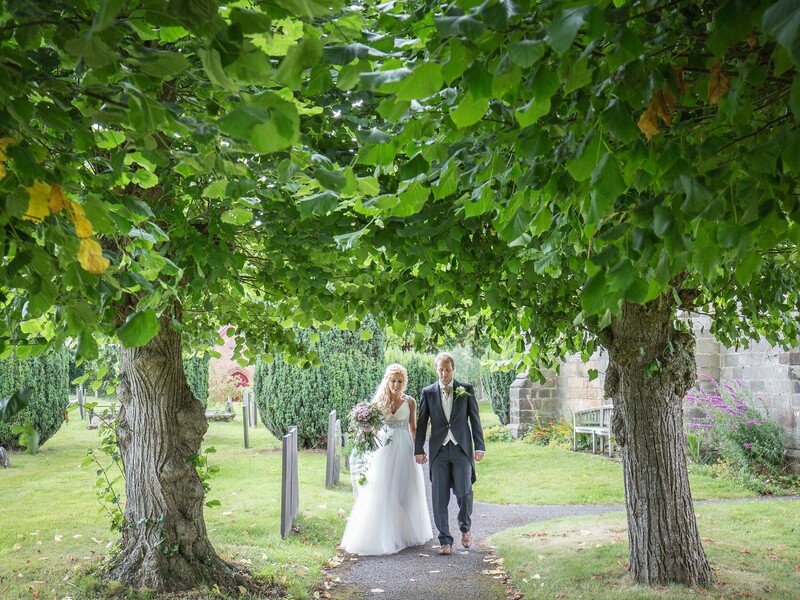 The sense of excitement and anticipation was immediately evident as I arrived at the bridal preparation cottages, situated just a short walk from the majestic St. Andrew’s church, where Tom & Helen would exchange their vows. 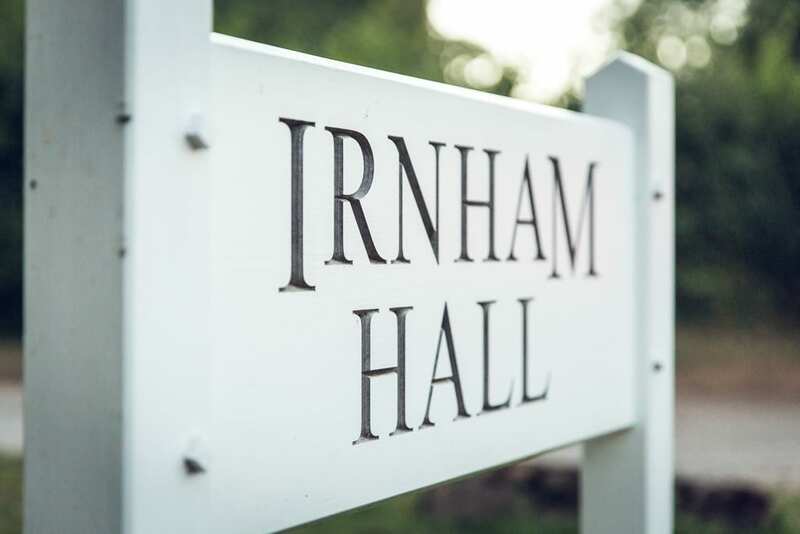 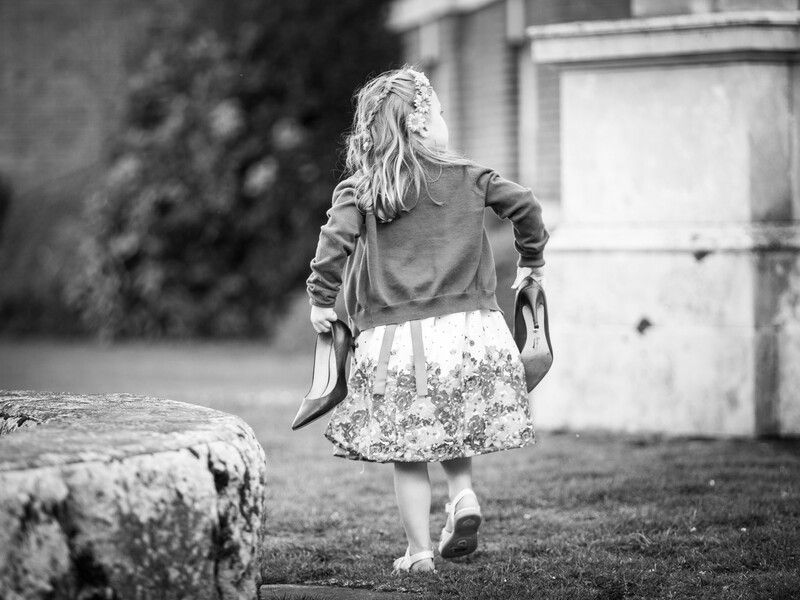 After the ceremony, a short stroll through the grounds led us to Irnham Hall itself. 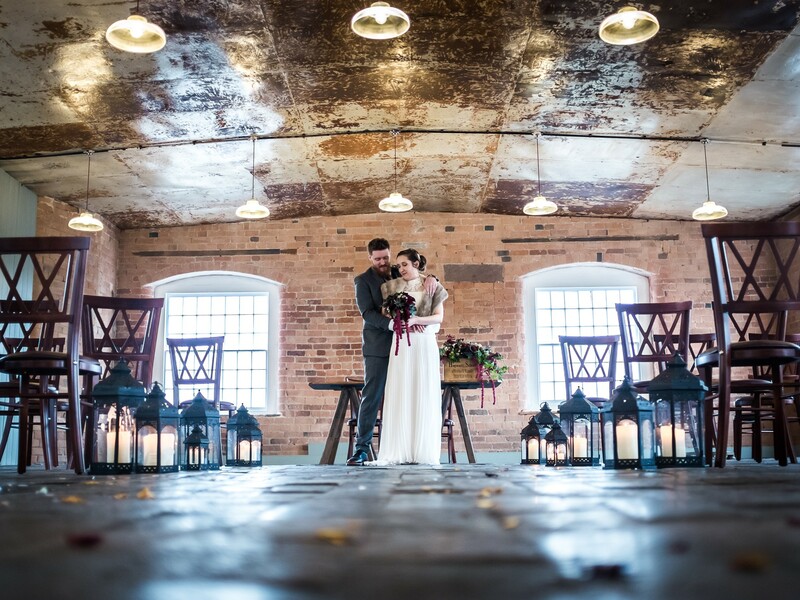 We were greeted by a huge sense of open space, which suits my style of photography perfectly! 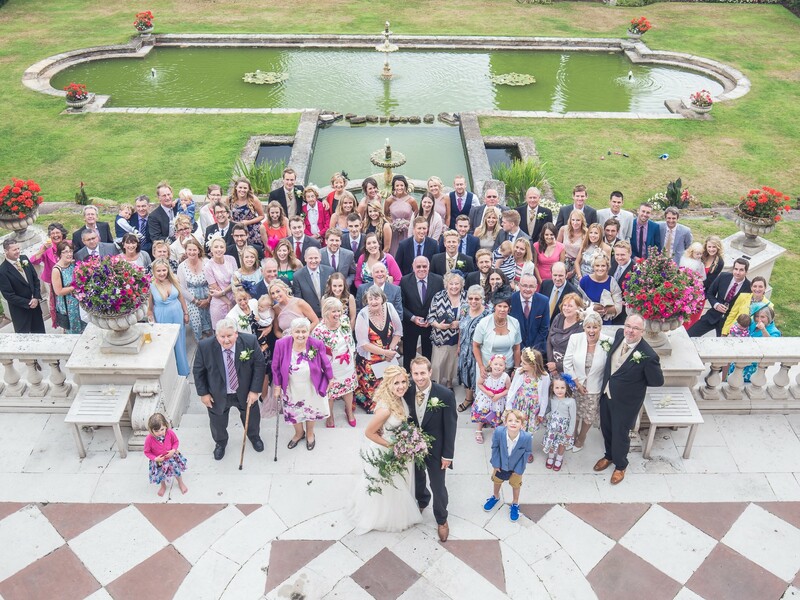 The vast grounds made for some fantastic group photos in the walled garden. 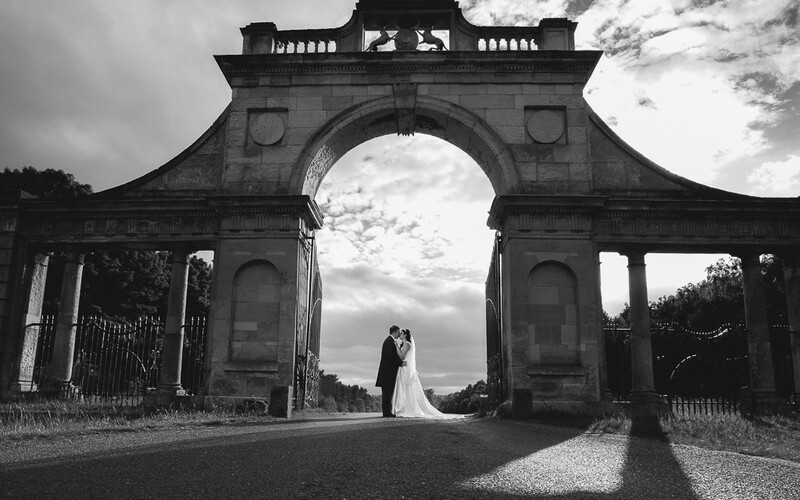 Also we managed to steal away from the crowd in order to create some epic images in idylic settings. 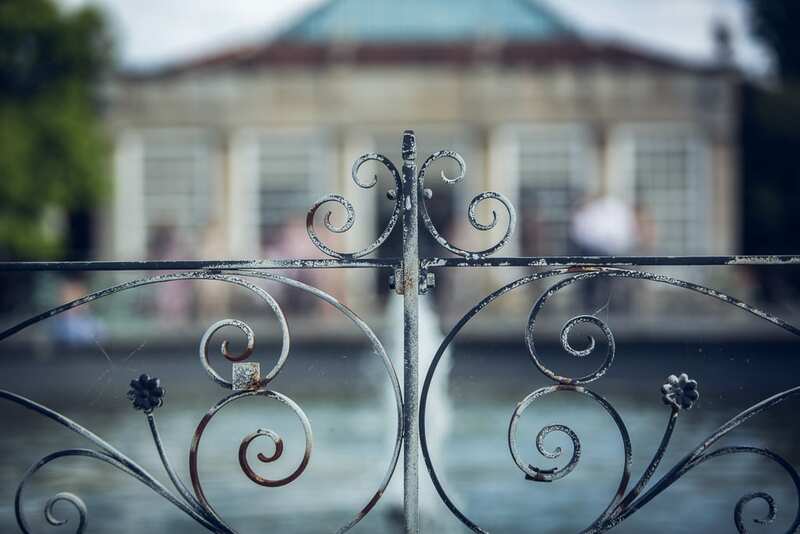 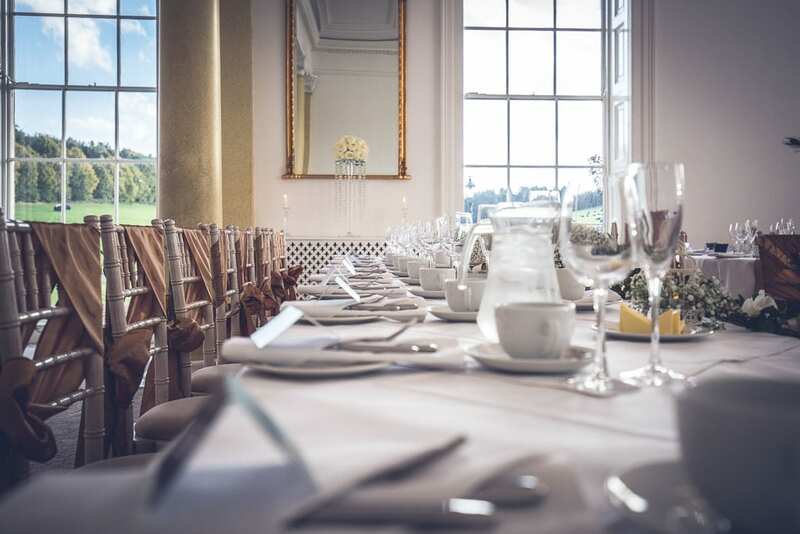 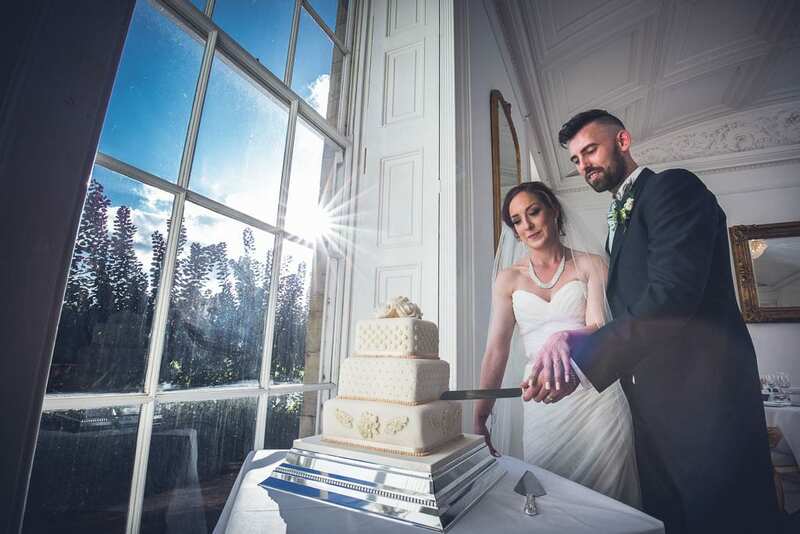 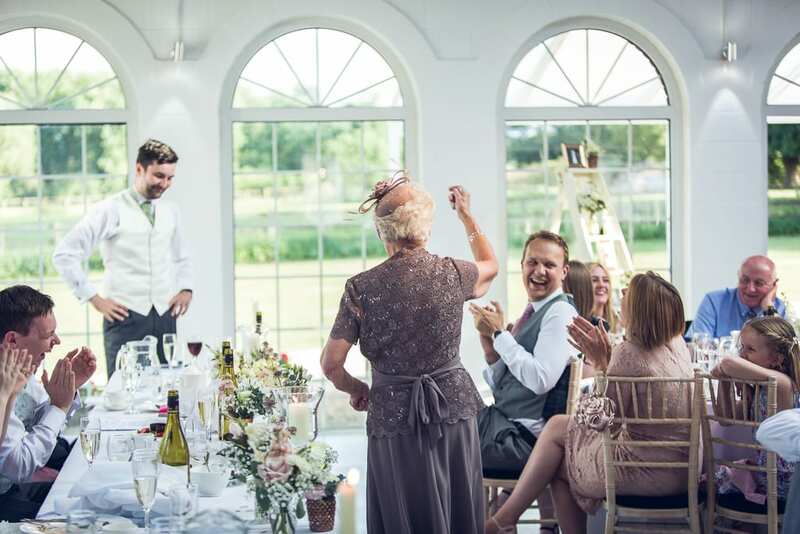 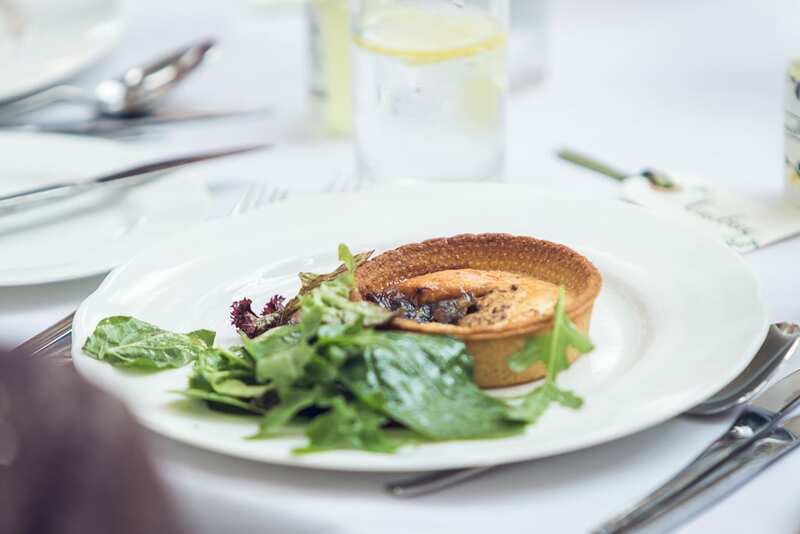 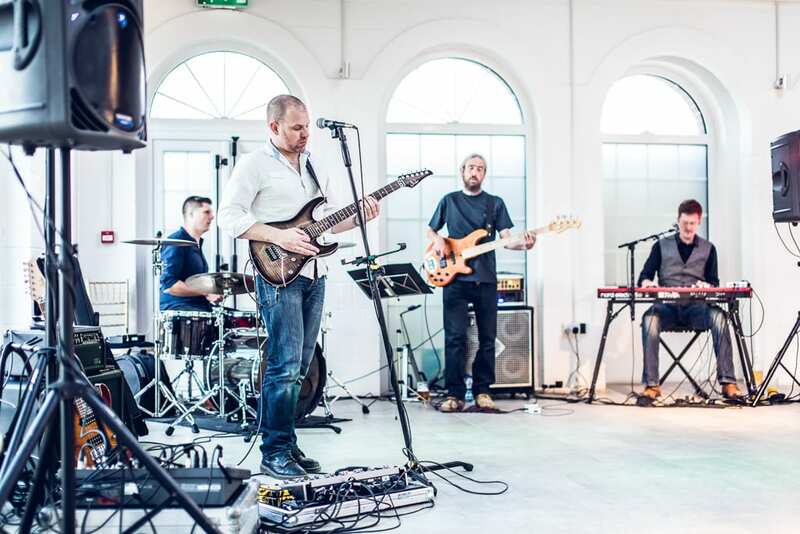 The wedding breakfast was served in the orangery, where the natural light poured in from all angles and as a result made for simply the best reception shots! 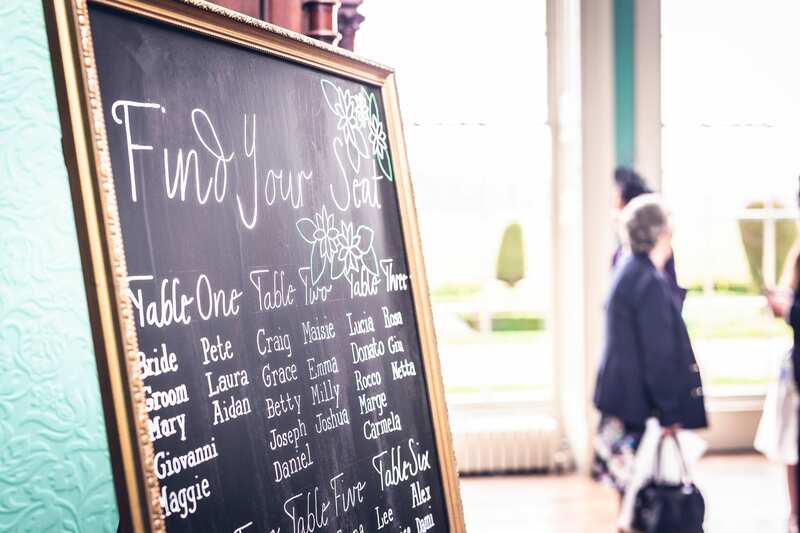 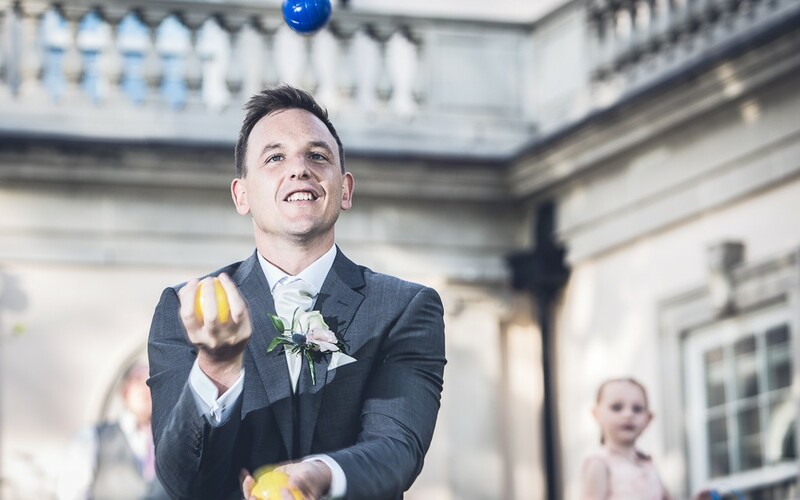 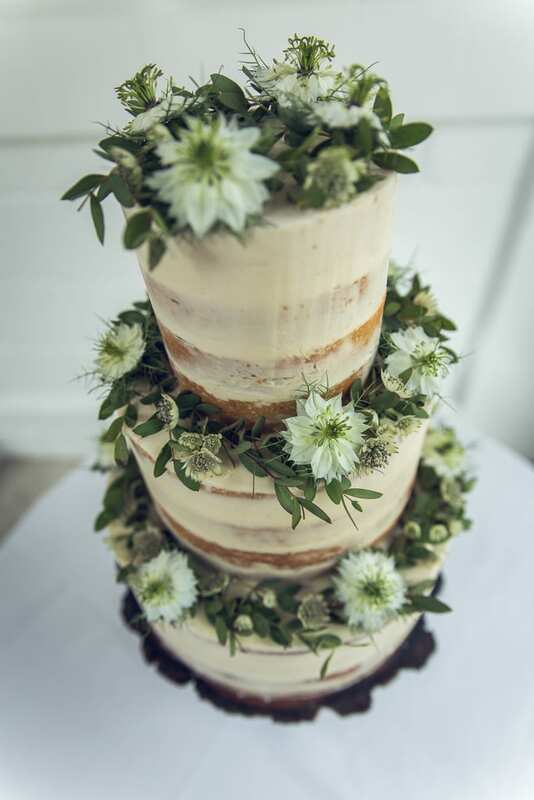 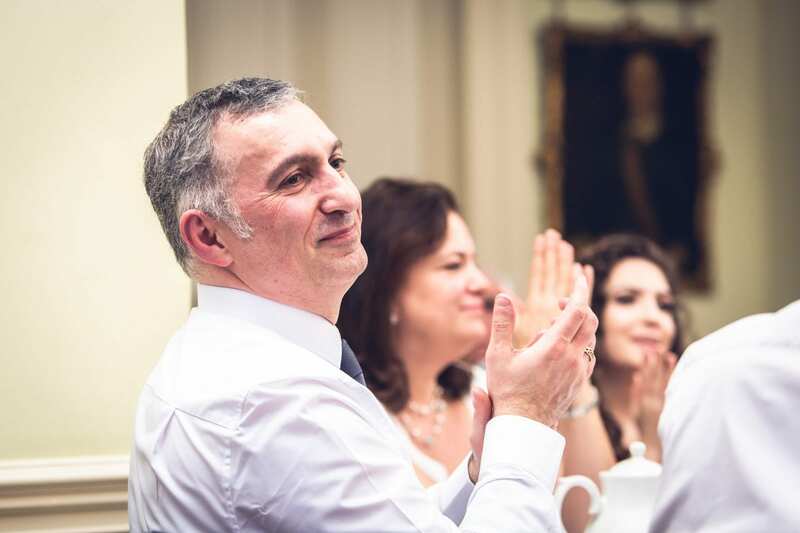 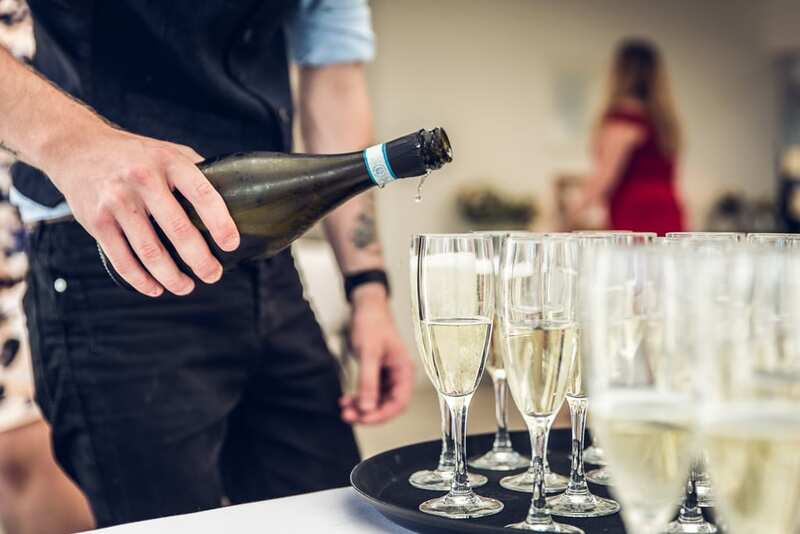 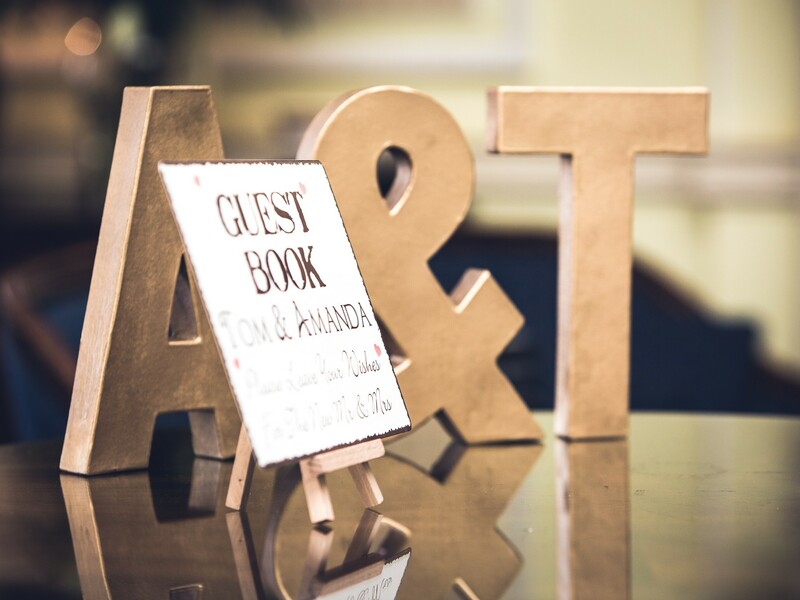 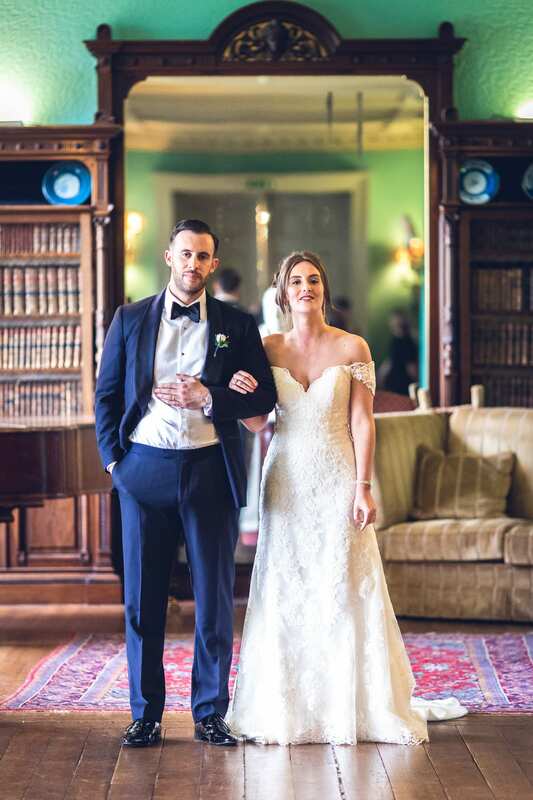 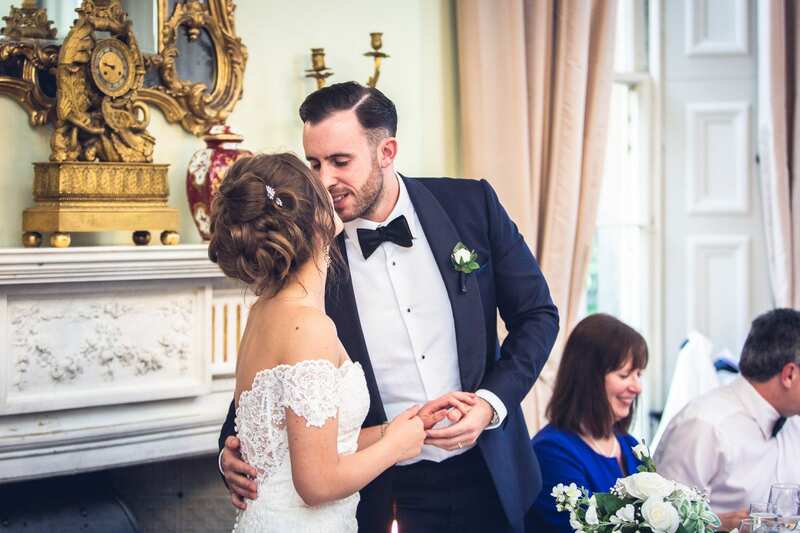 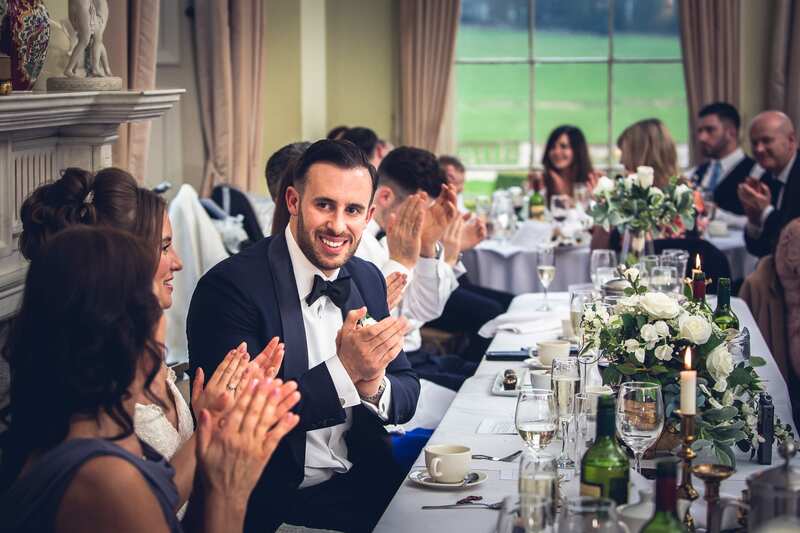 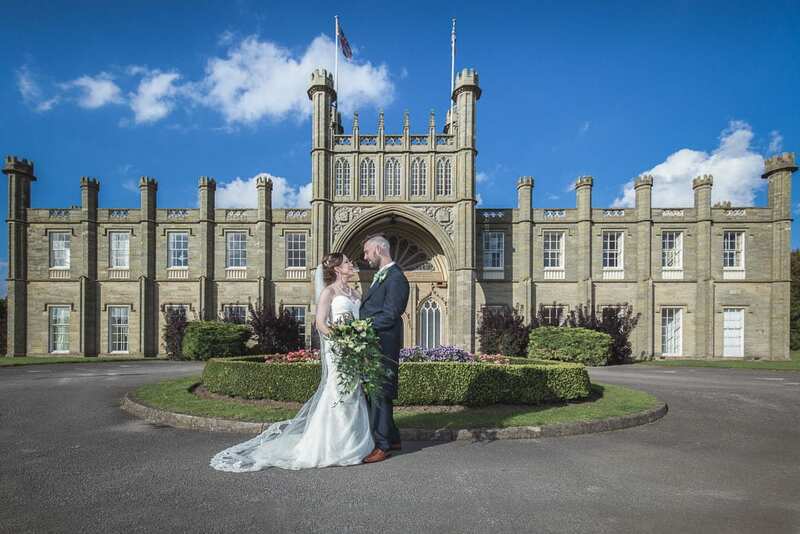 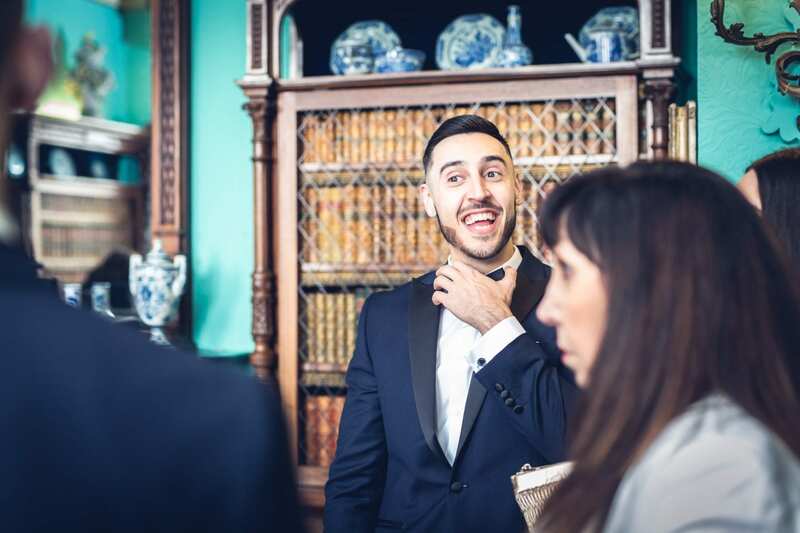 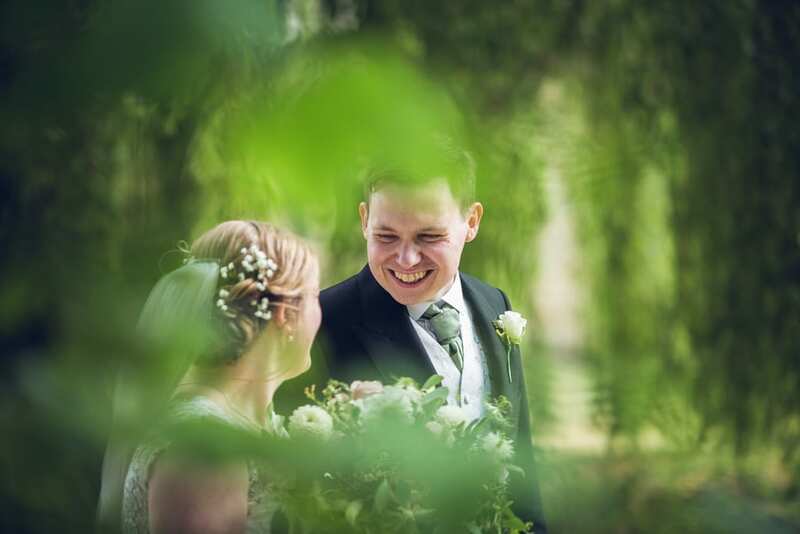 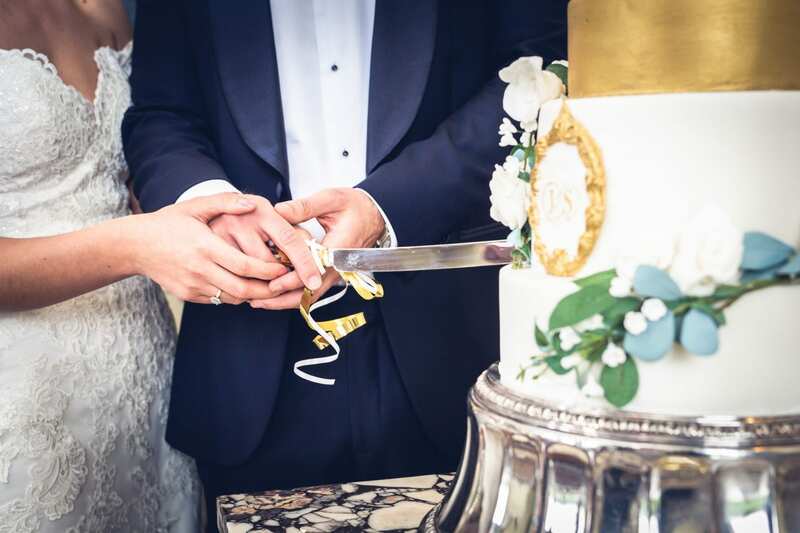 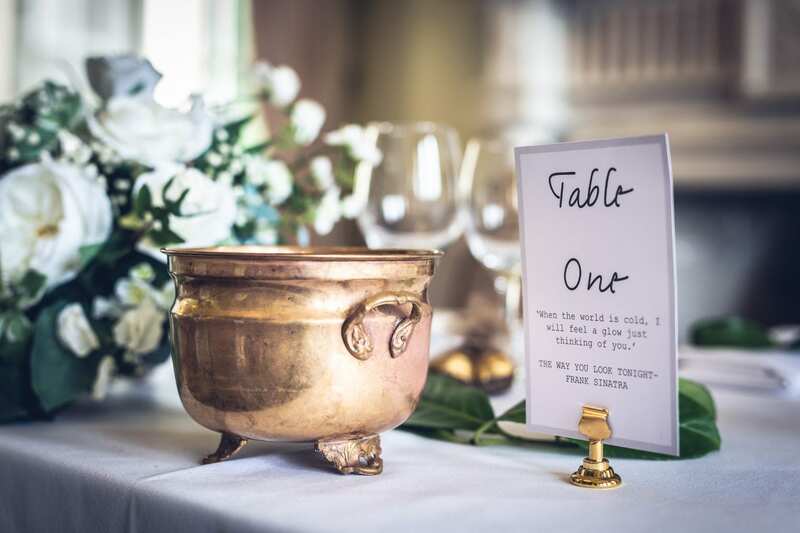 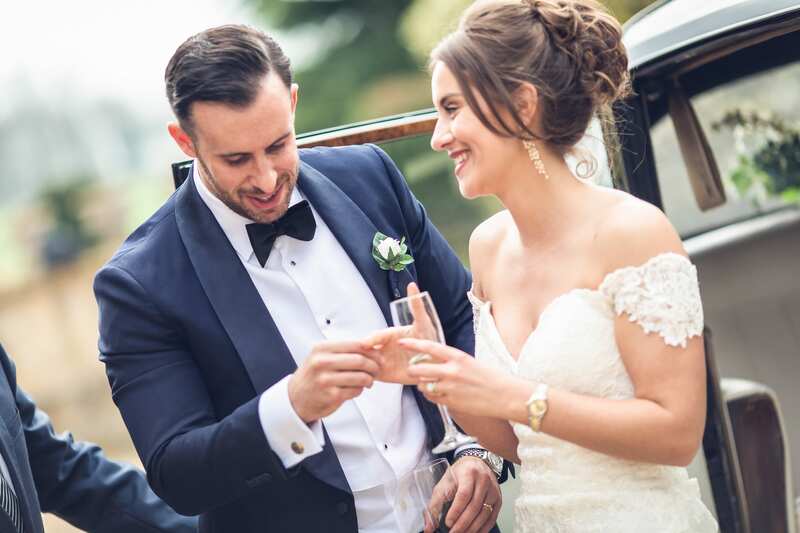 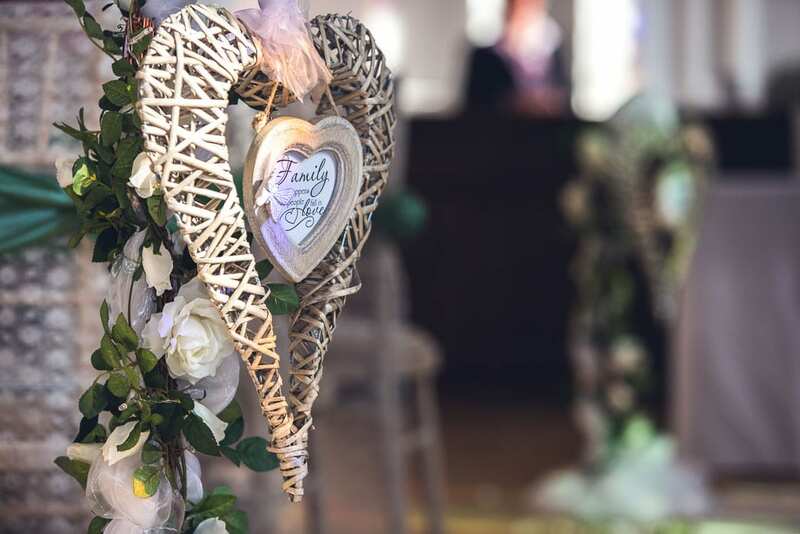 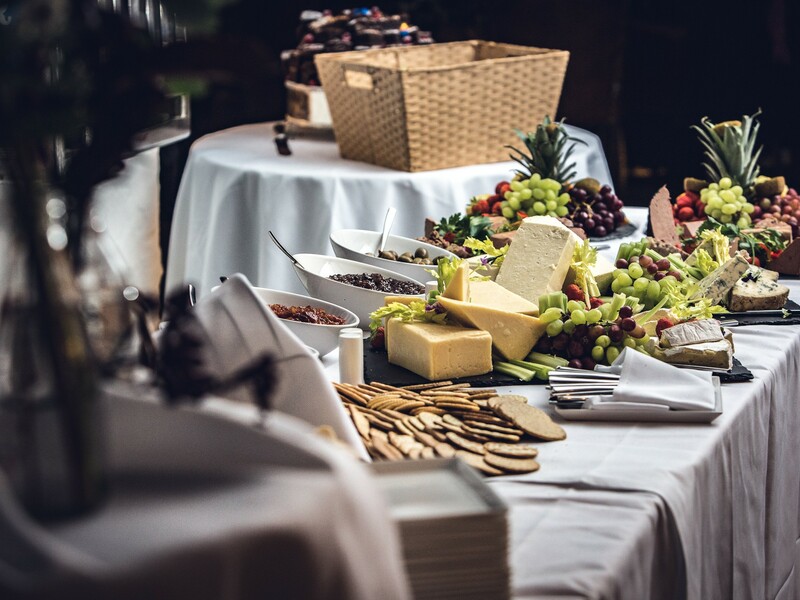 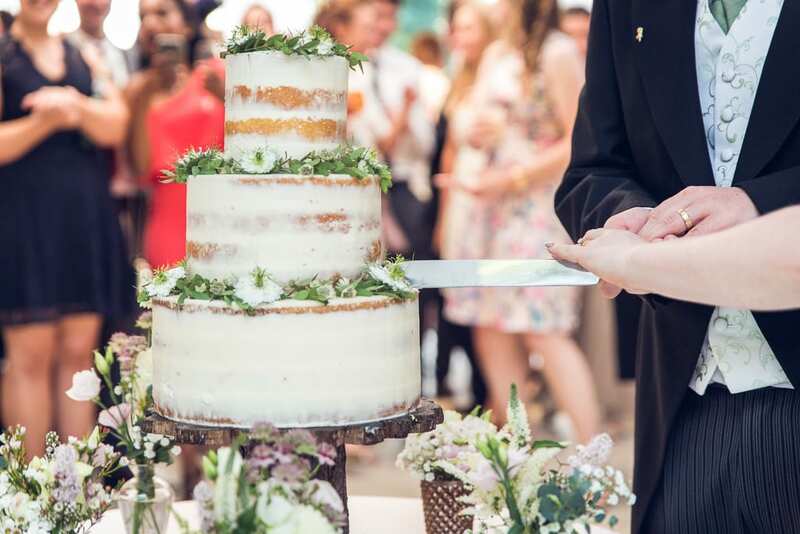 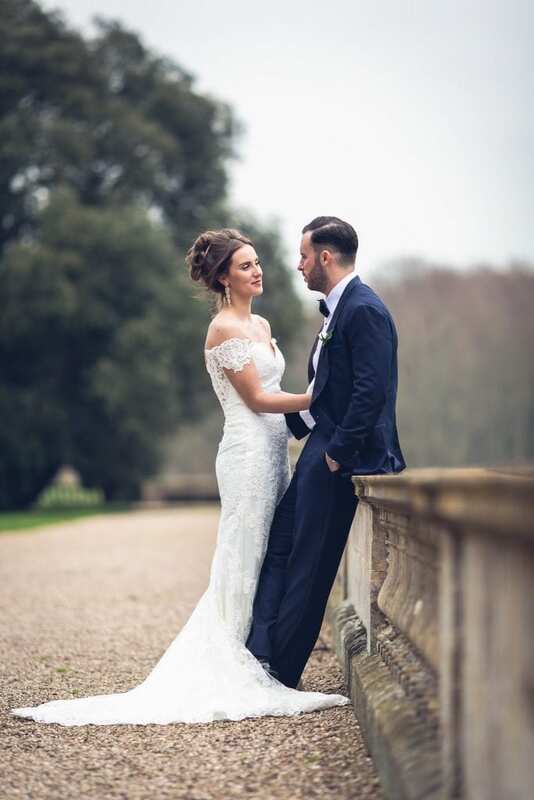 Jamie and his team really could not do enough to make both guests and suppliers welcome, therefore enabling us to work as a team to provide this wonderful couple with their truly perfect Irnham Hall wedding! 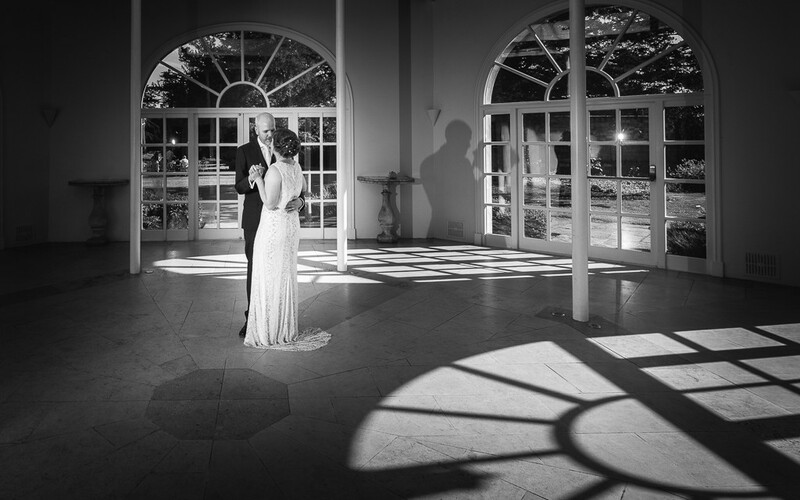 In October 2016, I had the privilege of photographing one of the first weddings to take place at the stunning new Donington Hall wedding venue. 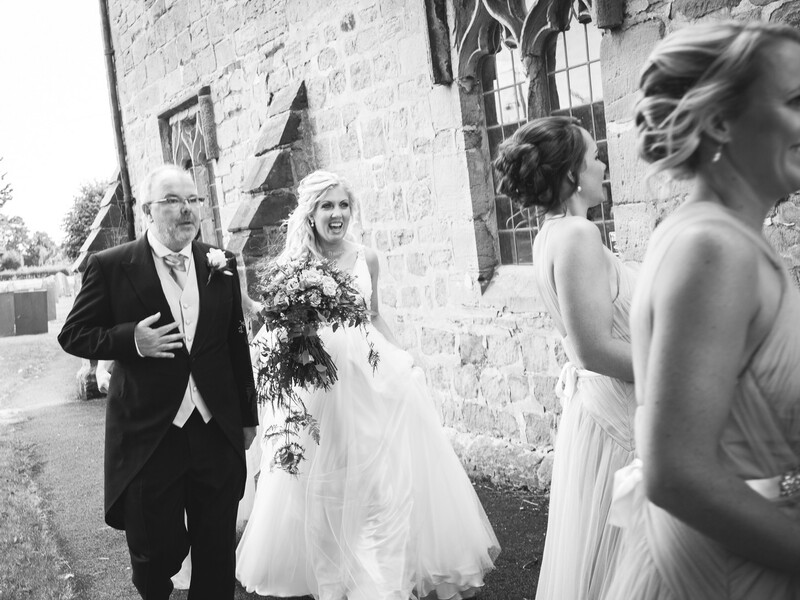 The day began at the Priest House, which is Donington Hall’s sister venue. 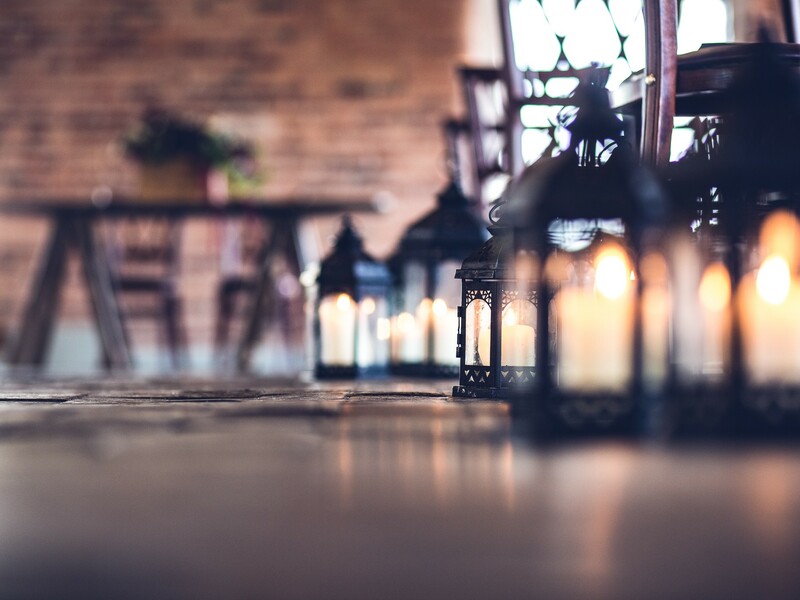 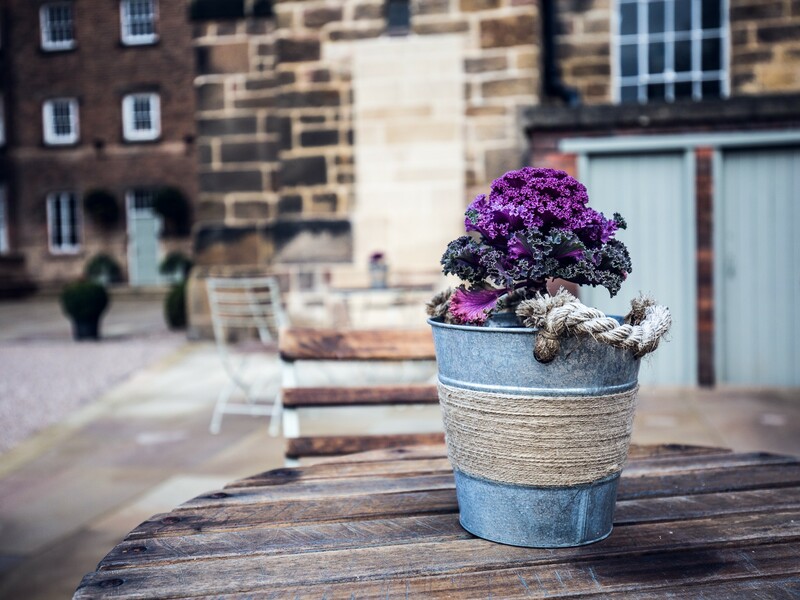 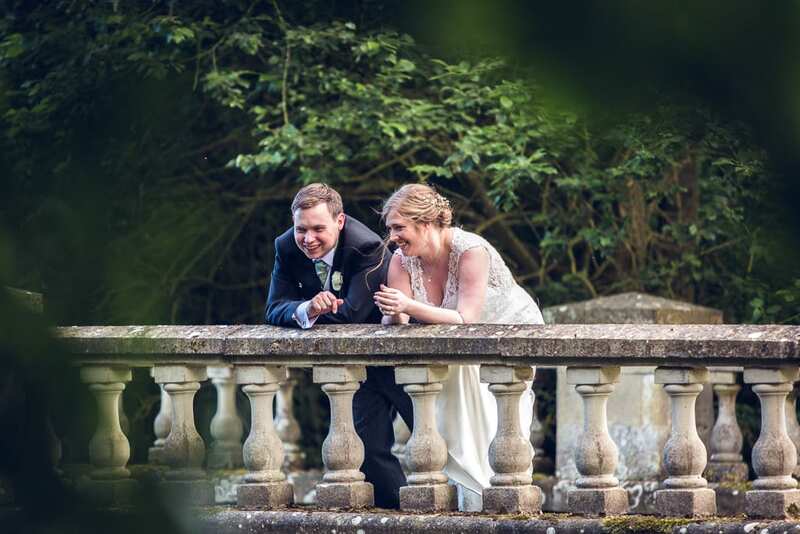 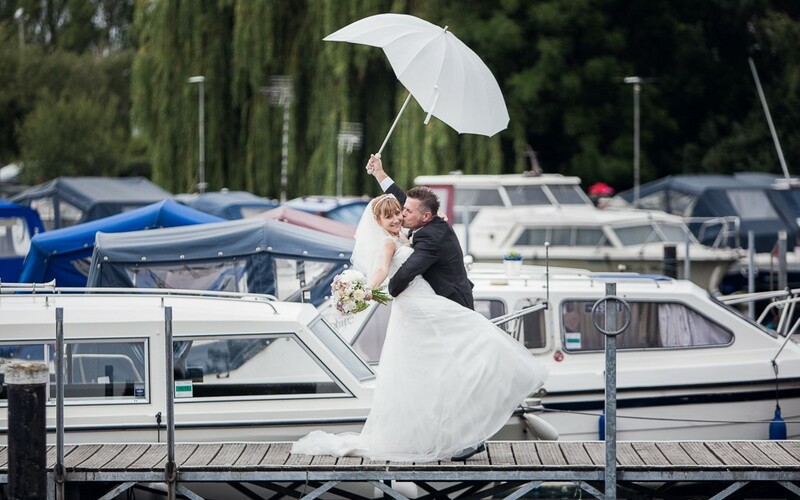 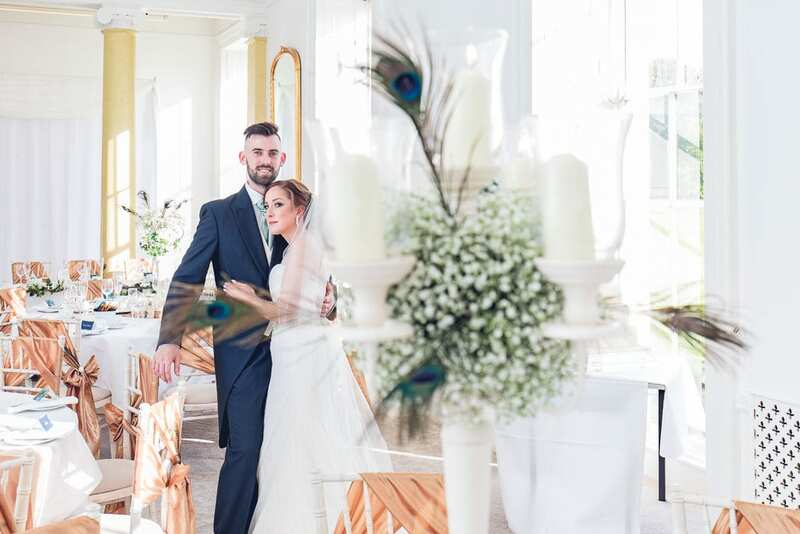 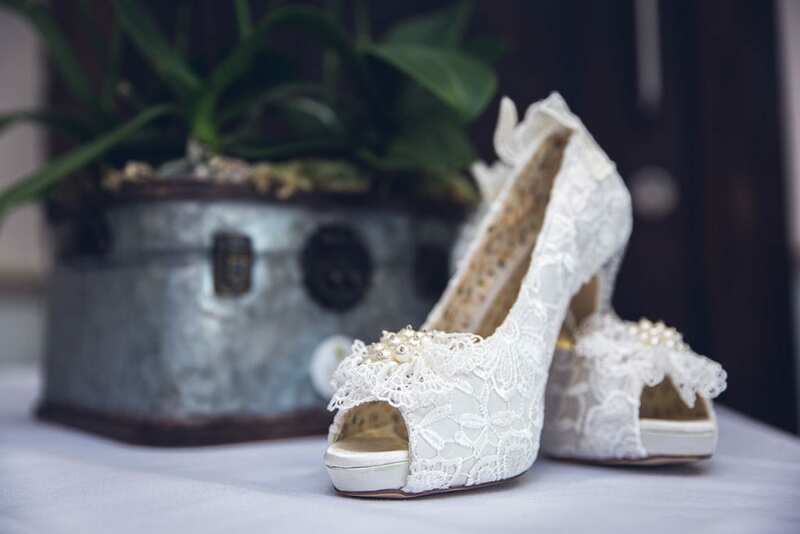 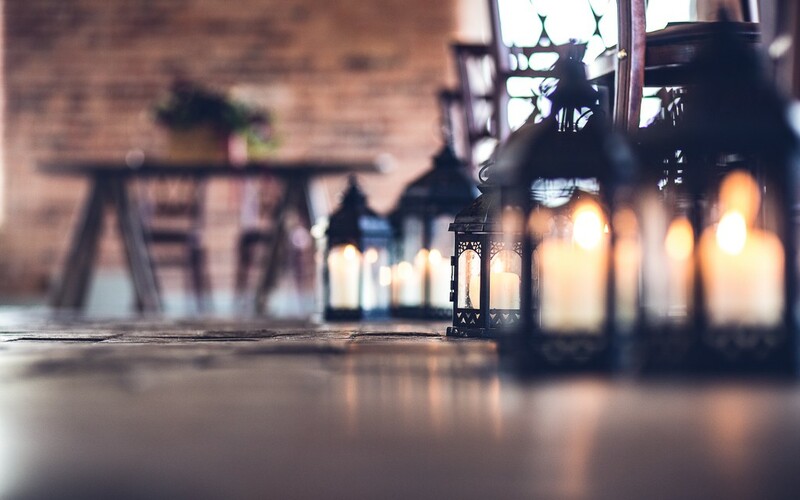 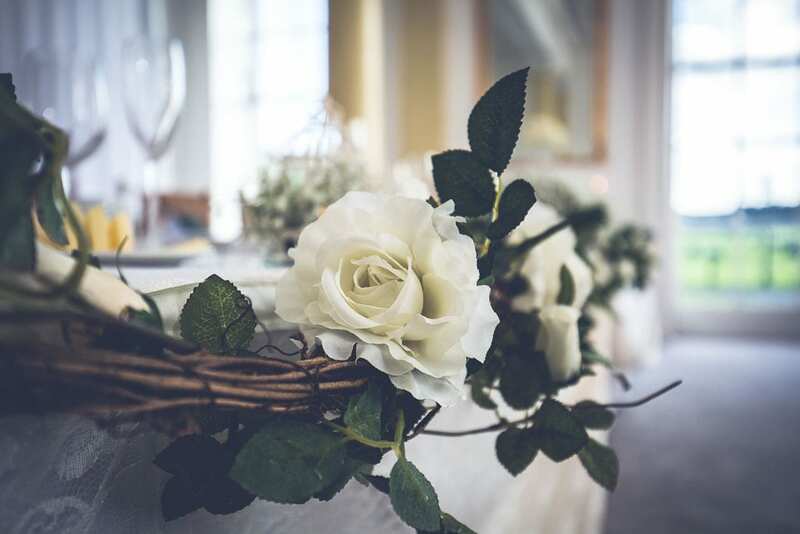 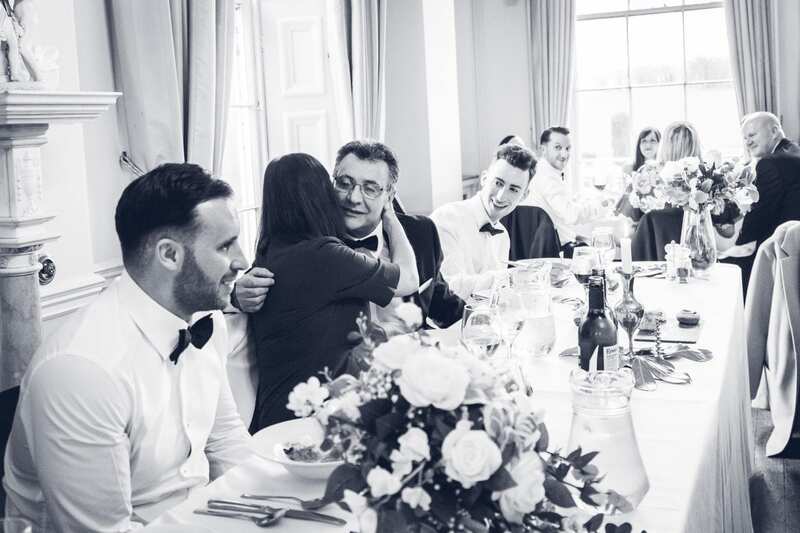 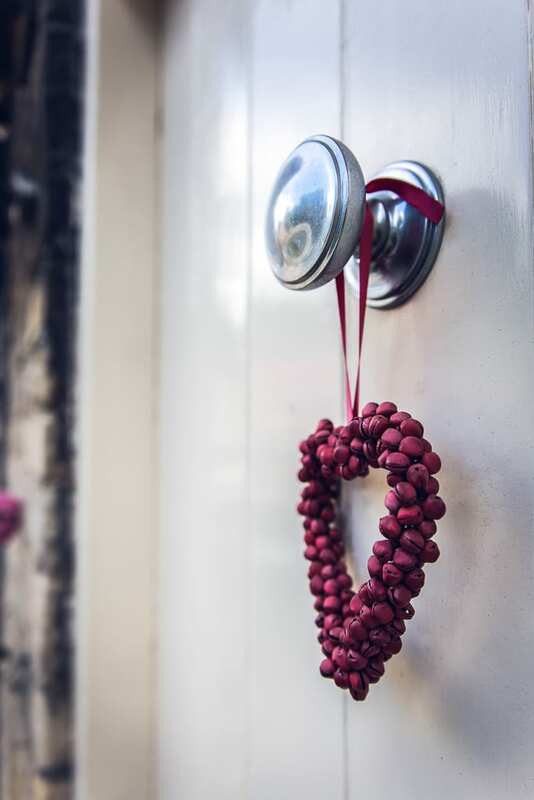 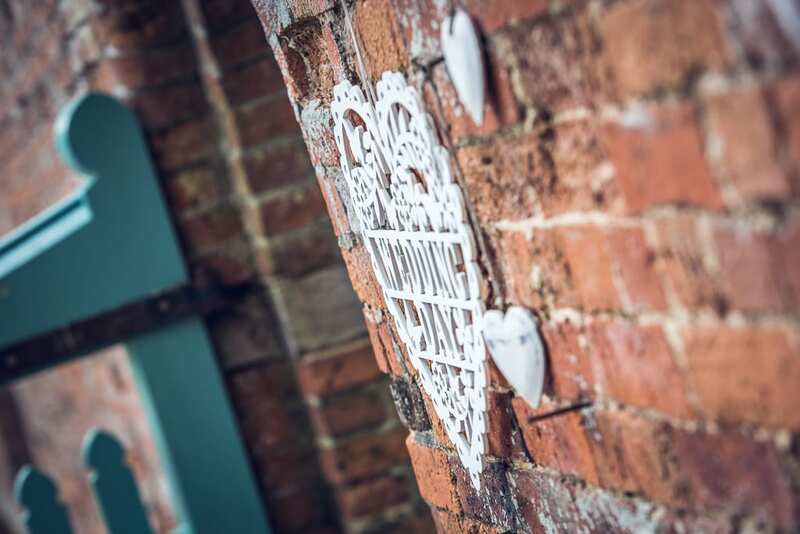 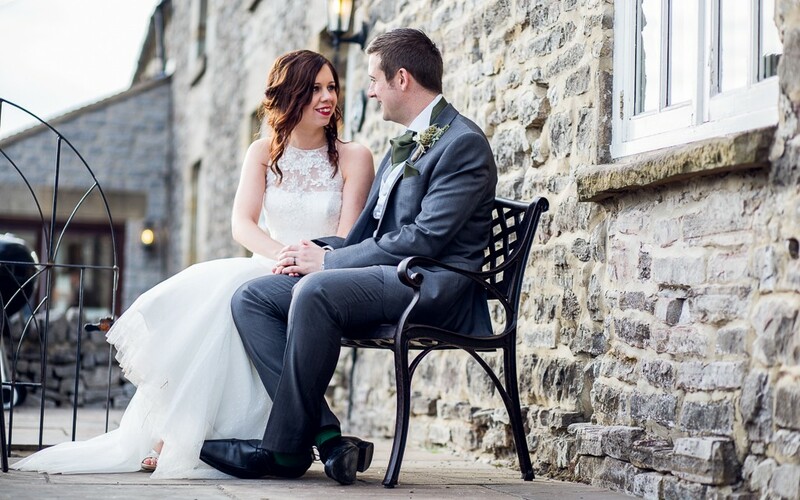 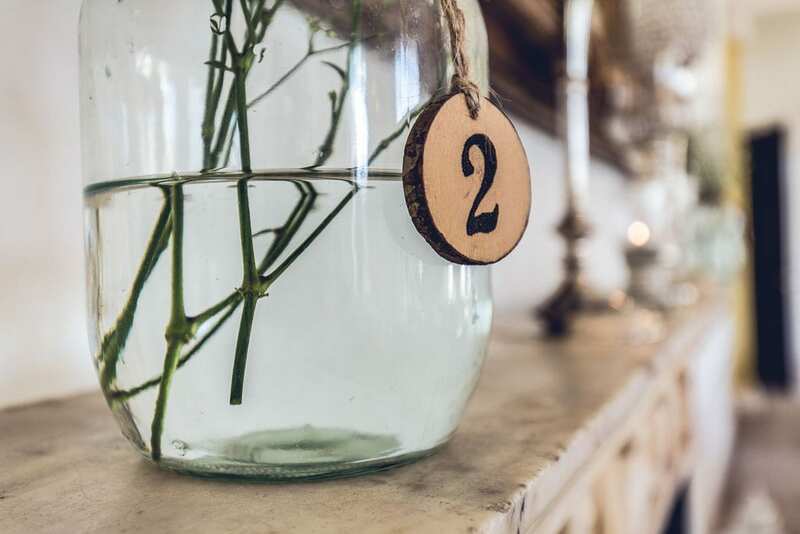 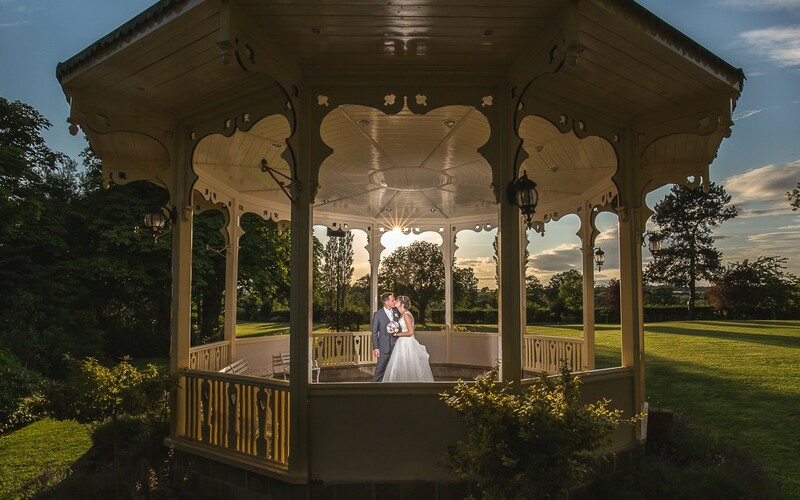 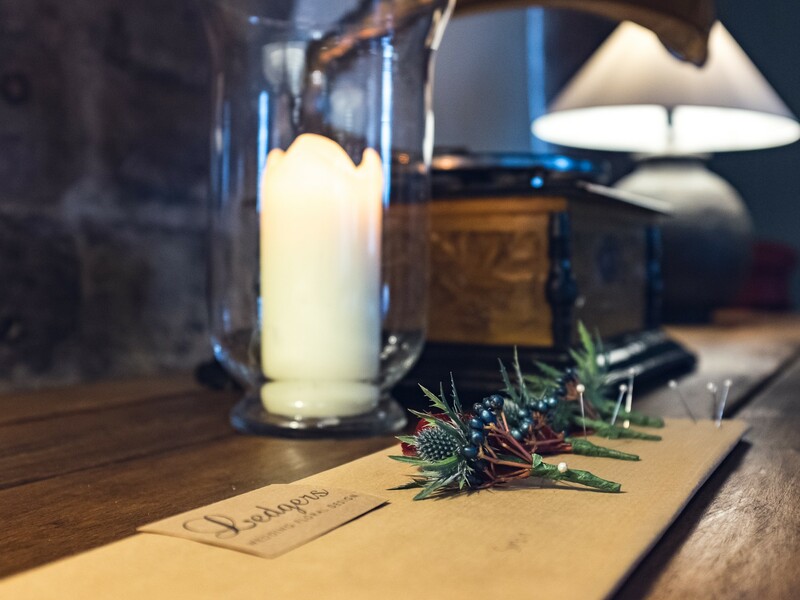 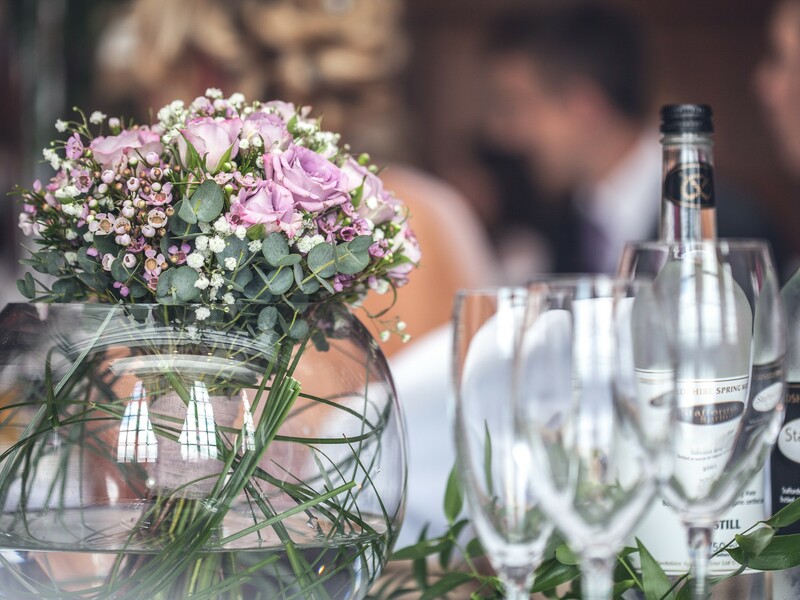 With it’s beautiful river side location, the Priest House is the perfect place for couples to enjoy a relaxing stay before and after the wedding. 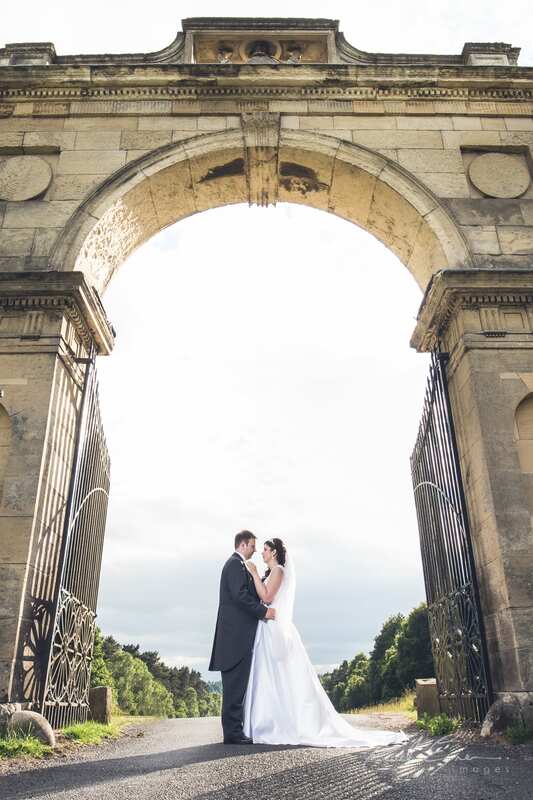 It was also an ideal location for my wonderful couple to start their day! With just a very short drive along the tree-lined lane in this quiet corner of Leicestershire, we arrived at the stunning 18th century Hall. 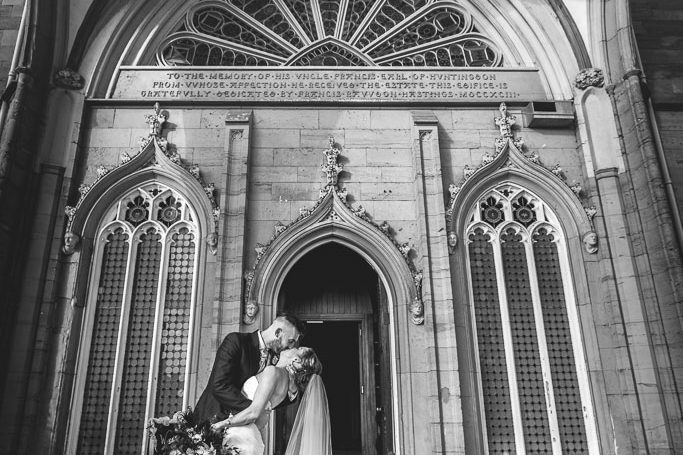 As I entered through the grand doorway, I paused to read the historic scriptures above, which detail the history of this grand building. 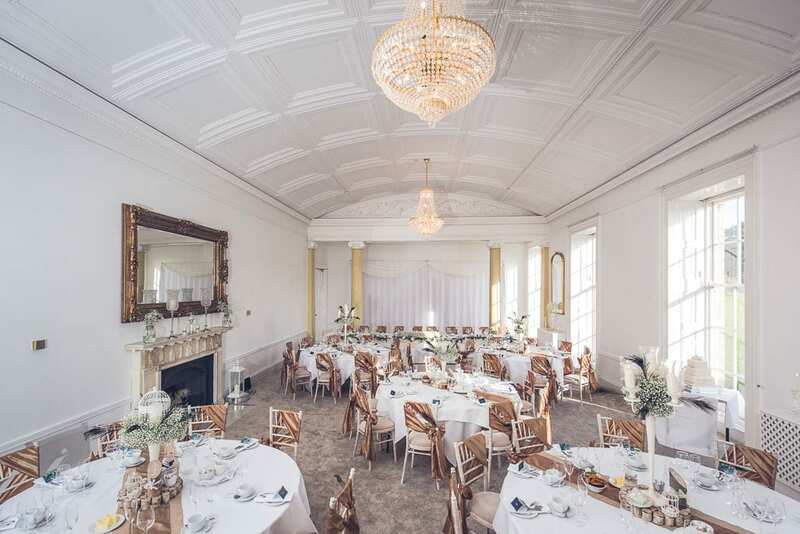 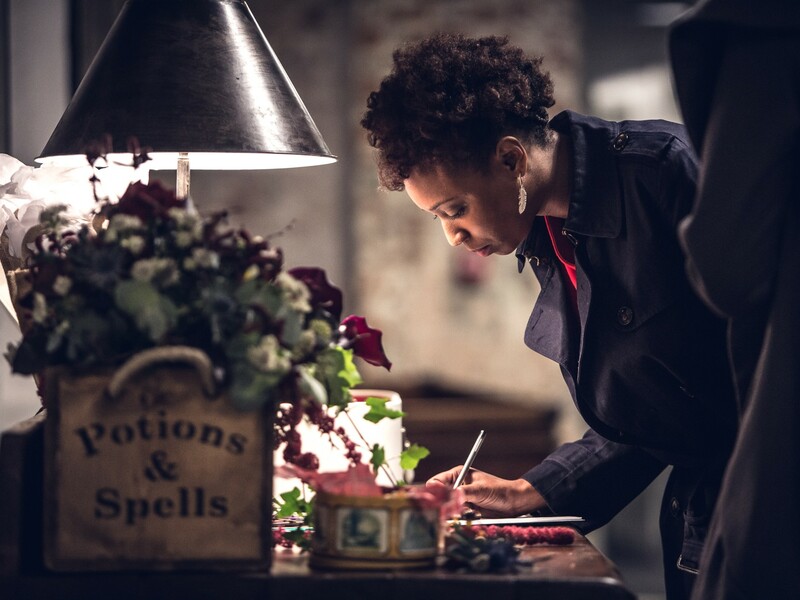 The calm ambiance inside resonated throughout the grand rooms, with high ceilings and many original features. 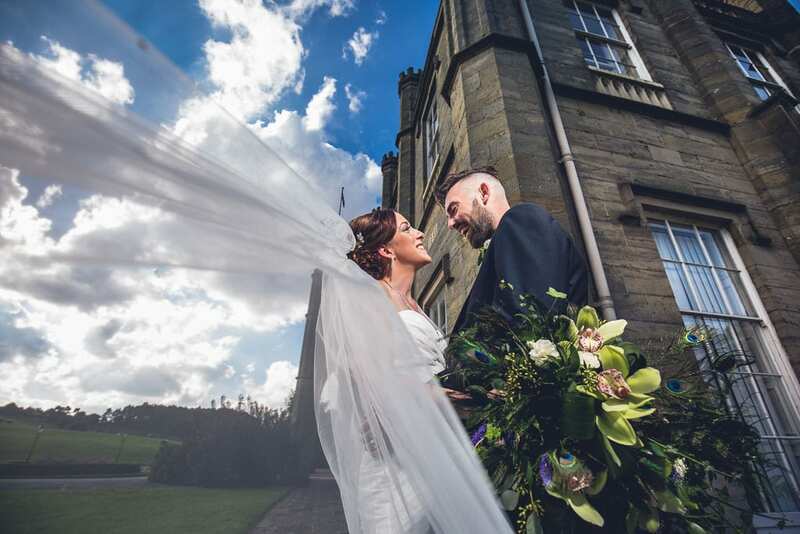 Our bride made her arrival and was able to make her way to the chapel along the south-facing frontage of the house, giving me some epic shots! 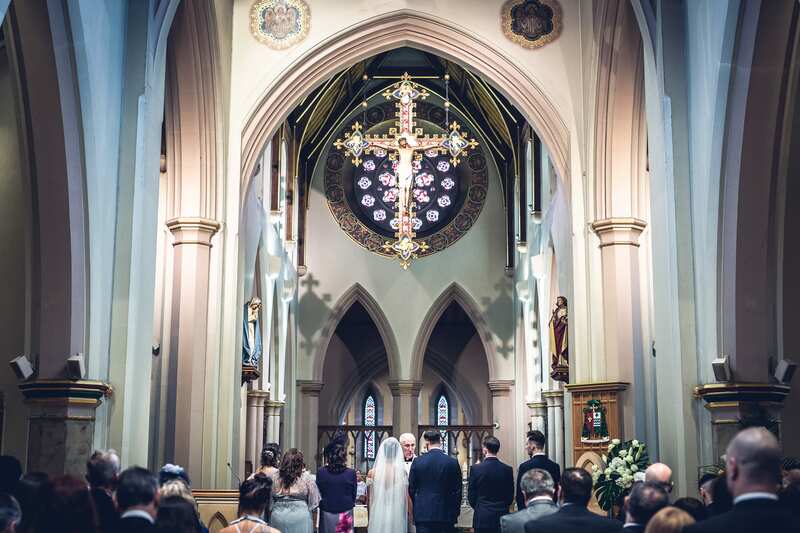 Inside the chapel, the sun was streaming in through the colourful stained-glass windows. 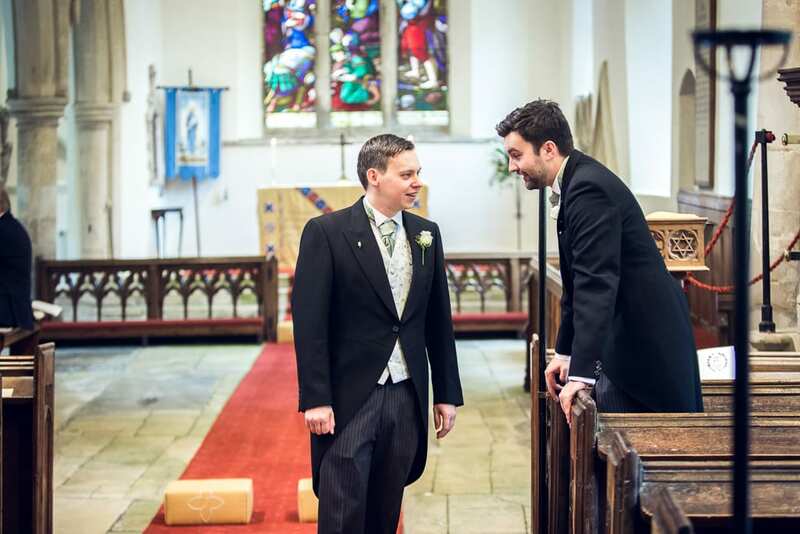 The guests took their seats as the groom waited patiently (nervously!) 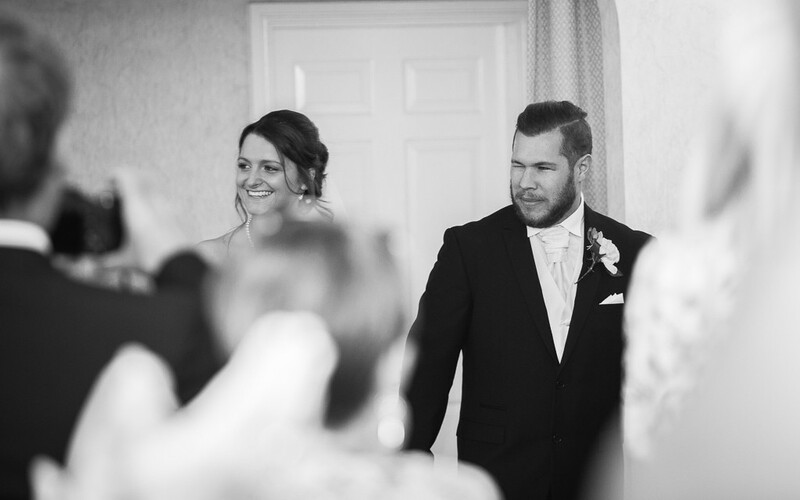 for his beautiful bride’s grand entrance. 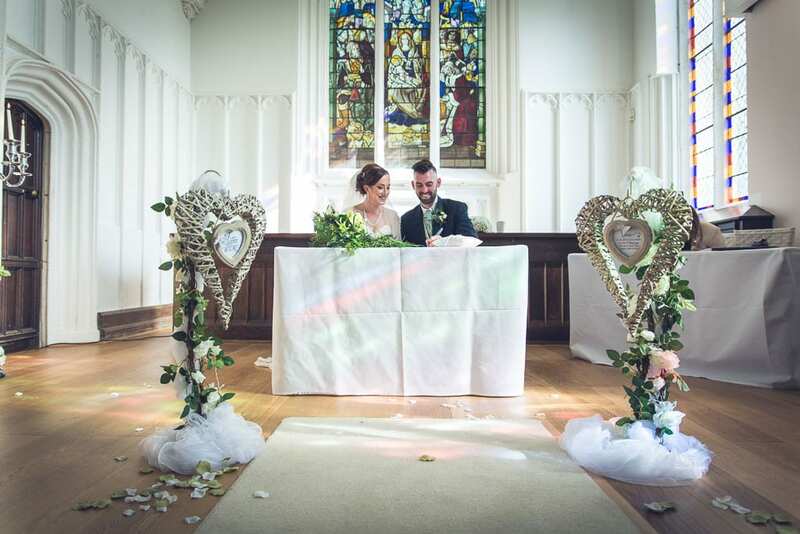 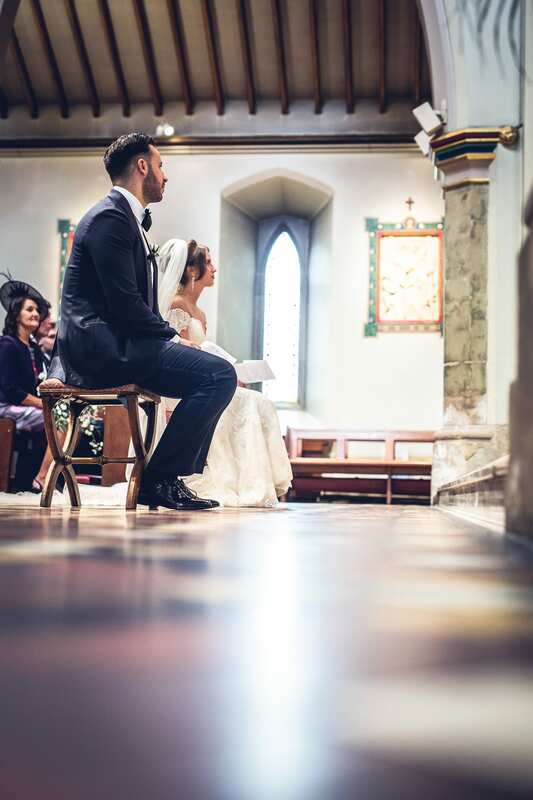 The light streaming into the stunning chapel made for superb photographs and also gave the civil ceremony a church-like feel. 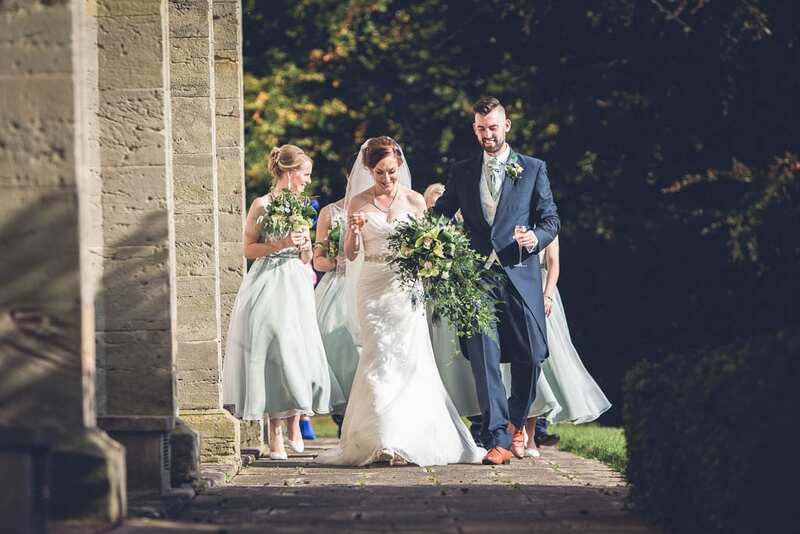 Following the ceremony, our happy couple exited the chapel into the glorious sunshine that bathed the front of the house. 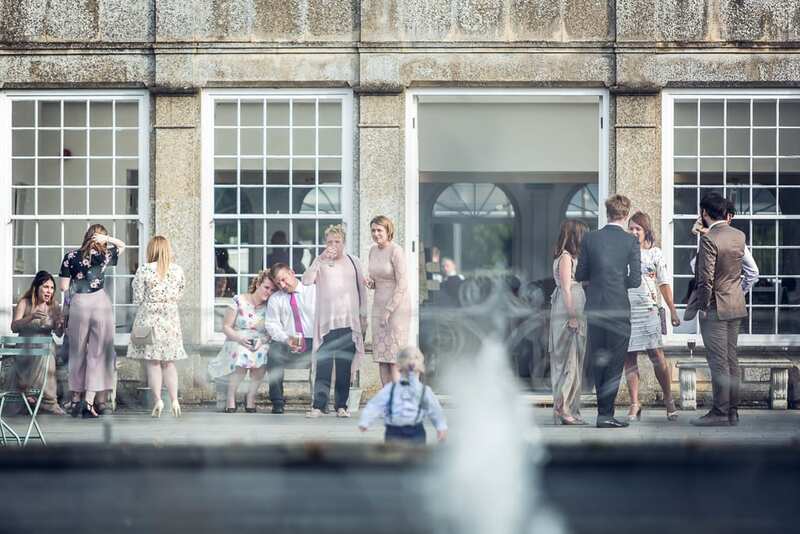 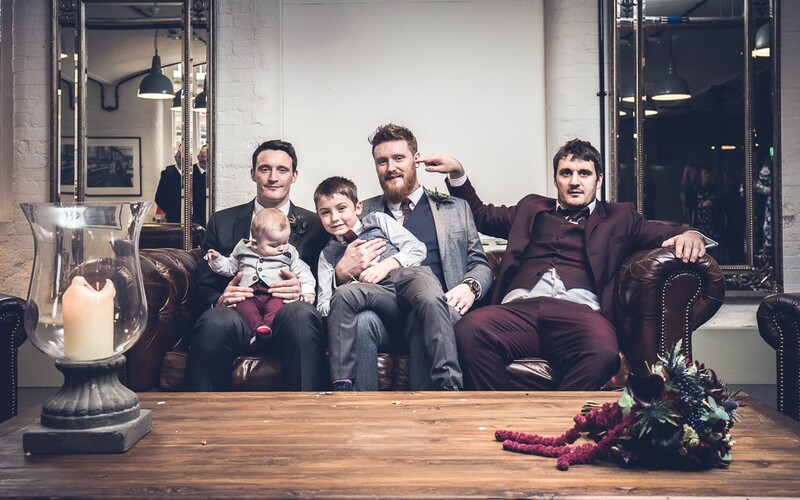 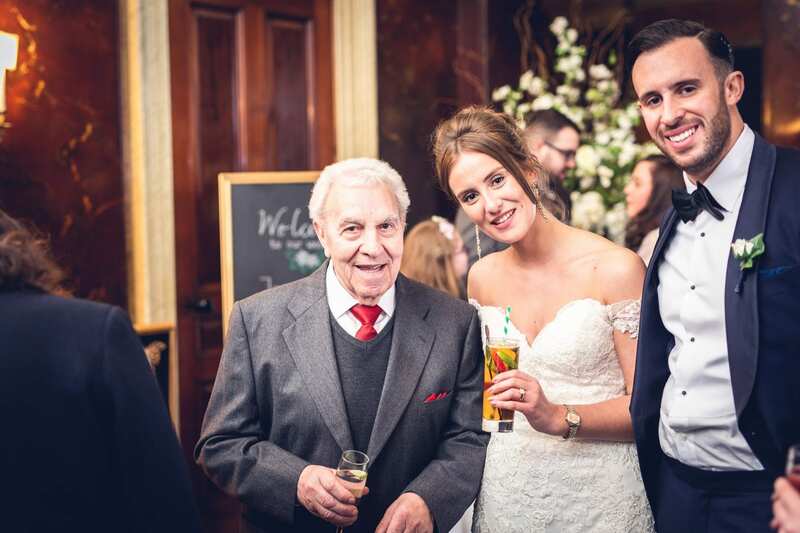 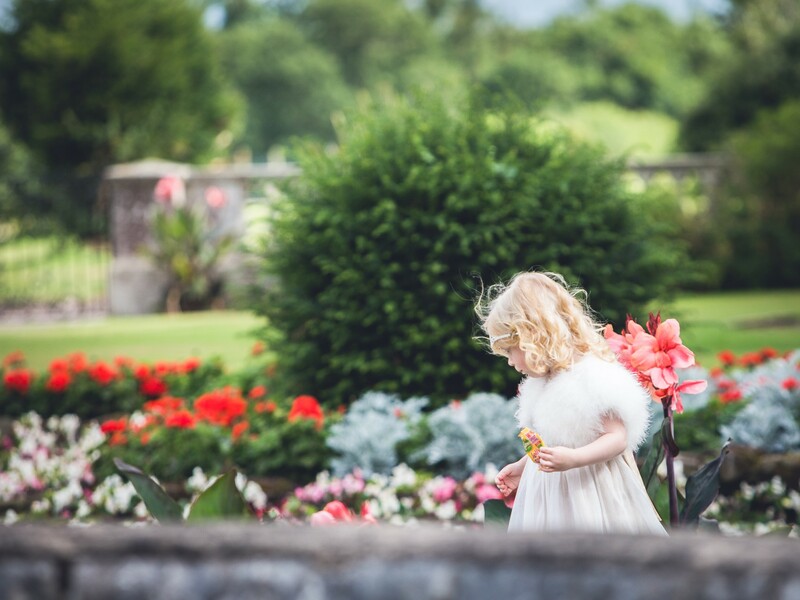 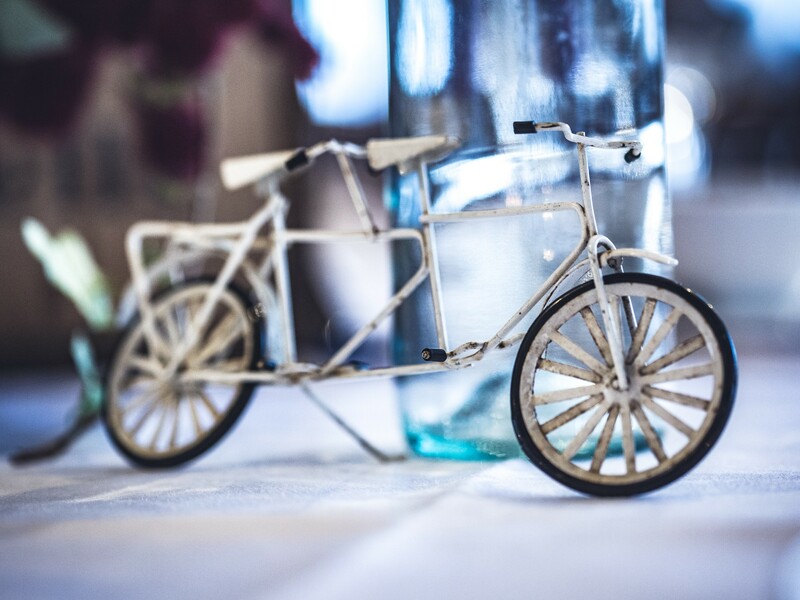 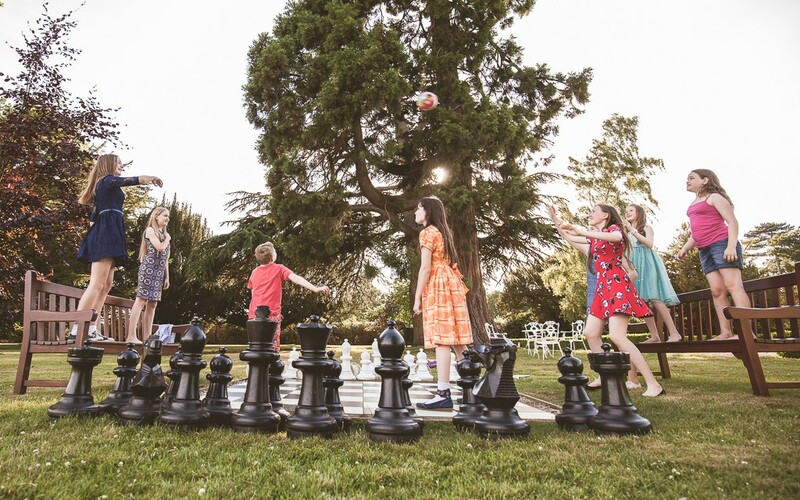 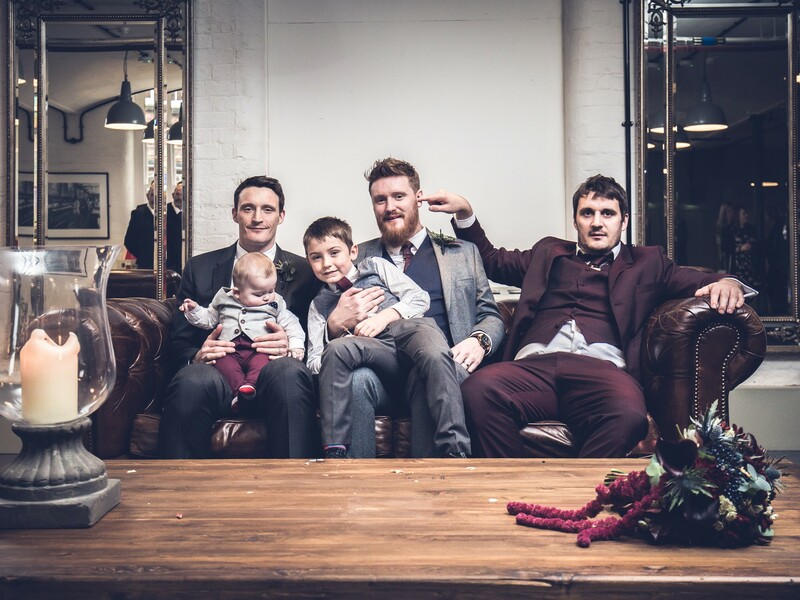 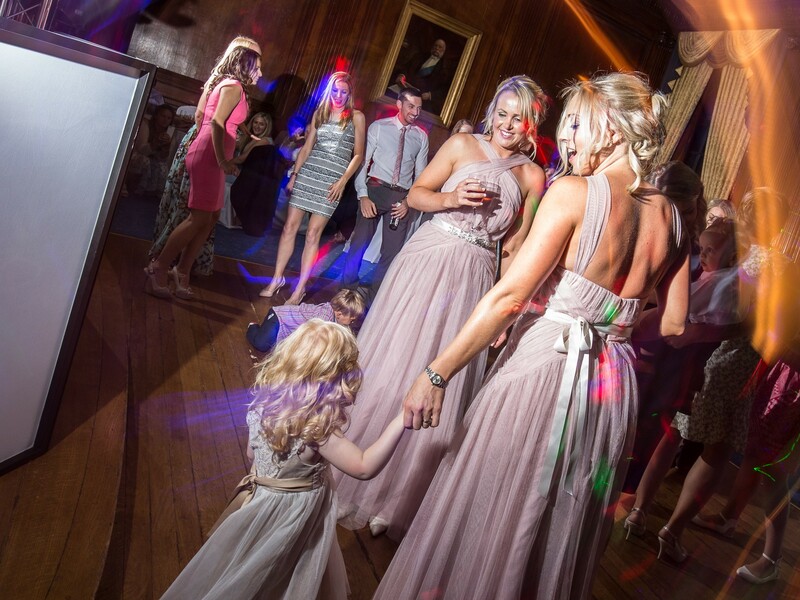 Whilst guests mingled in the bar area, we made use of the stunning scenery as a backdrop for family photos. 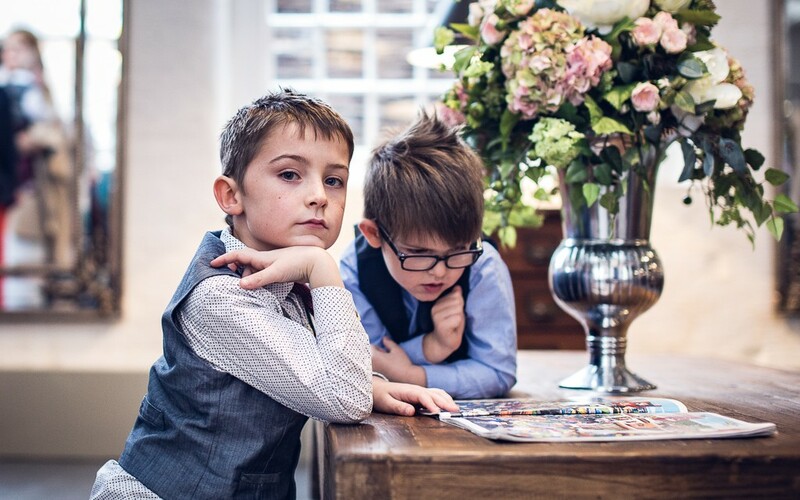 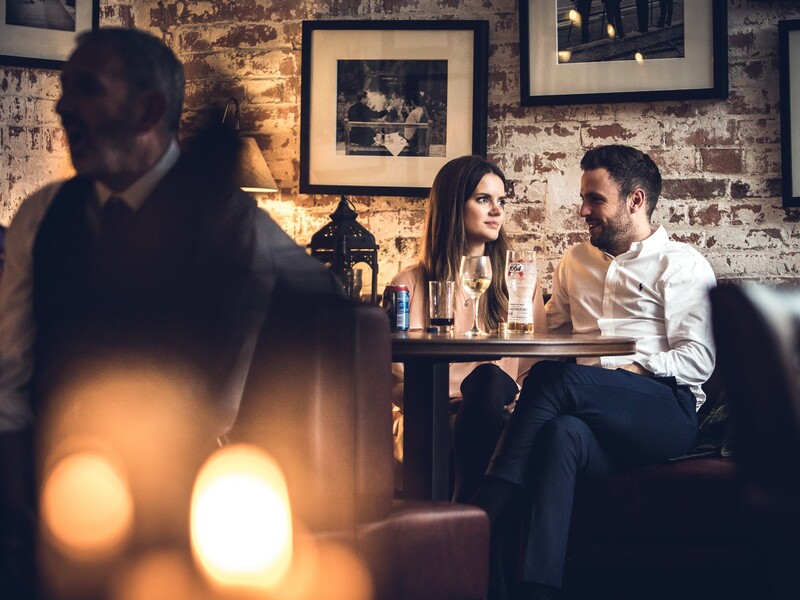 We also made good use of the time before food was served to create many dramatic, epic shots and fully utilised the fabulous surroundings! 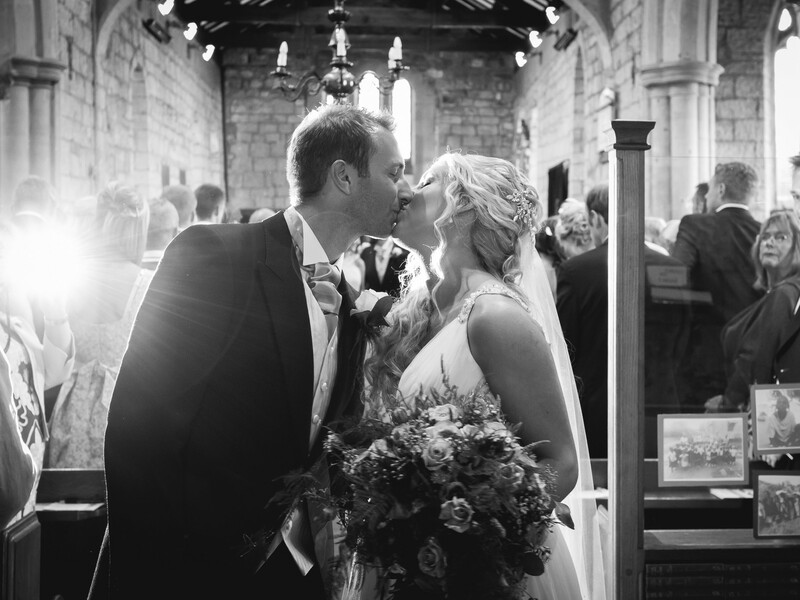 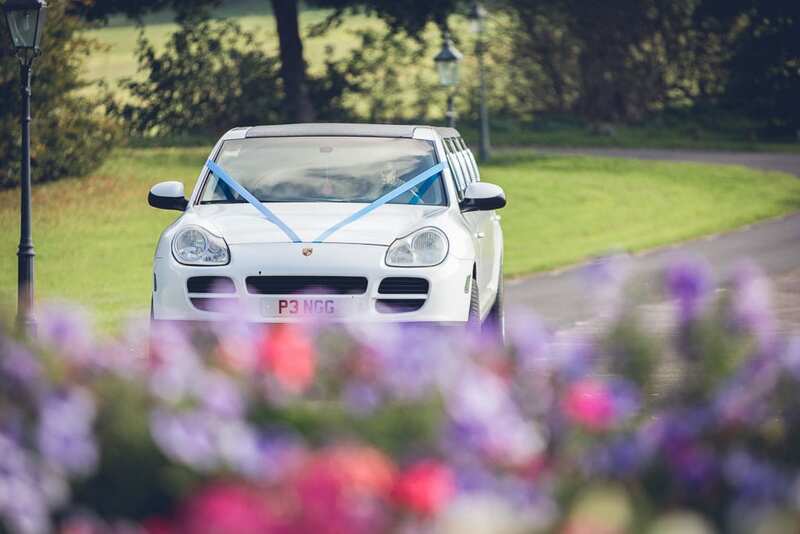 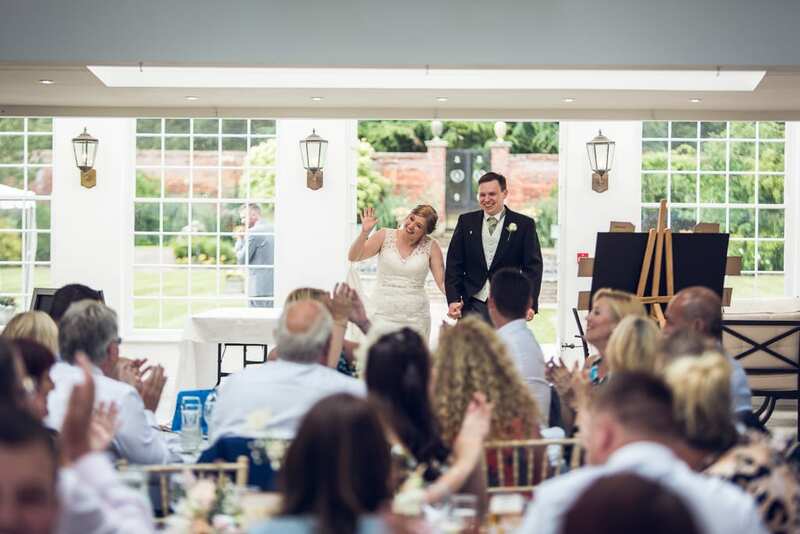 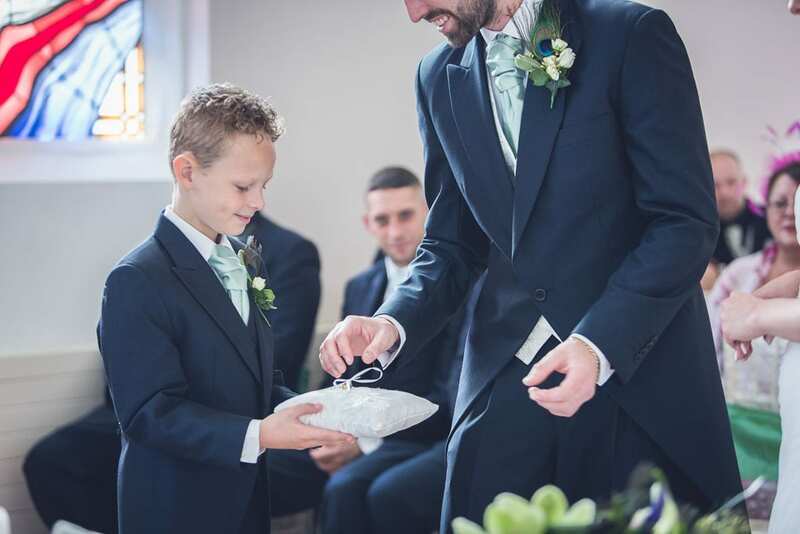 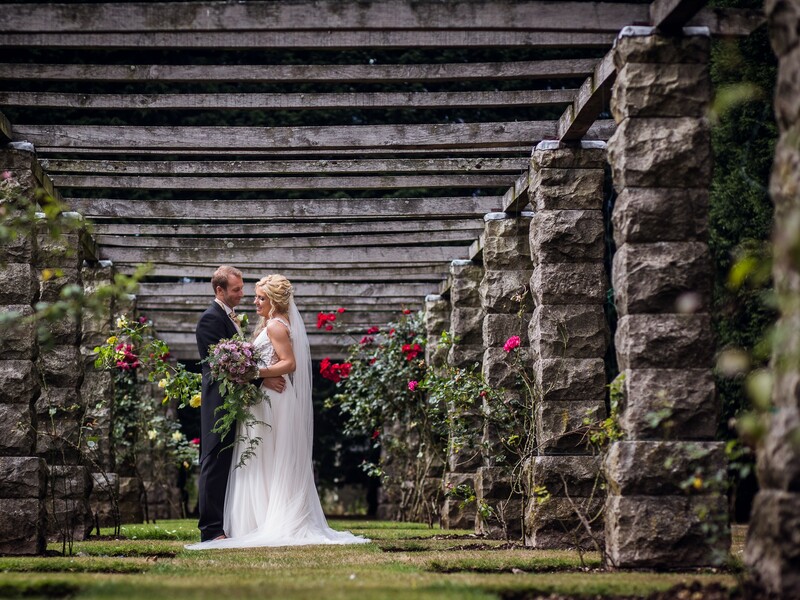 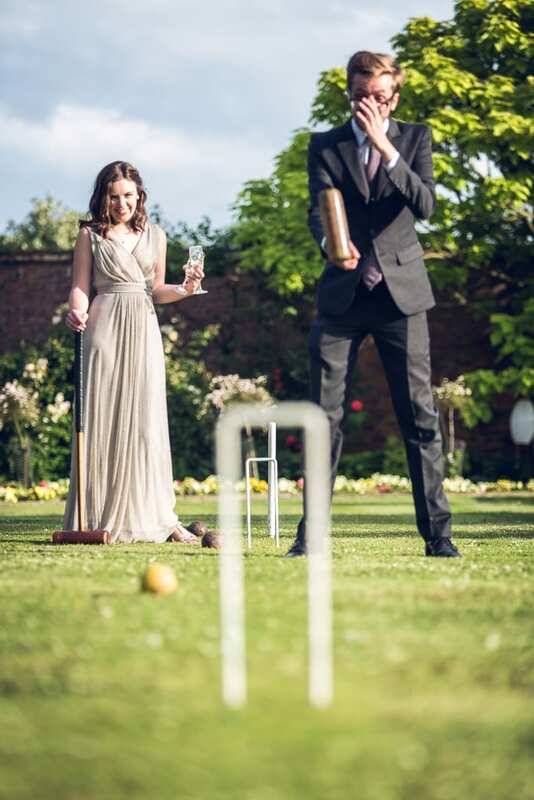 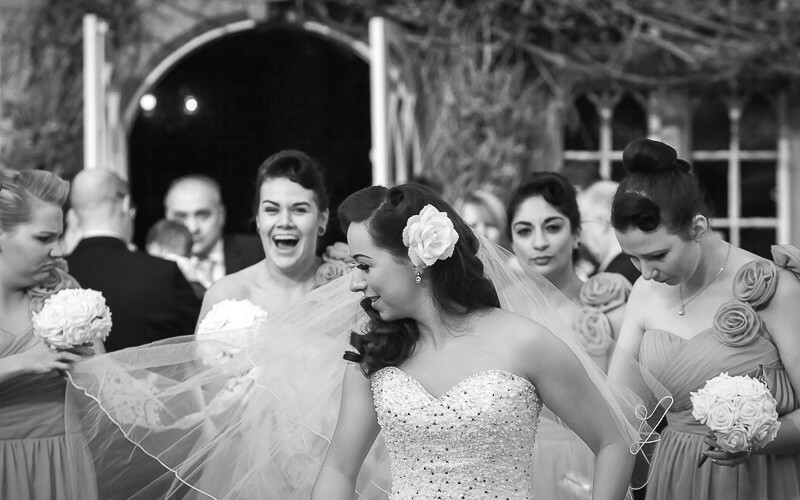 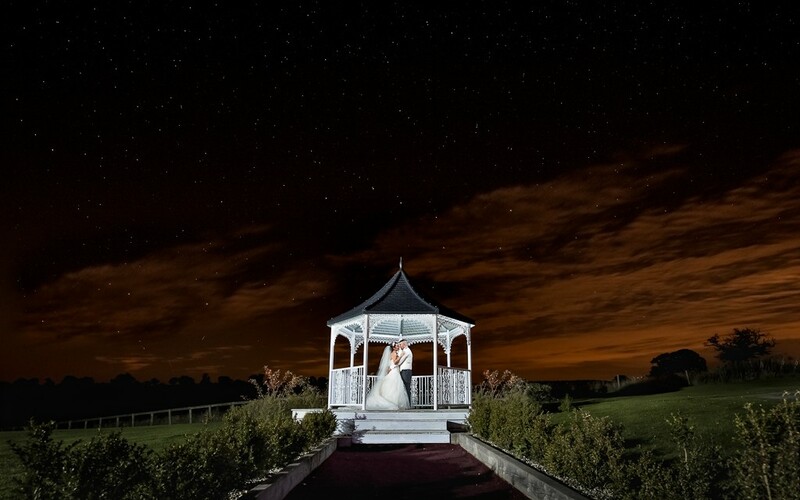 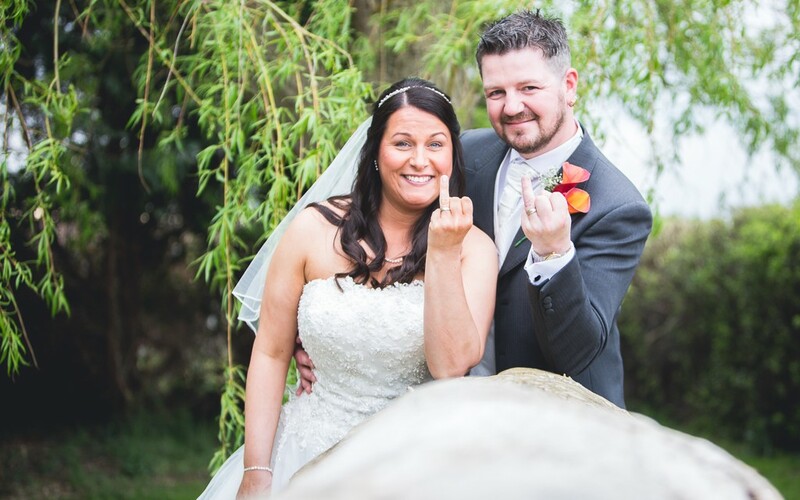 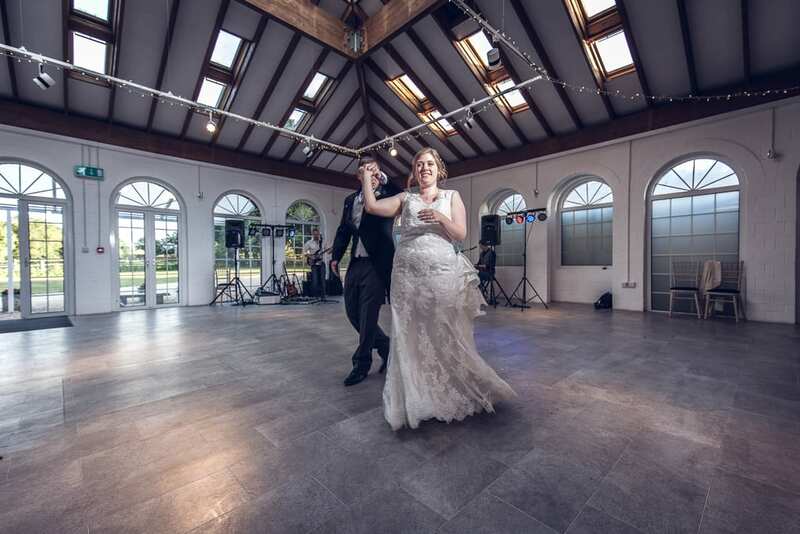 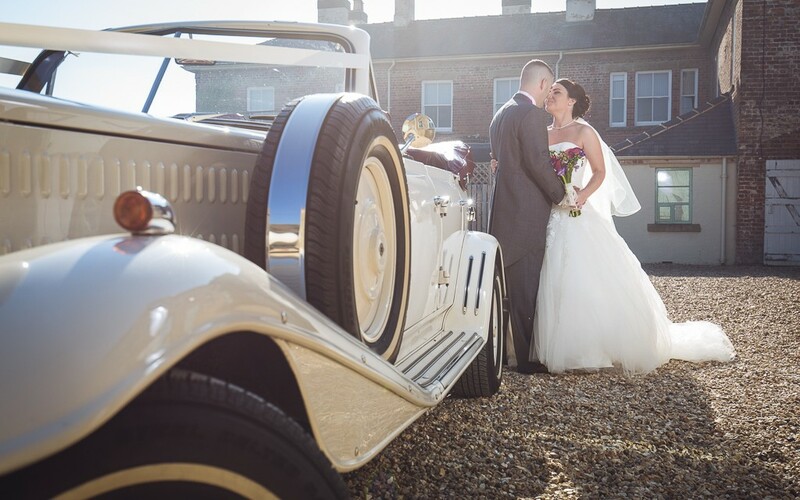 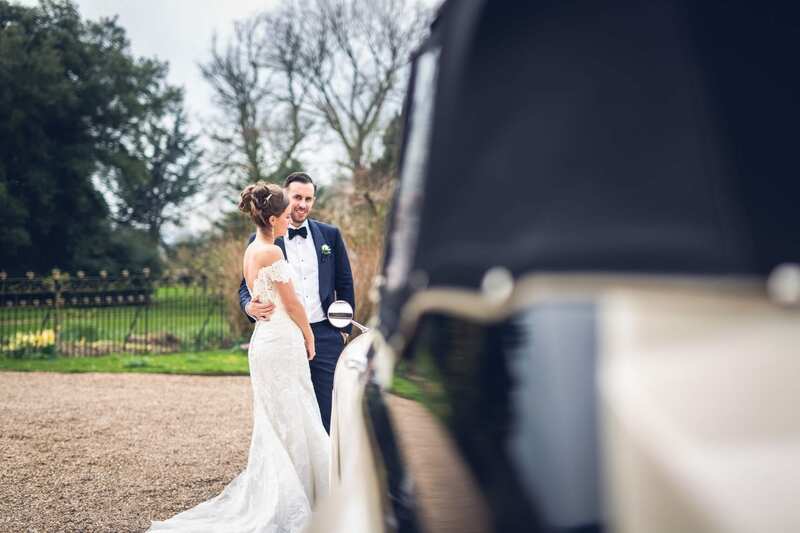 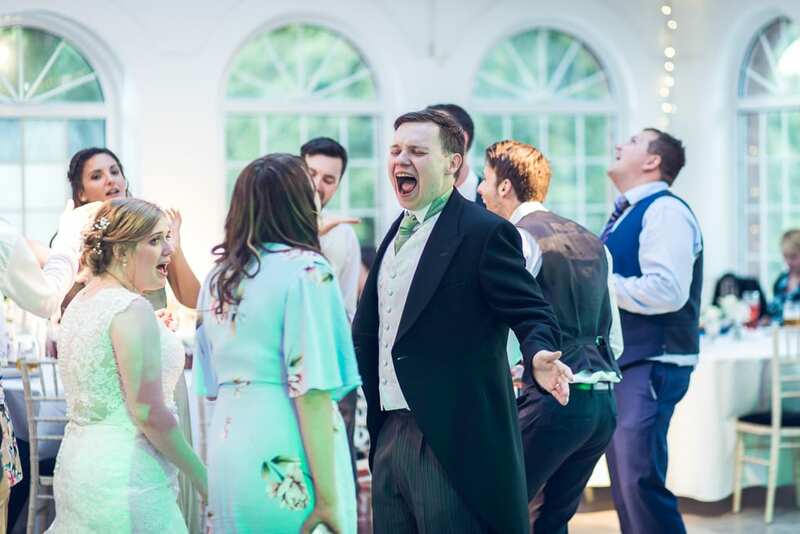 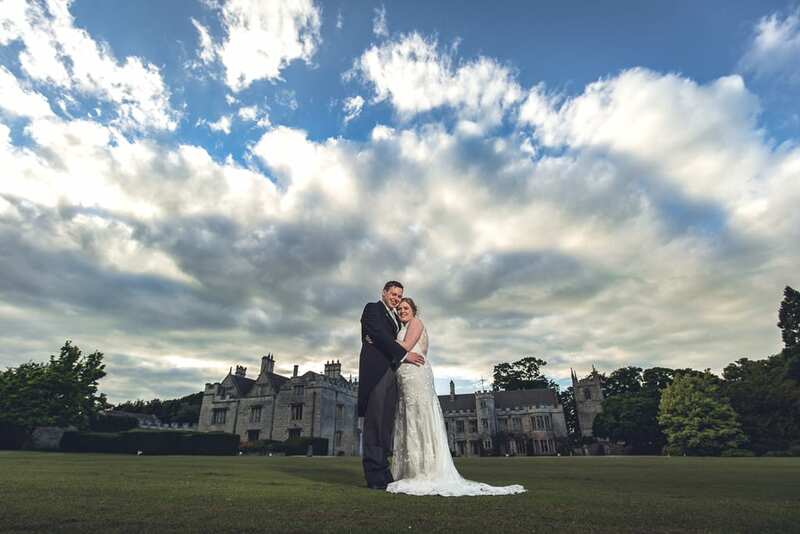 Enjoy this wonderful collection of real wedding images from the stunning Donington Hall wedding venue! 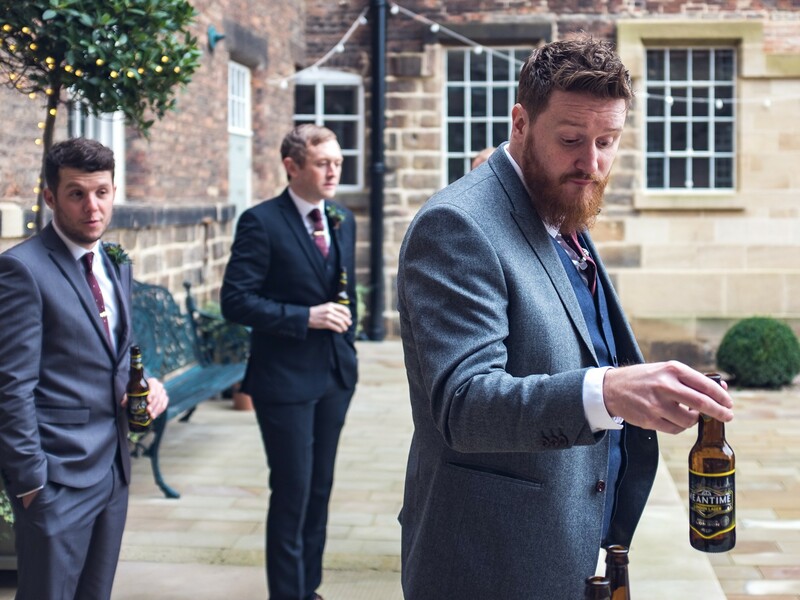 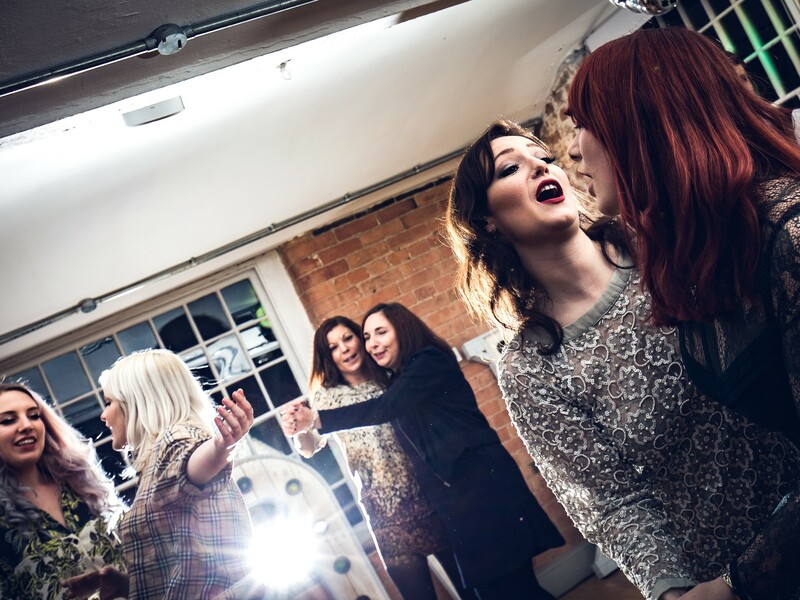 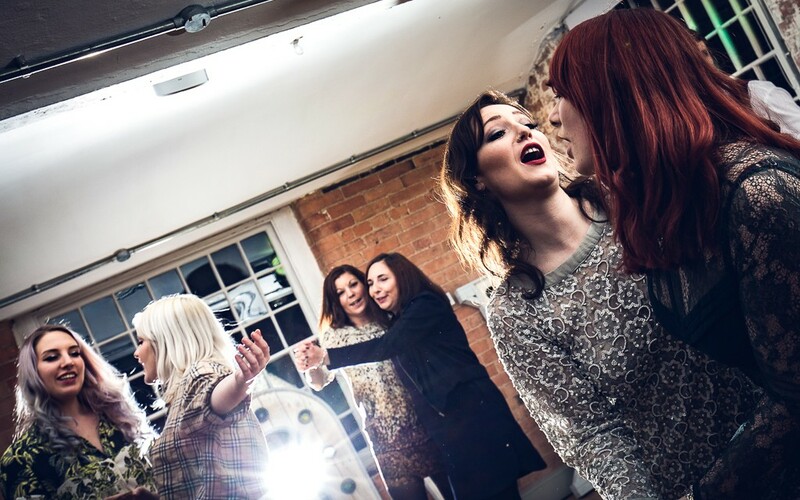 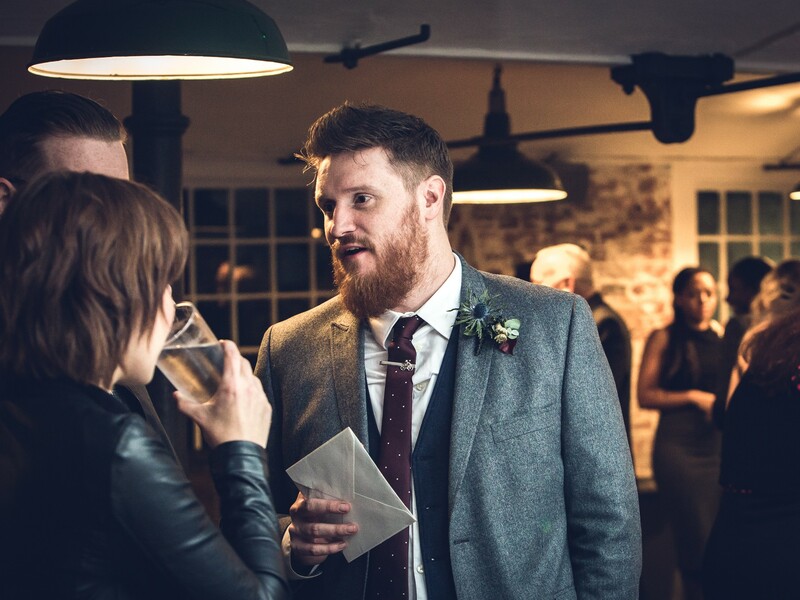 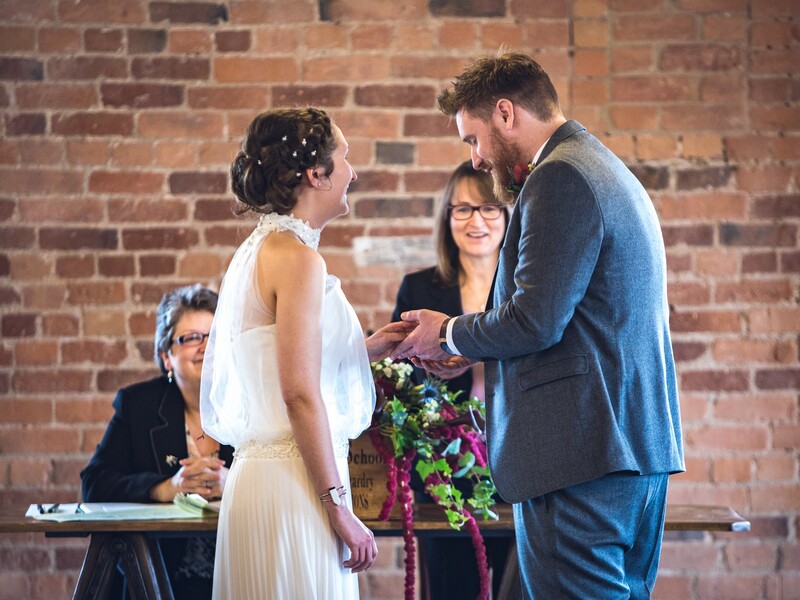 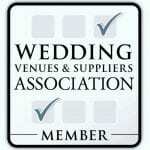 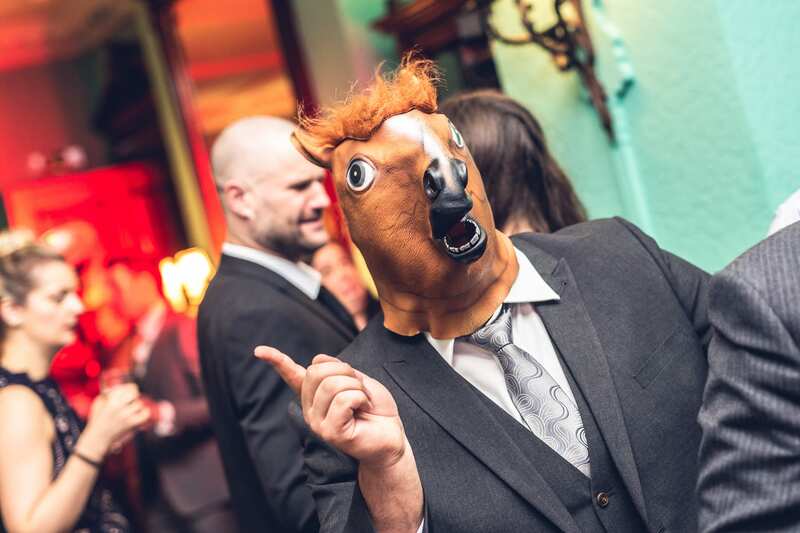 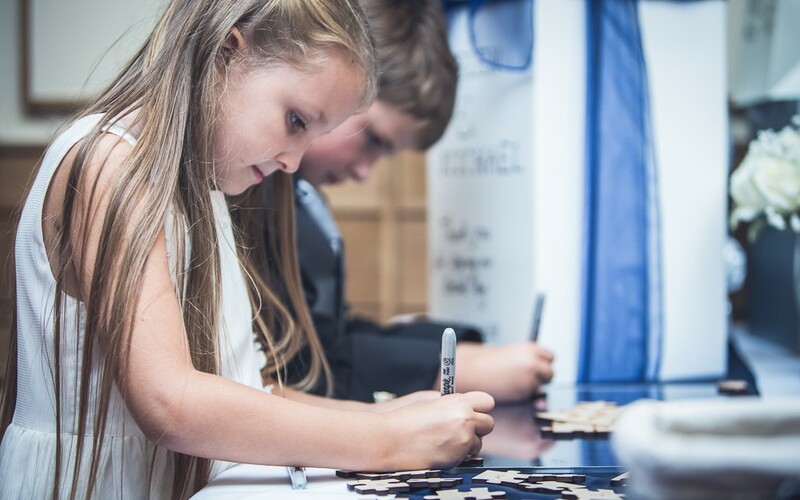 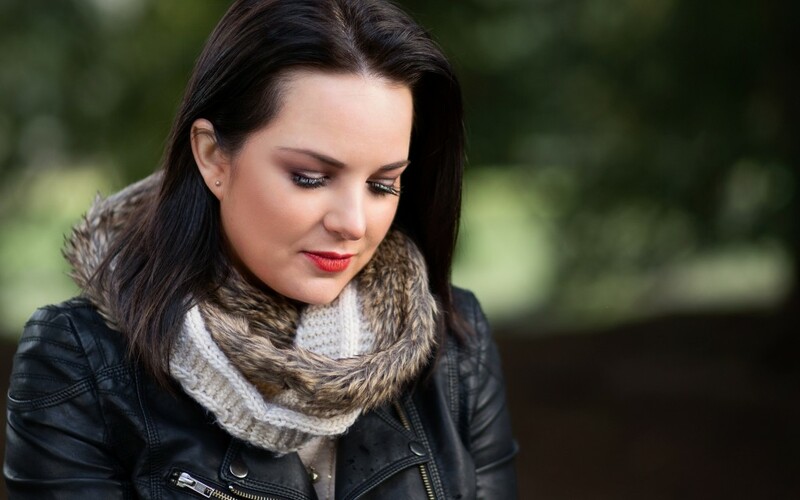 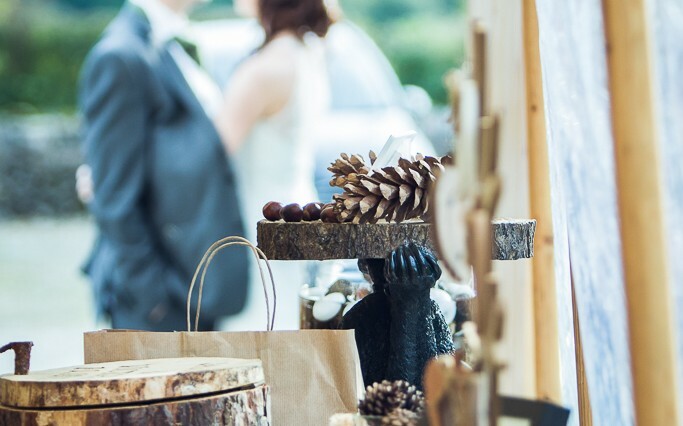 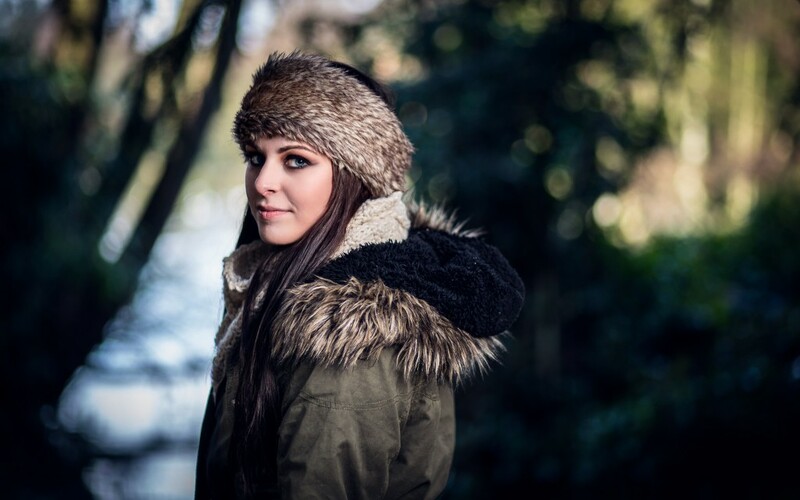 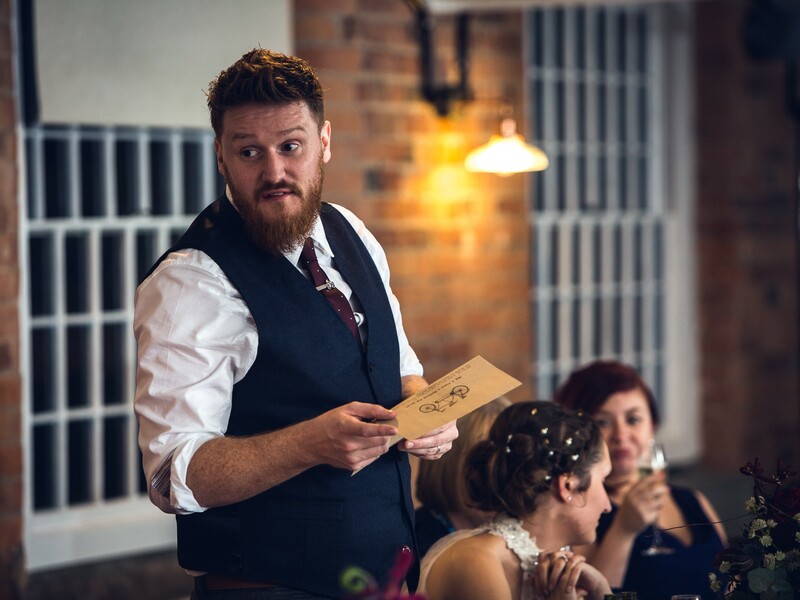 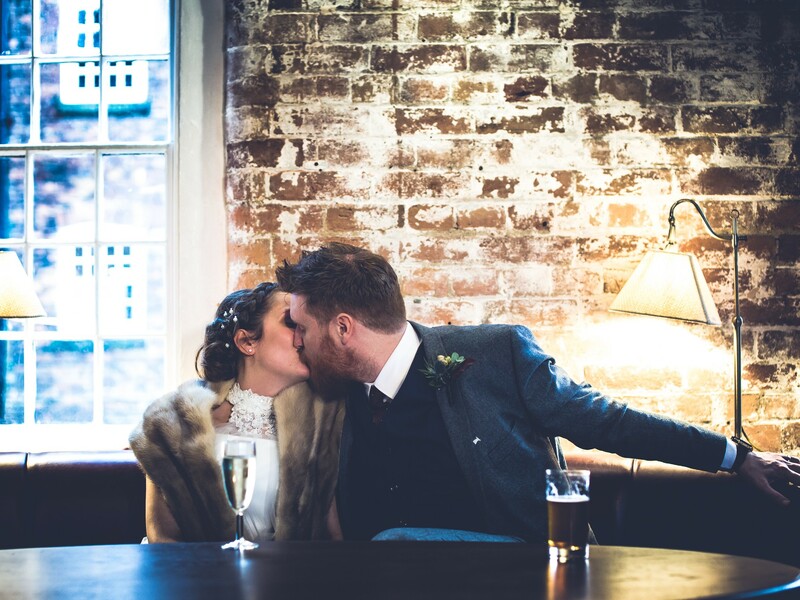 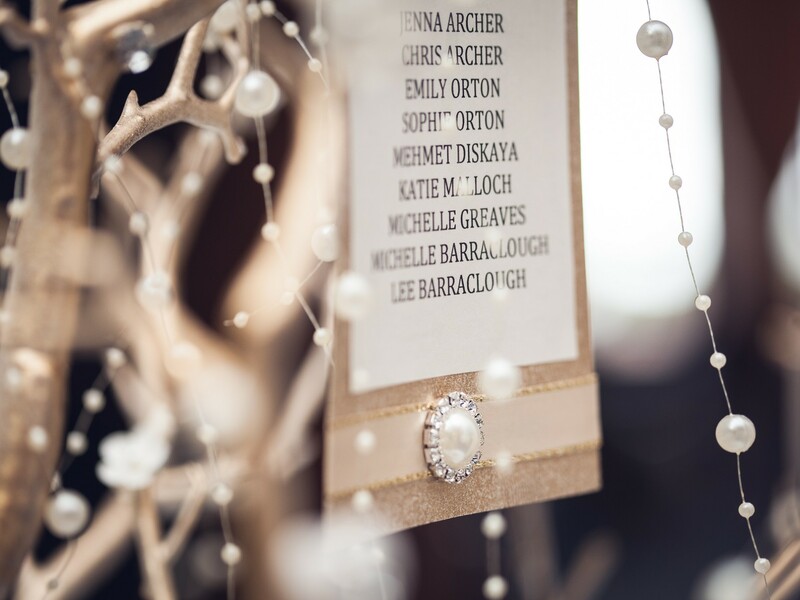 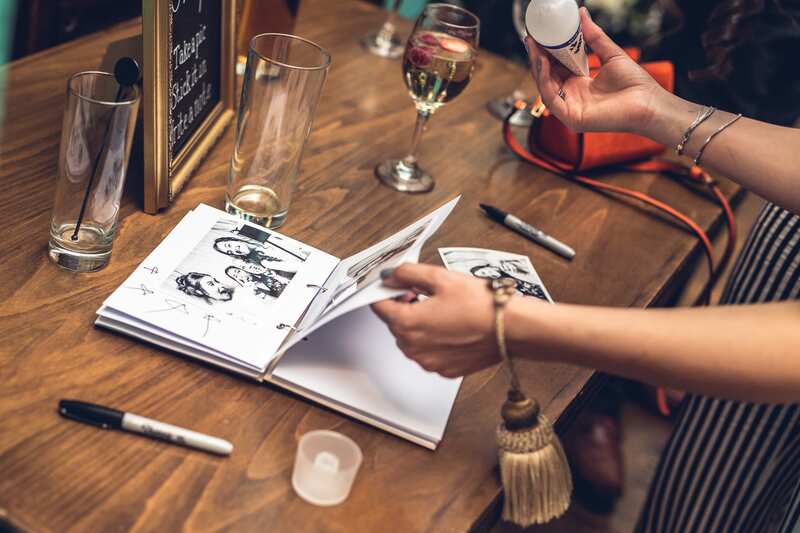 Ever wondered what Derby wedding suppliers get up to in the winter? 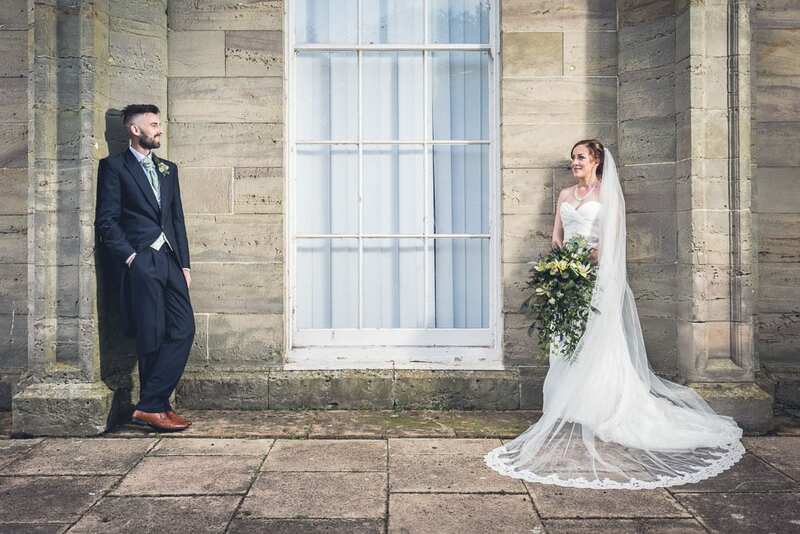 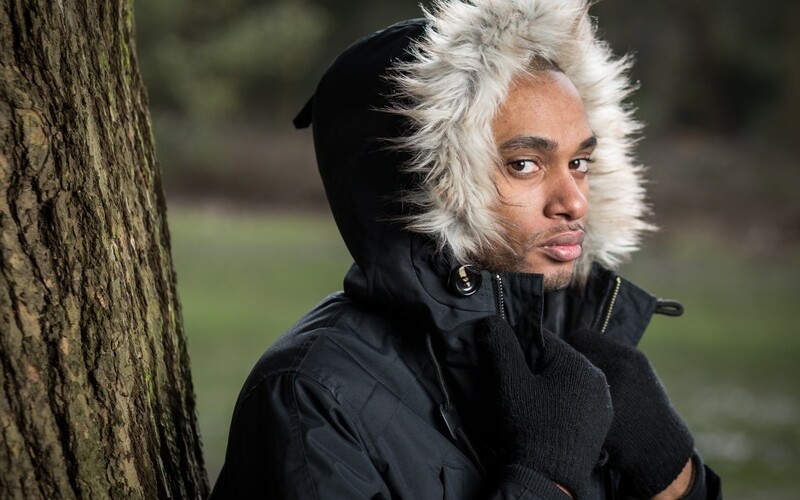 A massive thanks to our models Faye & Andre, my assistant Max who made the journey down from Rotherham…and of course to Sarah, who’s organisational skills made it all possible! 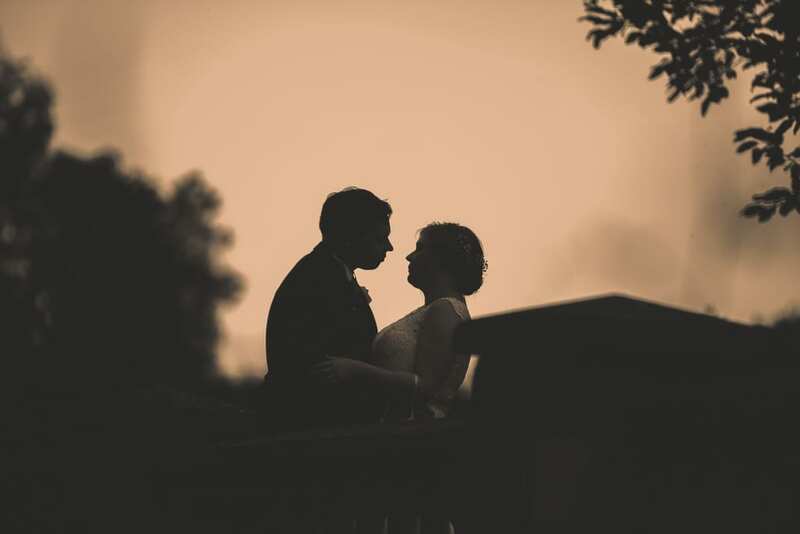 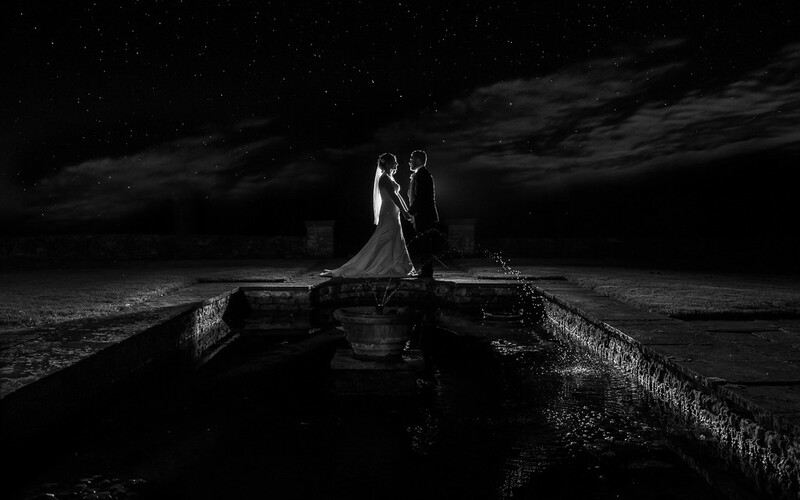 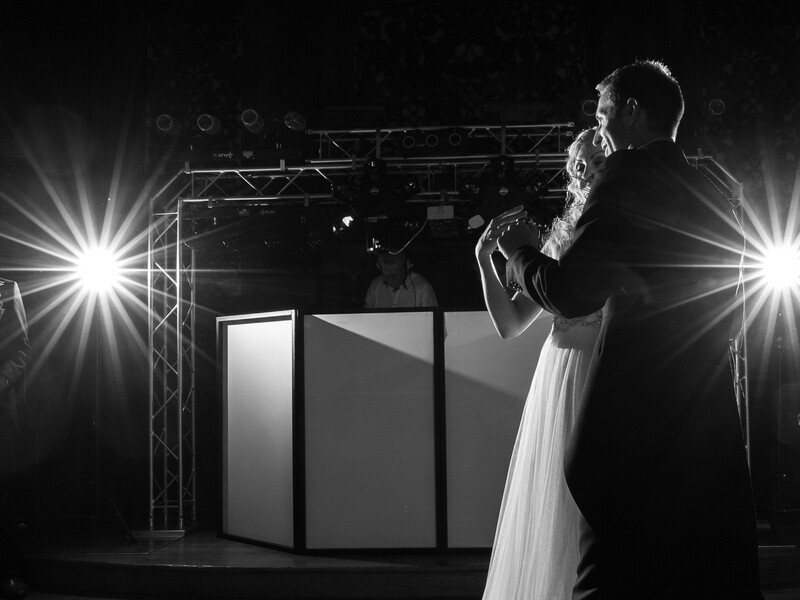 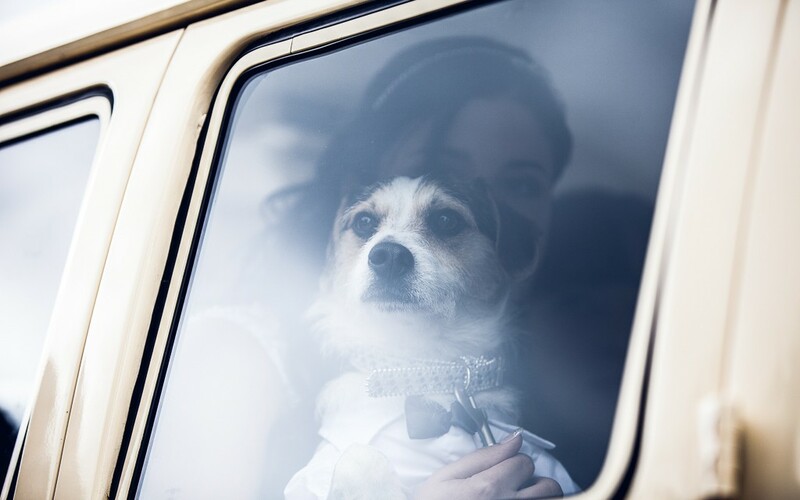 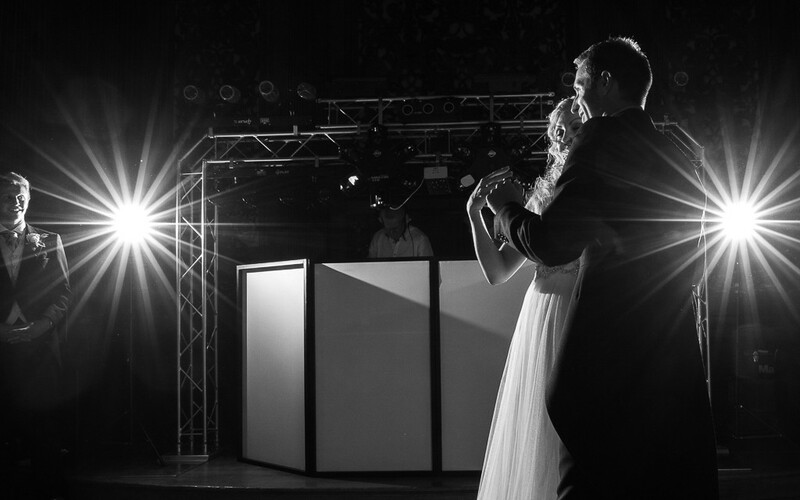 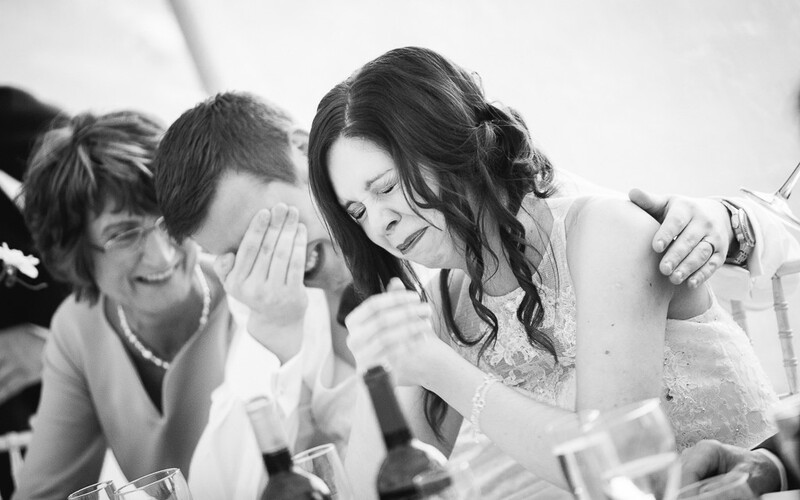 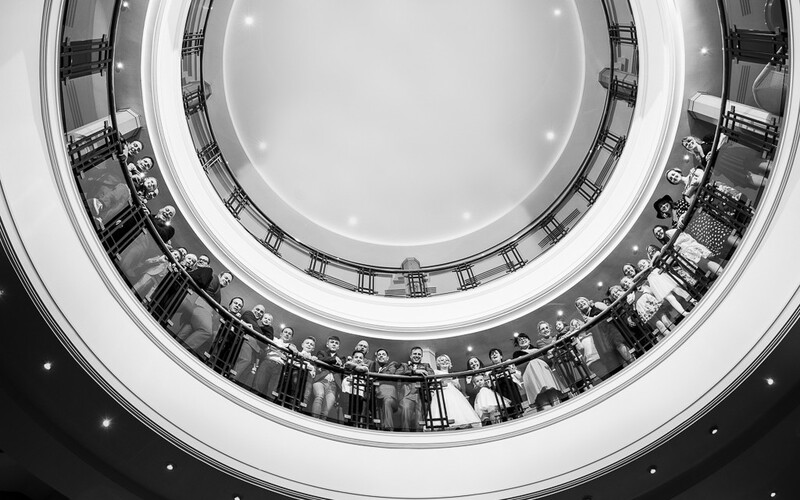 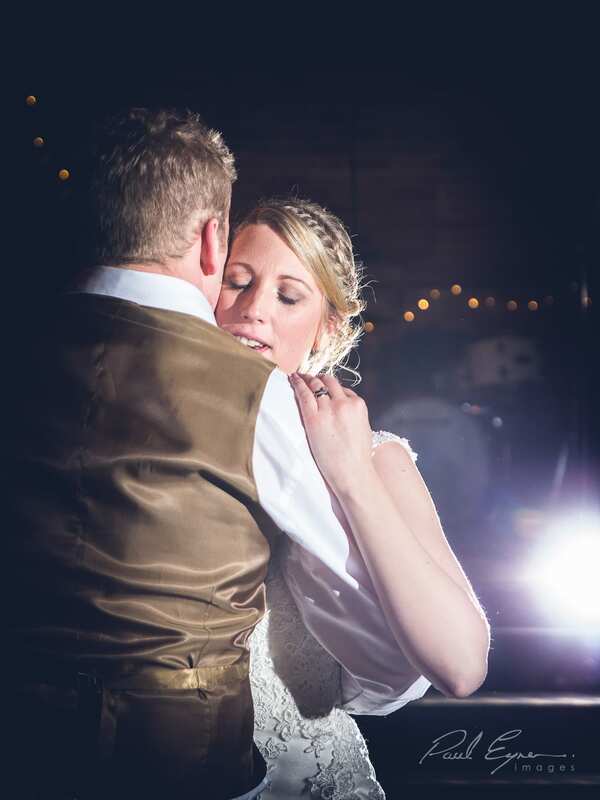 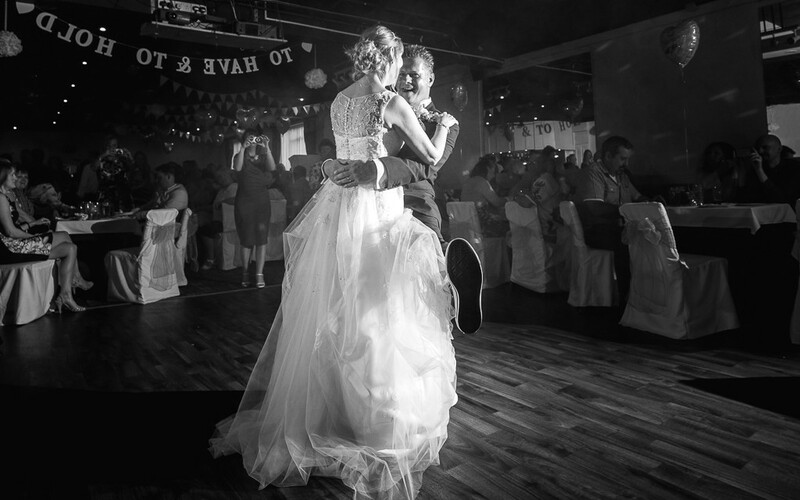 What is your best wedding photography from 2015? 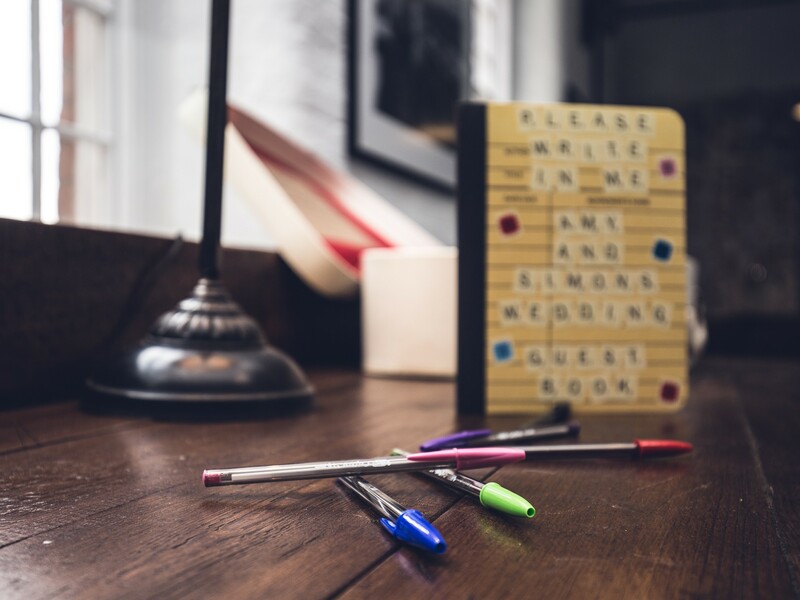 Ask me this question and I completely clam up. 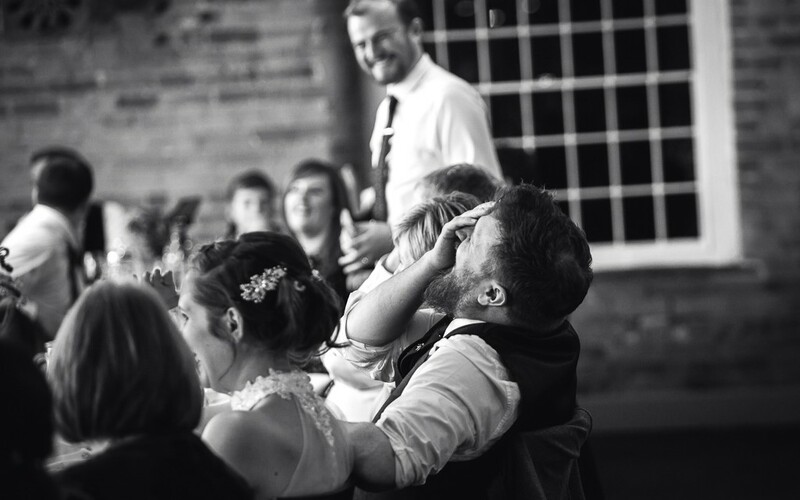 Possibly the most difficult question for me to answer. 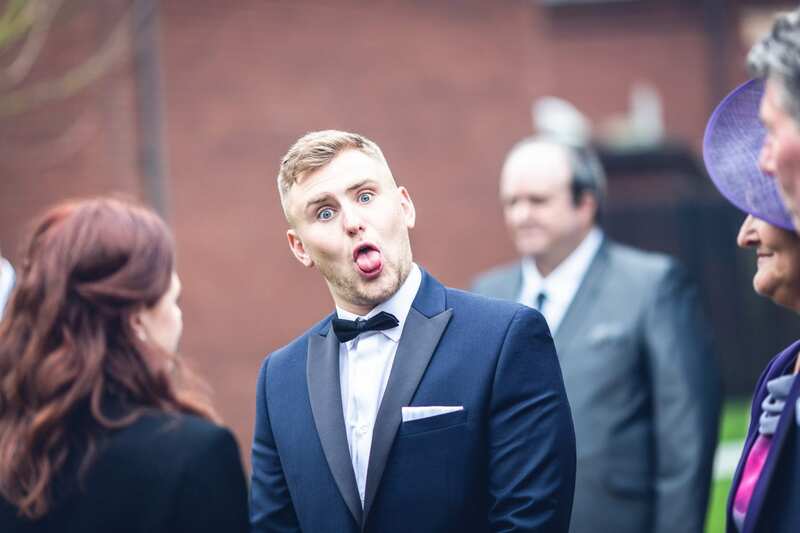 I simply do not know. 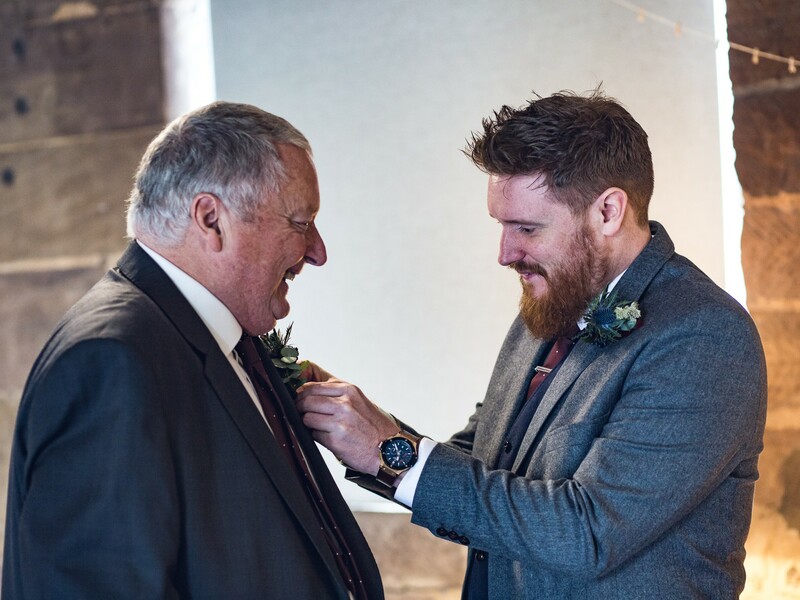 I don’t have a favourite! 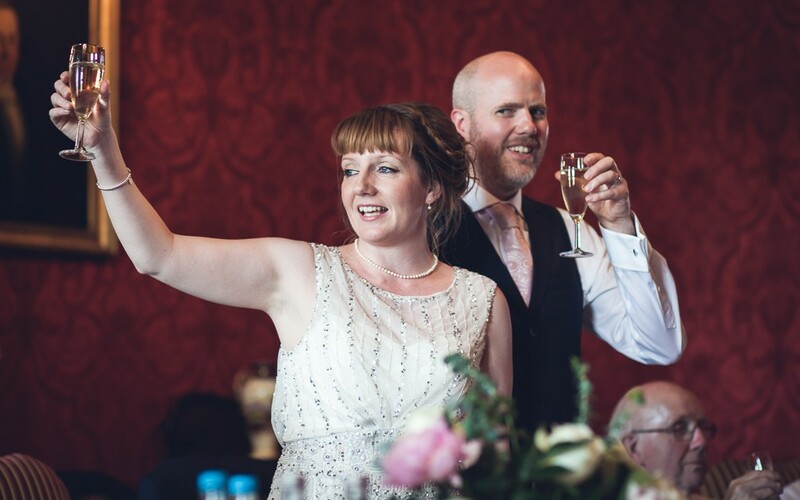 What I will say is that 2015 was definitely one to remember! 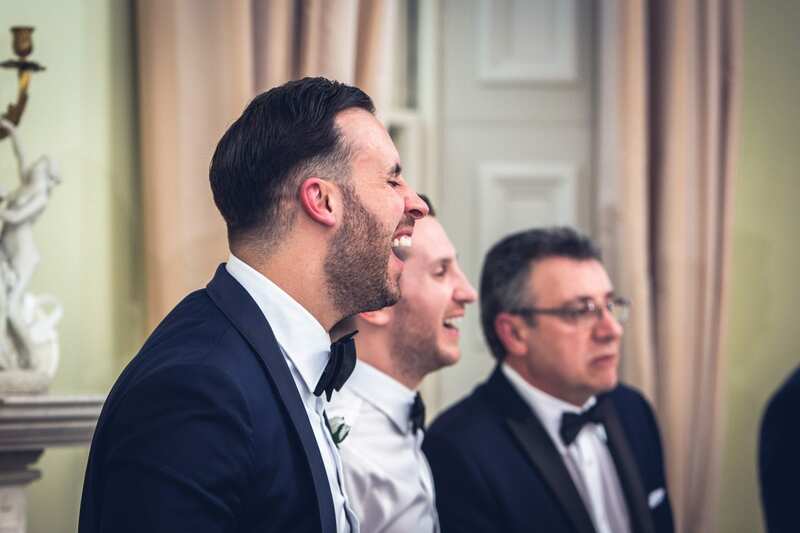 Packed with so much emotion, fun and laughter. 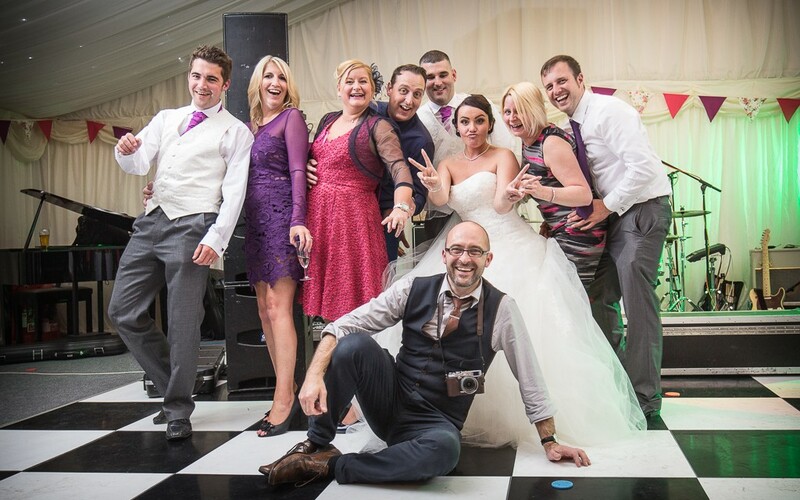 Thanks to all the wonderful people I had the pleasure of working with! 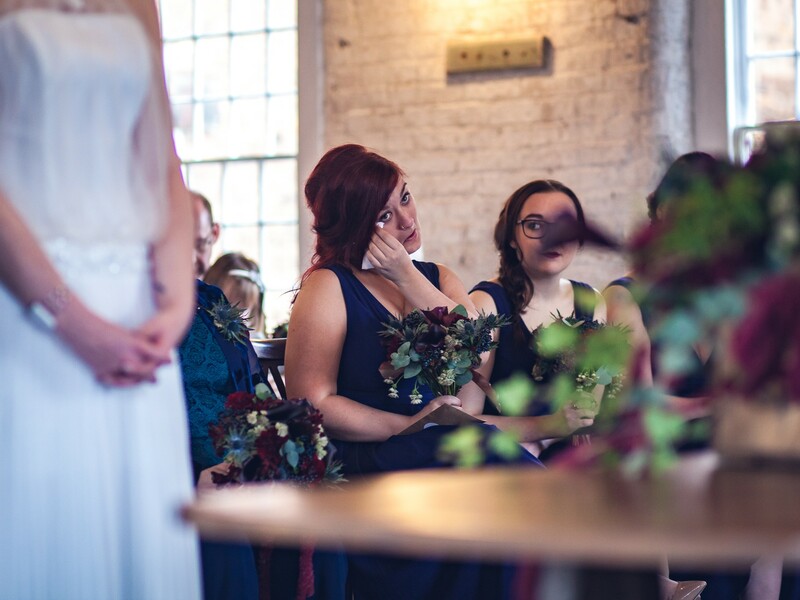 There are many reasons for choosing each of the images below to showcase my season. 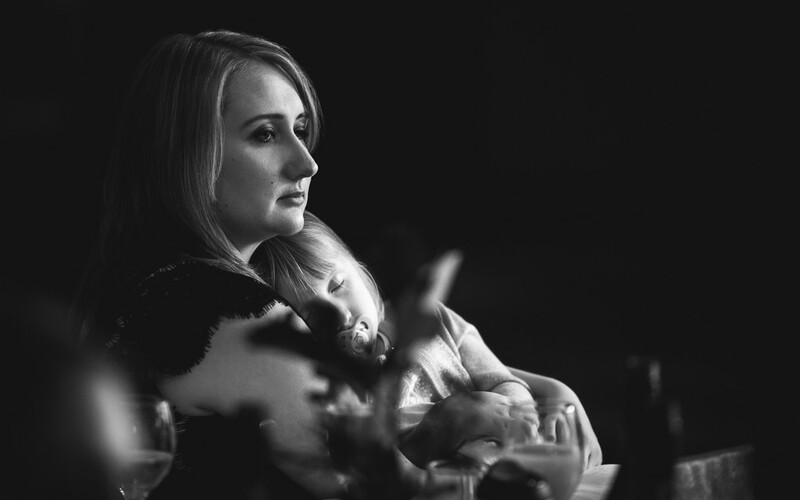 My reason for choosing some may be obvious, and some maybe not so. 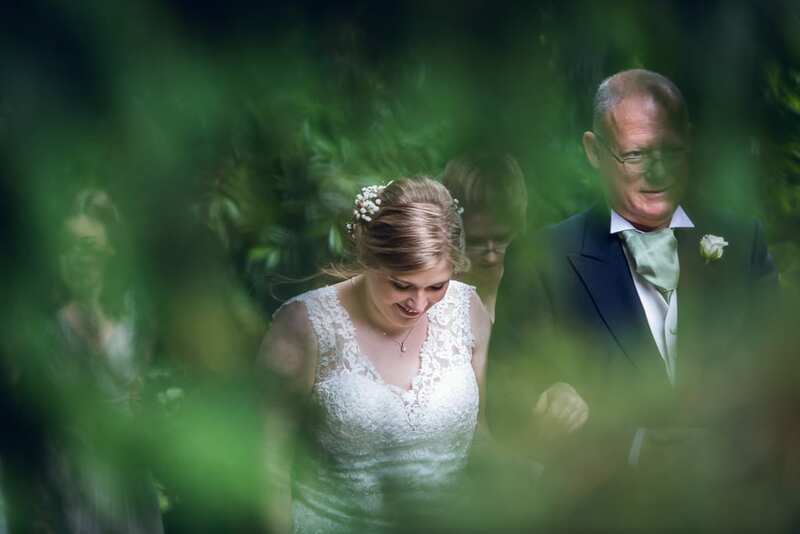 Ask me to do the same tomorrow, and I would probably choose a completely different set but please enjoy what is, for now – my best wedding photography 2015. 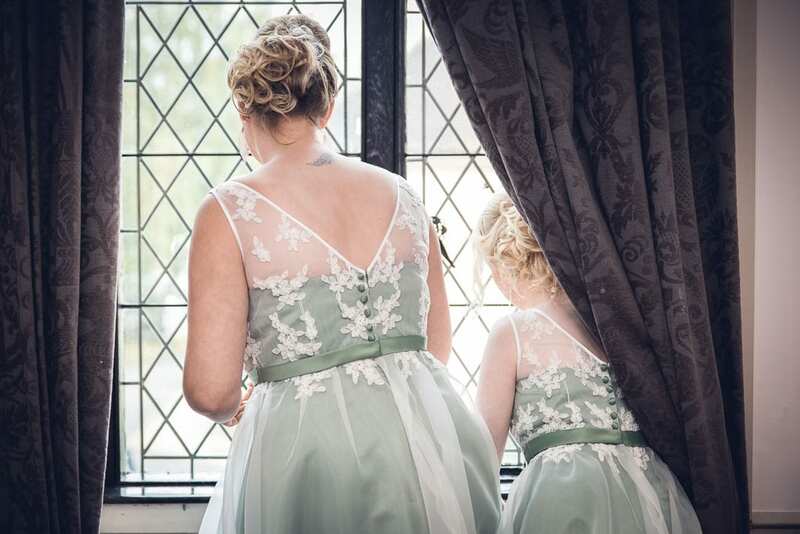 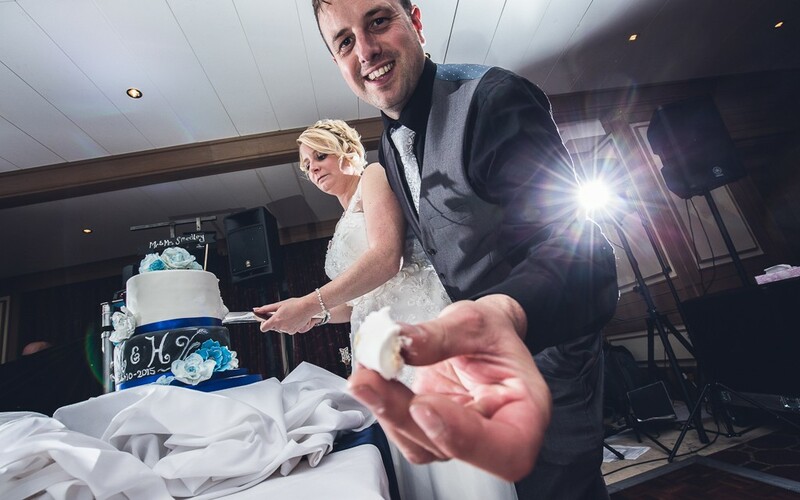 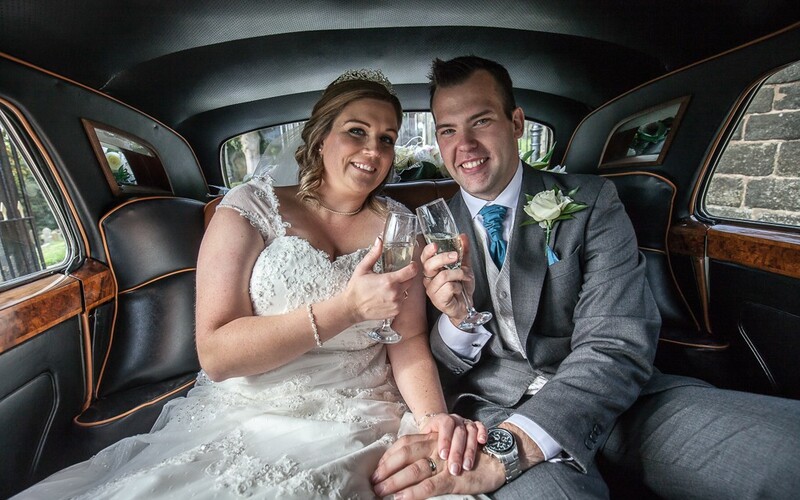 Back in August 2015 I had the pleasure of covering Tom & Amanda’s amazing Swinfen Hall Wedding. 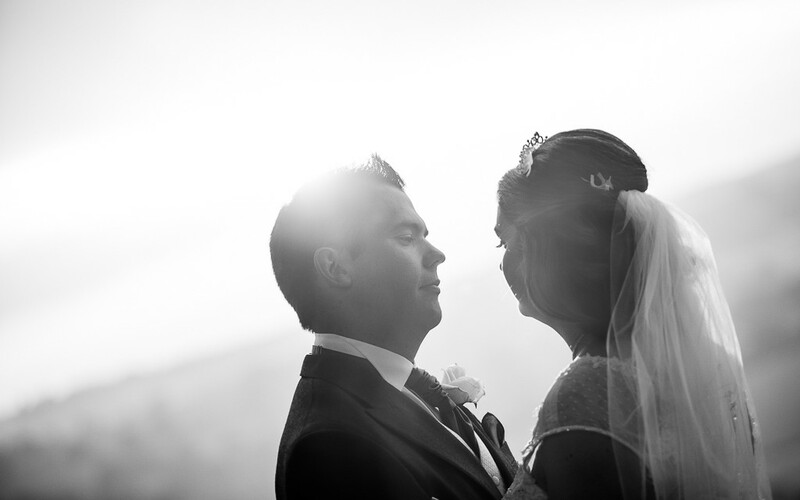 The weather was a typically warm, bright, but over-cast day which made for some lovely images. 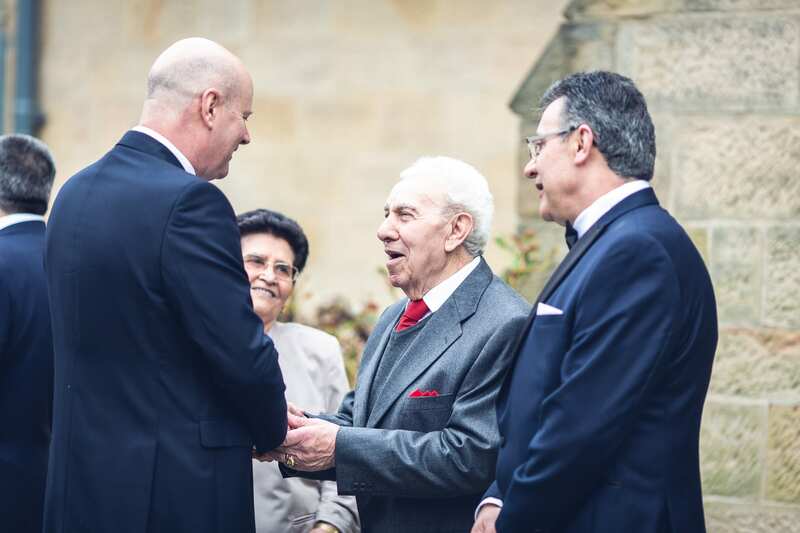 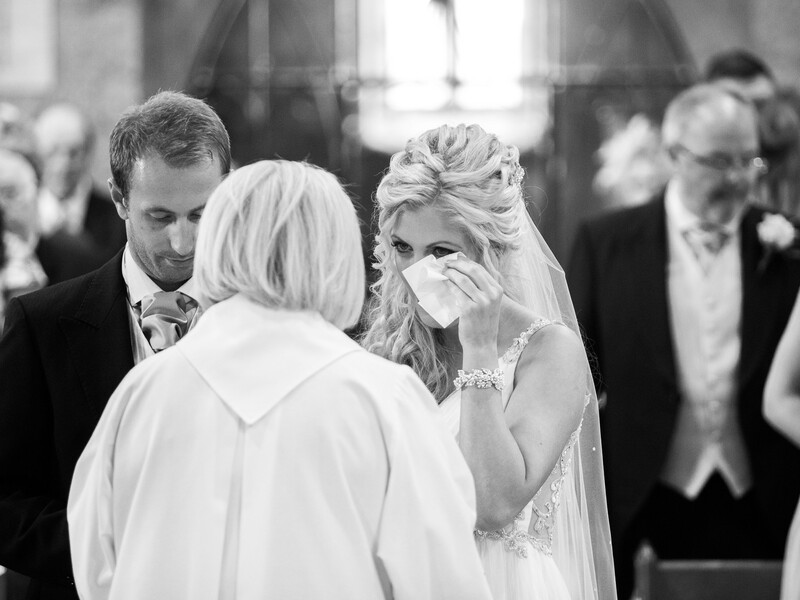 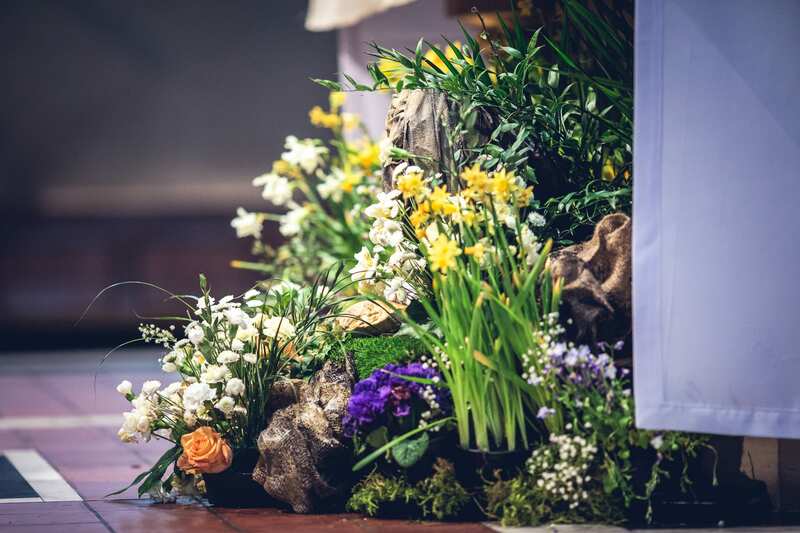 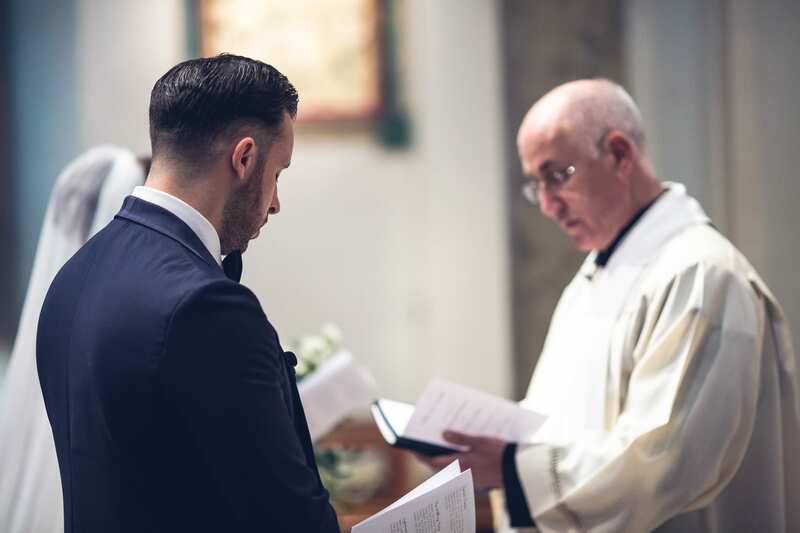 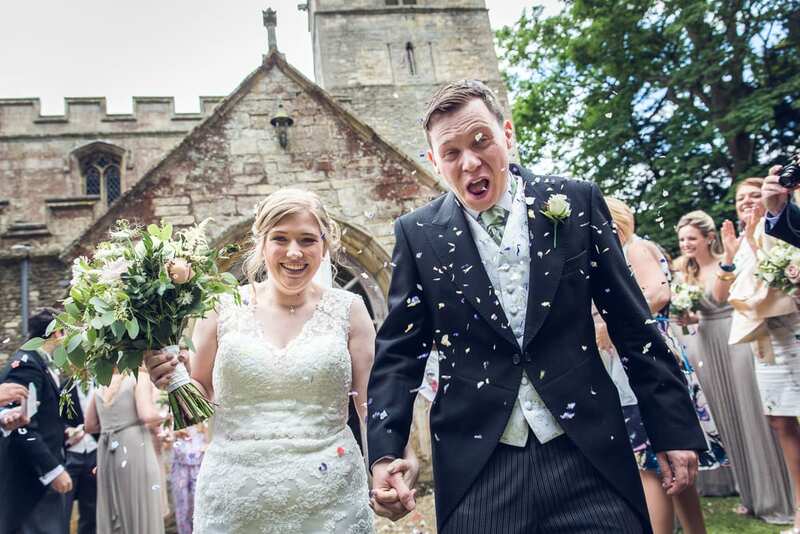 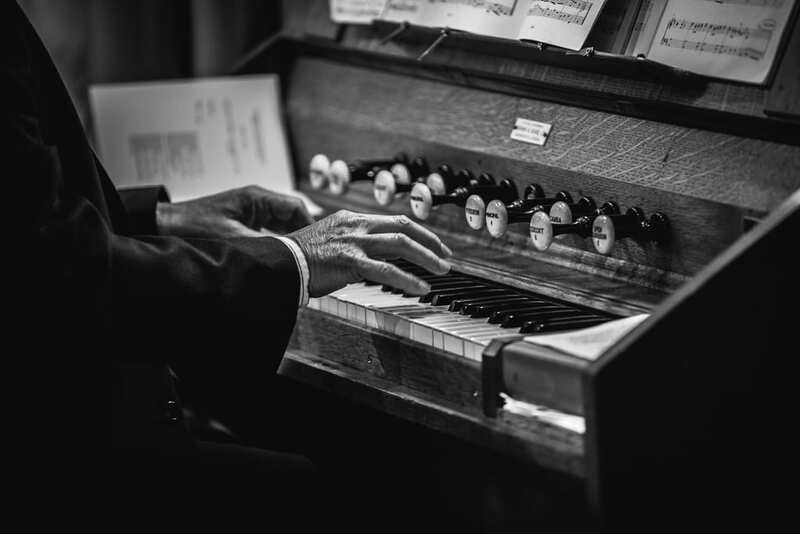 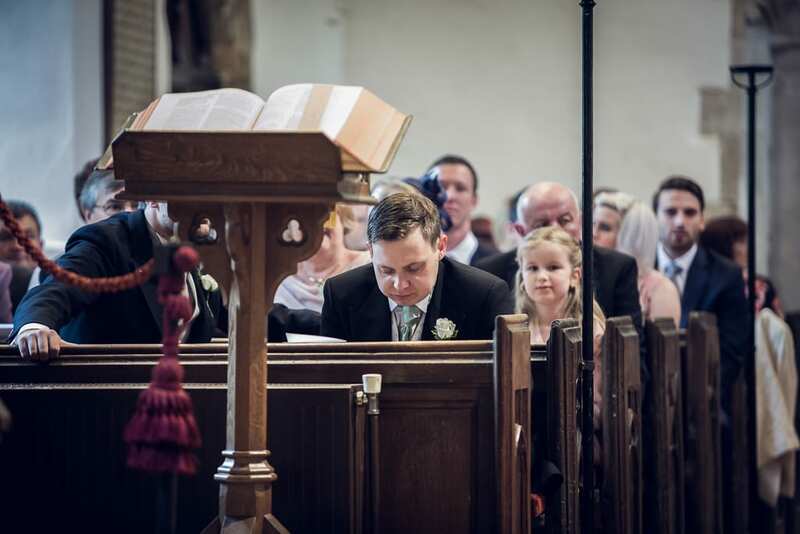 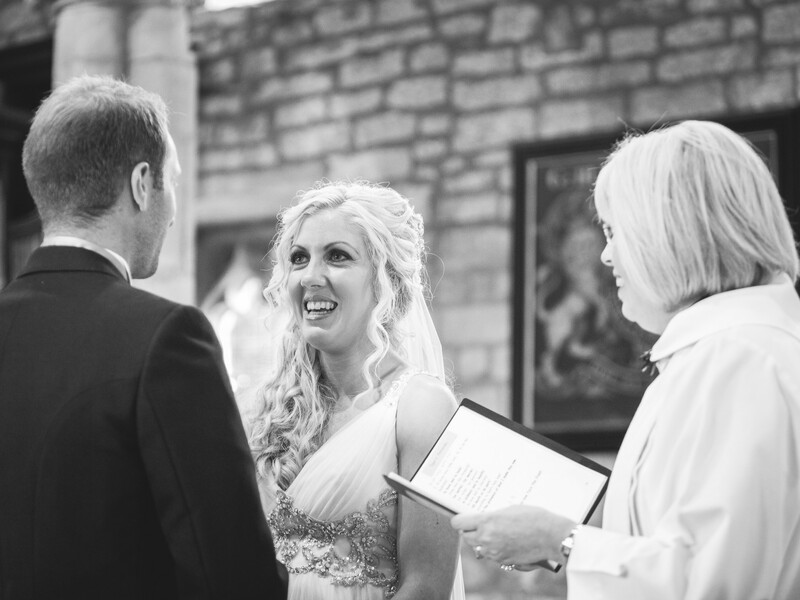 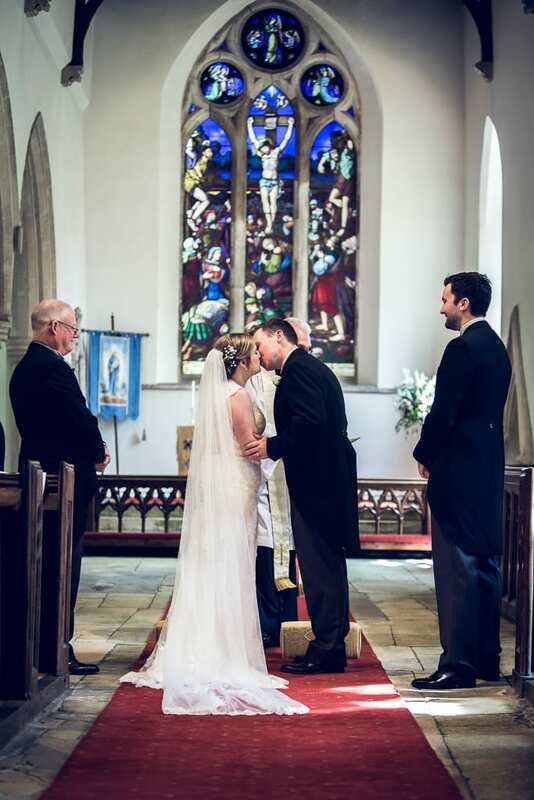 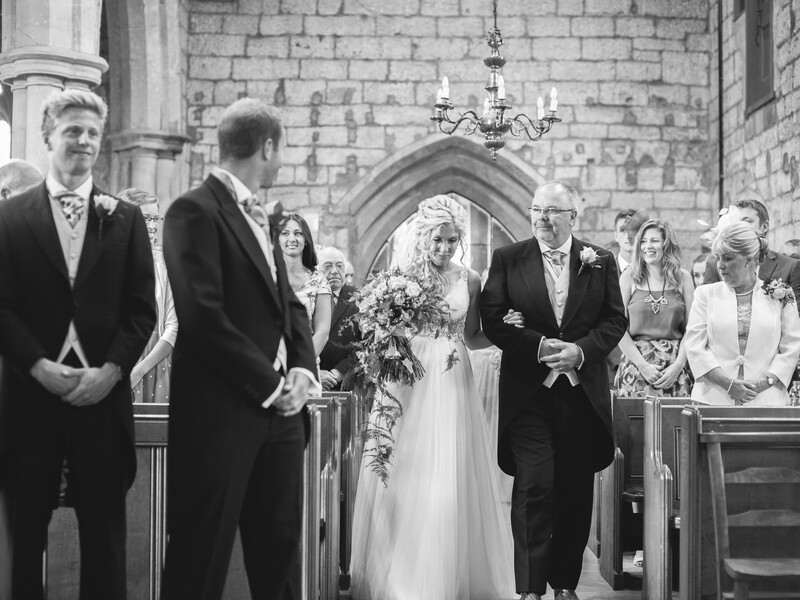 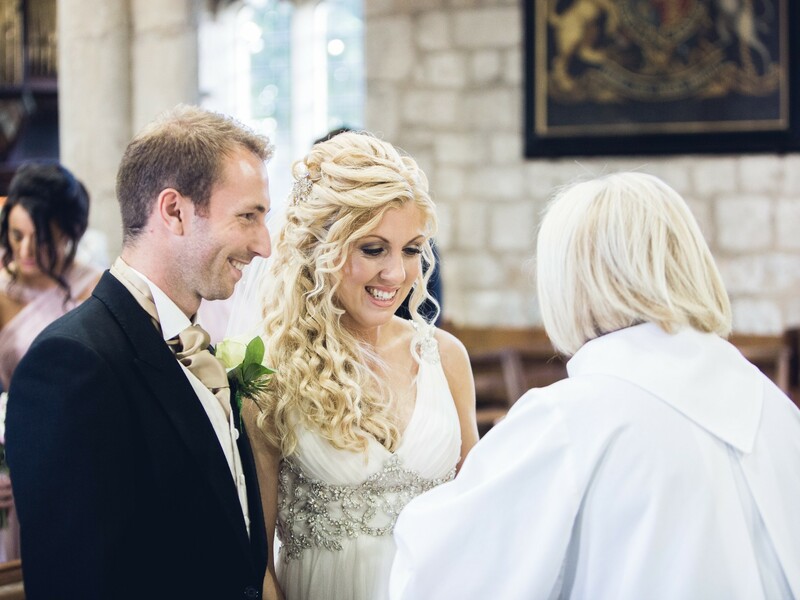 The ceremony took place at the Parish Church of St Mary in the sleepy Derbyshire village of Marston On Dove. 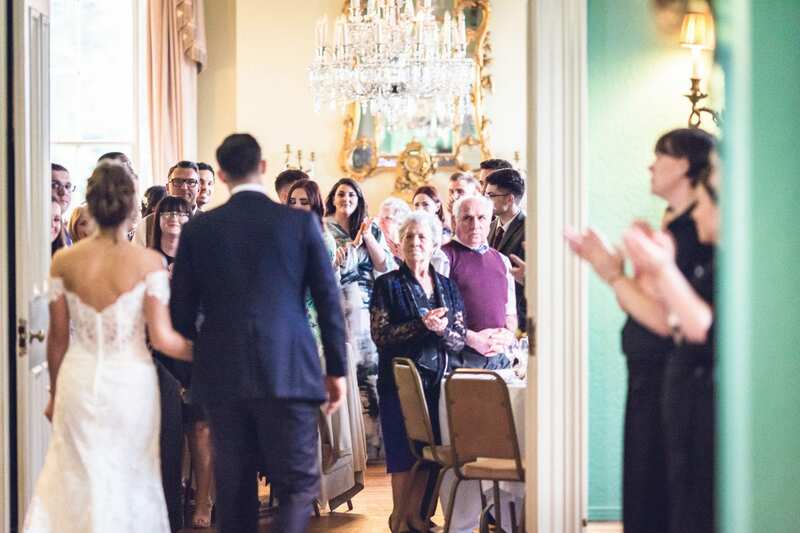 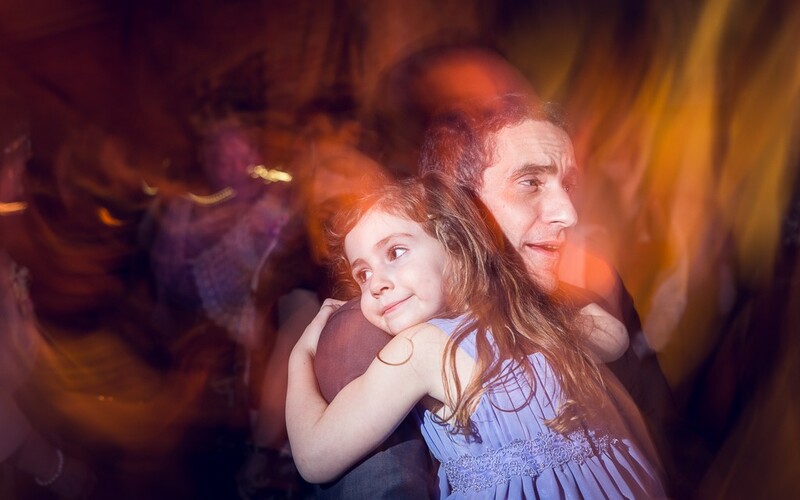 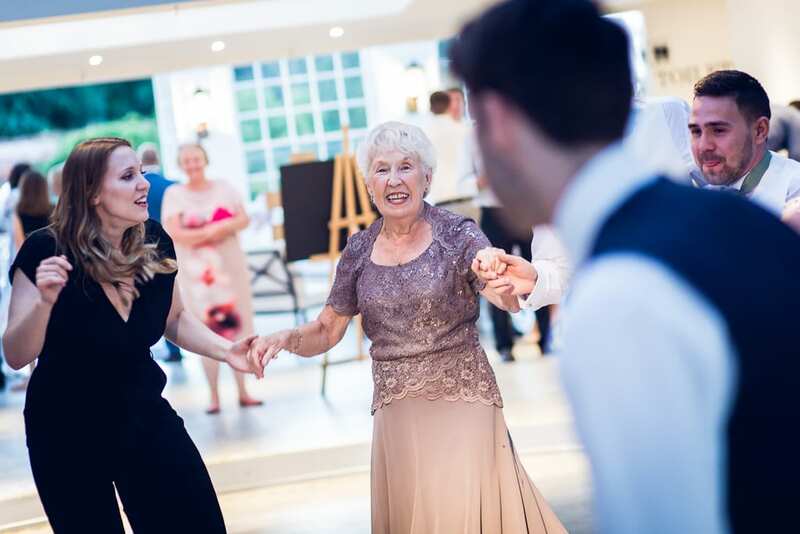 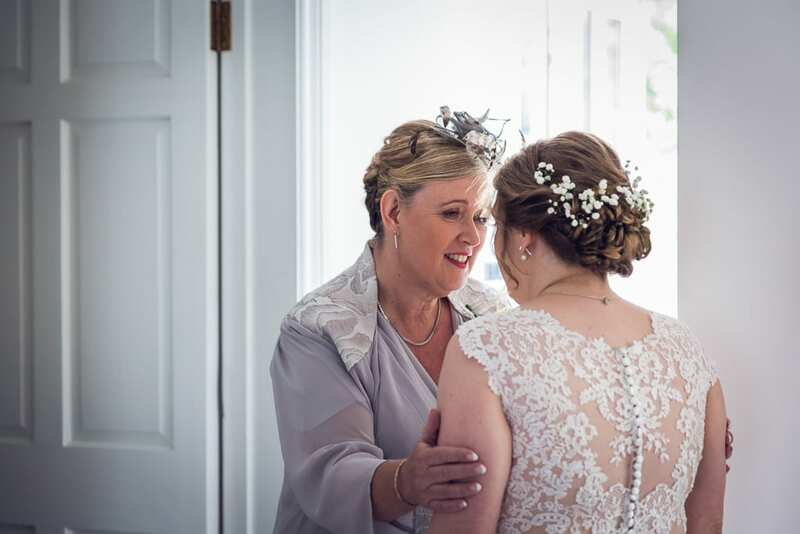 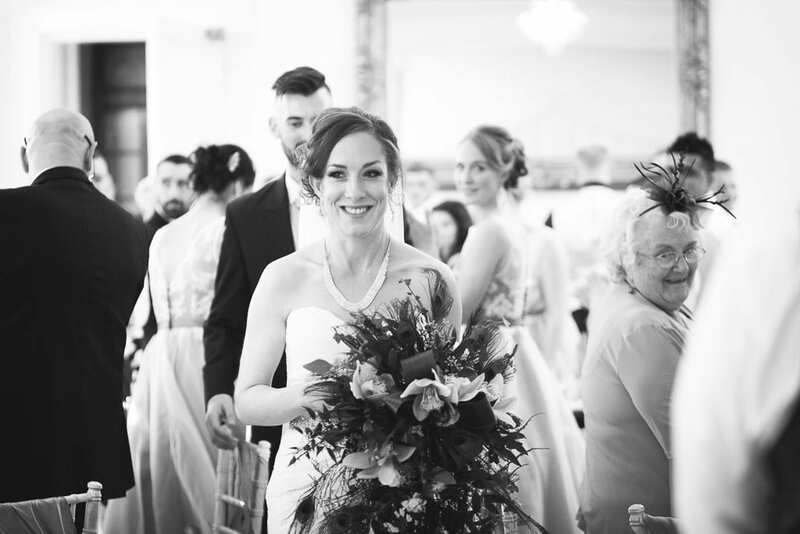 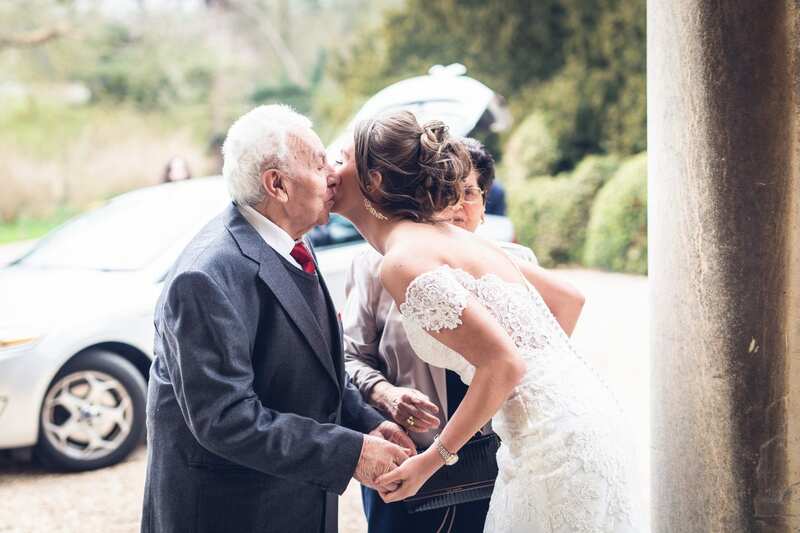 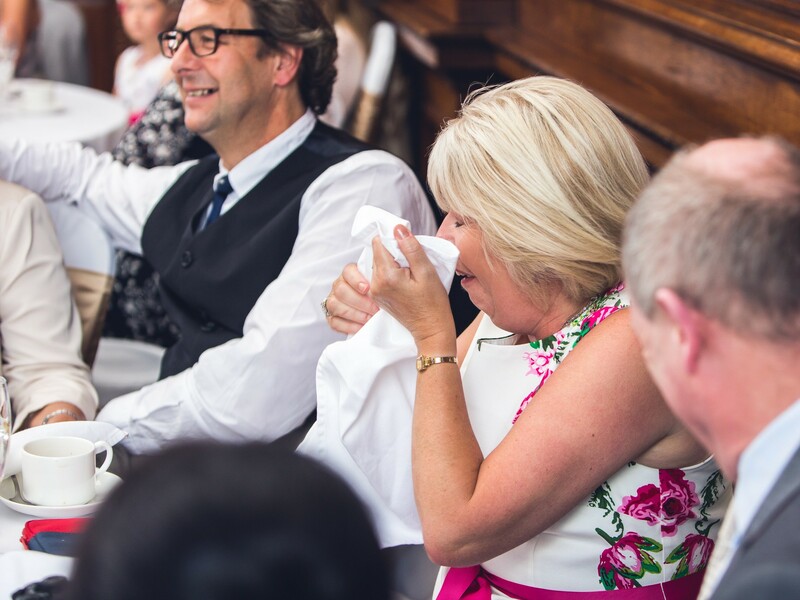 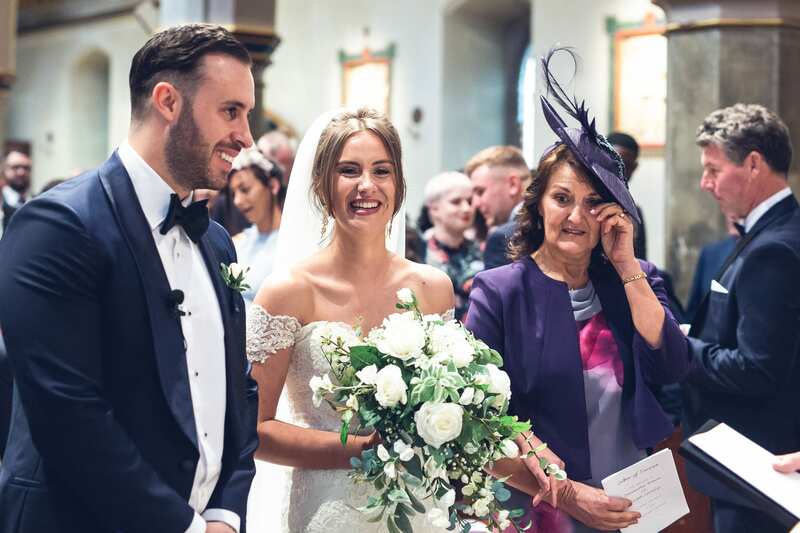 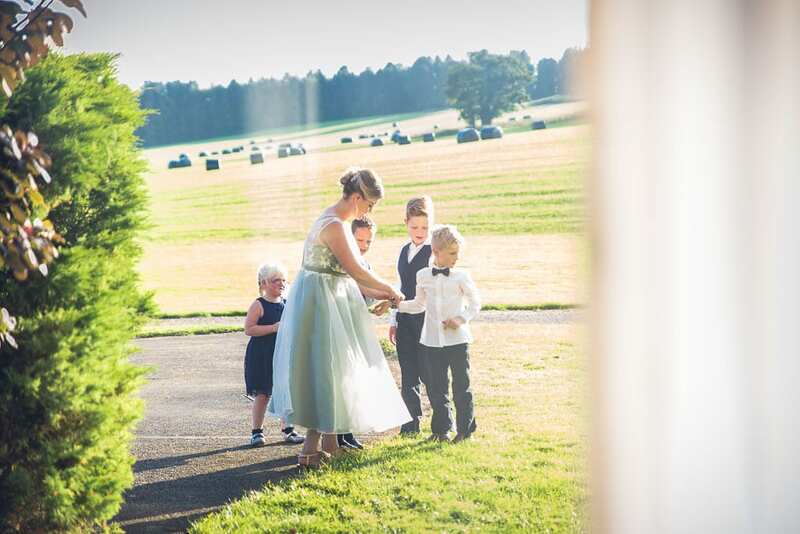 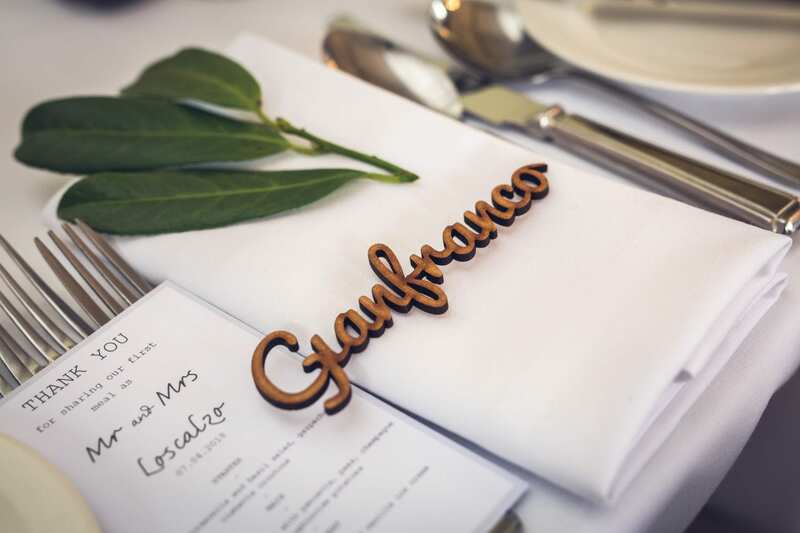 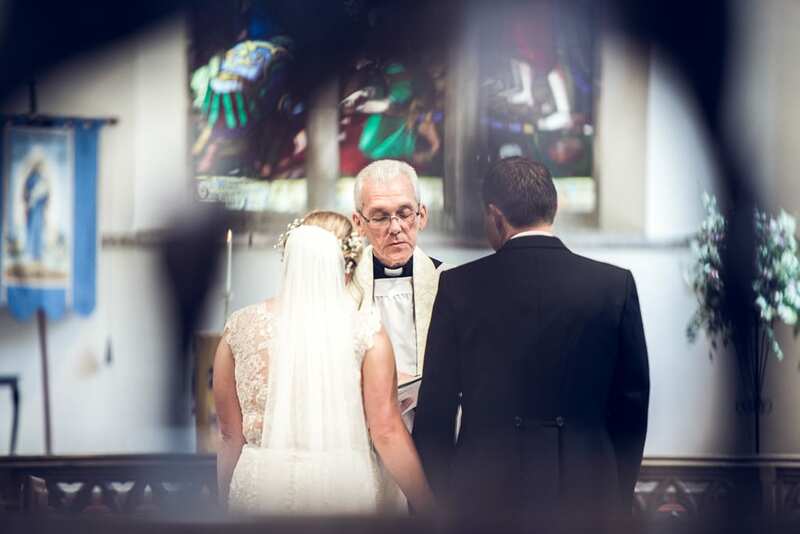 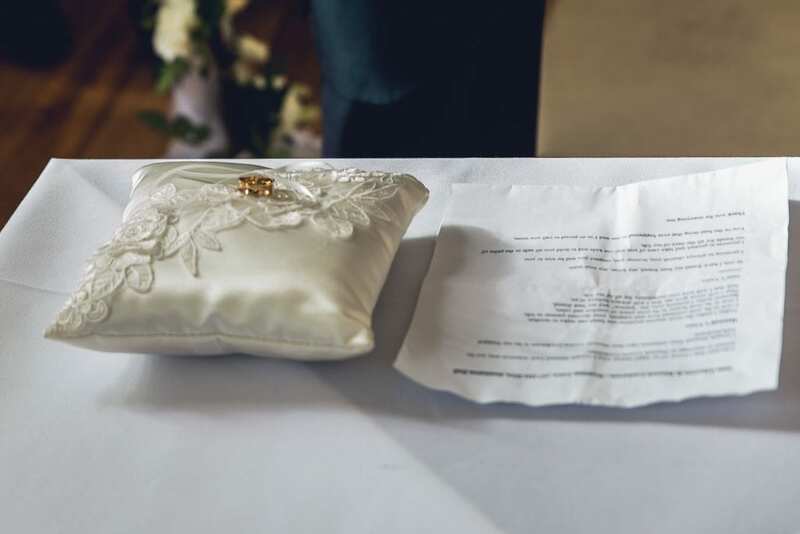 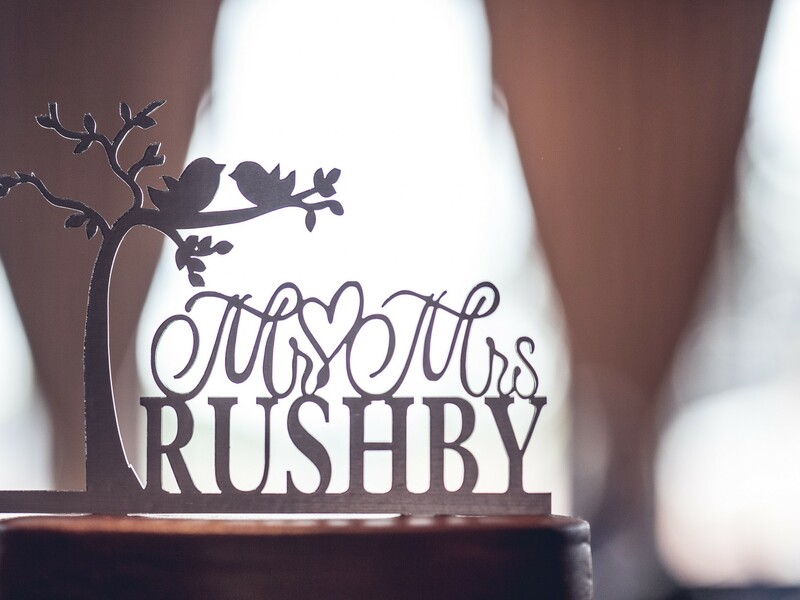 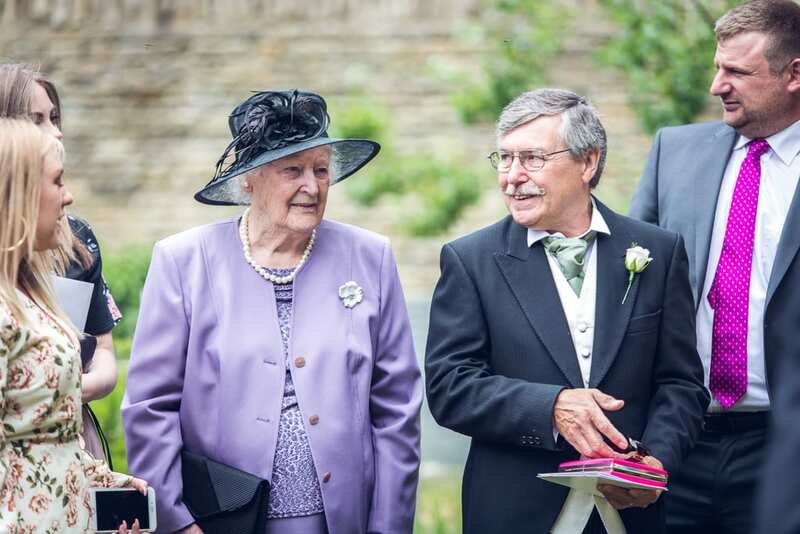 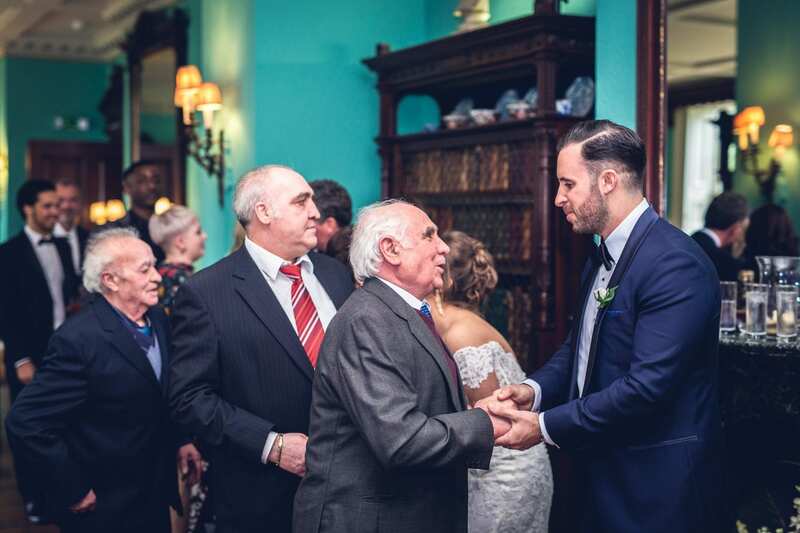 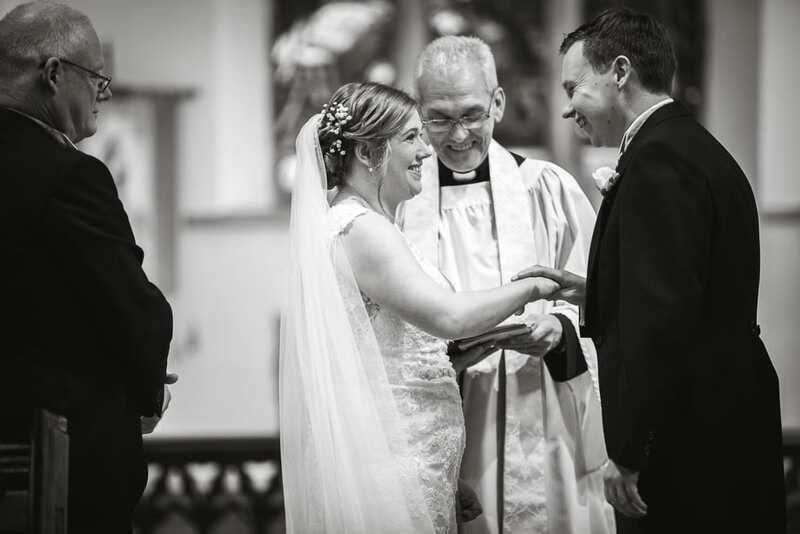 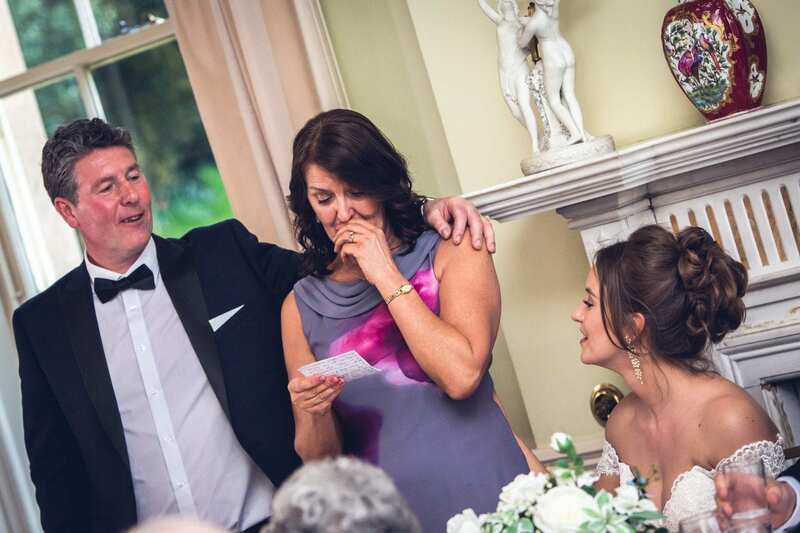 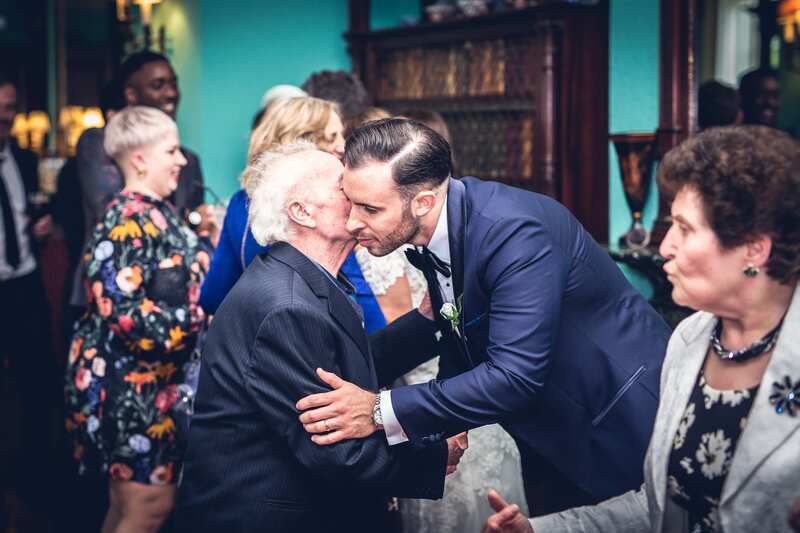 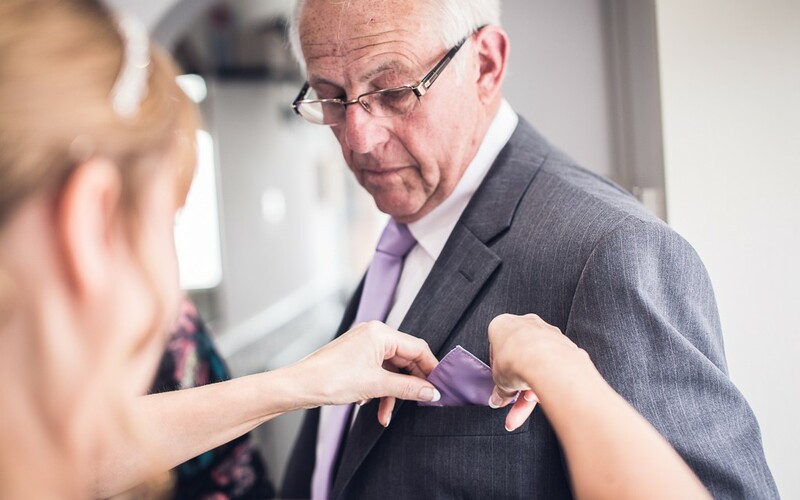 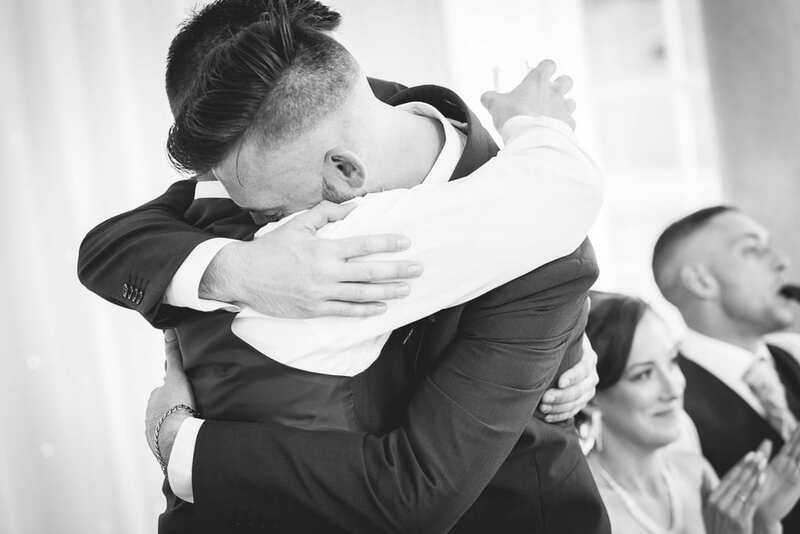 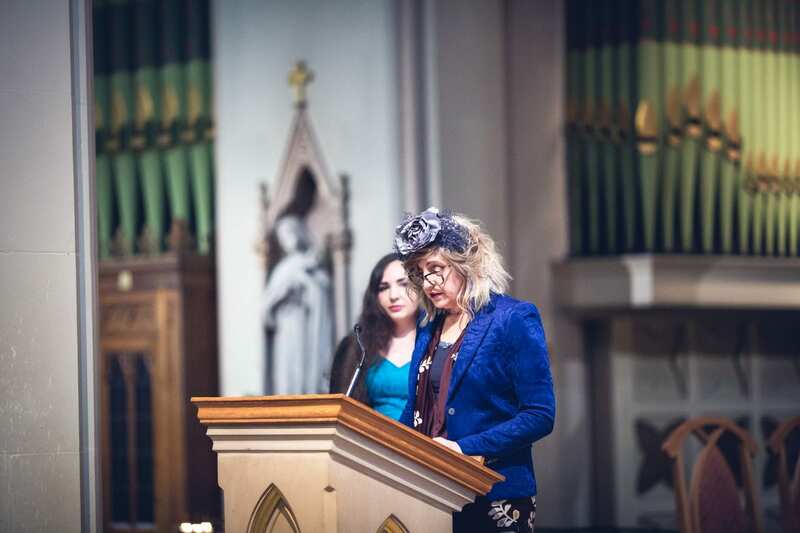 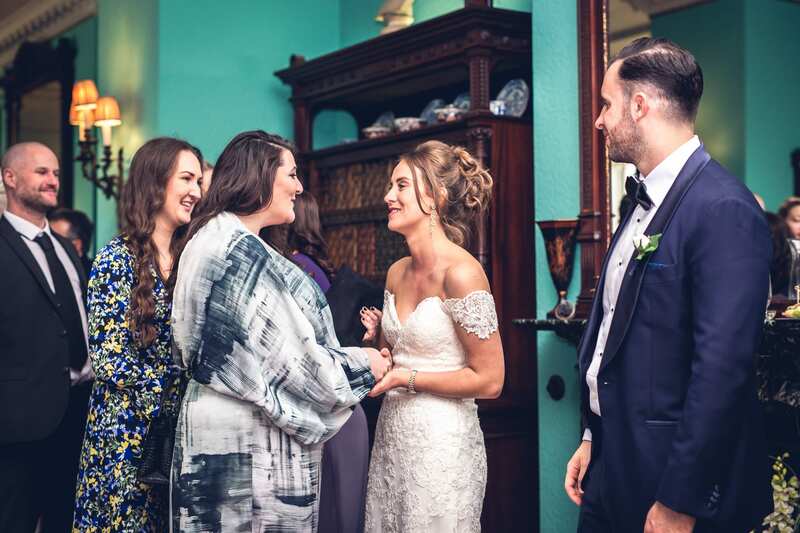 What made this wedding extra special was that Amanda’s Aunty Julie had travelled a great distance to conduct the ceremony, adding a wonderful atmosphere to the intimate gathering of family and friends. 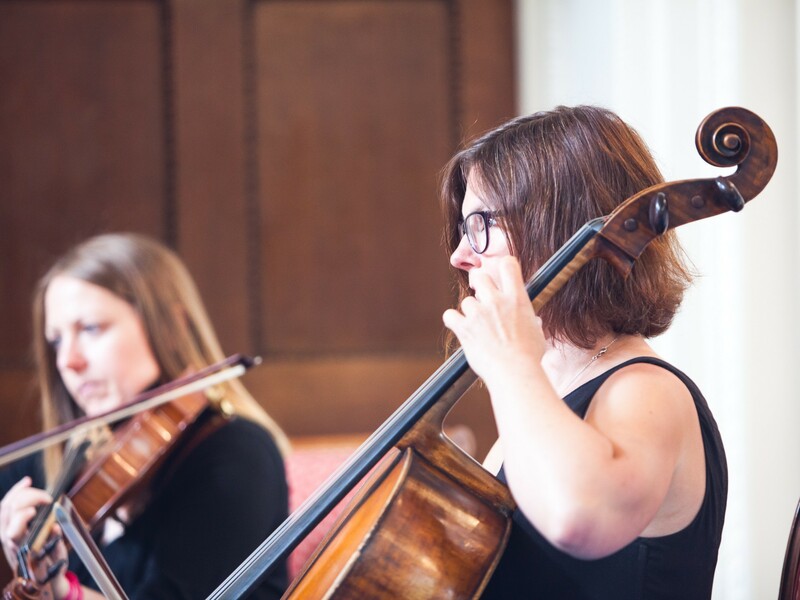 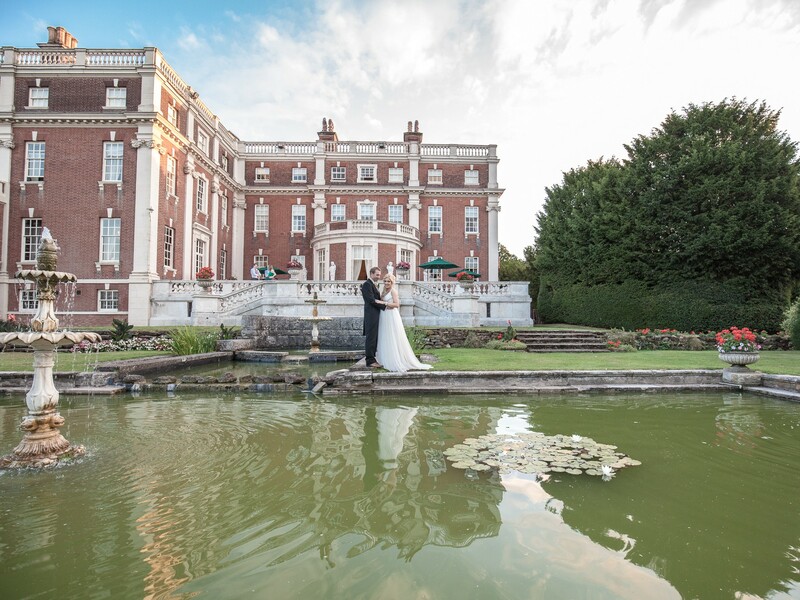 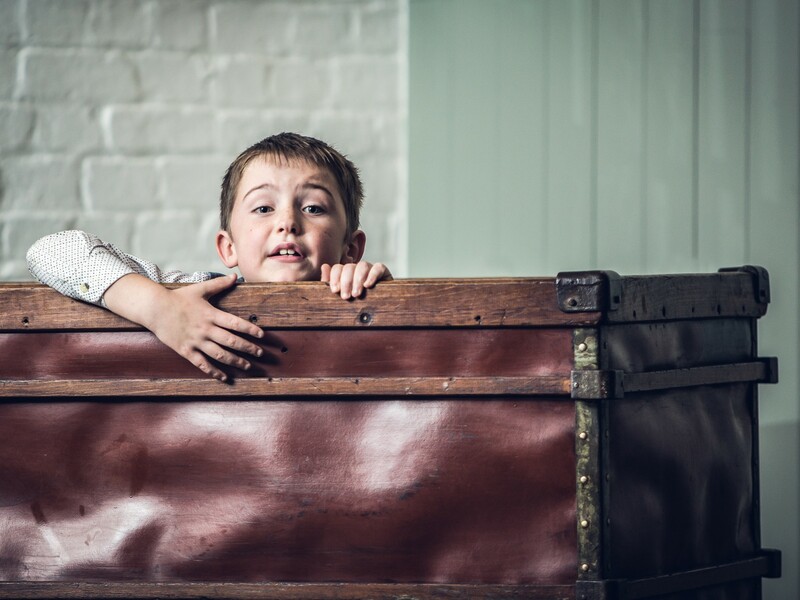 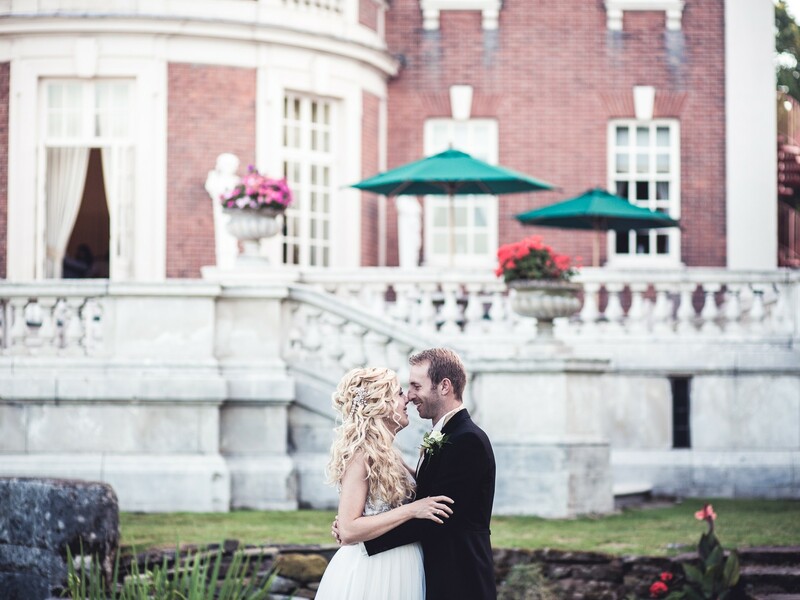 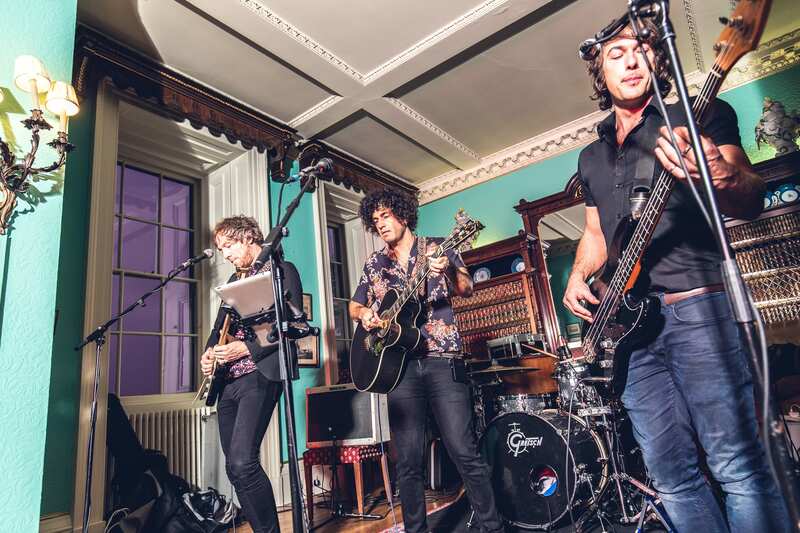 From there we travelled over to Staffordshire, to the exquisite venue that is Swinfen Hall. 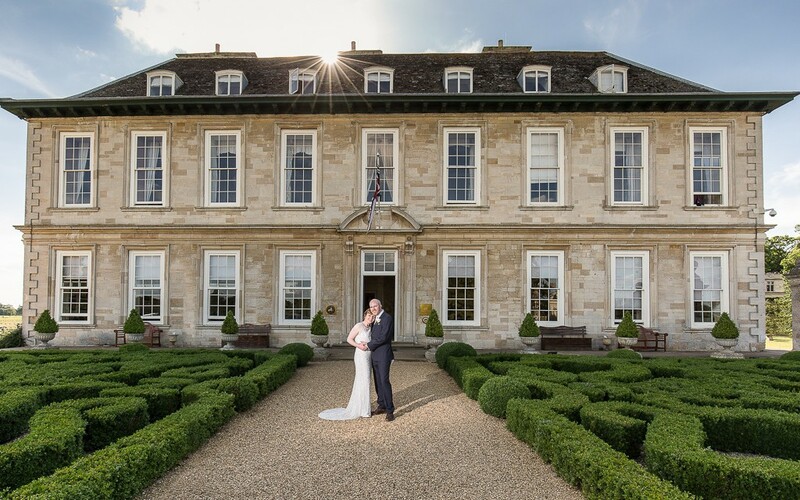 This breath-taking Georgian Manor House is set in 100 acres of parkland, and provided us with the perfect backdrop for a such an elegant reception. 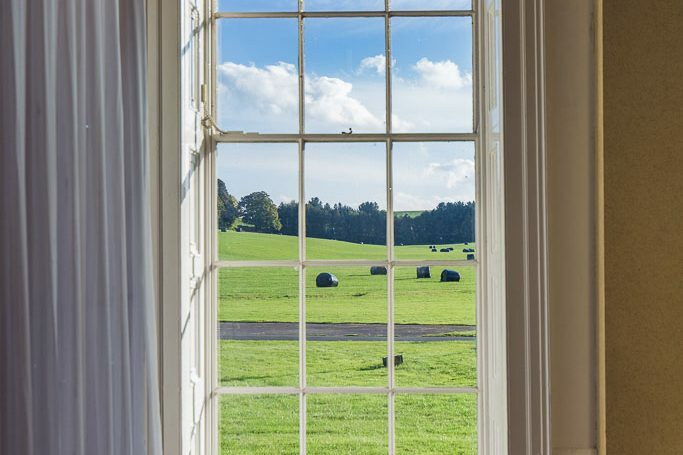 The Enigma String Quartet greeted us upon arrival that created a relaxed atmosphere, reminiscent of the house in days gone by. 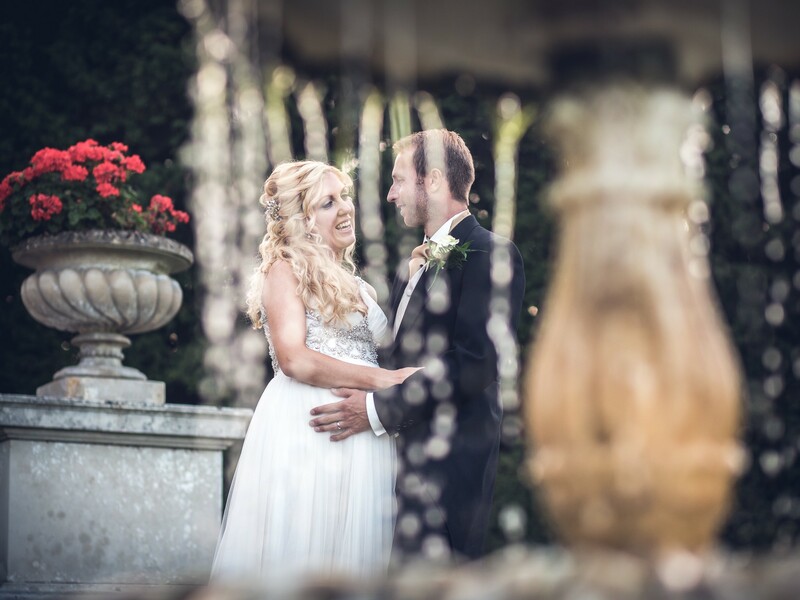 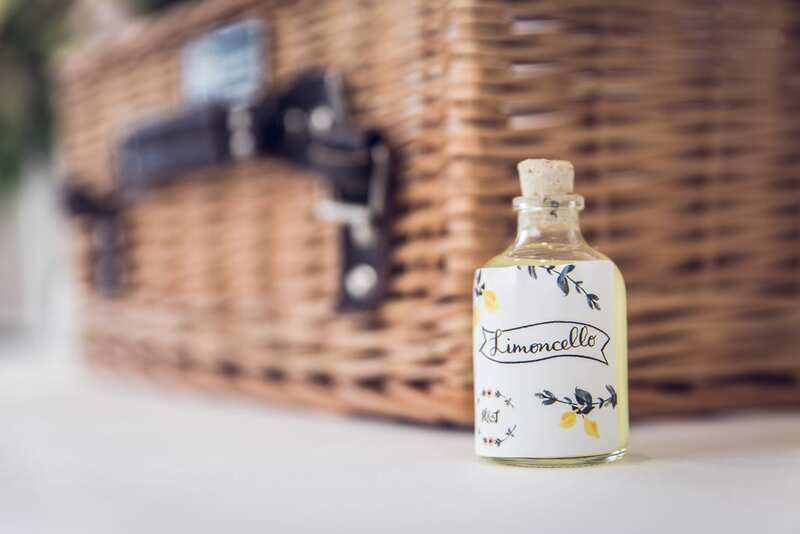 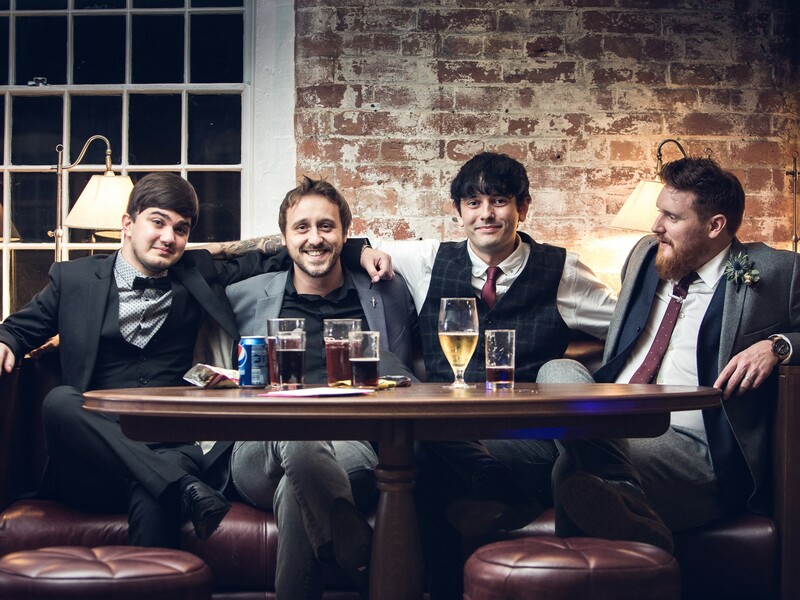 Drinks were taken in the beautifully presented gardens whilst Tom, Amanda and I were able to slip away and create some fantastic images in gardens that left me spoilt for choice! 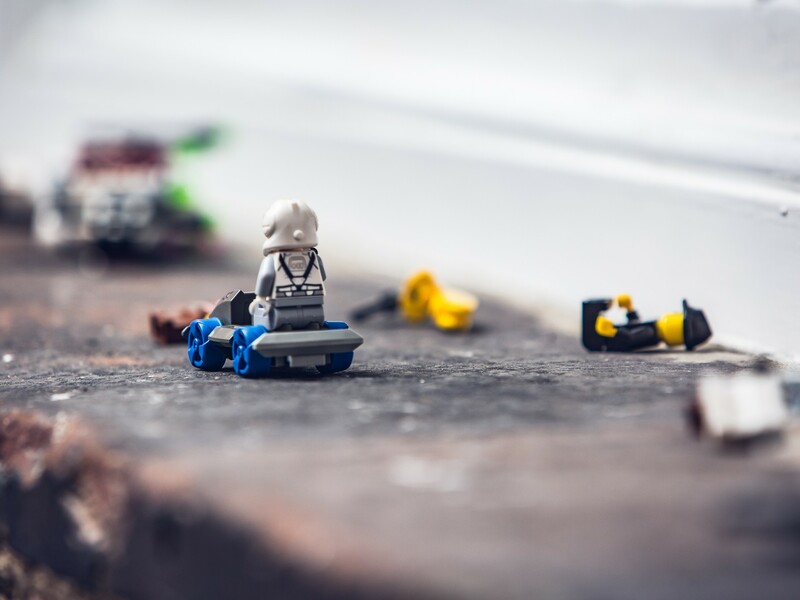 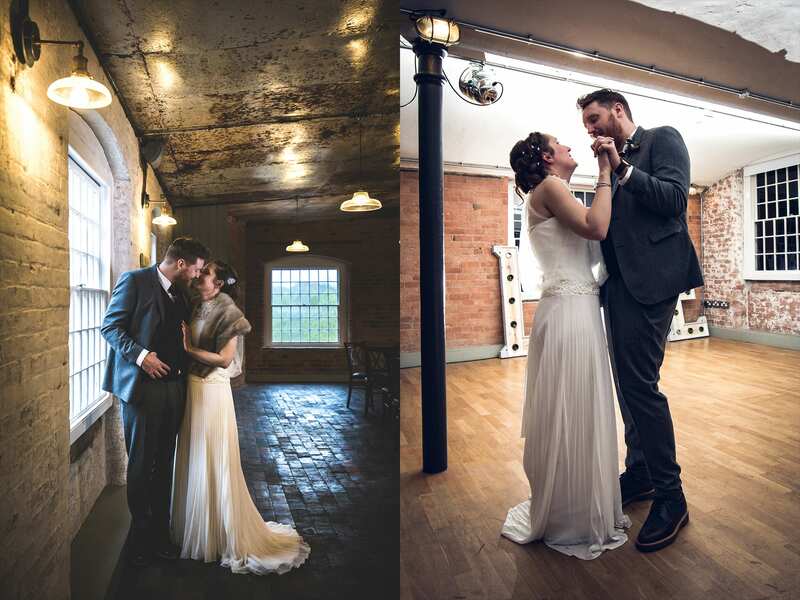 Here are some of those images, along with a few kind words! 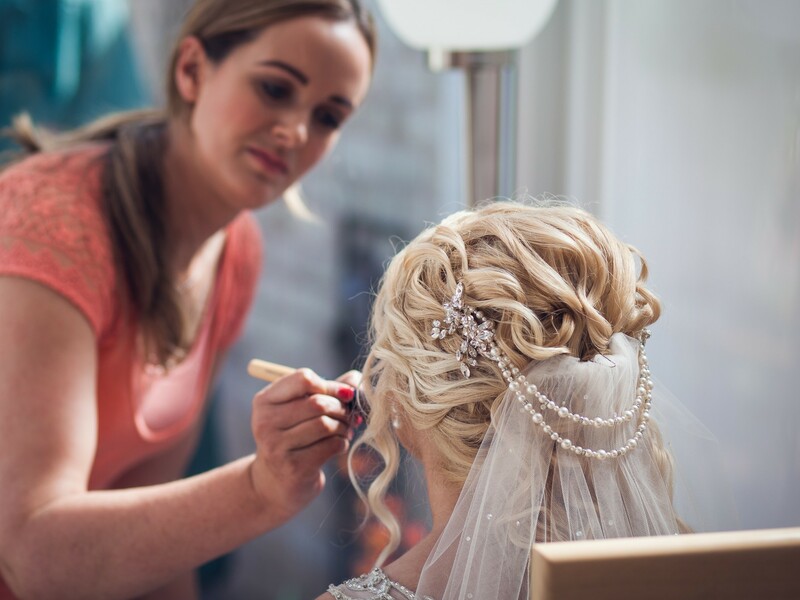 Credit to Jarah Hair for the fantastic hair & make up for the girls, and special thanks to Amanda for nominating me for the Wedding Industry Awards 2015! 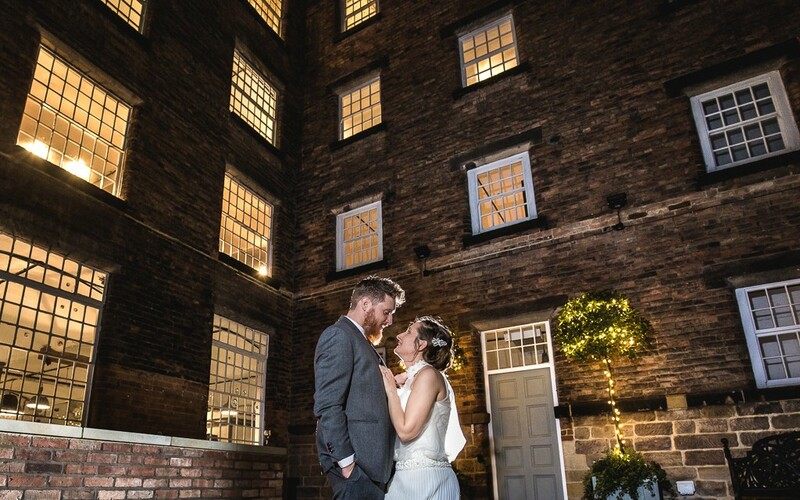 The West Mill Wedding Venue in Derby was an awesome setting for the delightful Simon & Amy’s unique wedding. 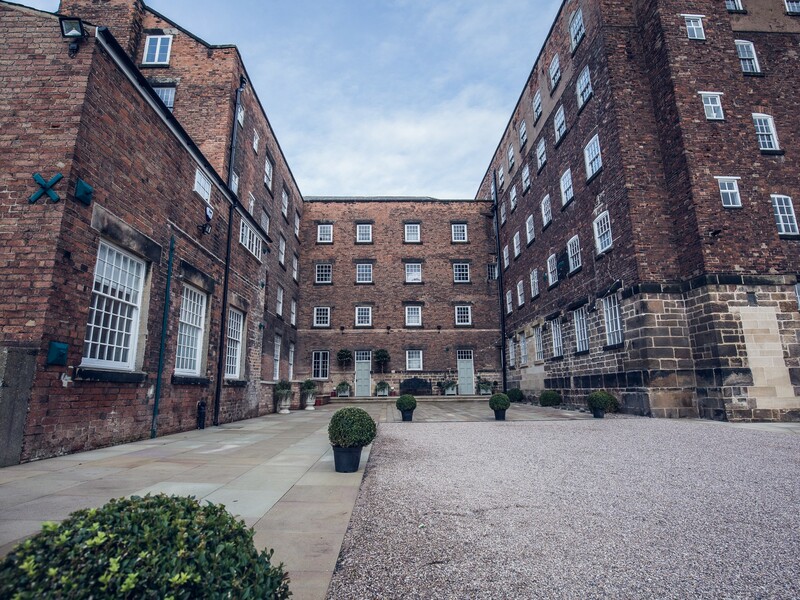 The early 1800’s former mill is spread over four floors. 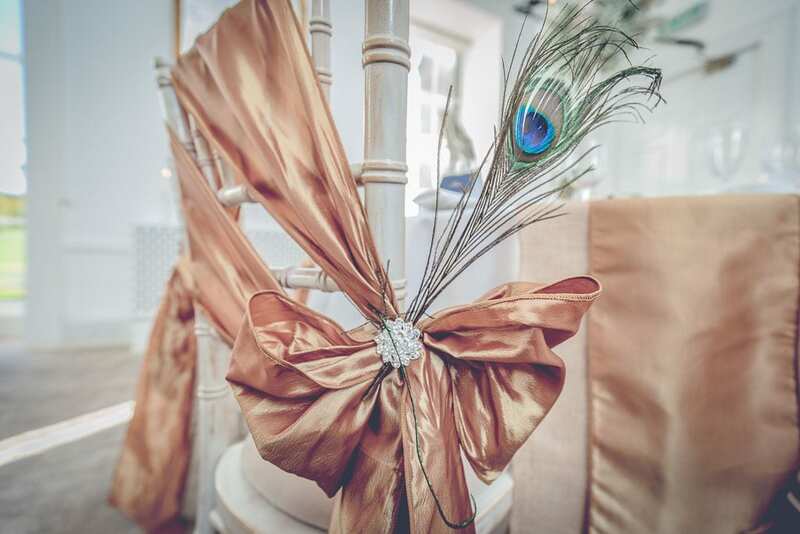 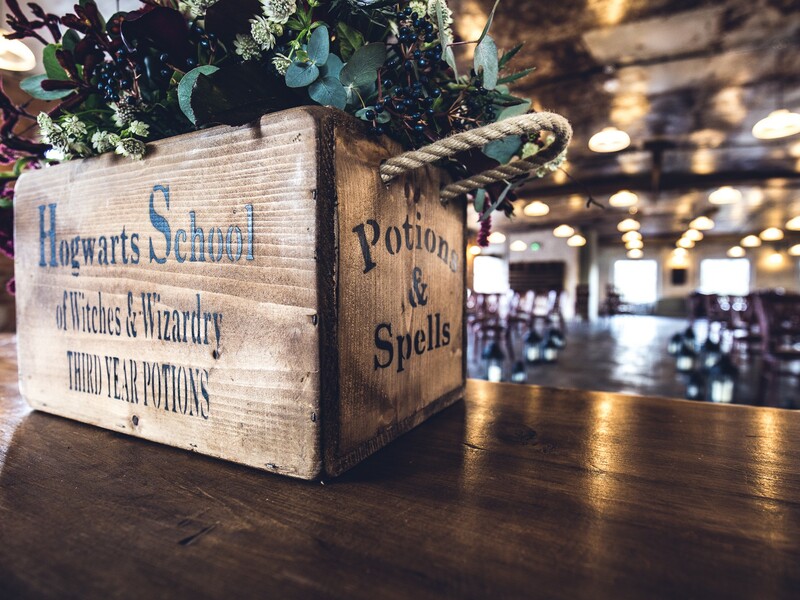 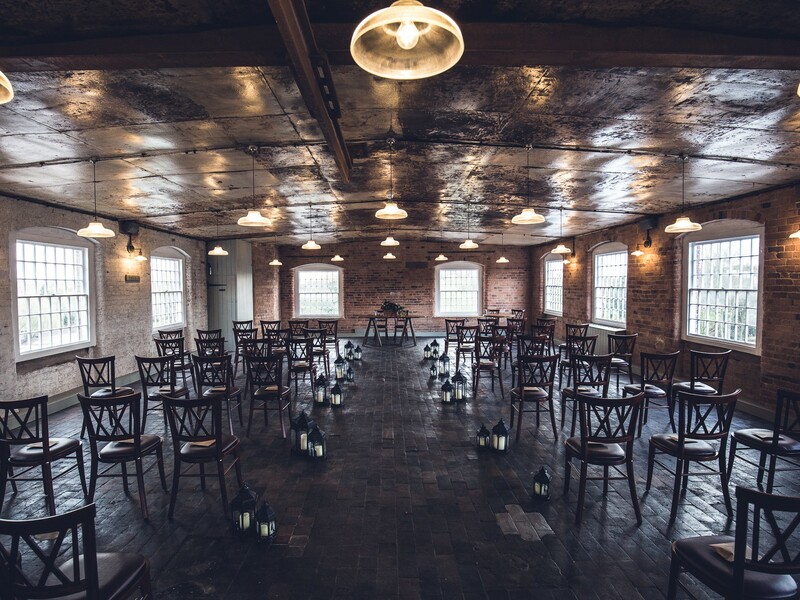 Packed full of original features, it created an ambience that really did have the wow factor and provided us with a perfect backdrop for a wedding that was equally unique. 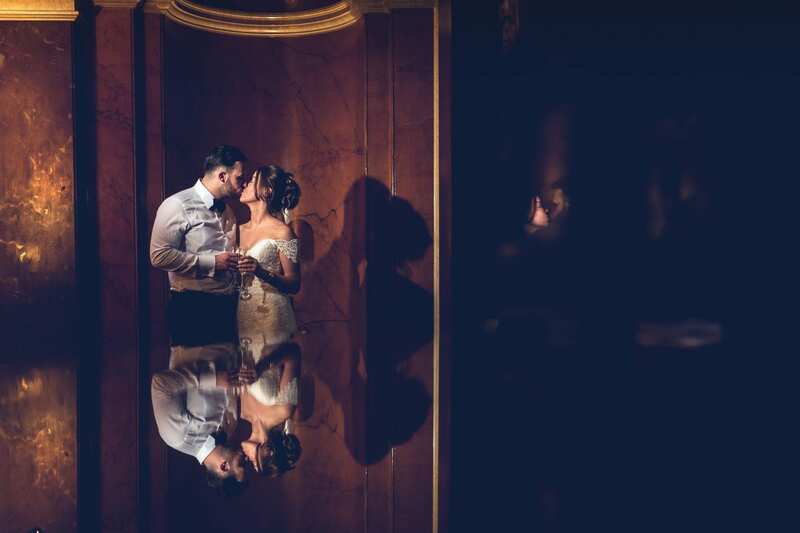 Natural light spilled in from all sides creating dramatic, rich shadows. 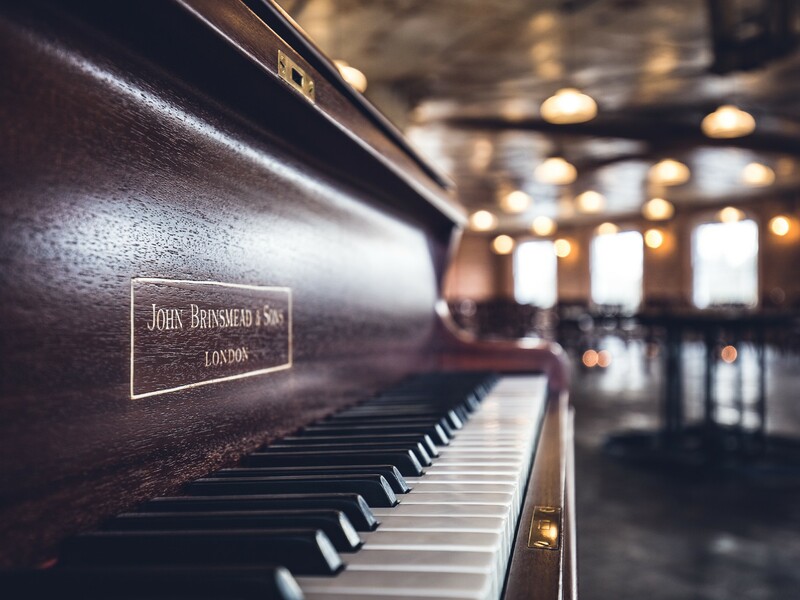 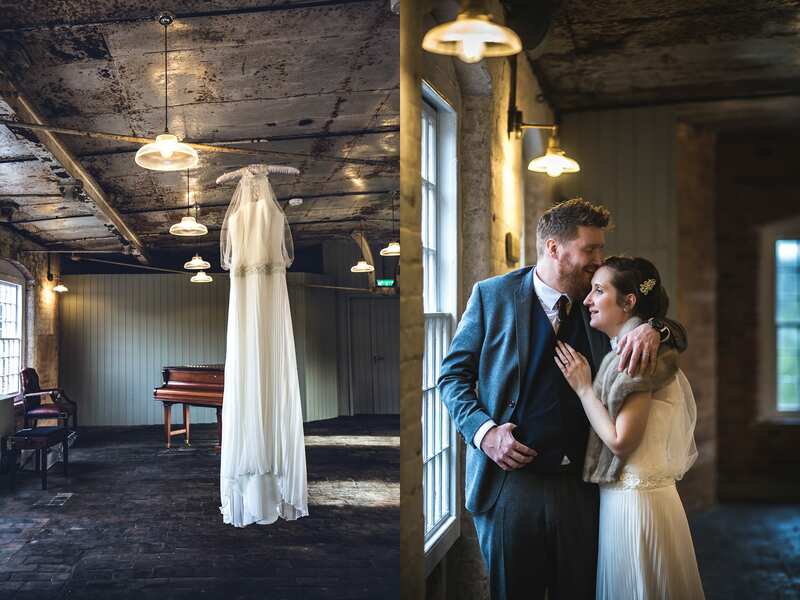 In contrast with the venue’s contemporary lighting, this made for a simply delightful set of images that were a pleasure to produce. 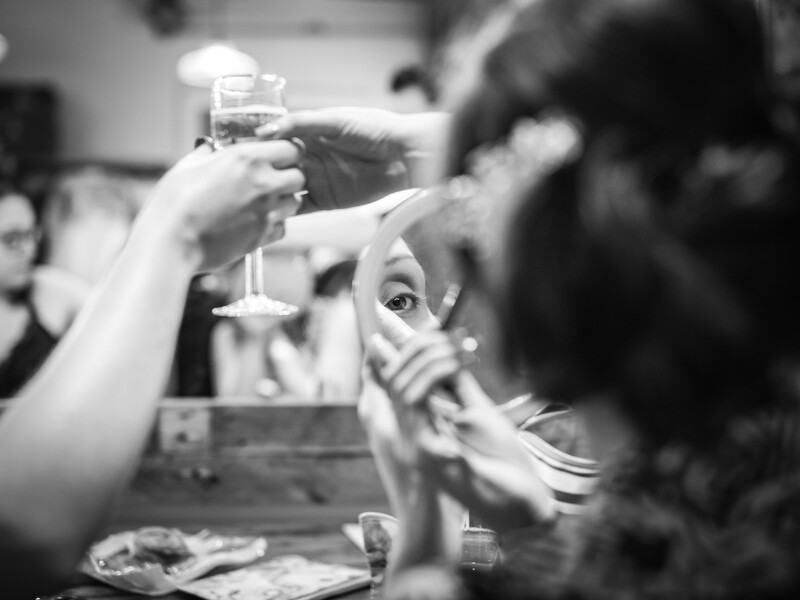 Amy’s preparation was carried out in The Dressing Room with it’s vintage charm and character, while Simon relaxed (if that is the right word!) 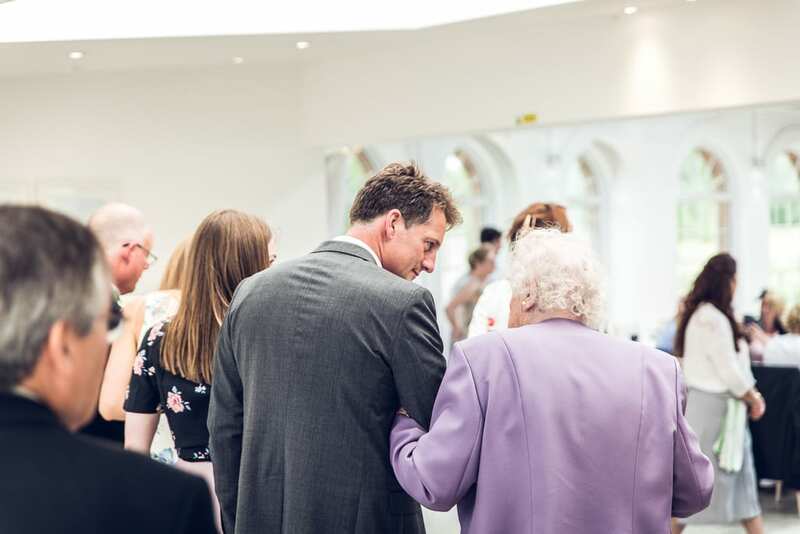 with family and friends in The Gallery. 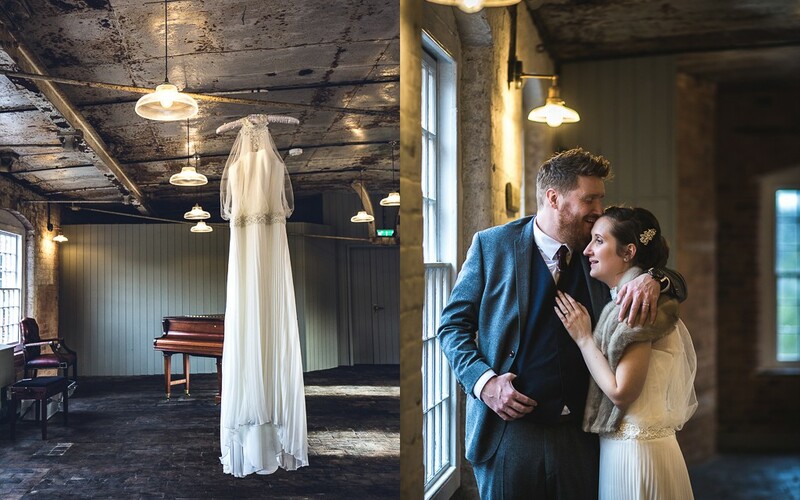 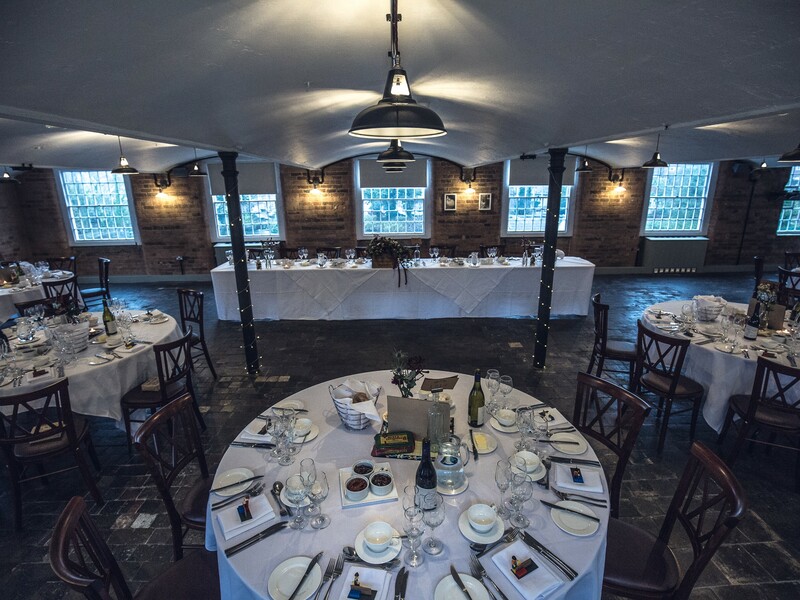 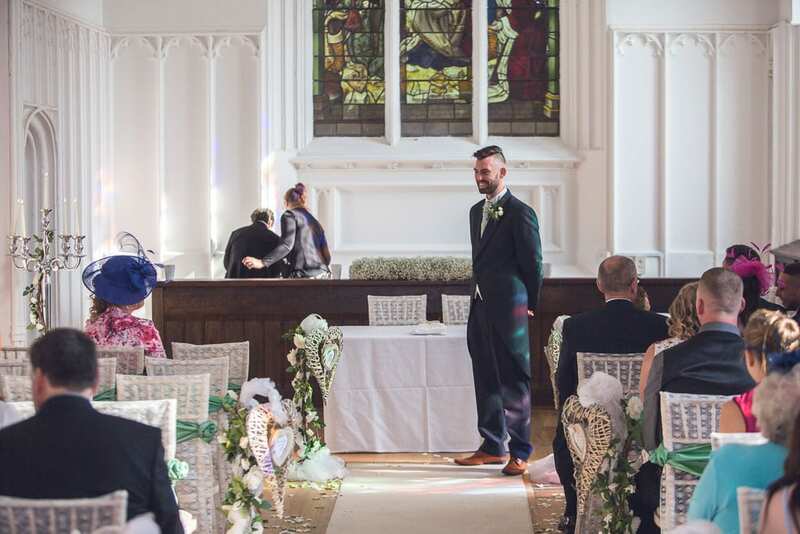 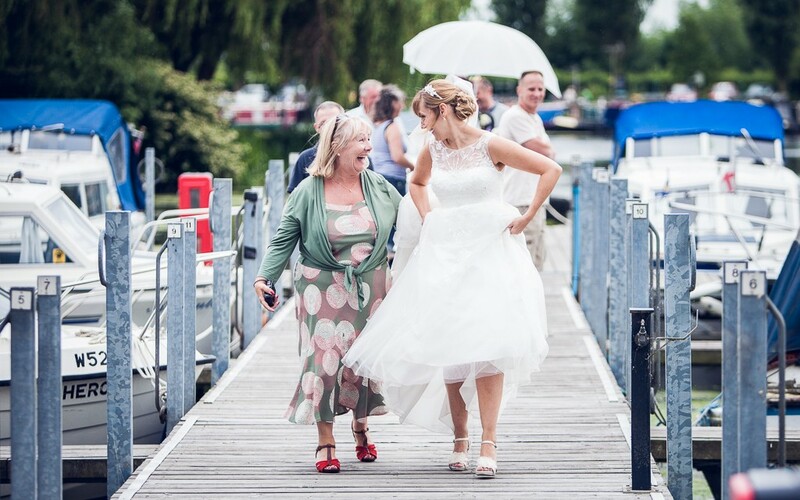 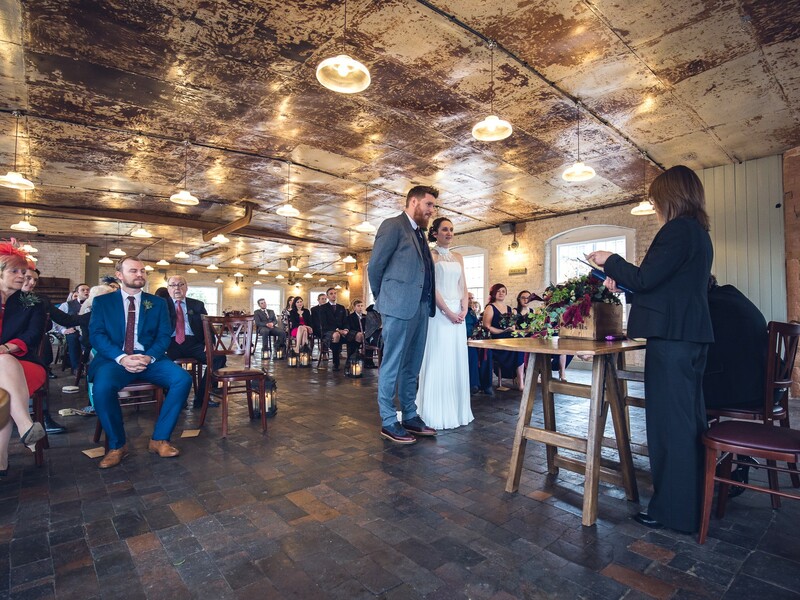 The ceremony itself took place on the top floor in The Cotton Quarter, with it’s stunning views across the river. 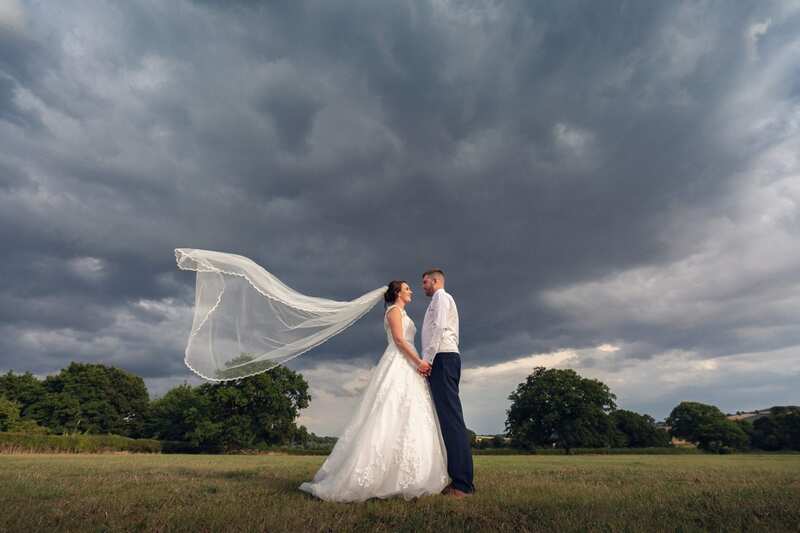 By the time drinks were being taken in the Gallery, the rain had started to pour and dictated that the photographs would be taken indoors… which really was a good thing (Albeit after some minor furniture re-arrangements!). 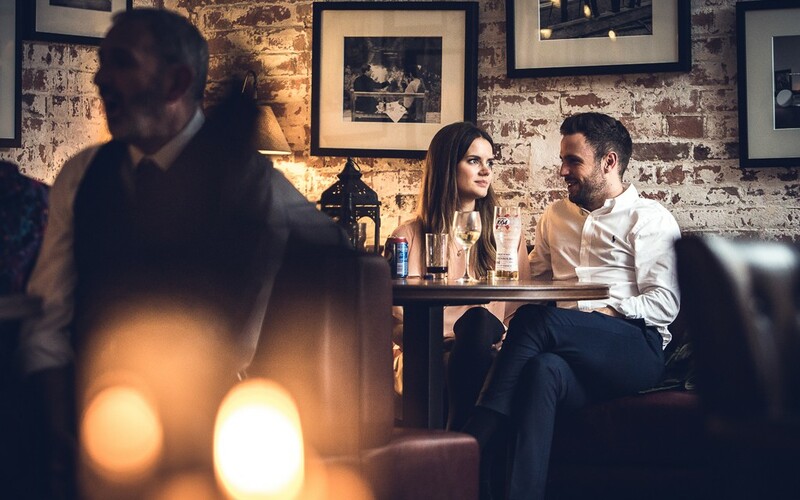 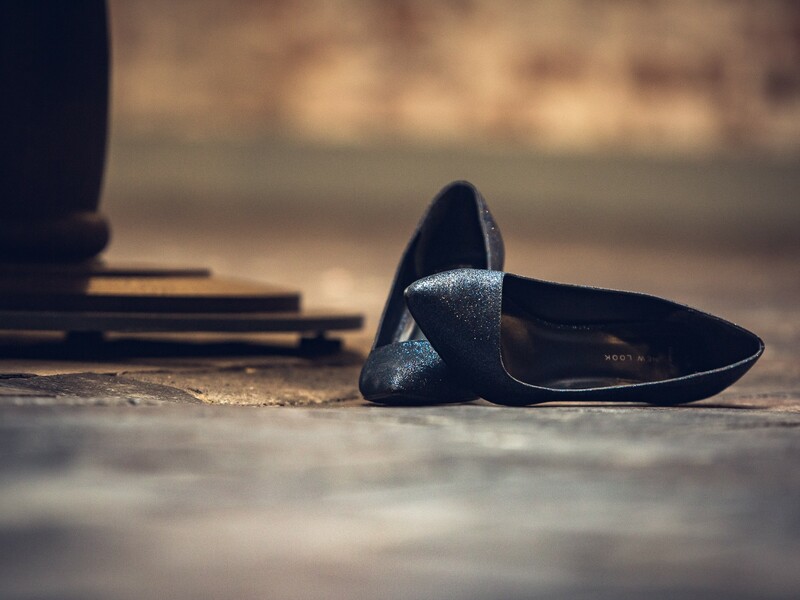 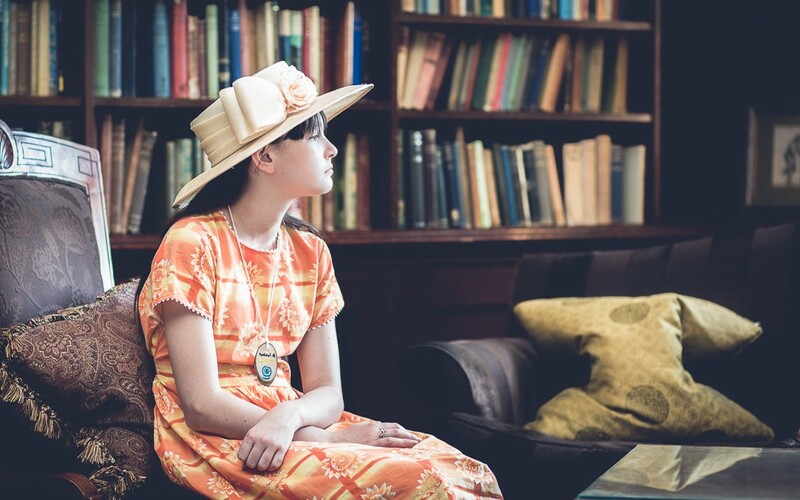 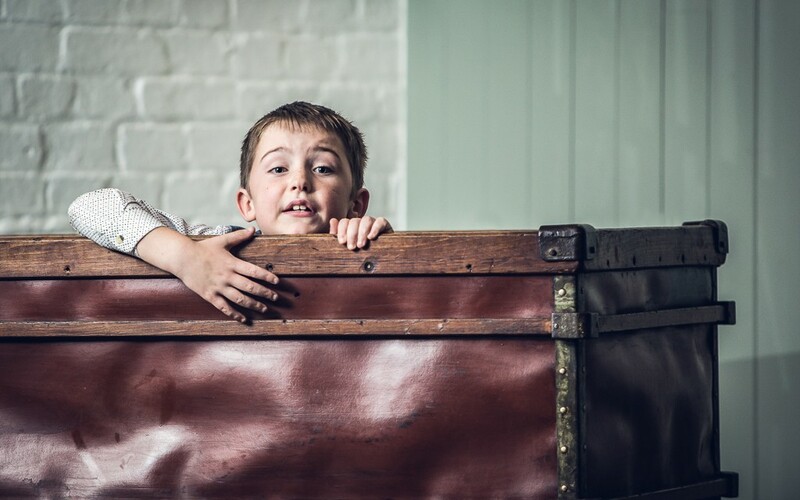 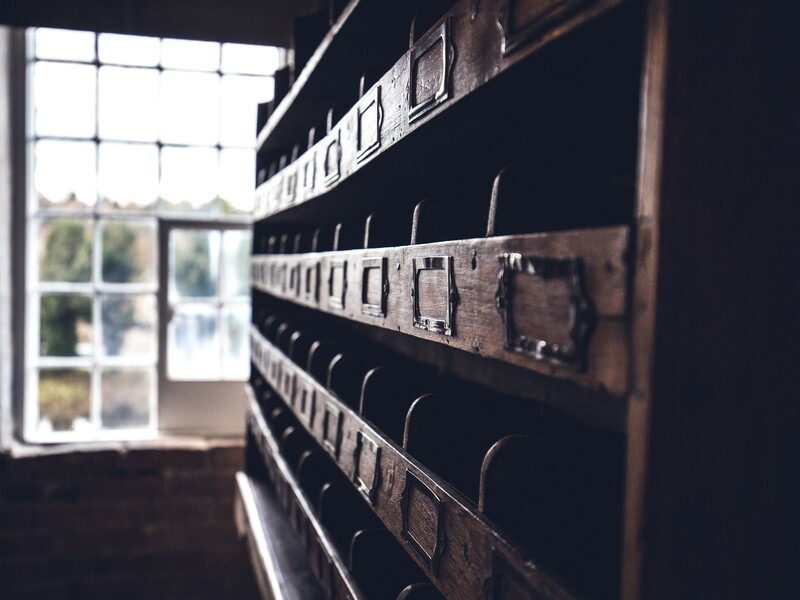 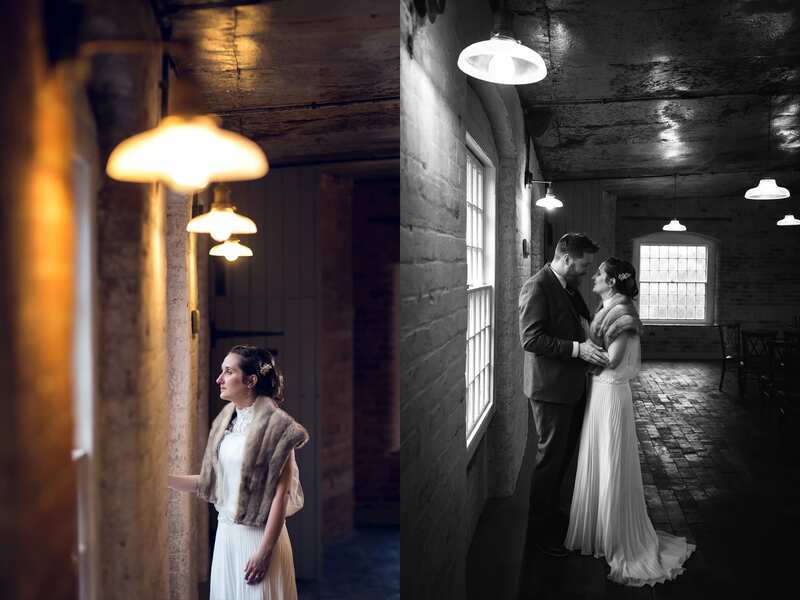 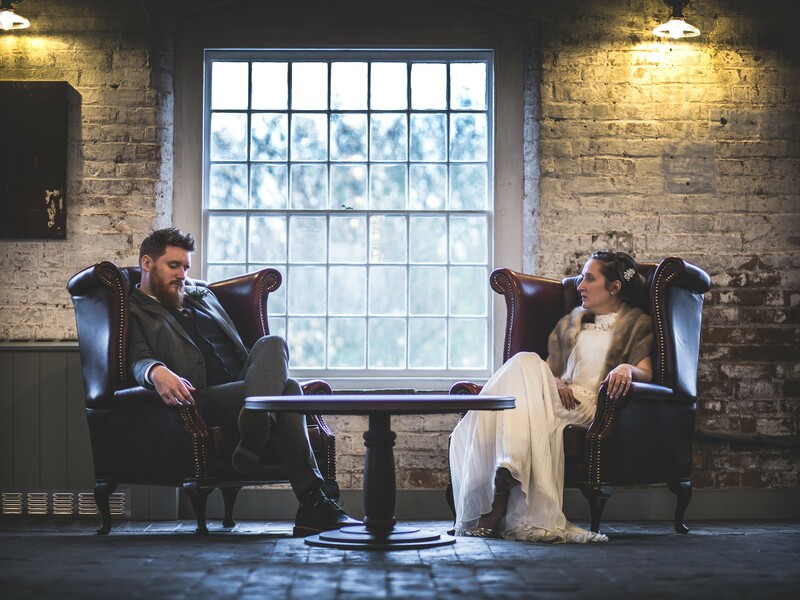 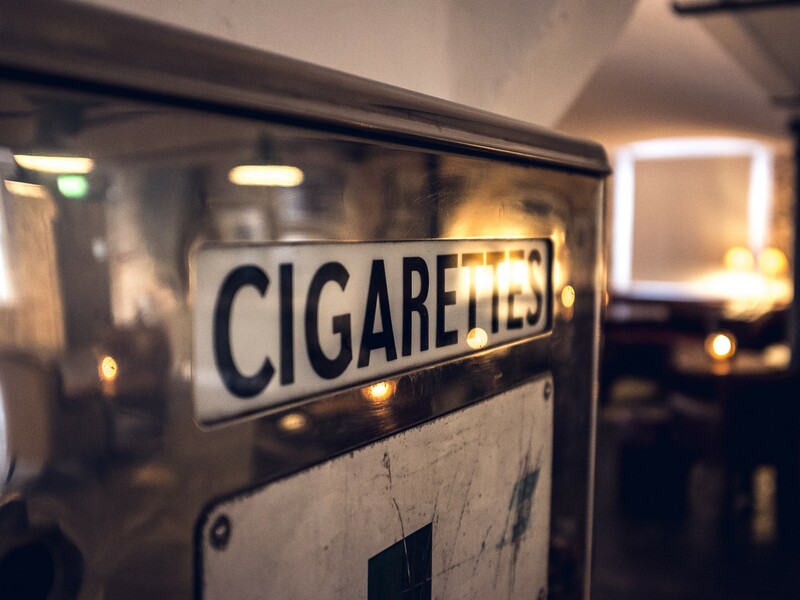 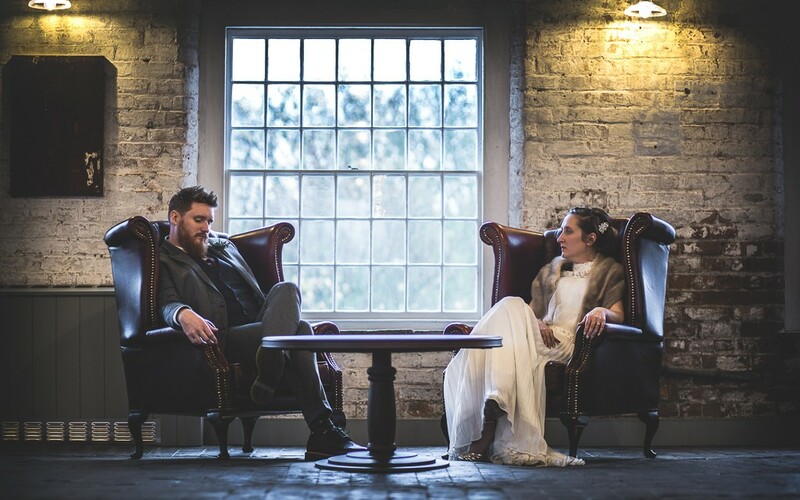 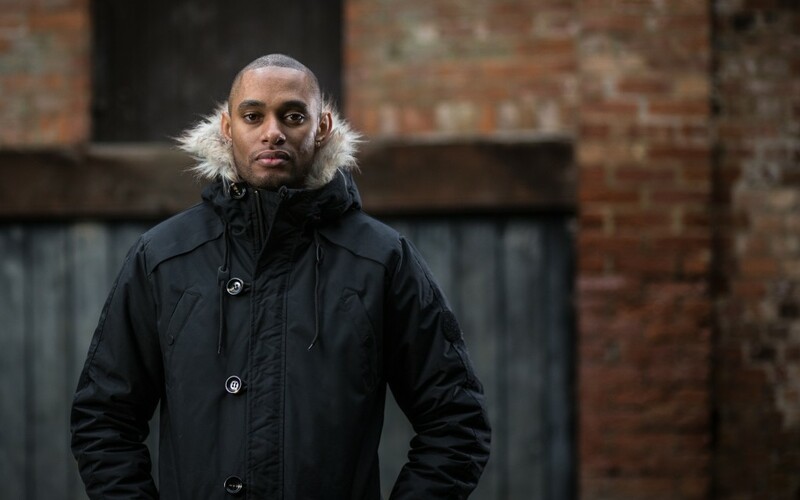 With four floors at our disposal, we slipped away for some exclusive portraits using the character, lighting and textures to our advantage (this is where the advantages of an engagement shoot definitely kicked in!) 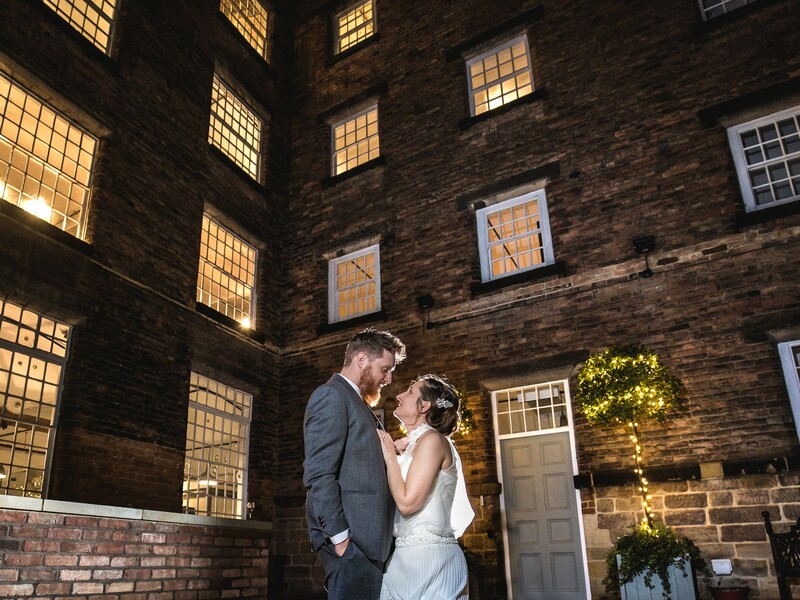 When the daylight finally left us, the warmth of the house lights really came into their own, and using a subtle mix of off-camera flash and available light I was really able capture the ambience and character of the stunning West Mill Wedding Venue in all it’s new-found glory! 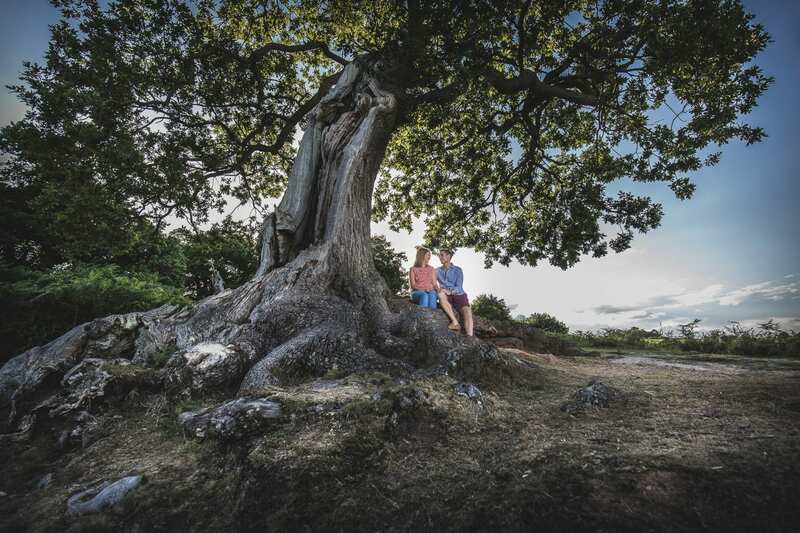 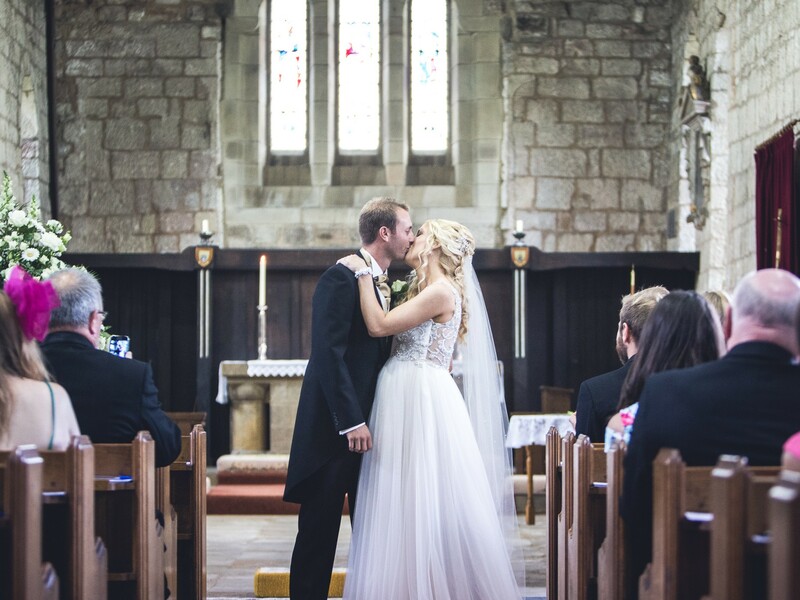 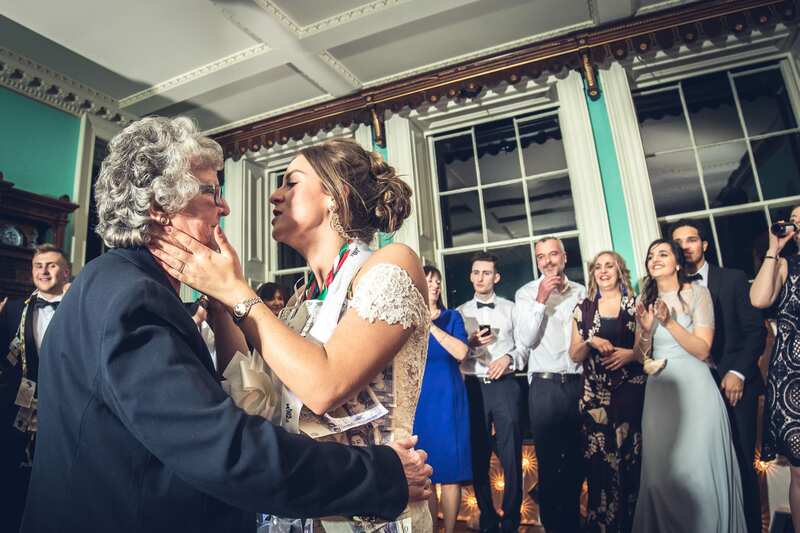 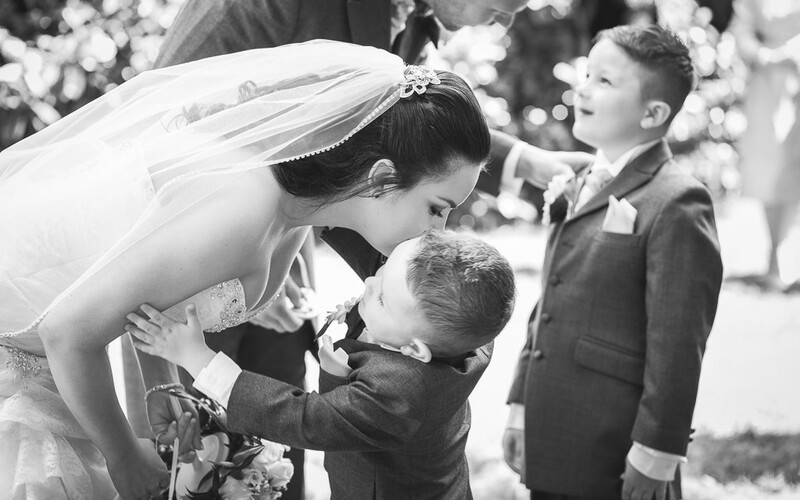 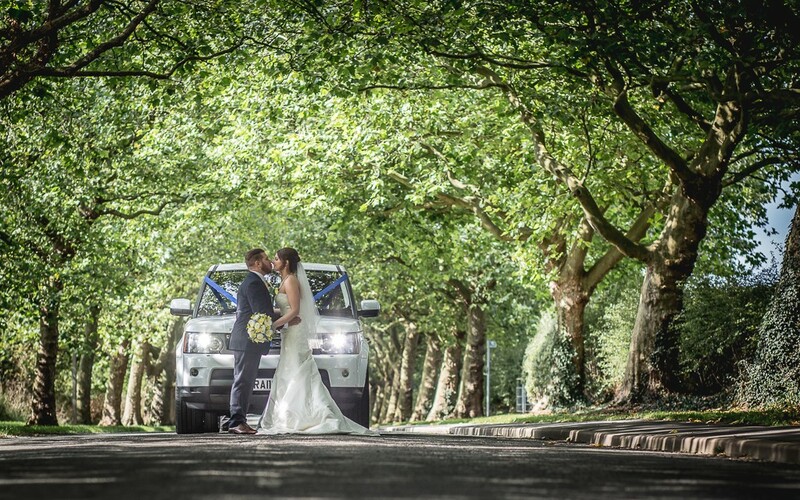 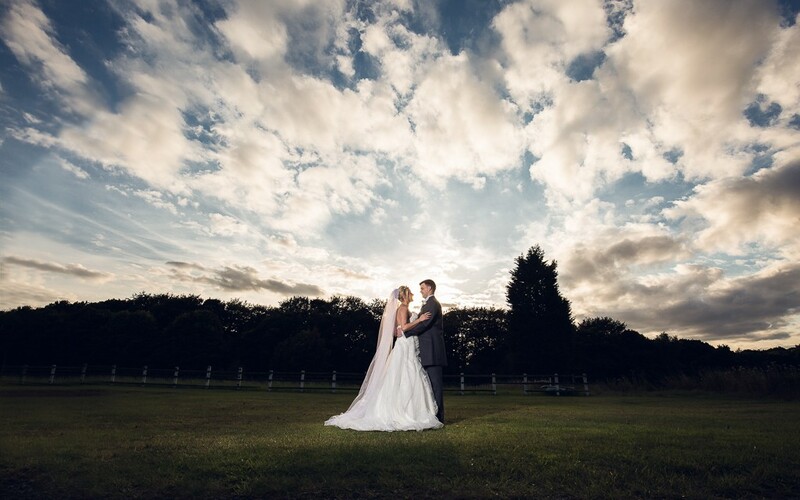 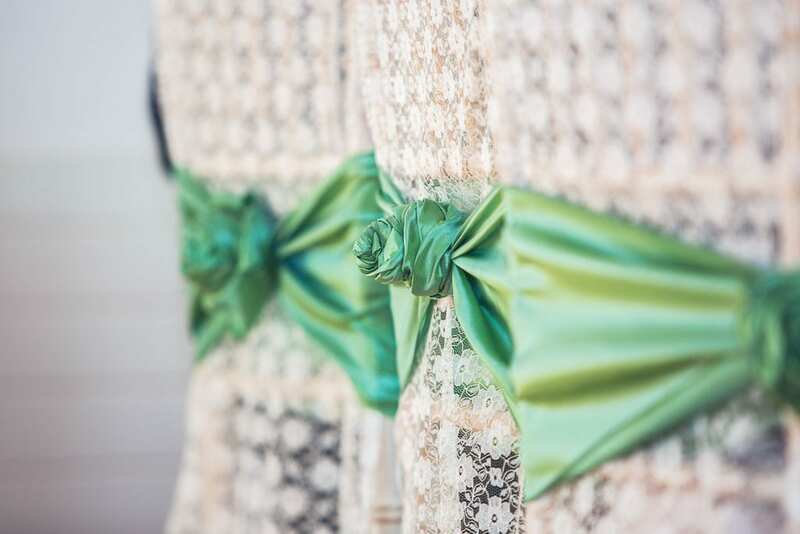 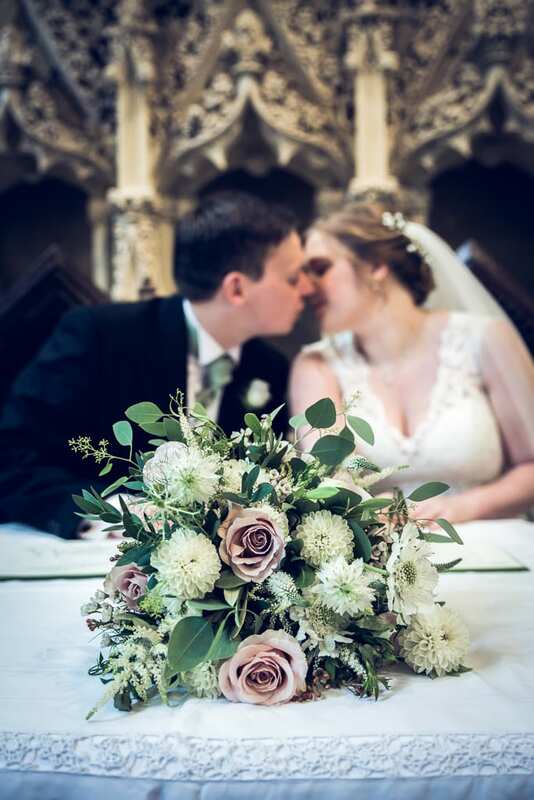 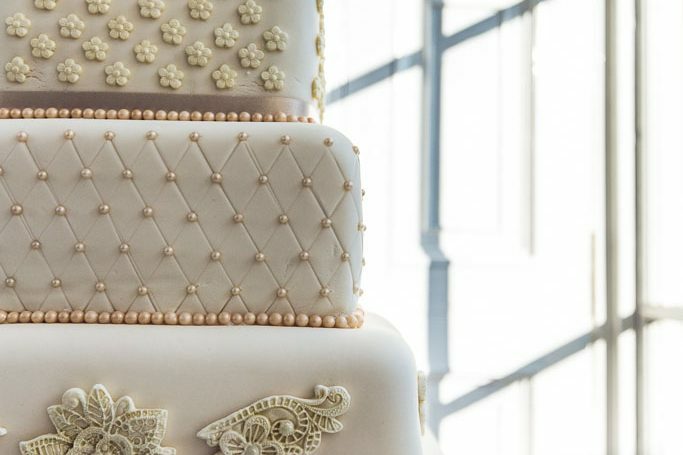 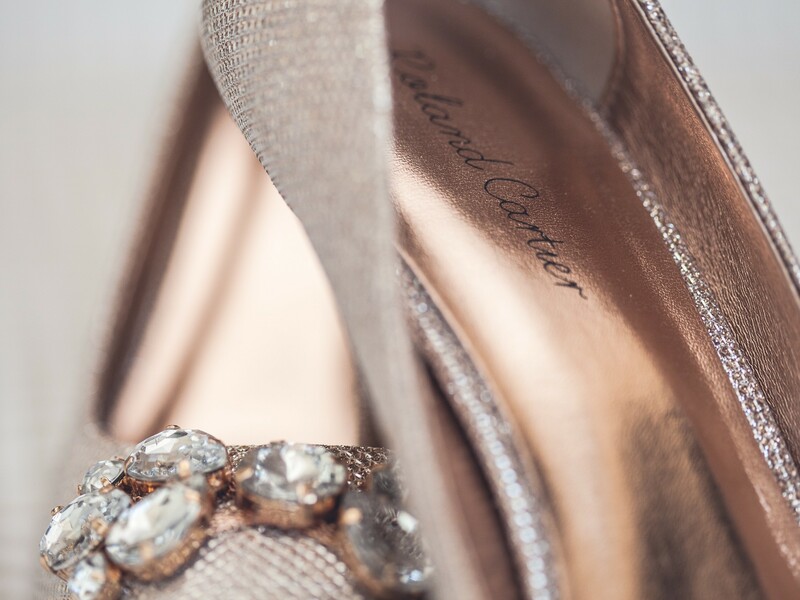 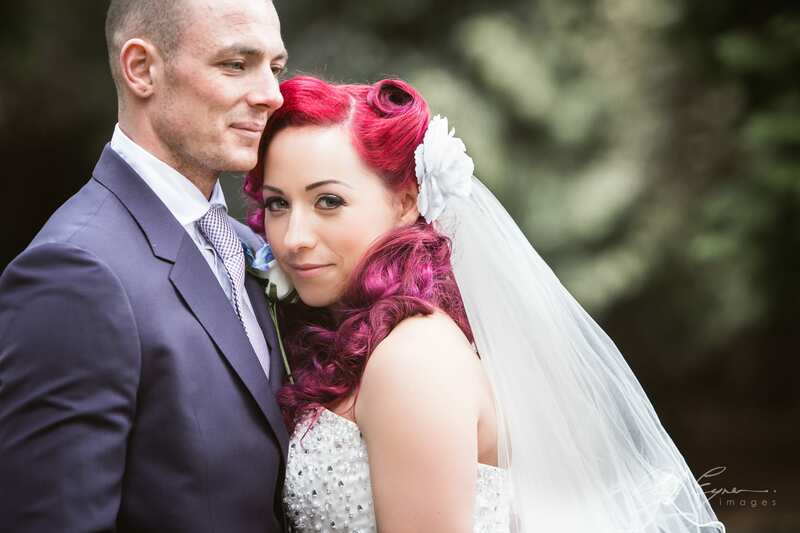 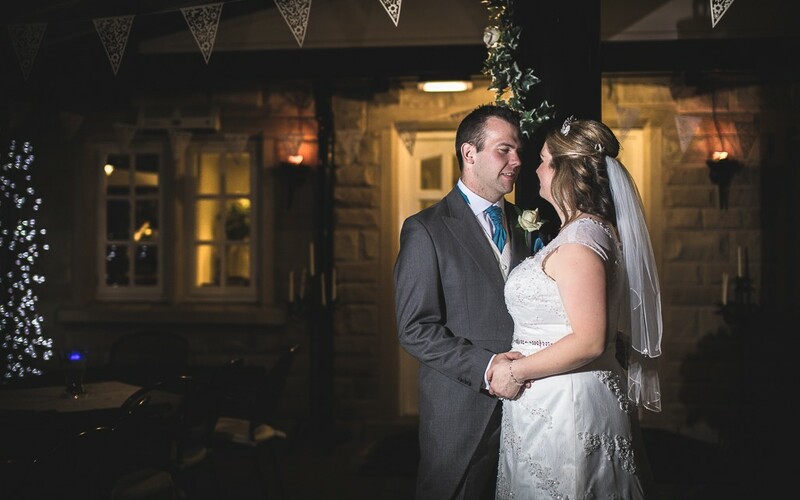 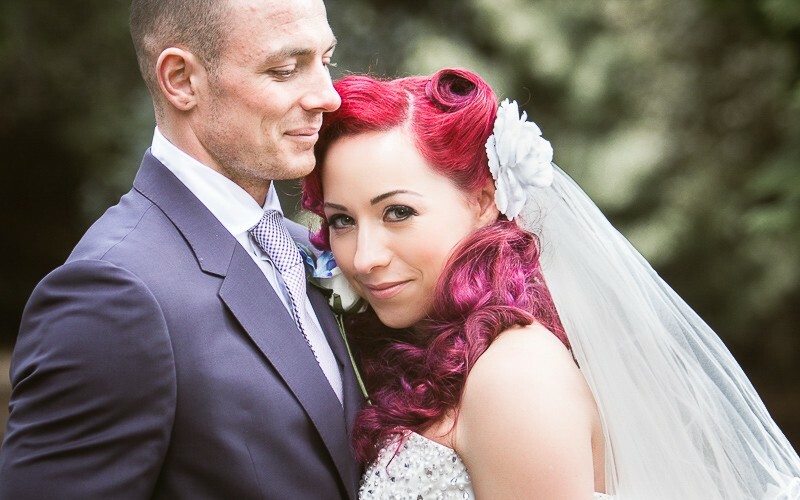 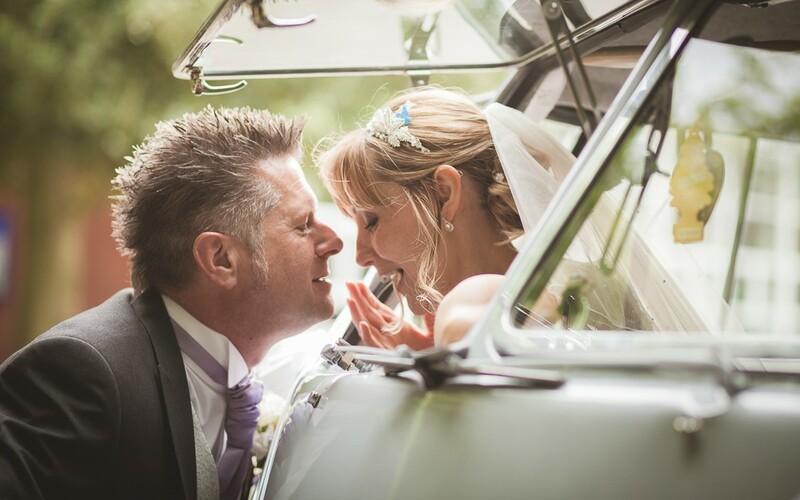 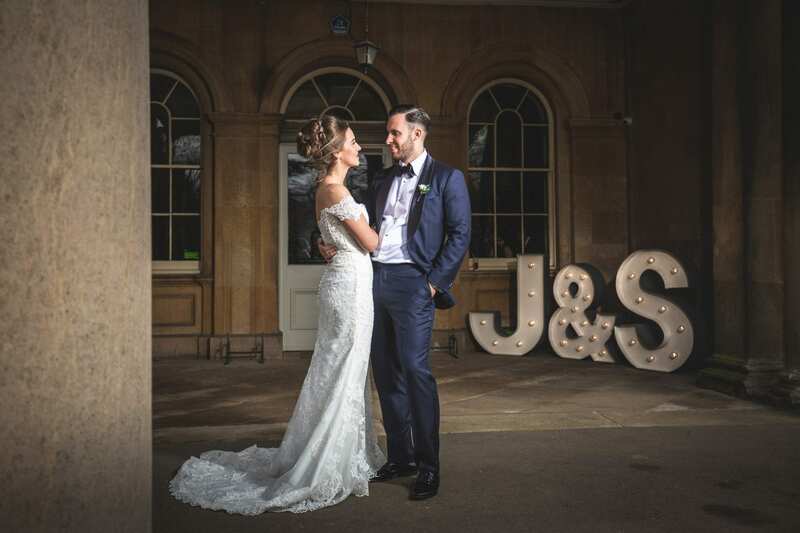 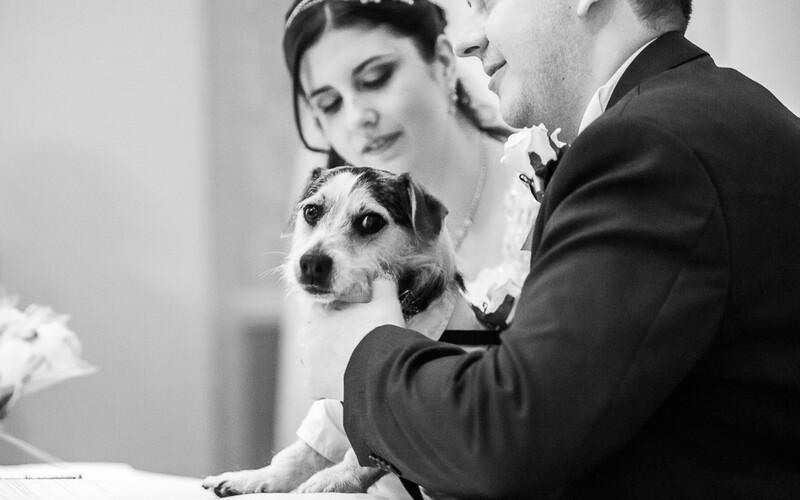 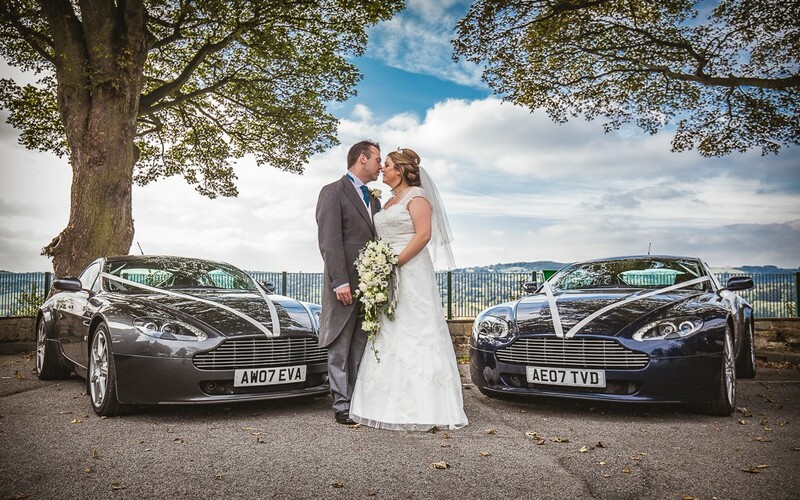 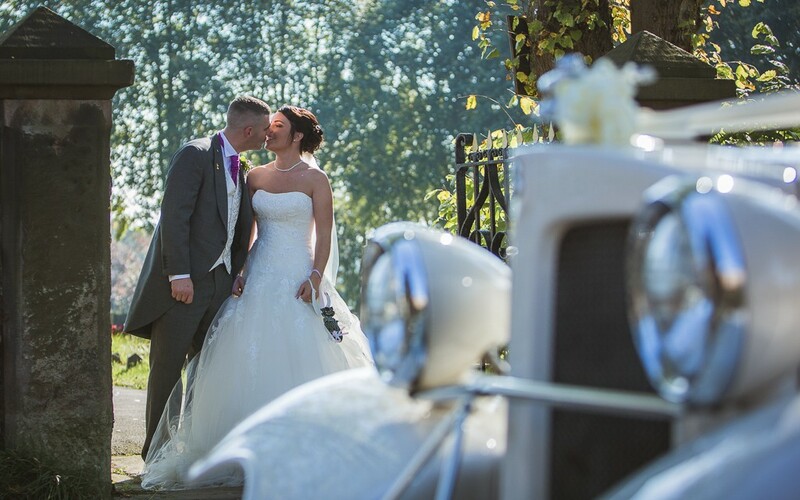 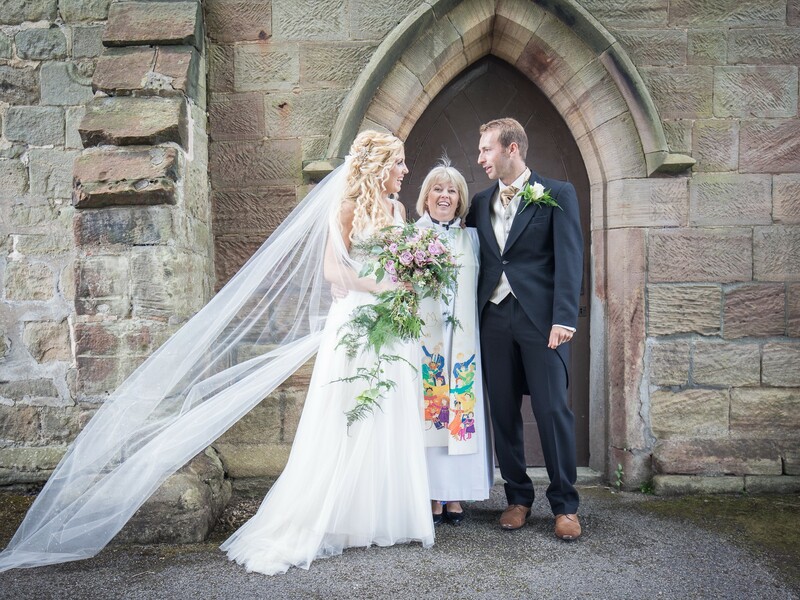 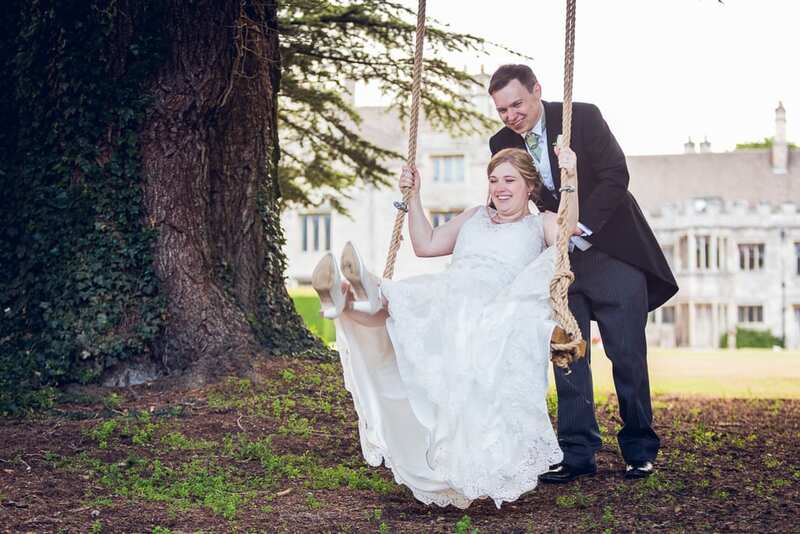 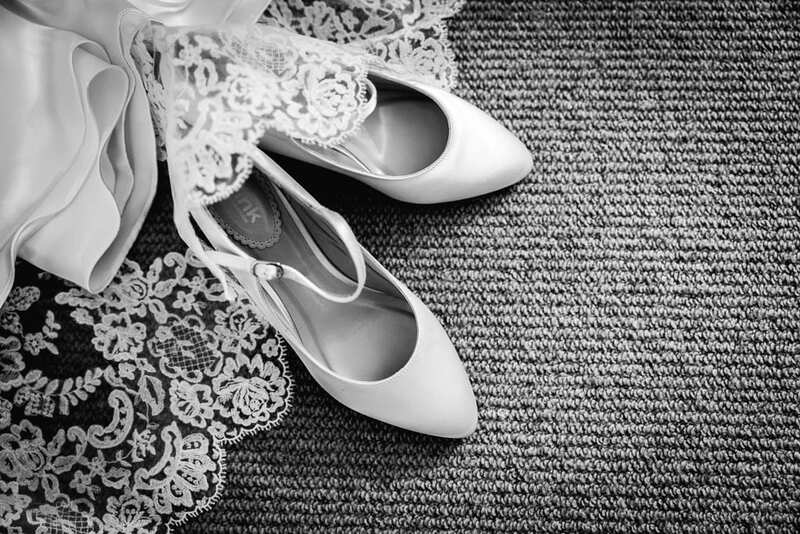 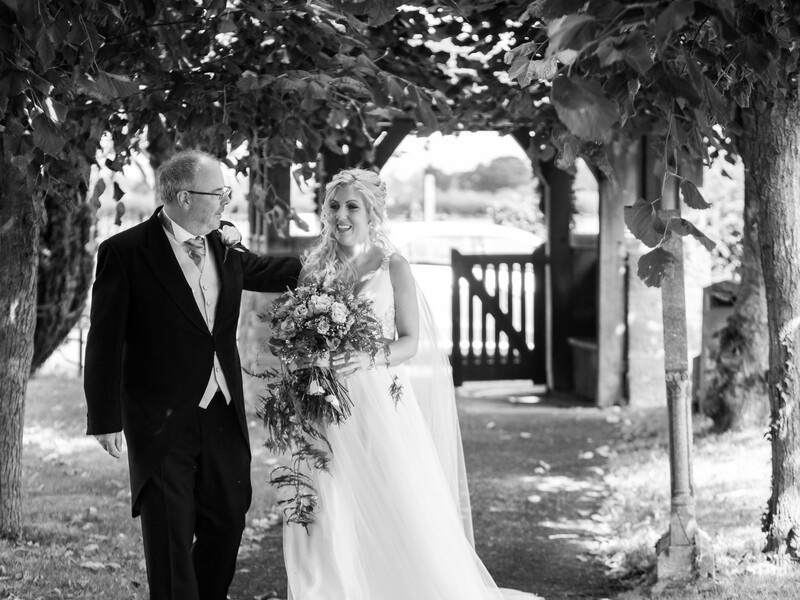 Enjoy this small selection of images from this wonderful couple’s big day! 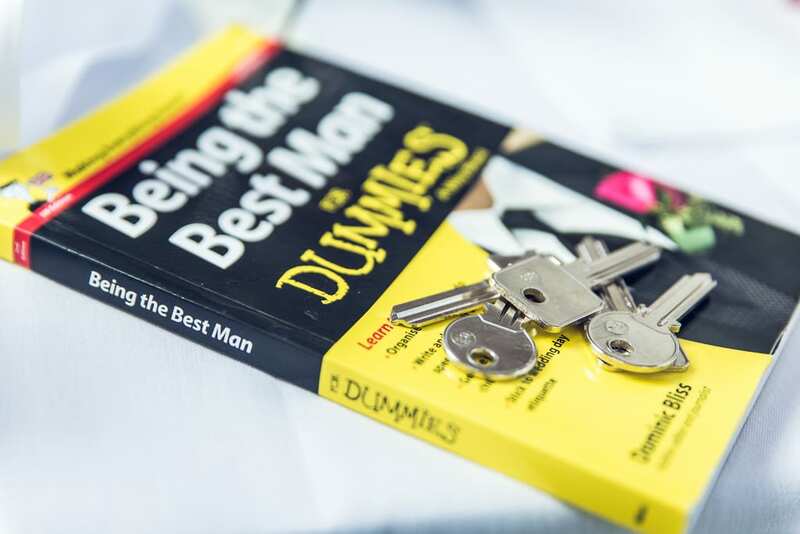 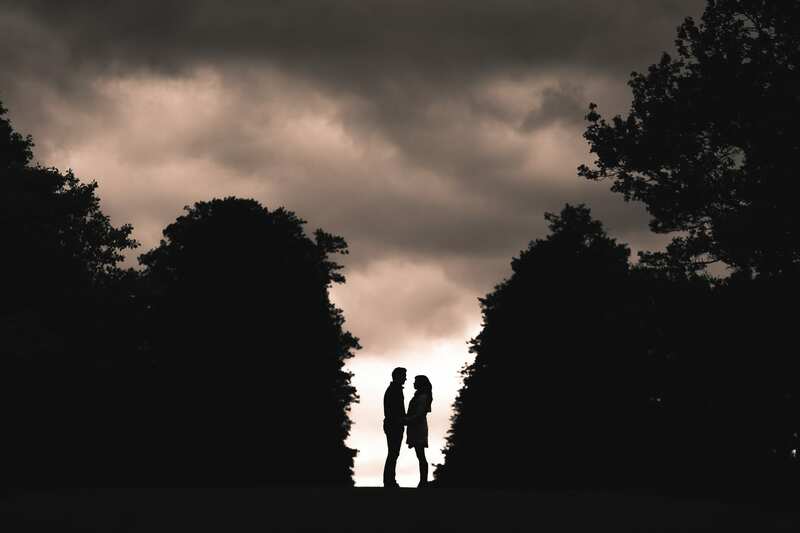 Pre-wedding shoots, Engagement shoots, E-shoots, call them what you will…let me take away some of the mystery behind the concept! 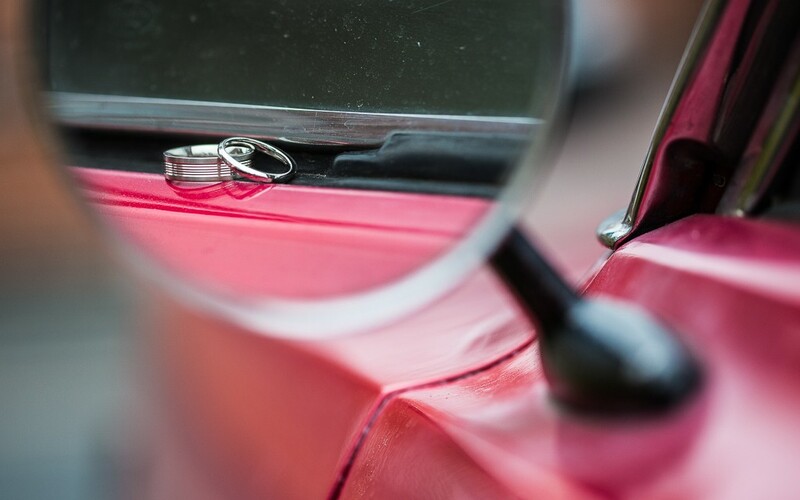 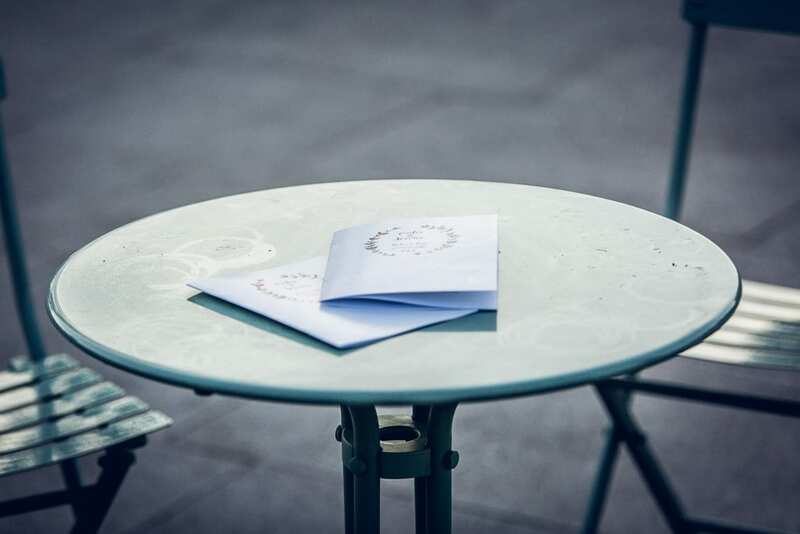 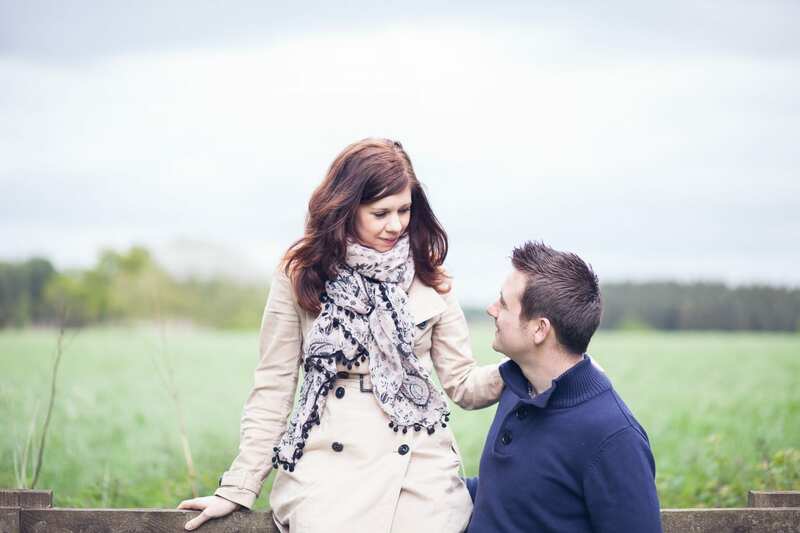 Engagement shoots are certainly not a new thing, just something that has gained popularity in recent years. 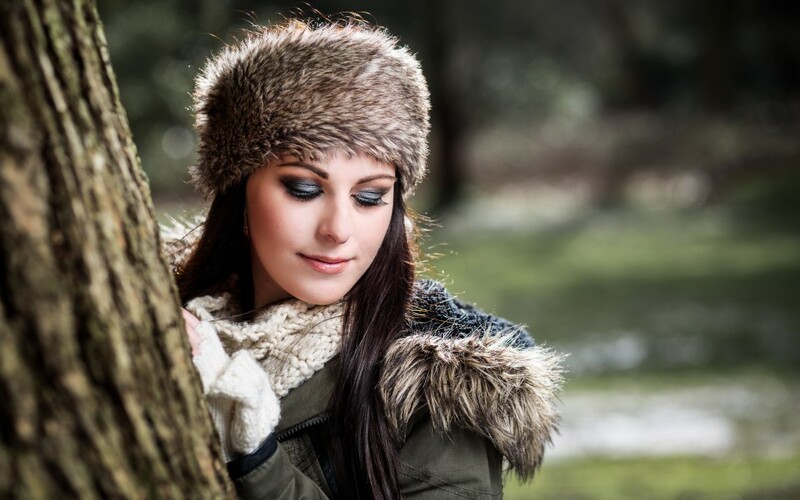 Sarah and myself had one of these shoots some years ago…OK, 17 years ago to be exact! 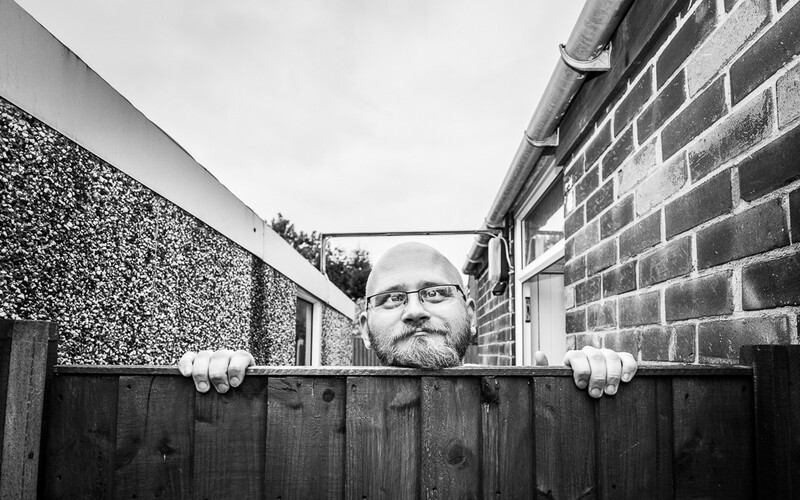 (wouldn’t want to be accused of being ‘vague’ there!) 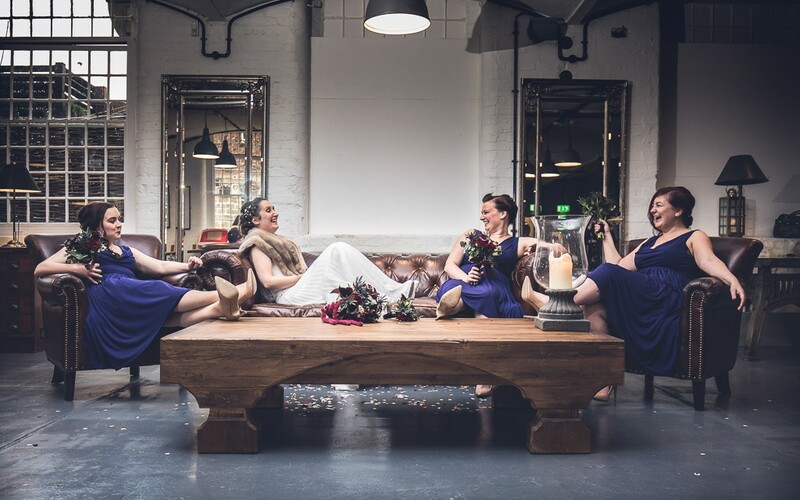 Back then, it was a very formal affair in a studio setting, with rustic furnishings, a mottled shadowy backdrop…and more cheesy poses than I care to remember! 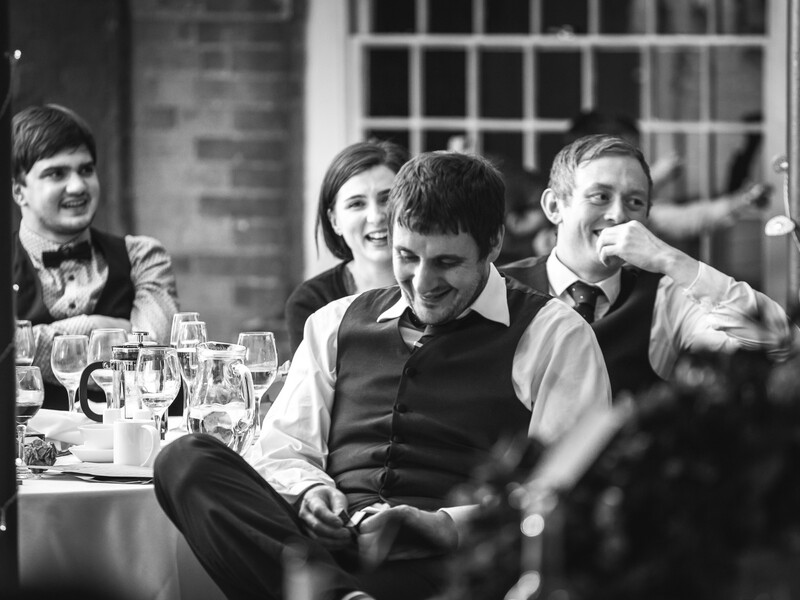 …But I DO remember, and this is why I ensure I take a very different approach. 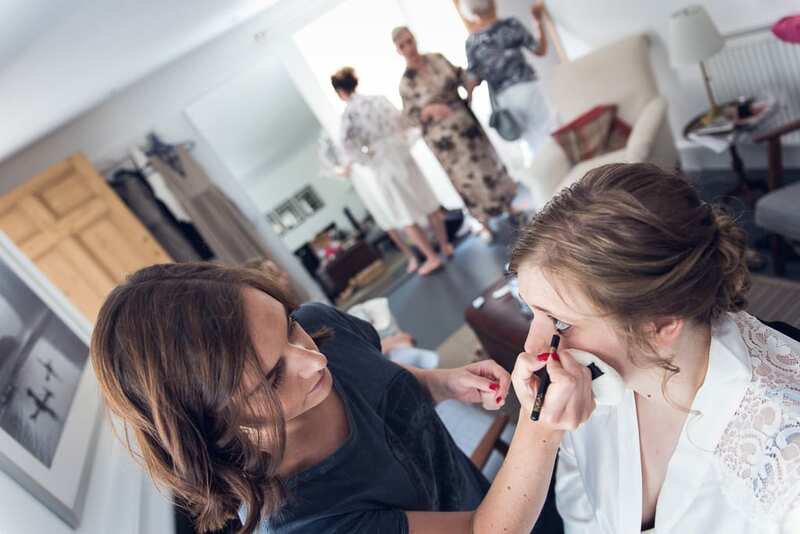 For many people, their wedding day is potentially the first time they have been professionally photographed, and this may be a daunting task for many. 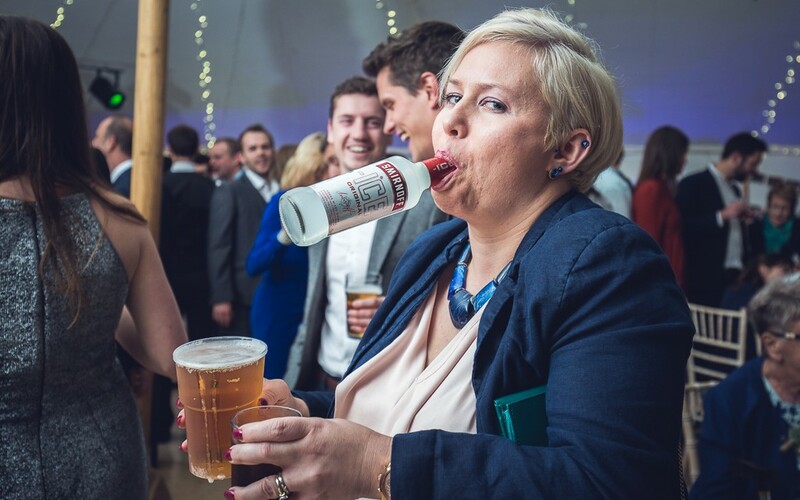 It is understandable that some may feel intimidated by this, especially being photographed by a complete stranger. 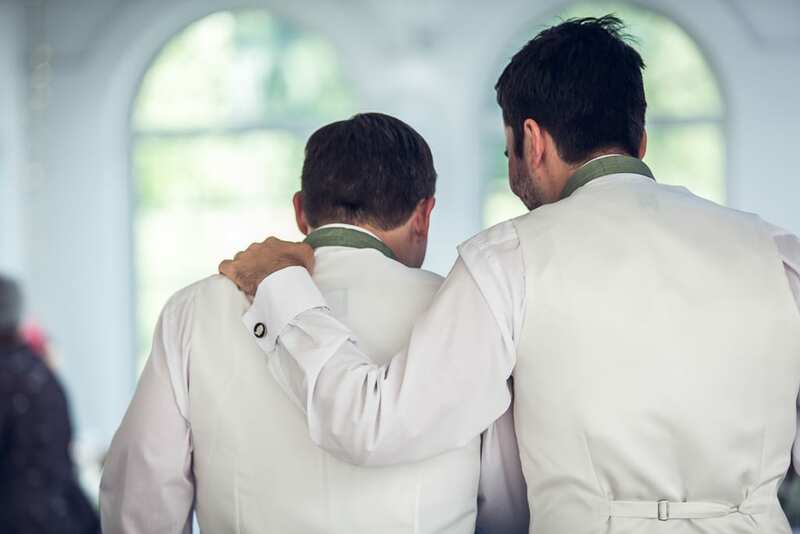 I do not want my couples seeing me as a stranger, but as a trusted friend who knows how they bond as a couple. 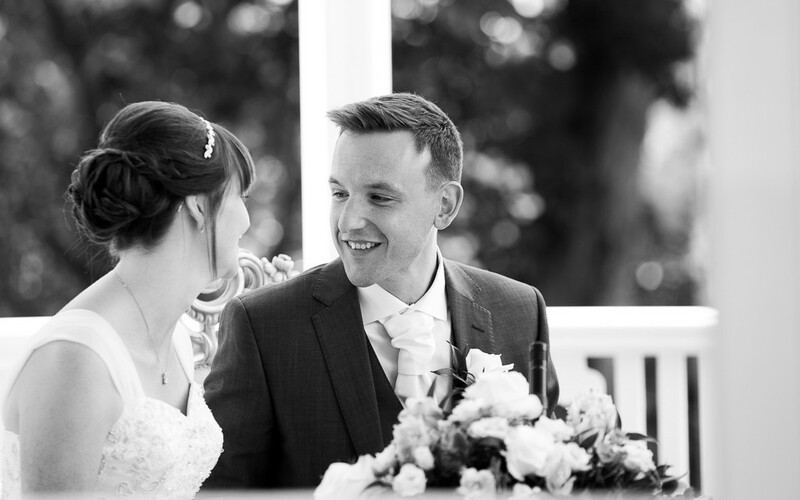 An ideal Eshoot for me is when the couple can relax and realise that it’s certainly not all about saying ‘cheese’ for camera! 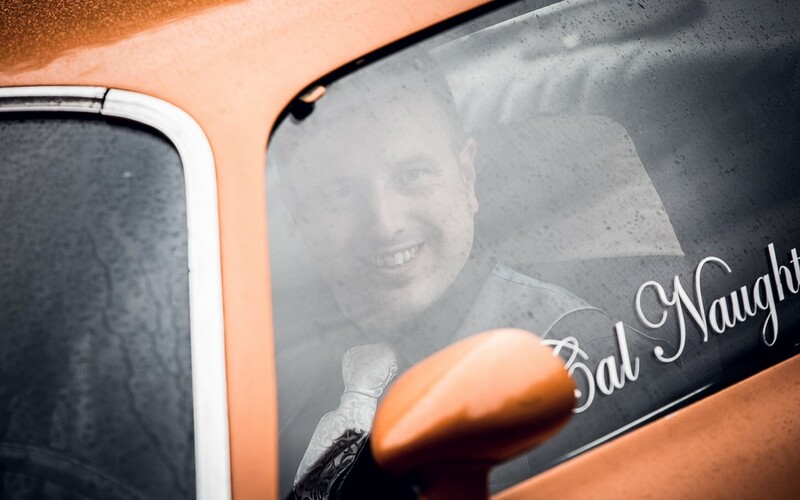 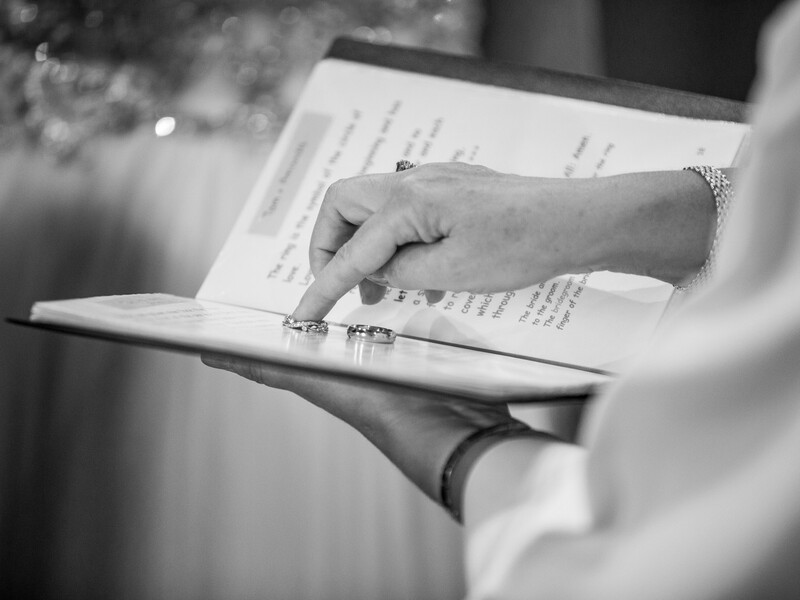 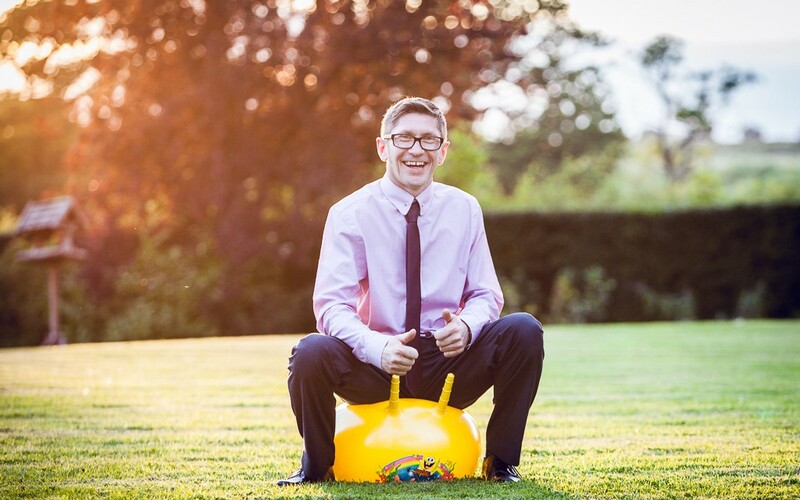 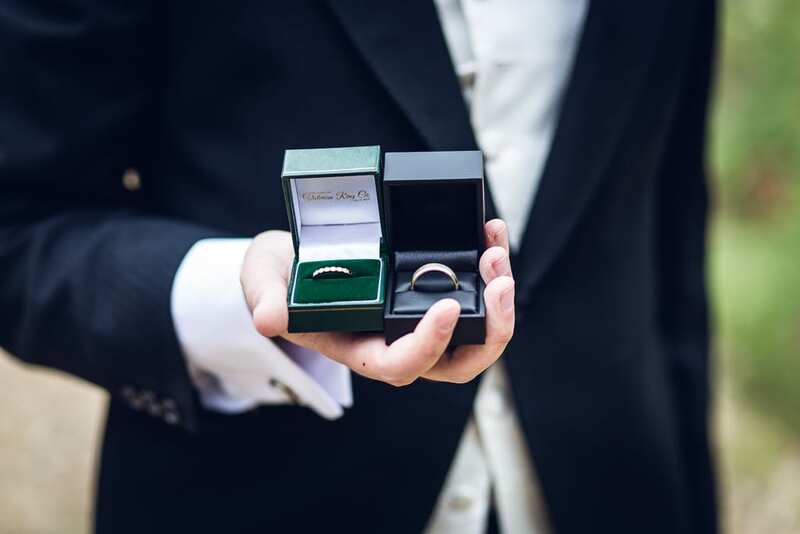 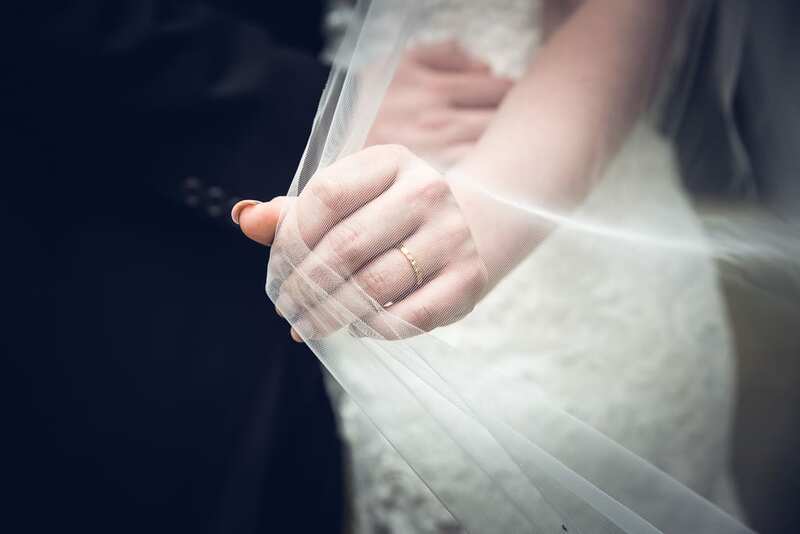 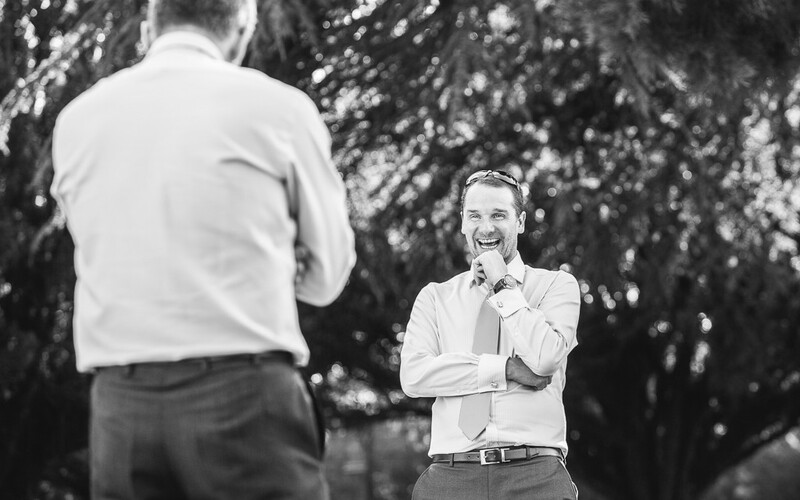 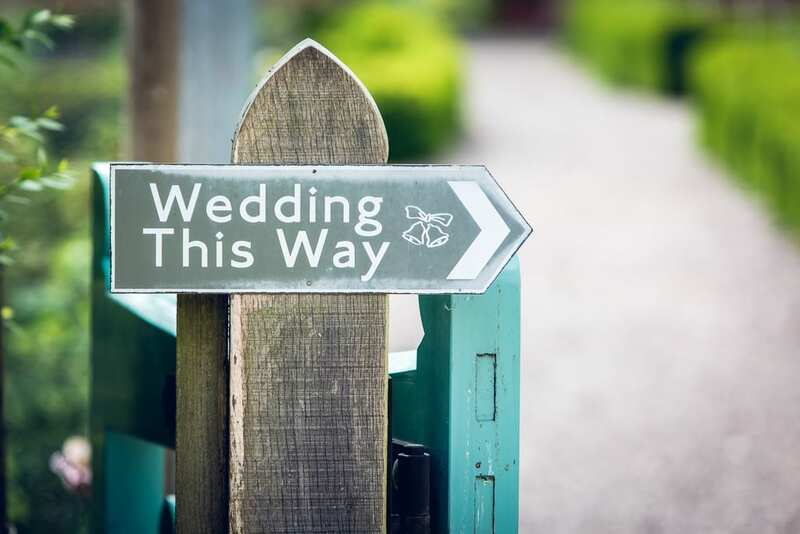 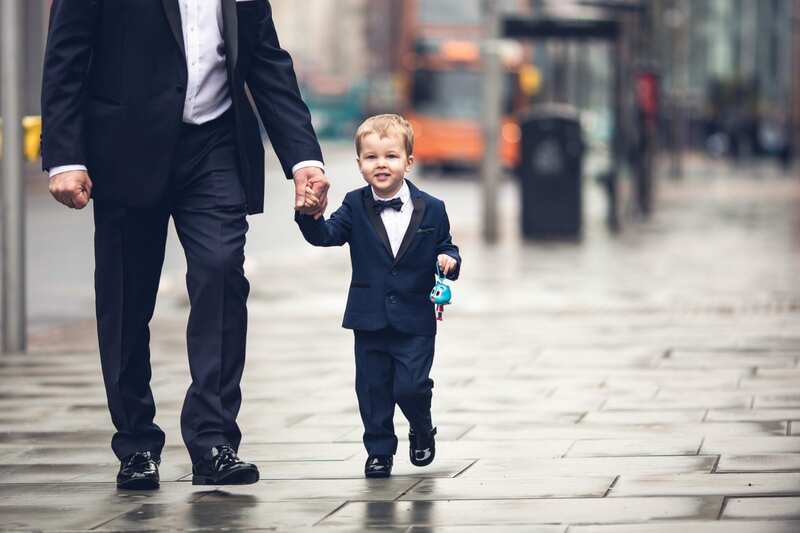 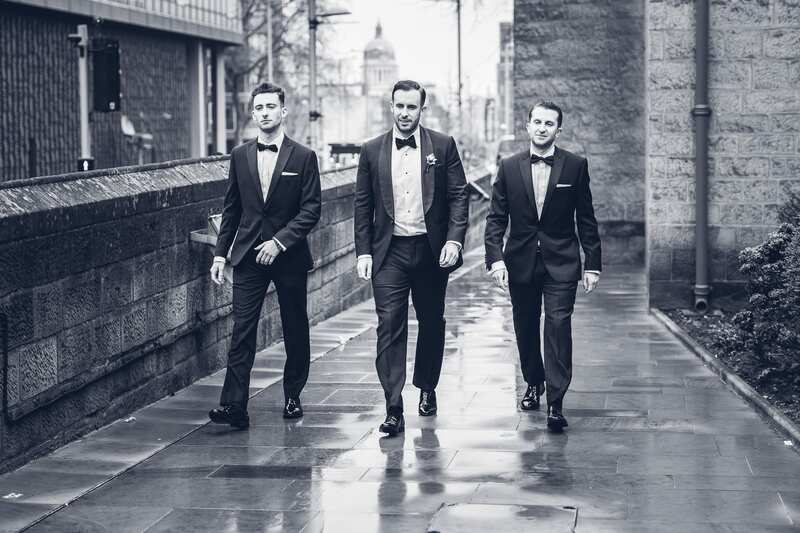 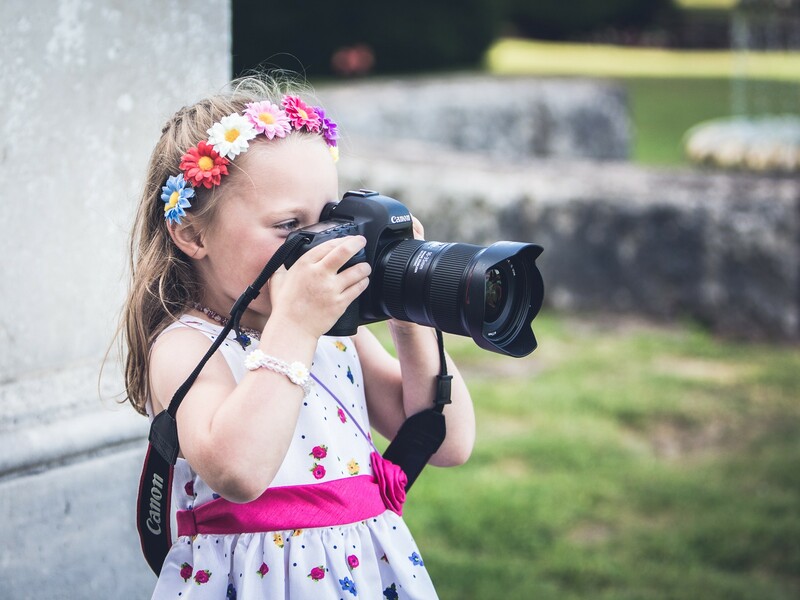 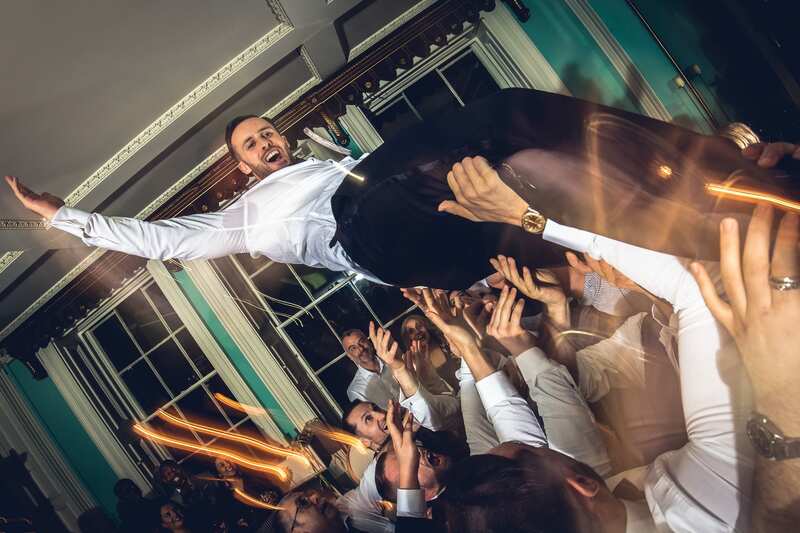 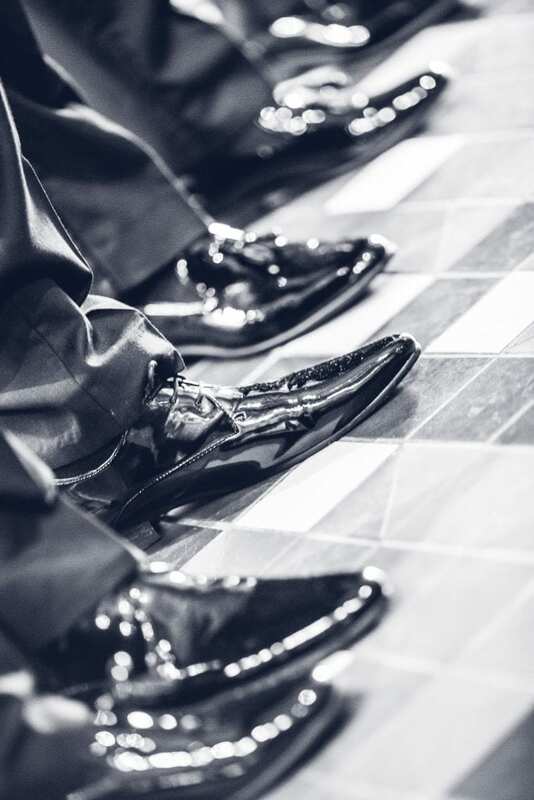 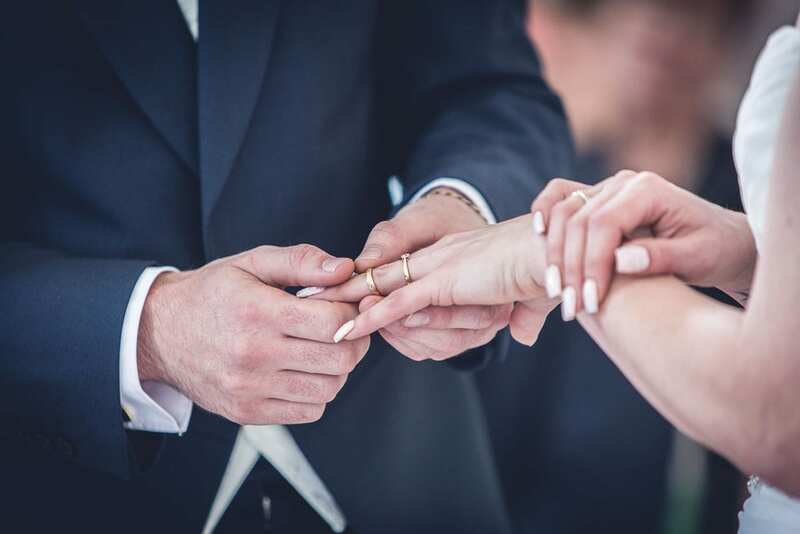 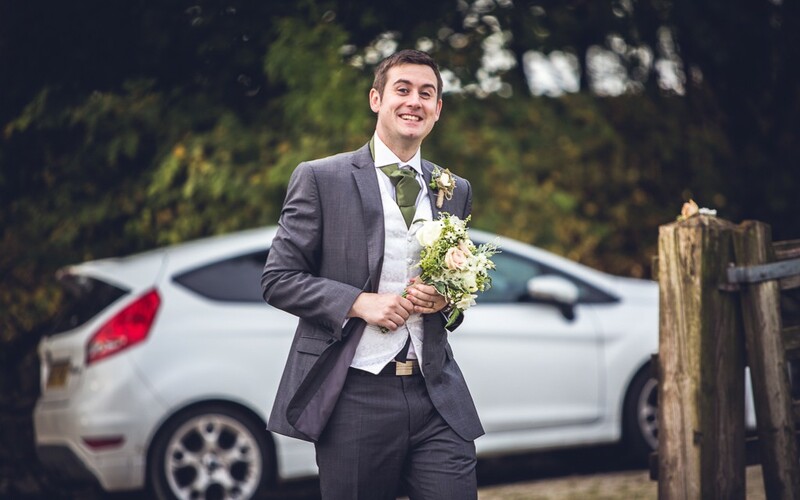 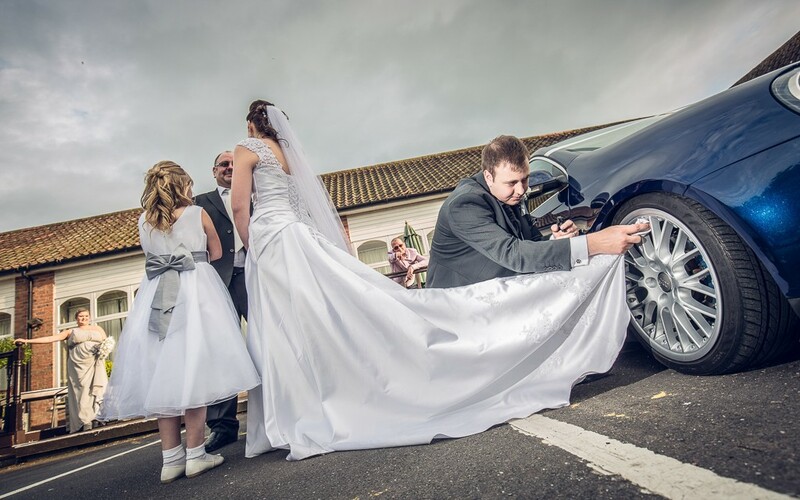 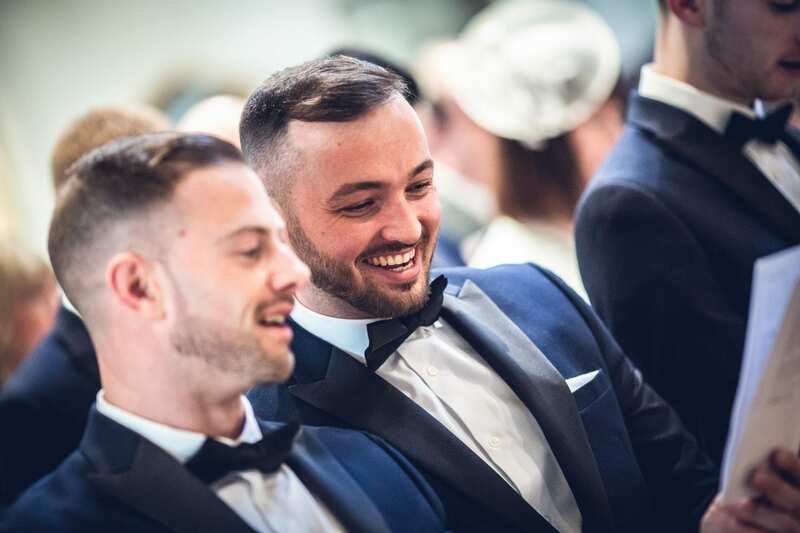 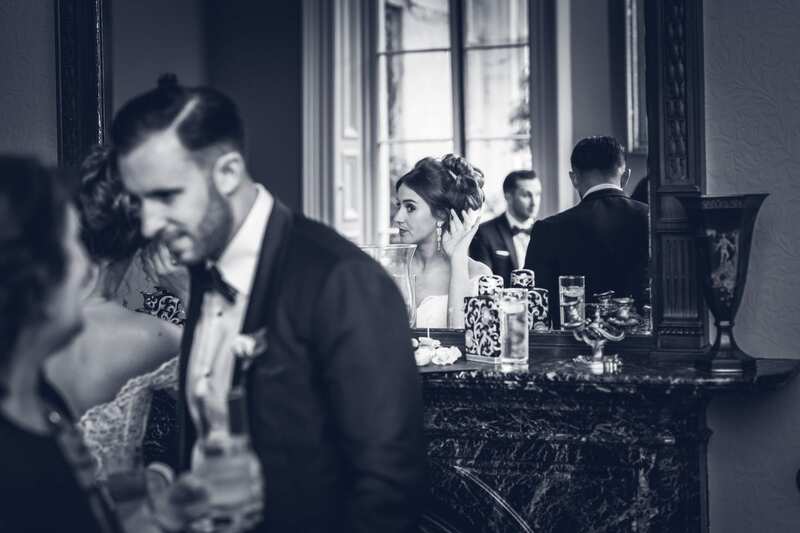 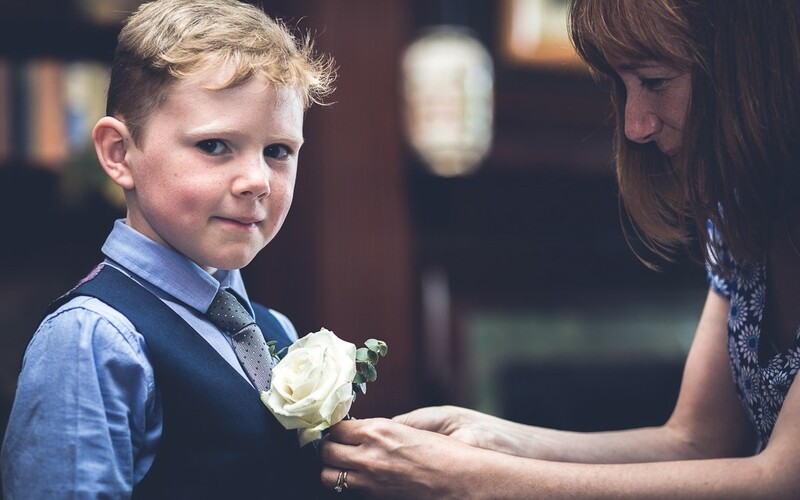 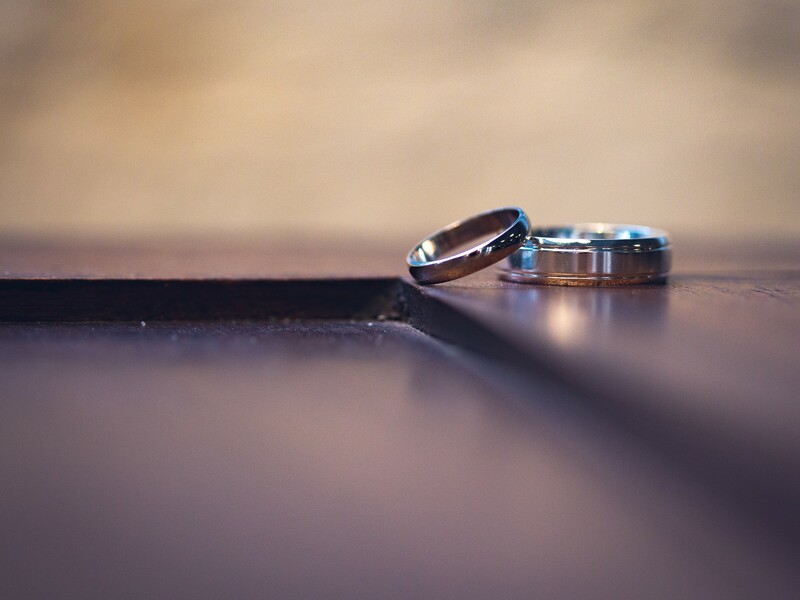 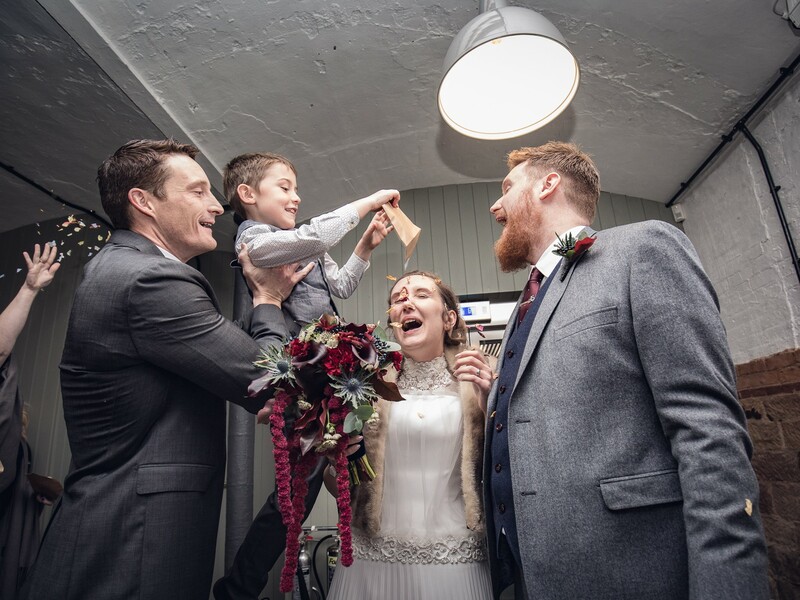 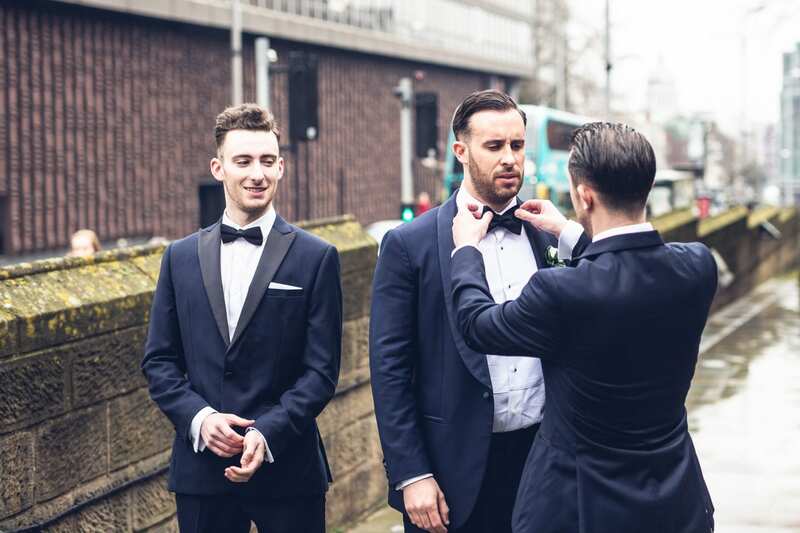 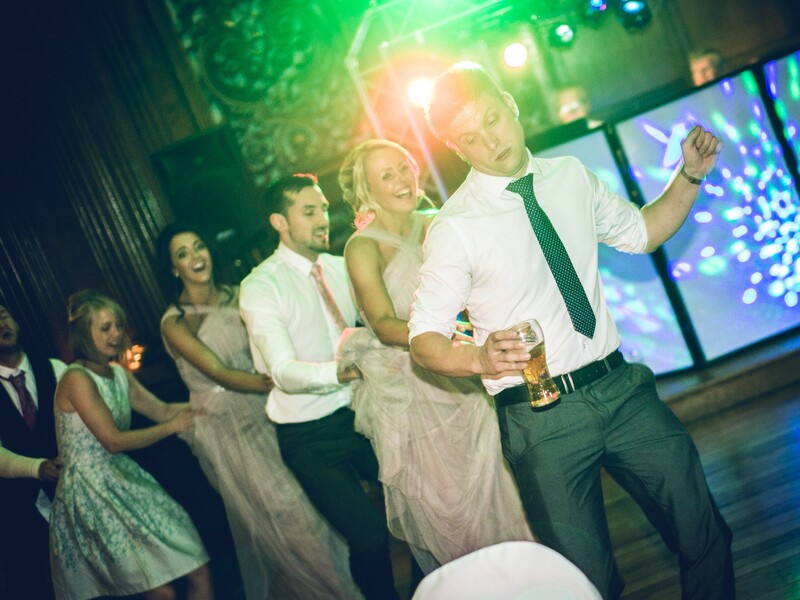 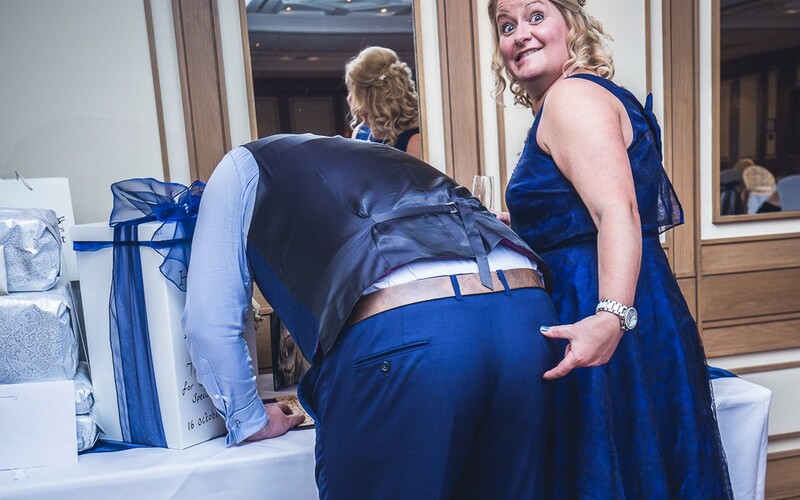 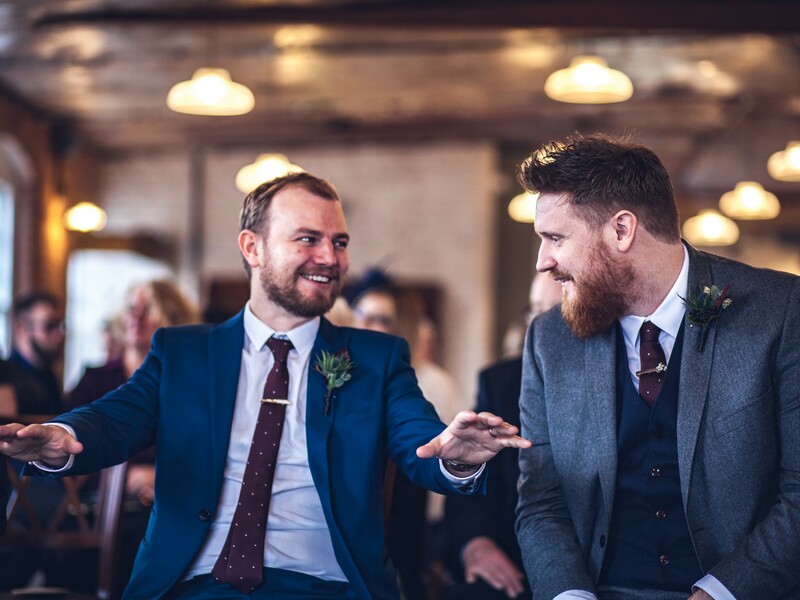 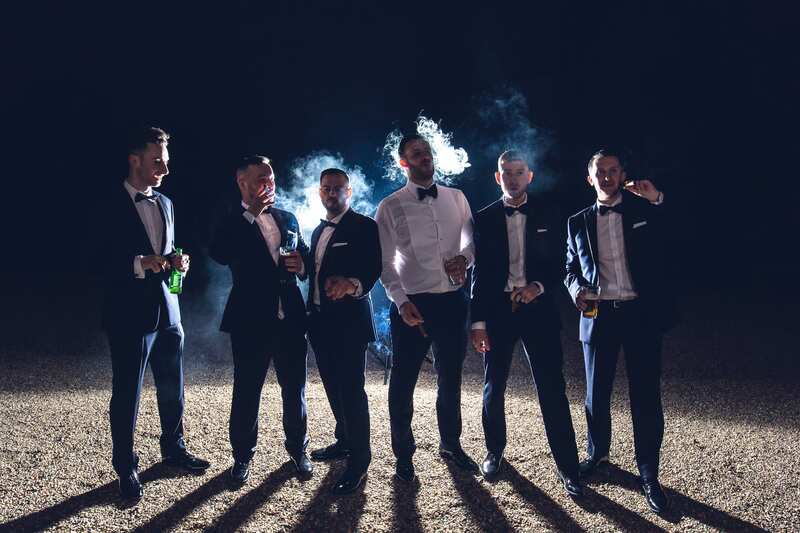 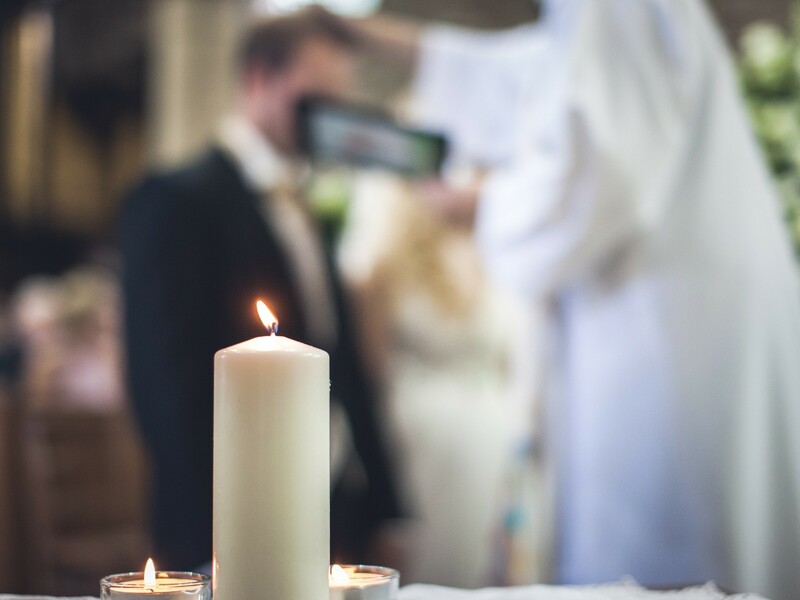 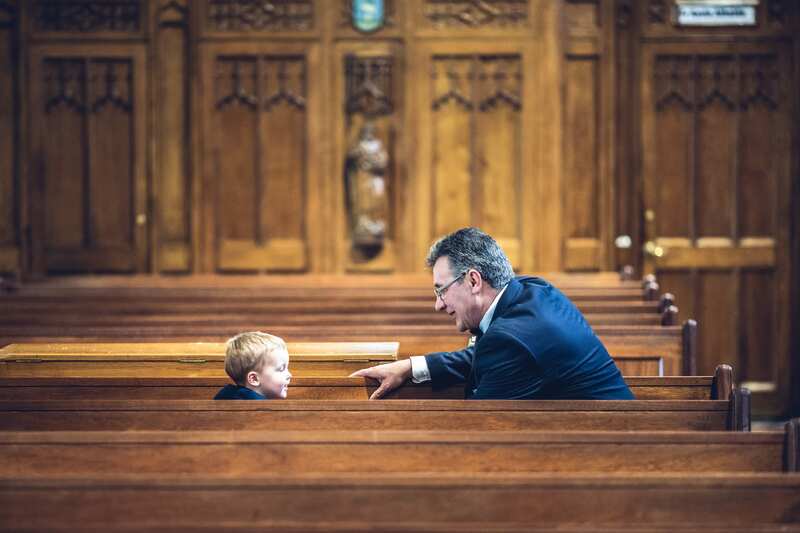 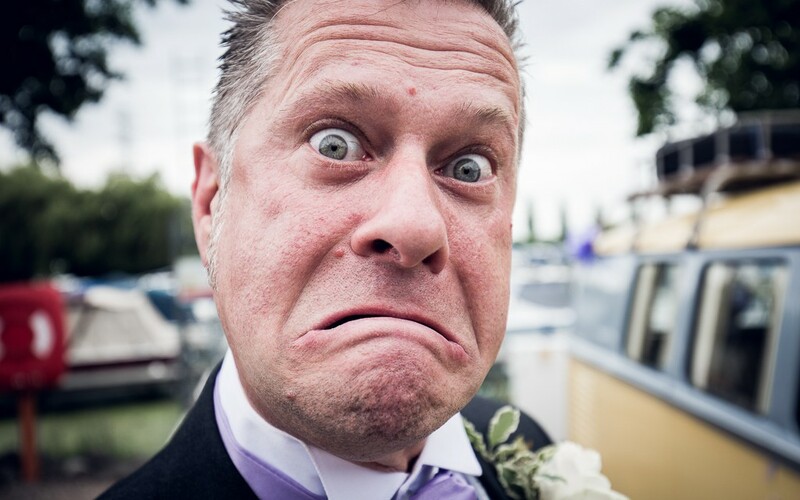 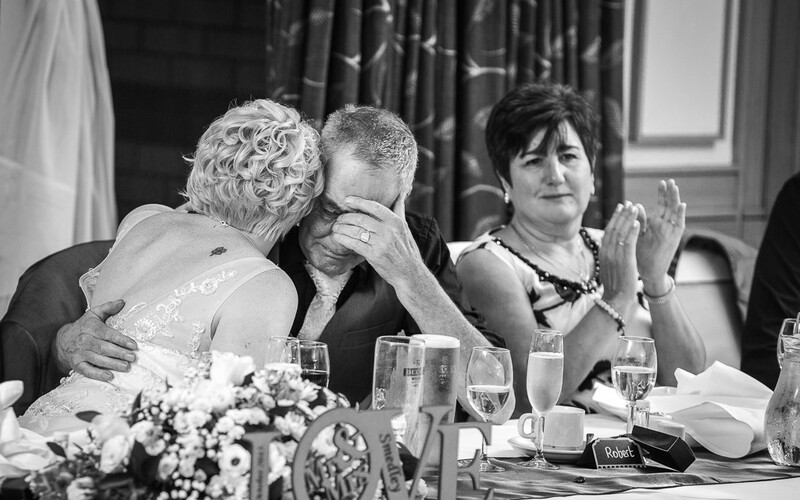 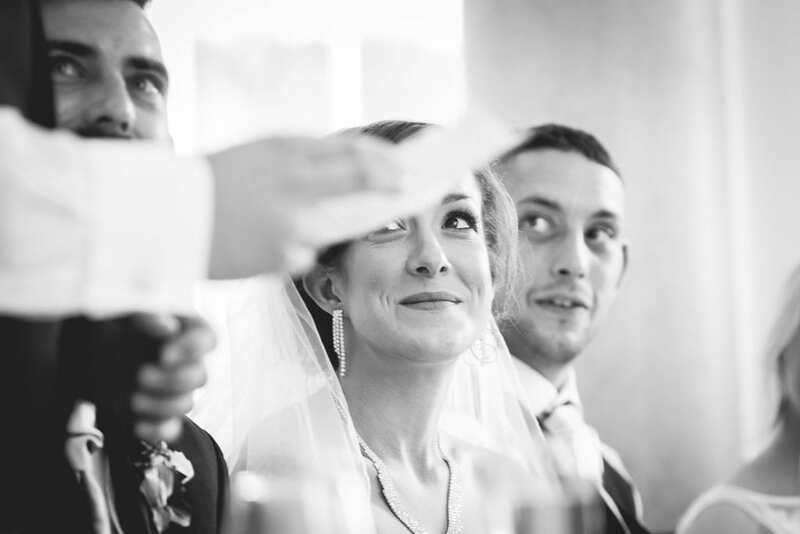 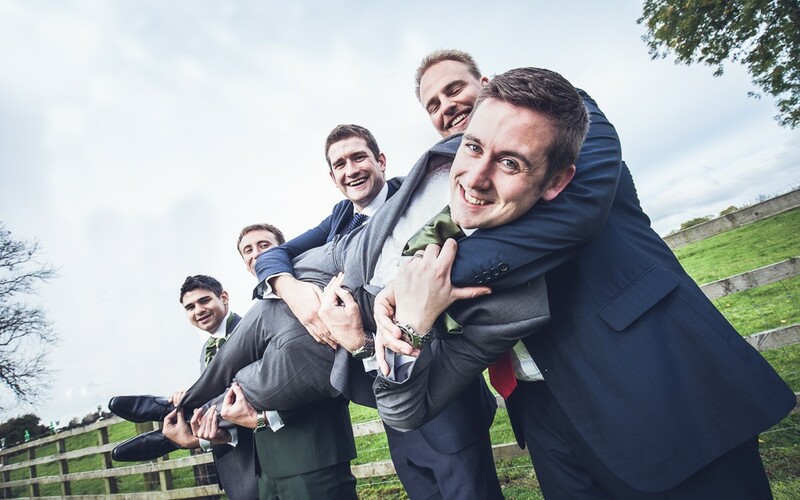 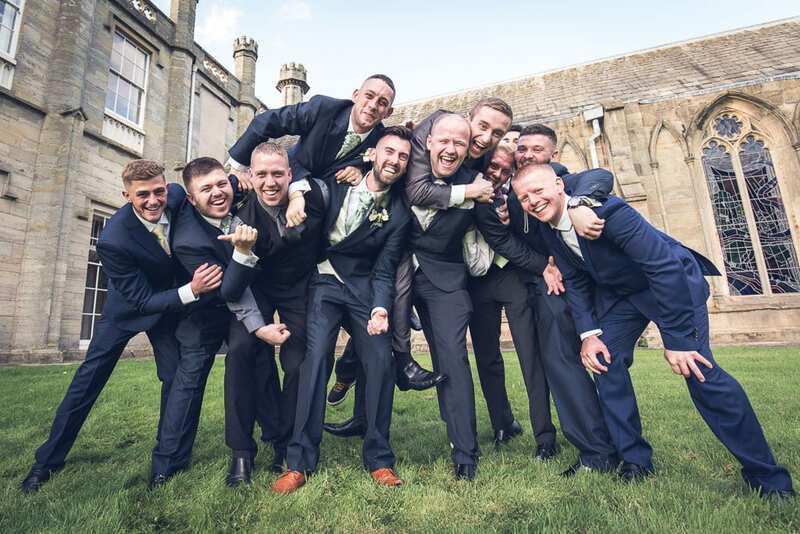 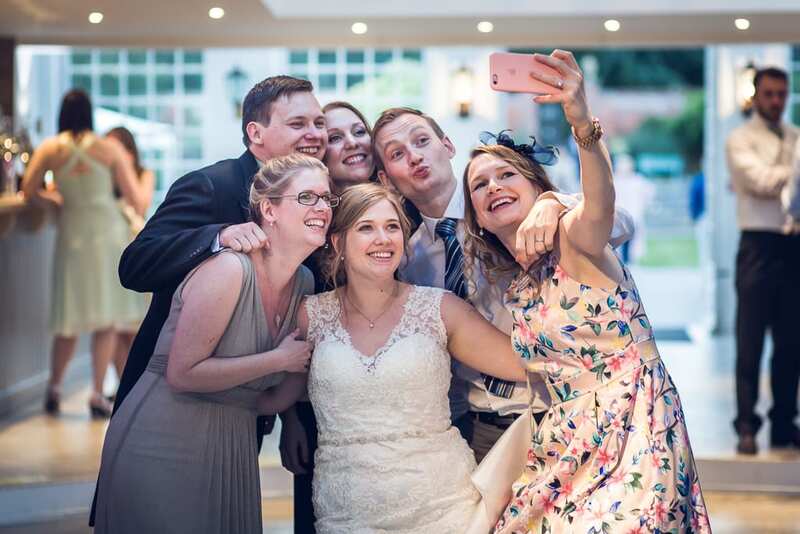 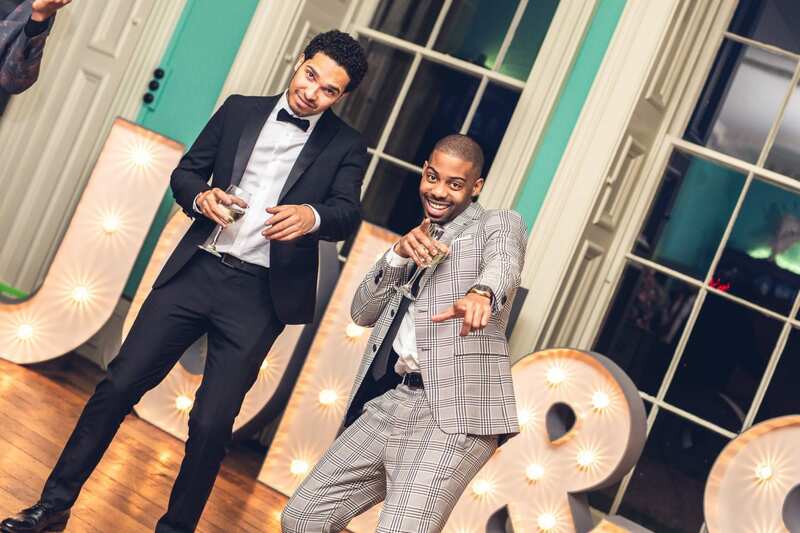 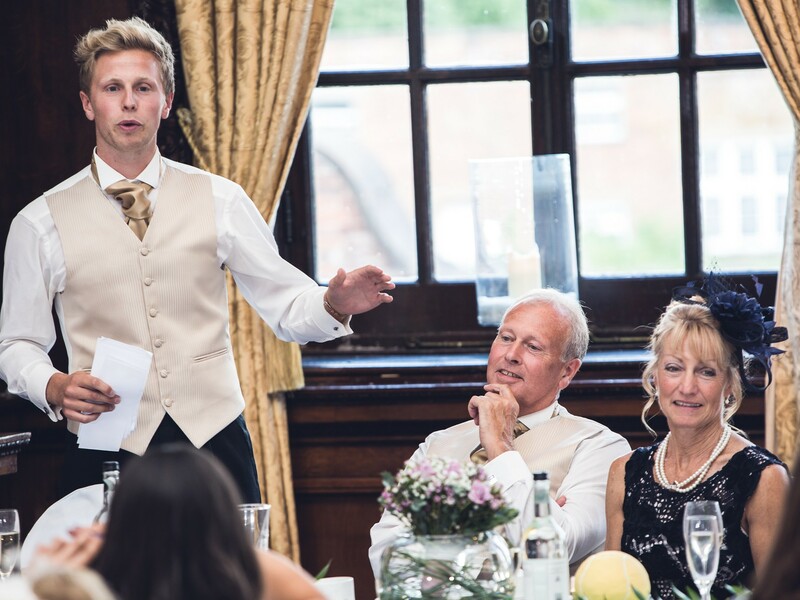 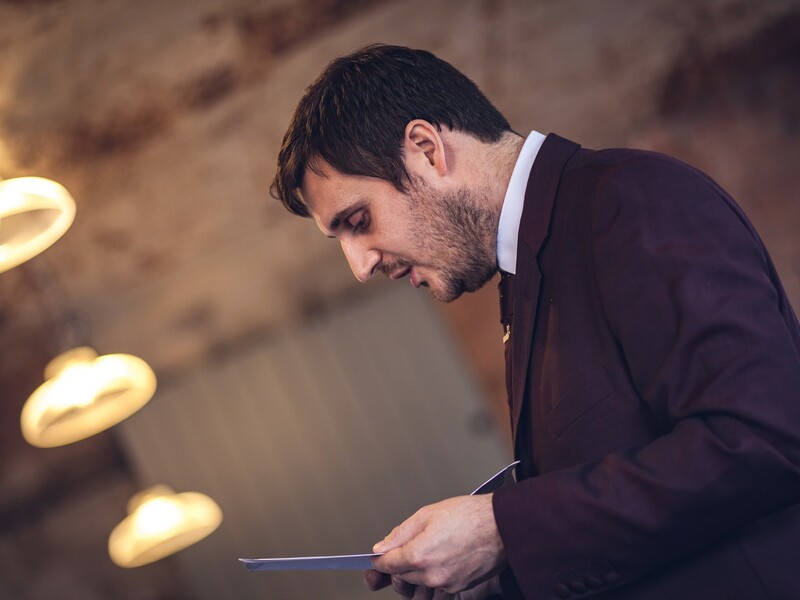 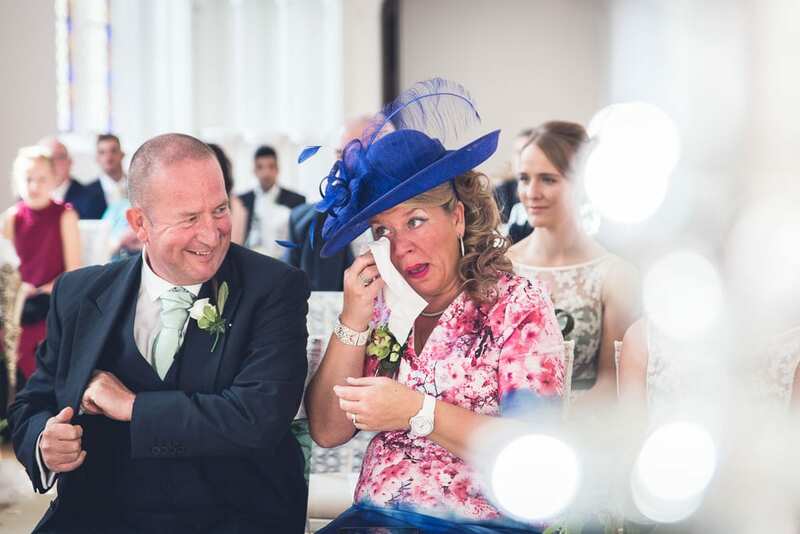 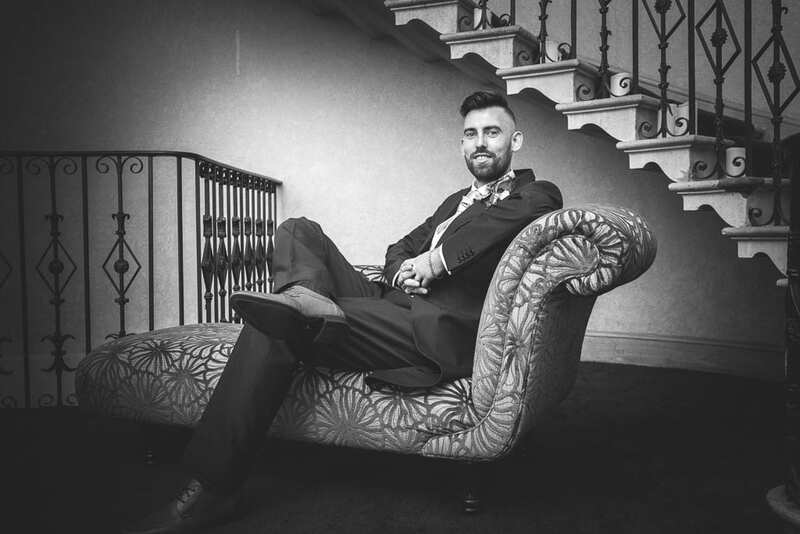 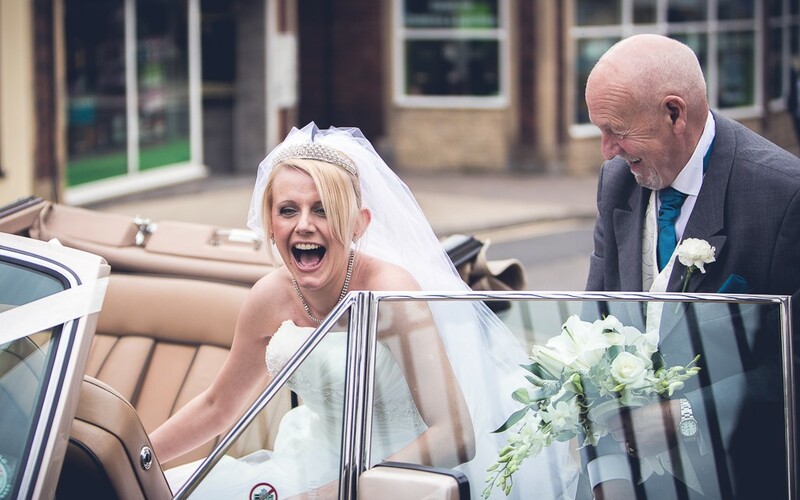 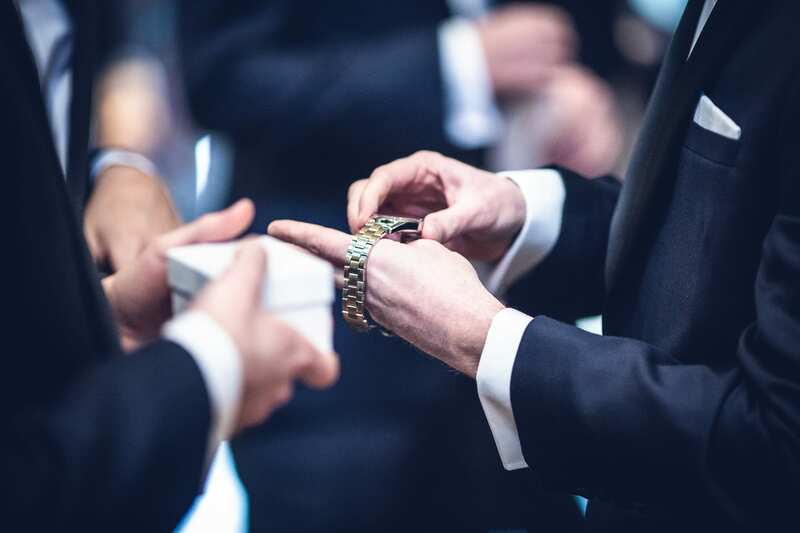 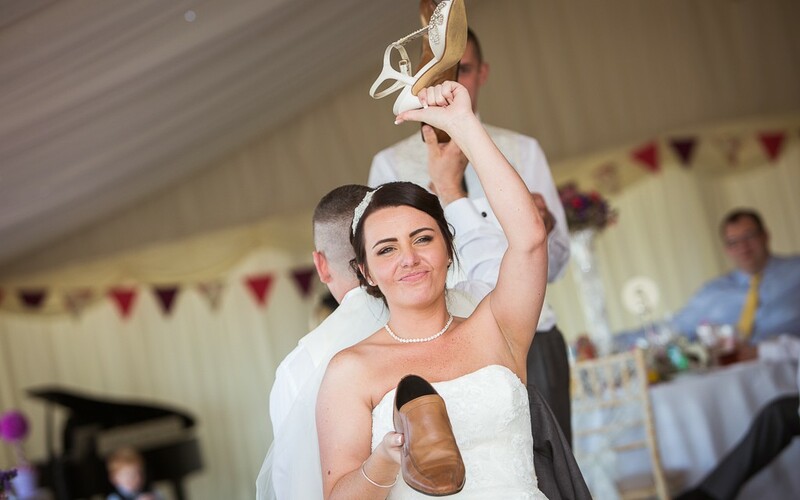 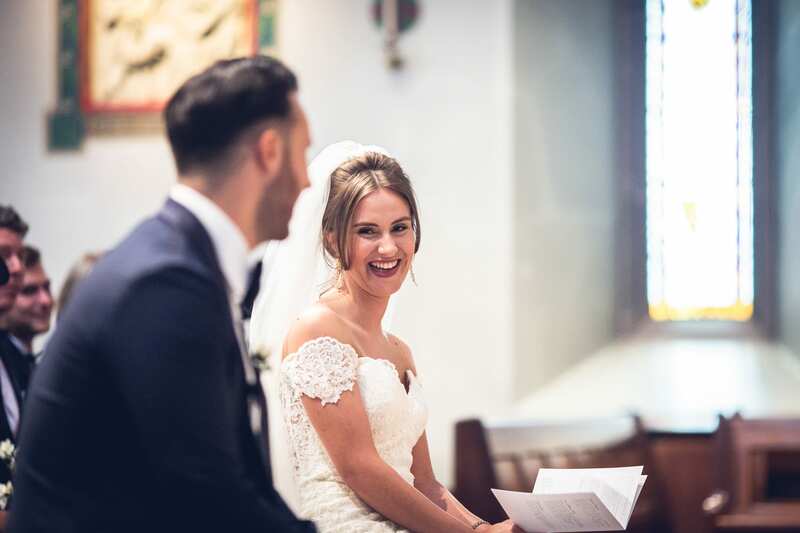 As with wedding photography, it may be a long time from the initial meeting with your wedding photographer to the wedding day itself, so this is a perfect opportunity to touch base, discuss plans for the big day and generally have fun…which is what it always ends up being! 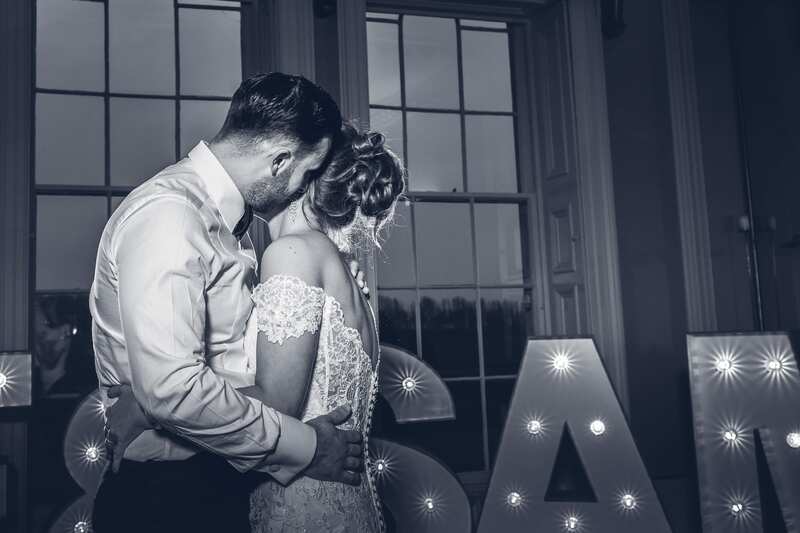 Almost every couple who have had an Eshoot with me said that they are so glad they did, and find it a much more of a fun & enjoyable experience than they first anticipated! 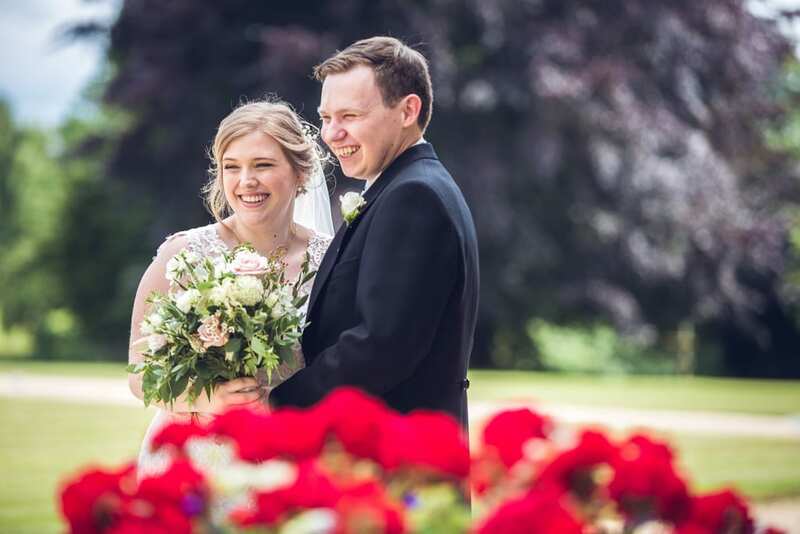 As we go into a summer break where I will be heading off to sunny France for a well-earned rest, I thought I’d take a moment to share with you the season so far. 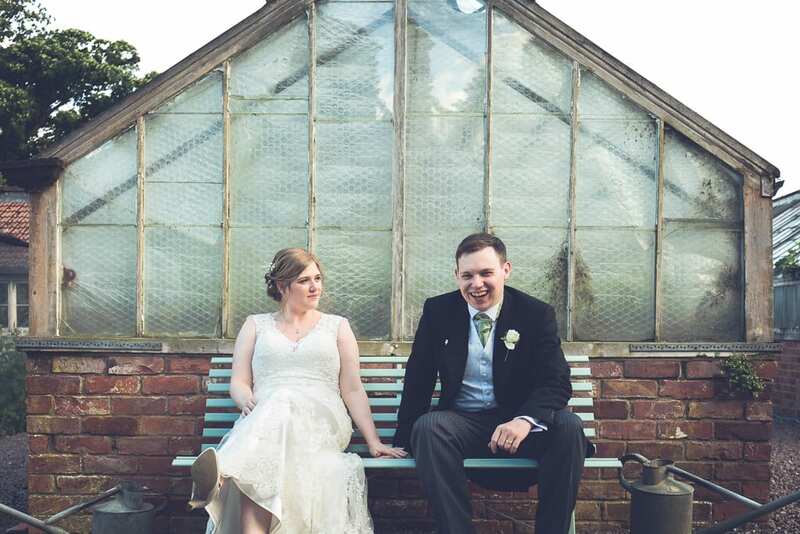 January seems such a long time ago, starting off on a cold, windy day with the lovely Tom & Hayley at Donington Park Farmhouse. 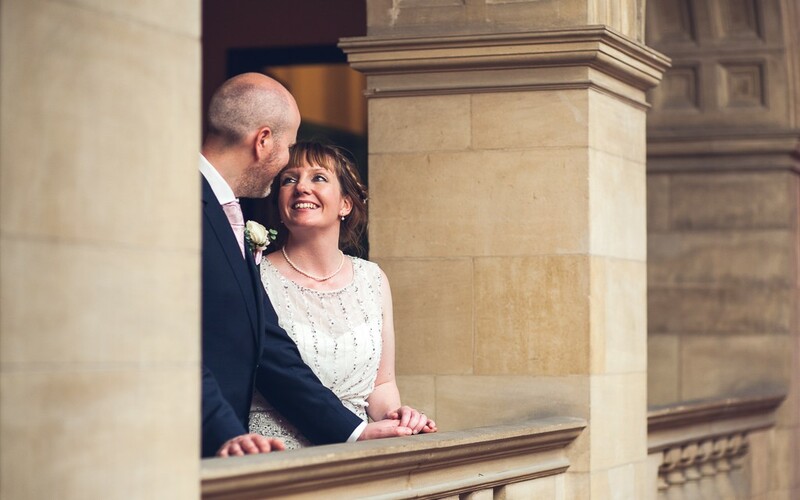 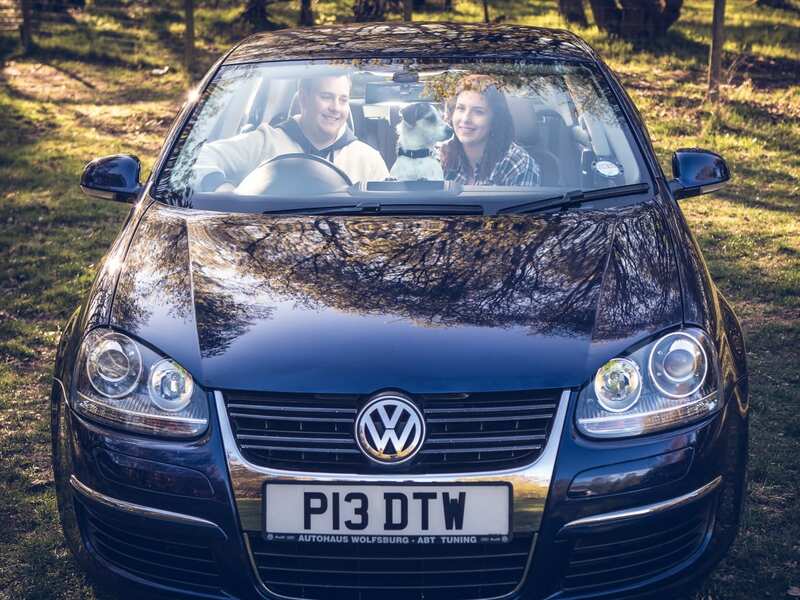 The winter months flew by, with visits to Nottingham Embankment, Woodborough Hall, Swancar Farm and Mansfield. 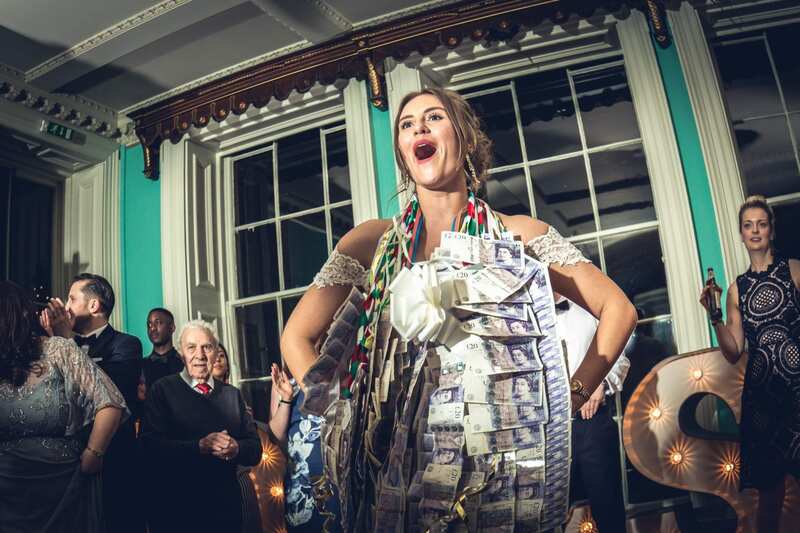 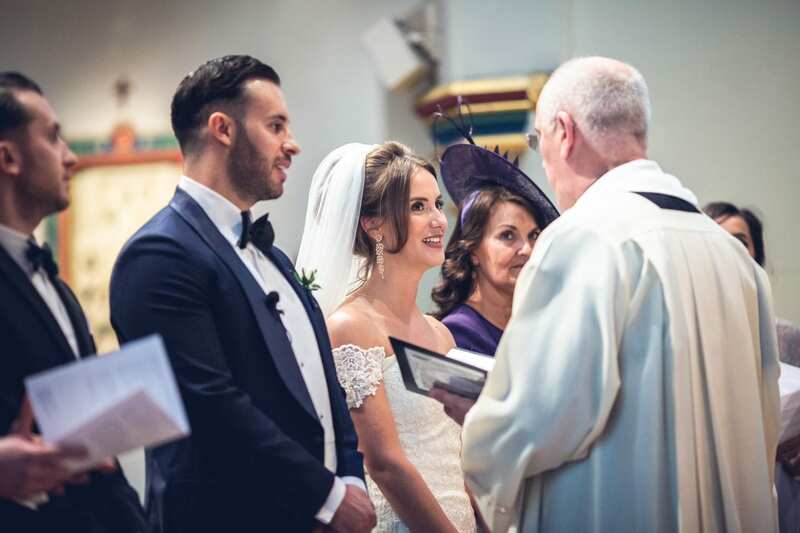 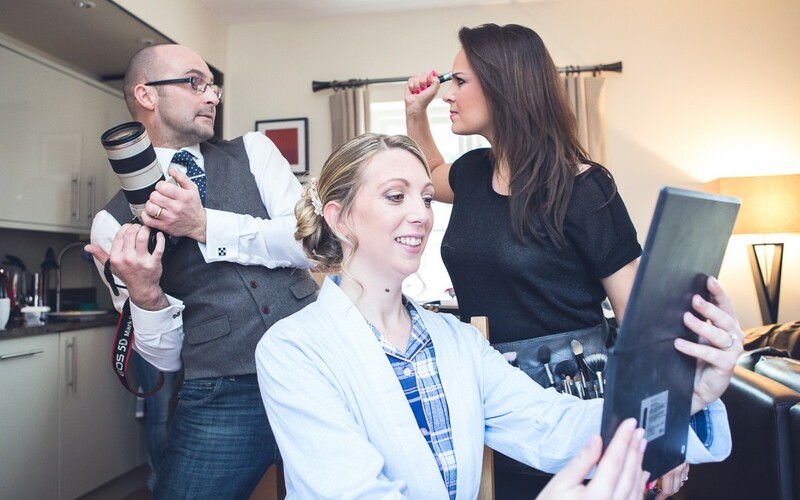 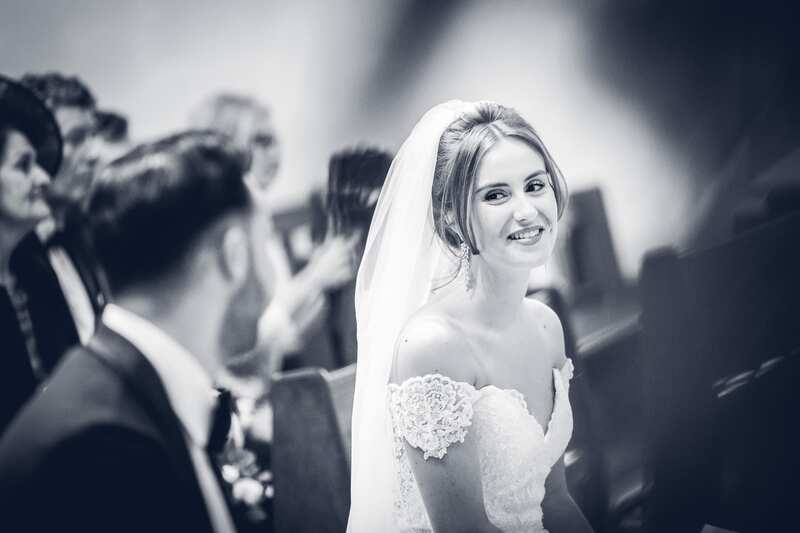 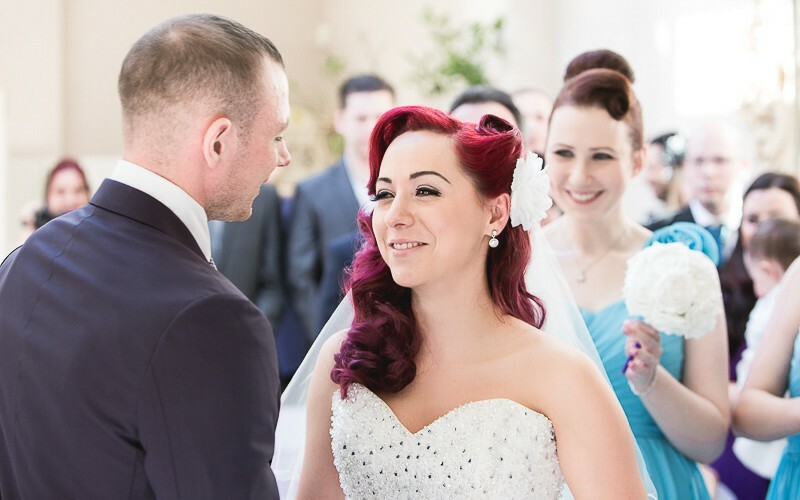 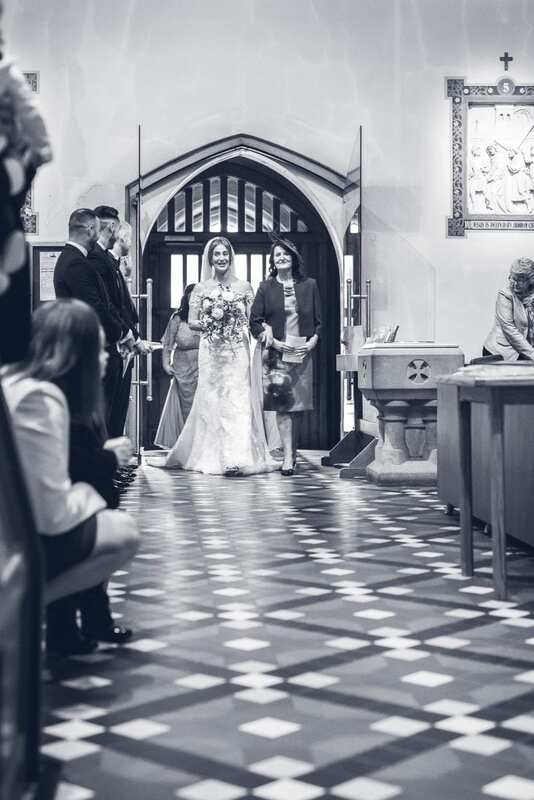 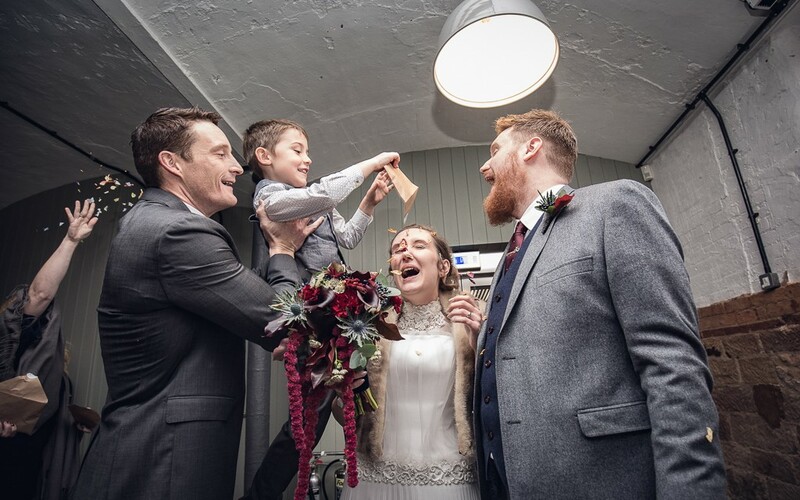 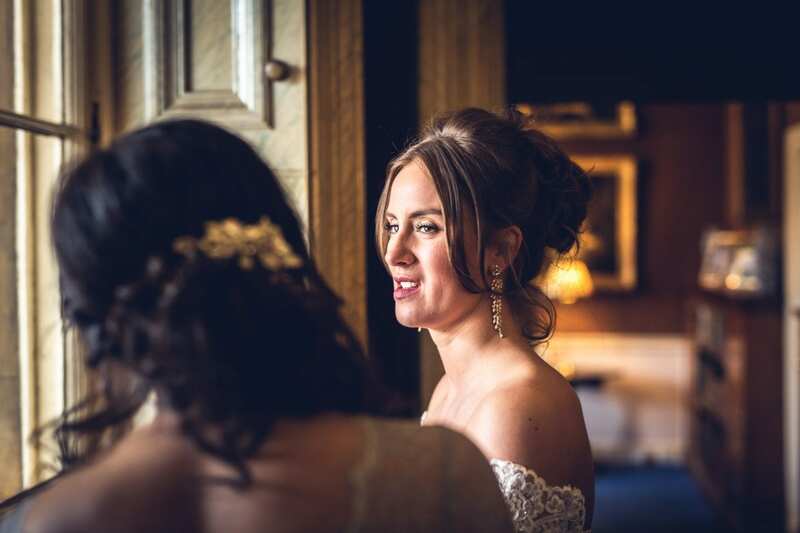 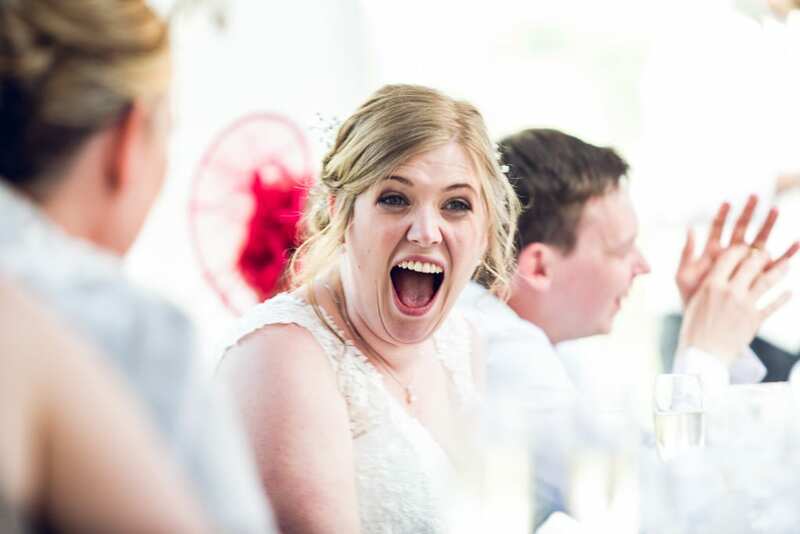 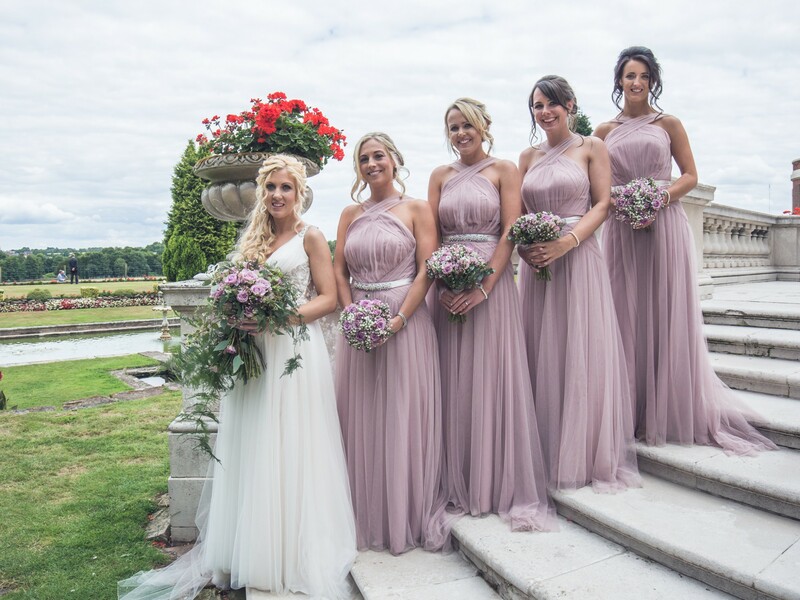 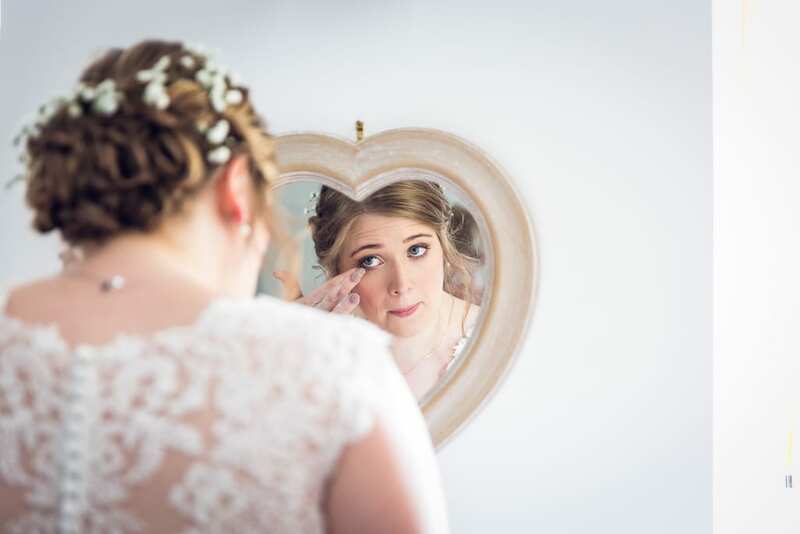 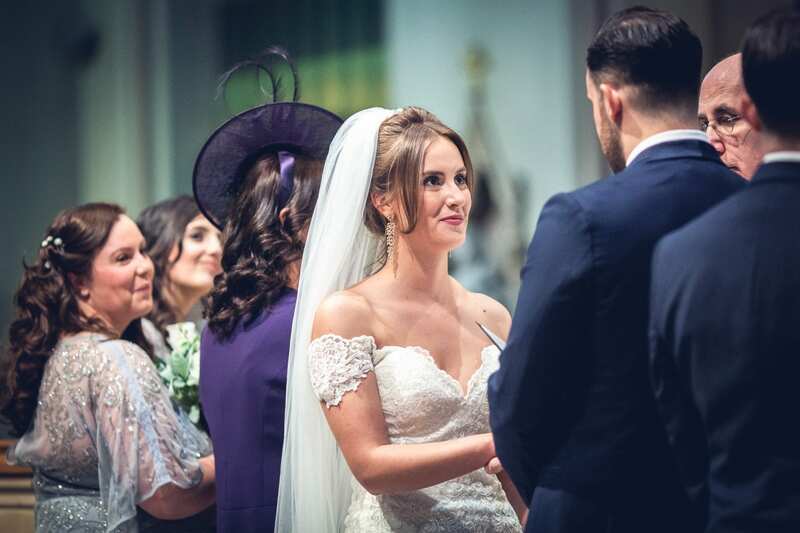 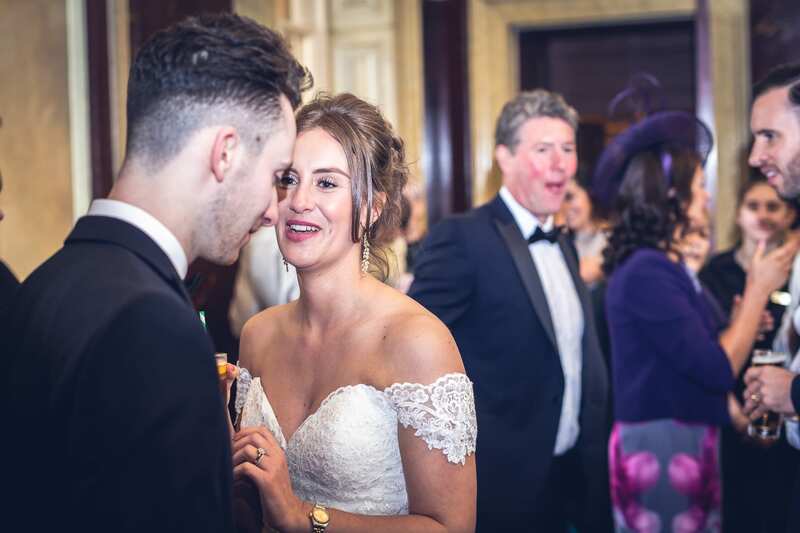 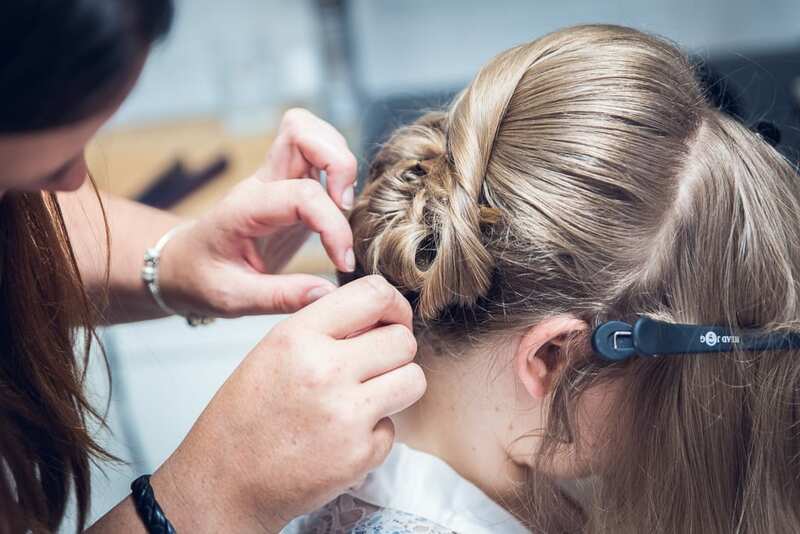 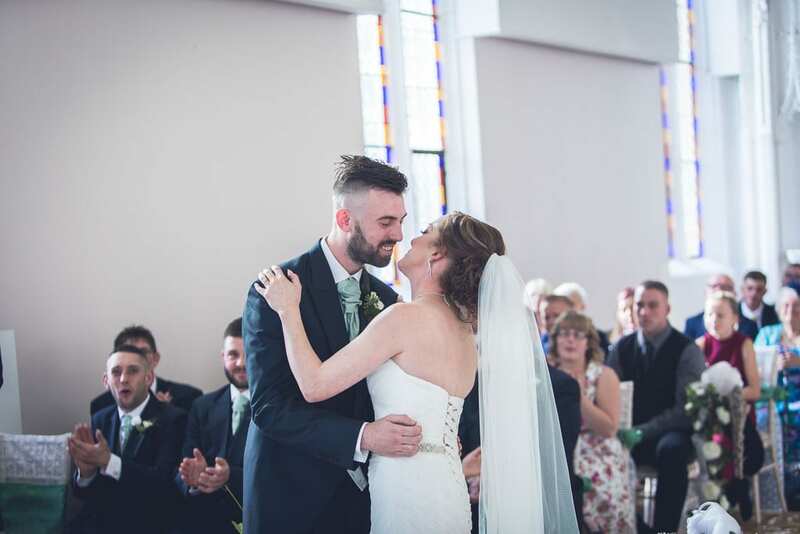 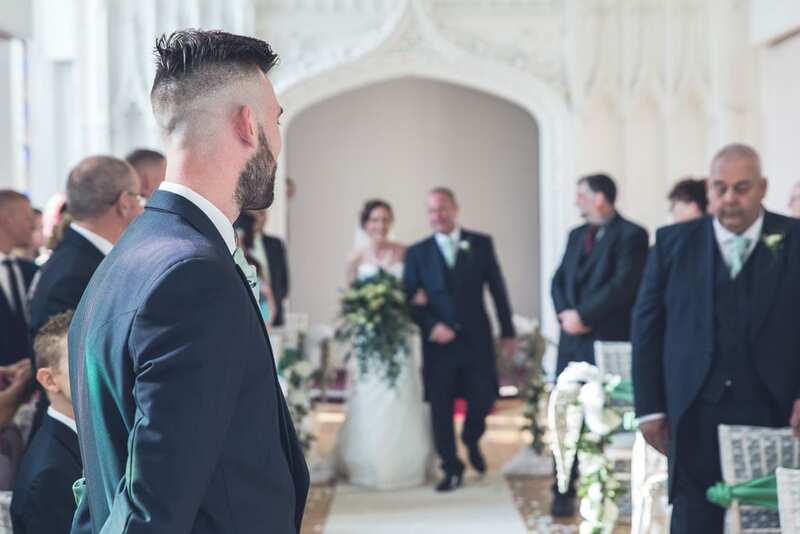 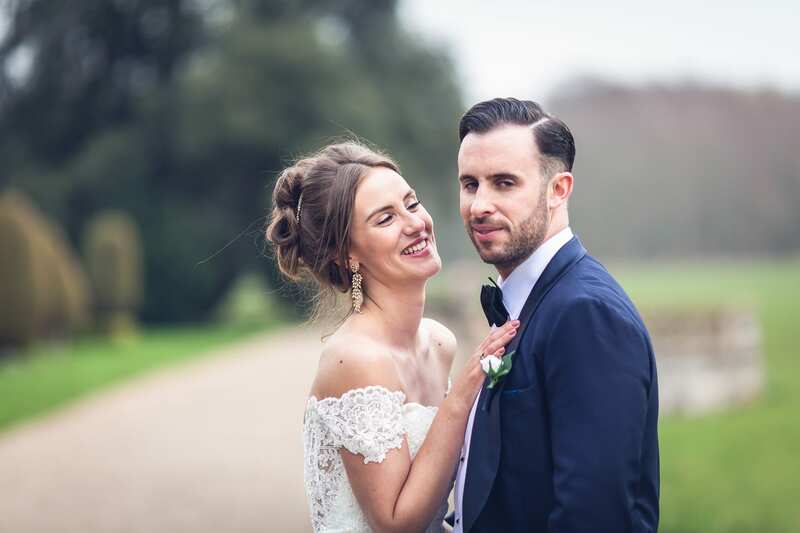 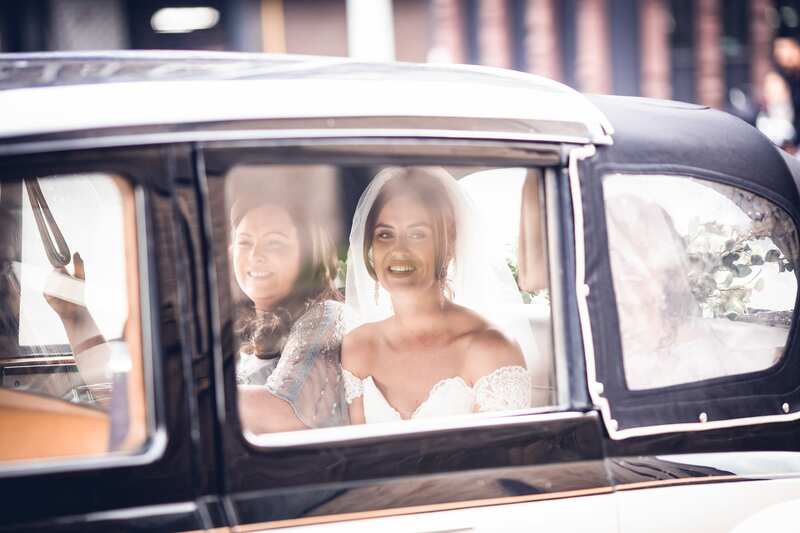 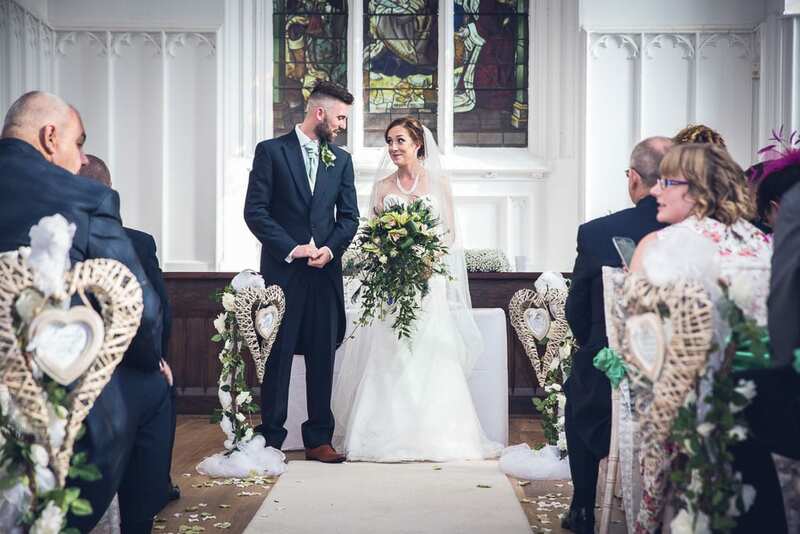 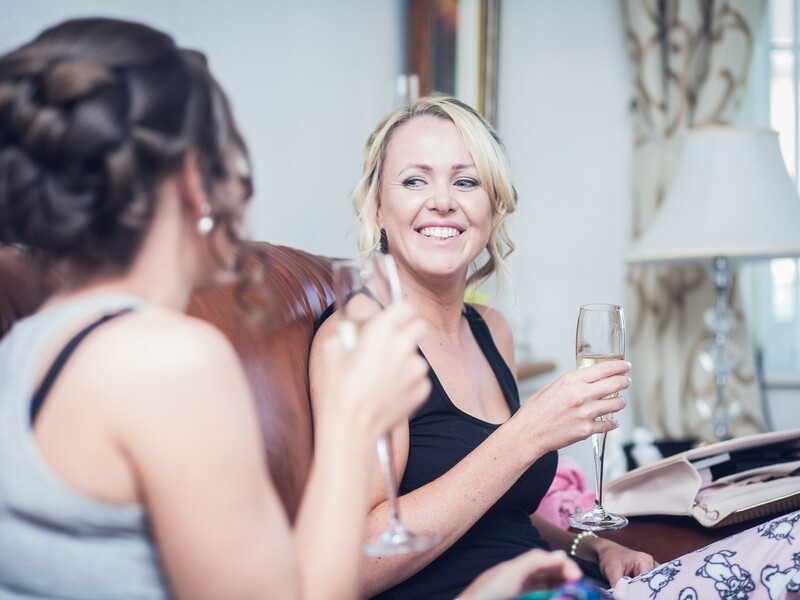 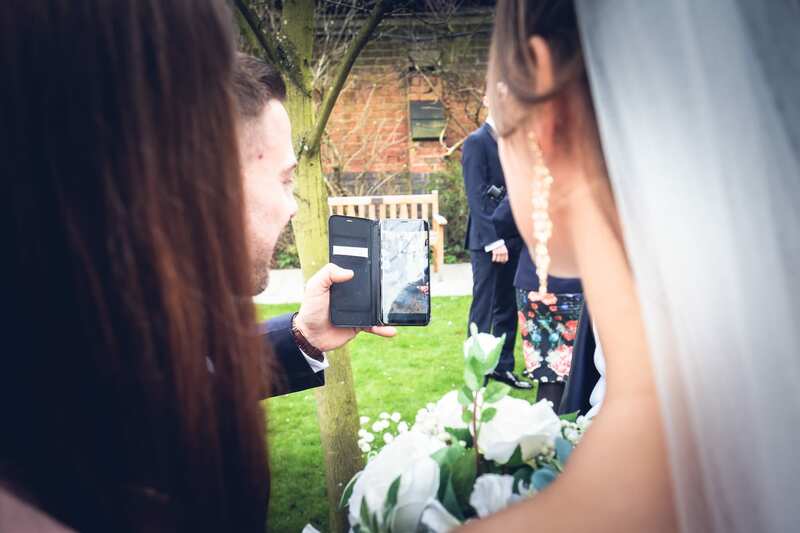 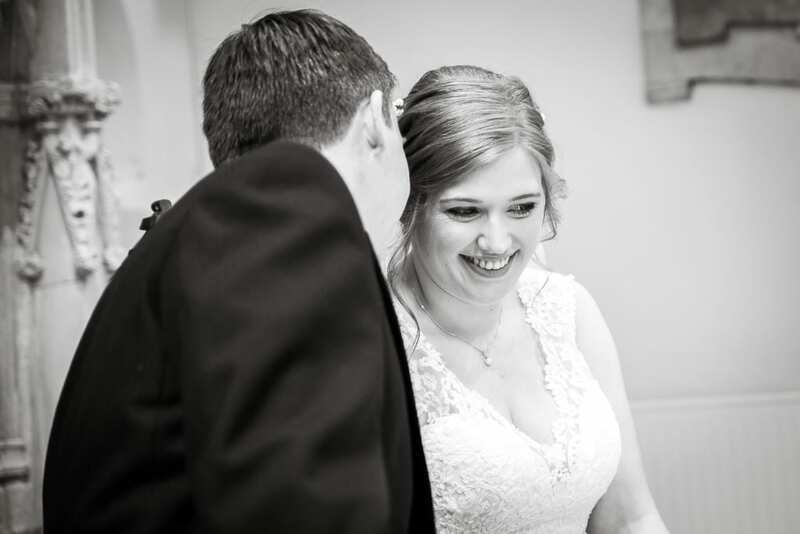 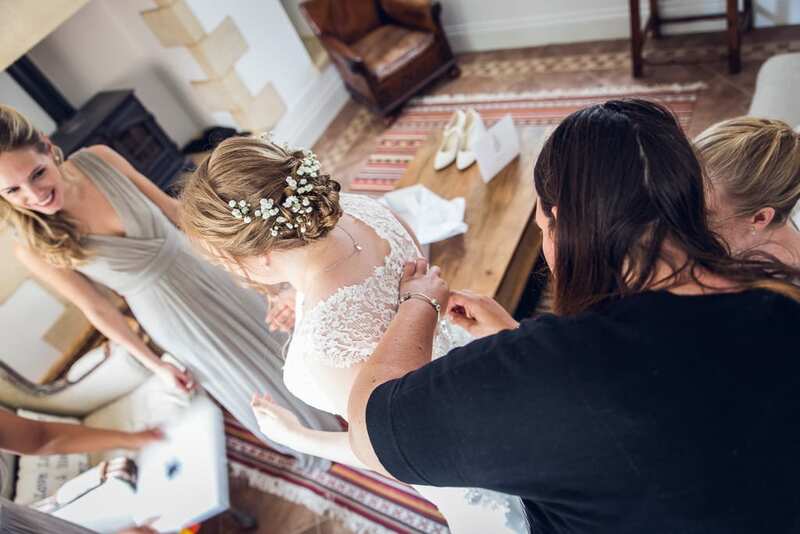 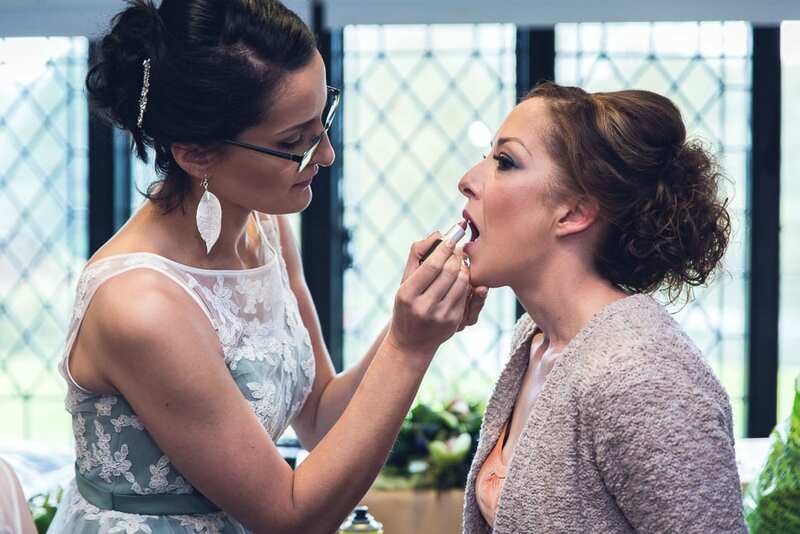 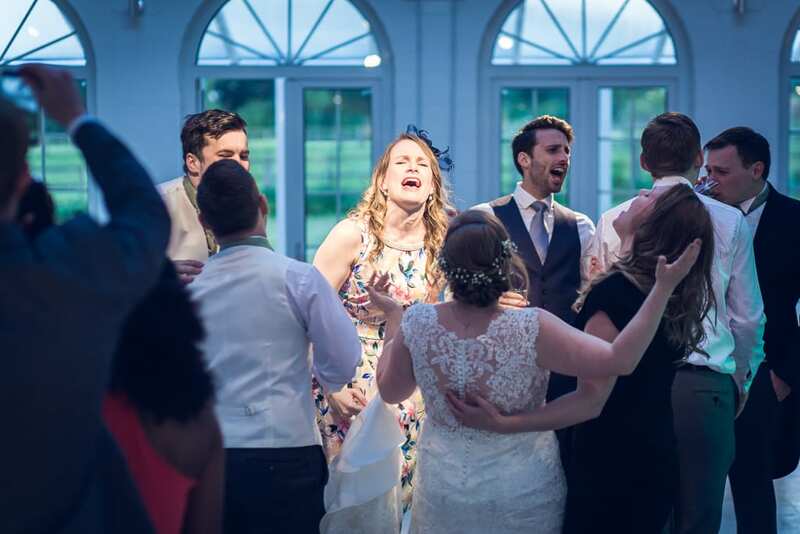 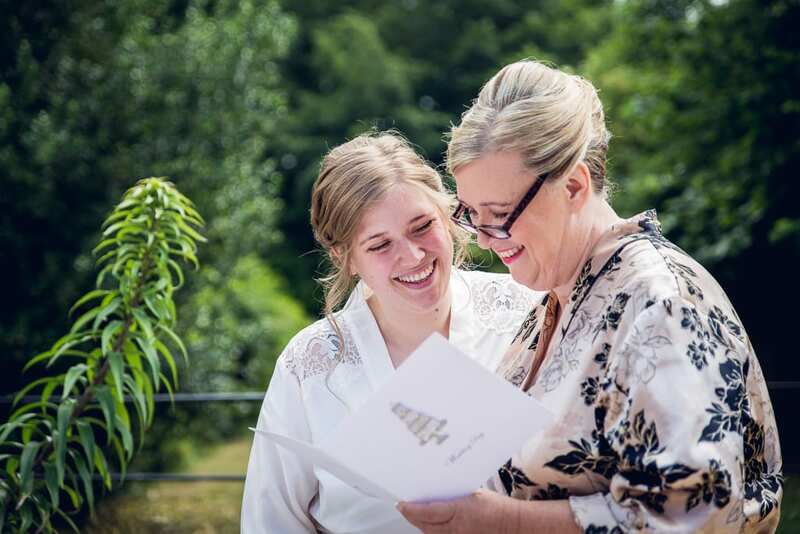 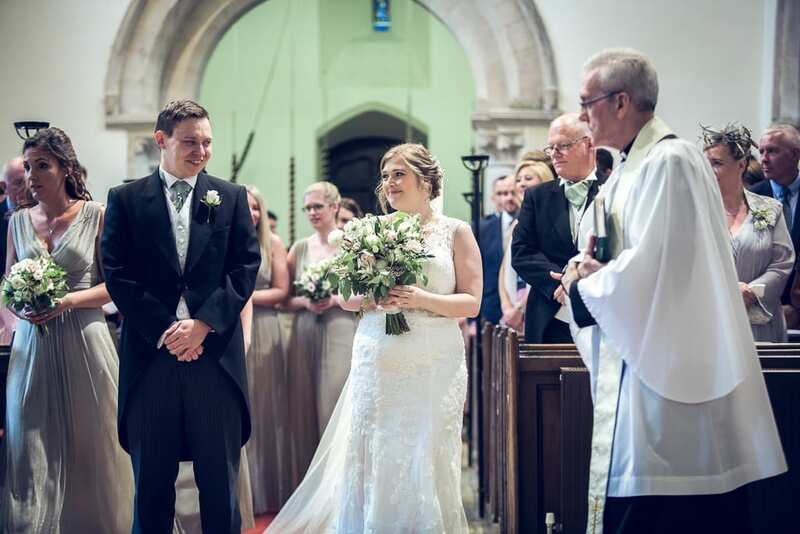 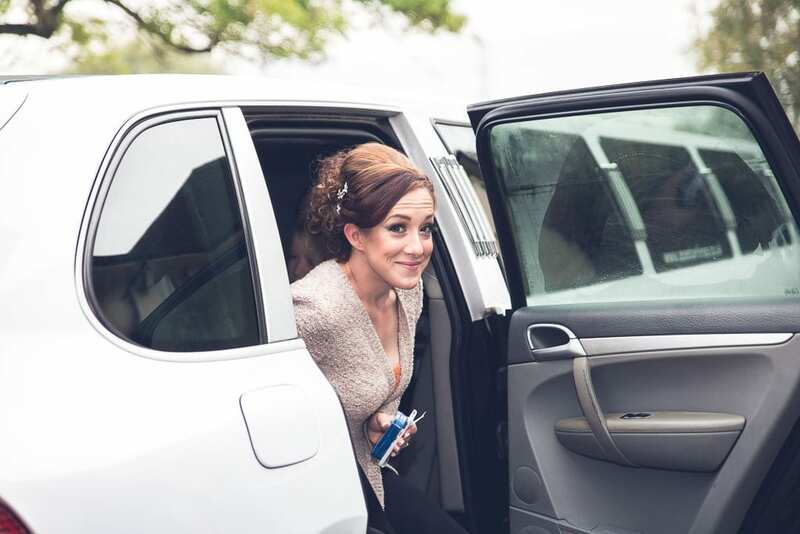 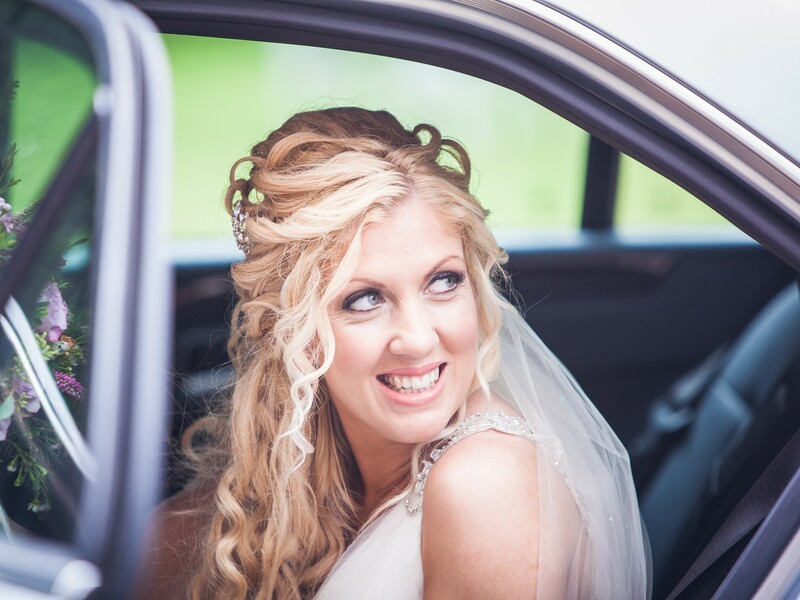 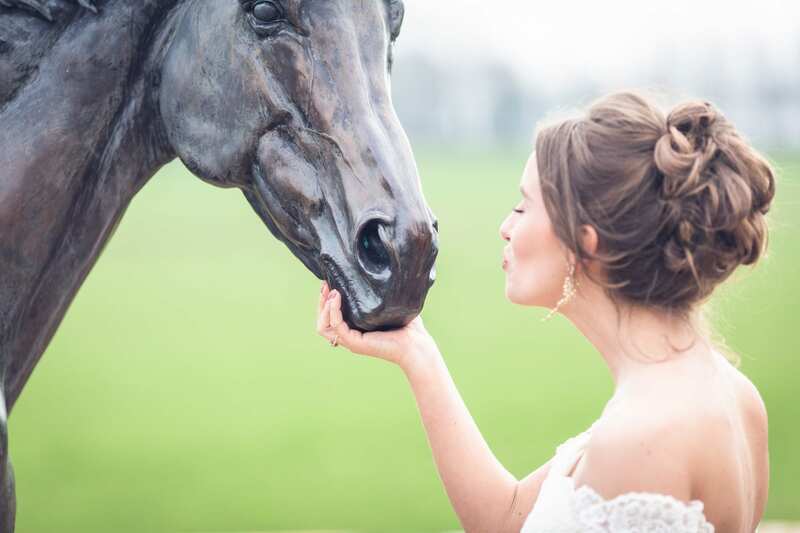 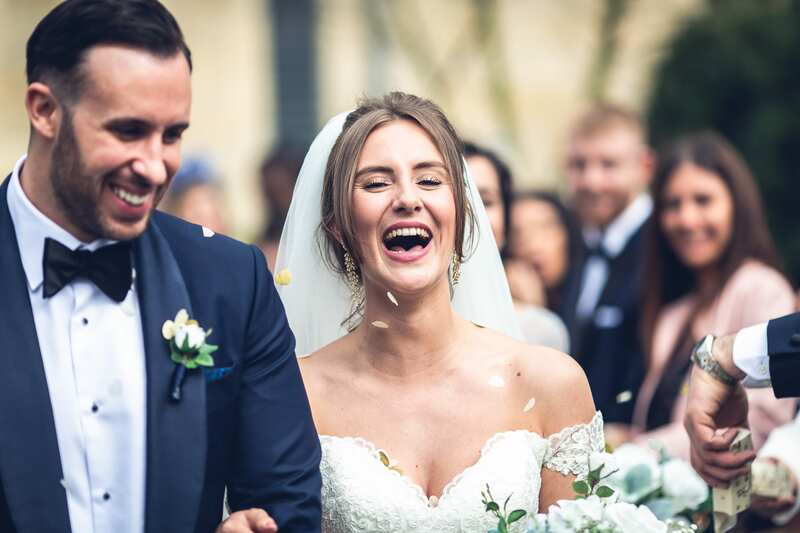 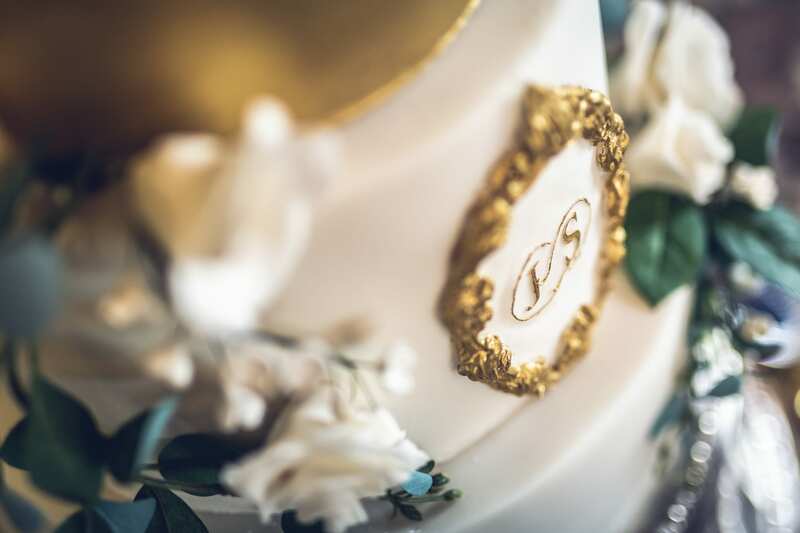 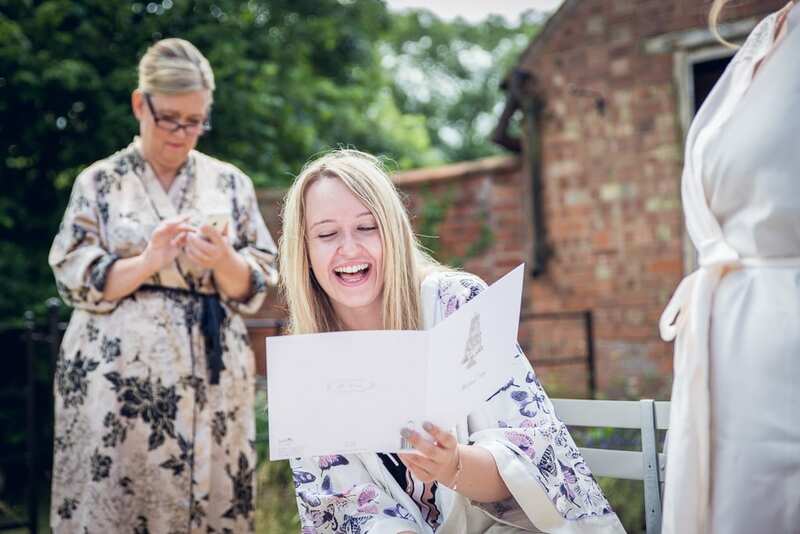 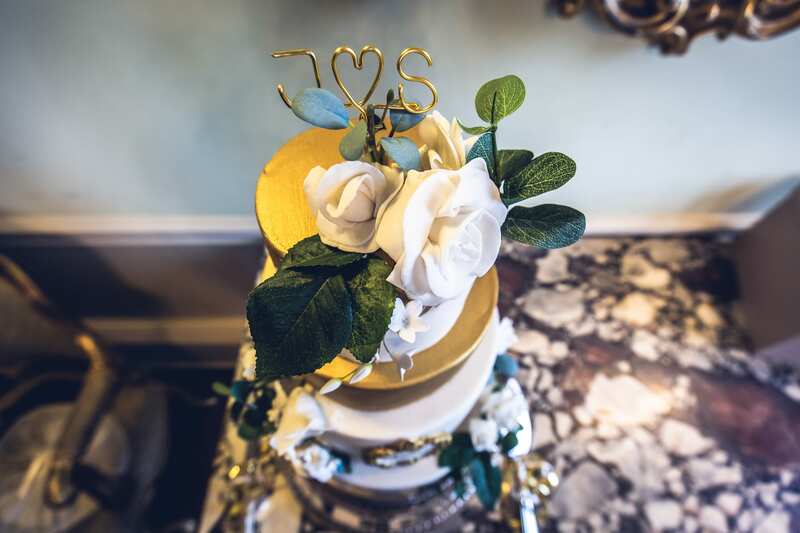 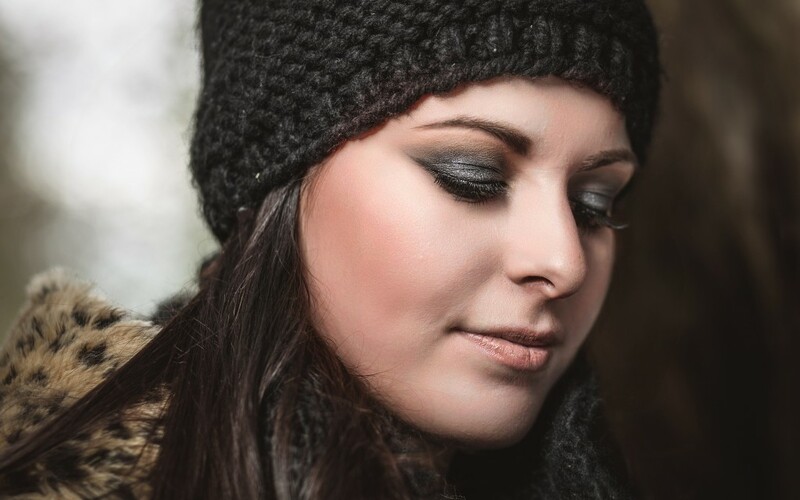 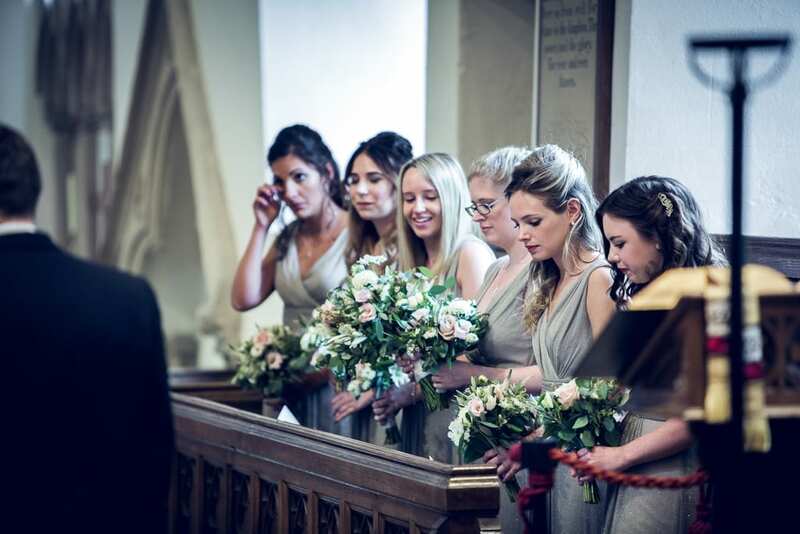 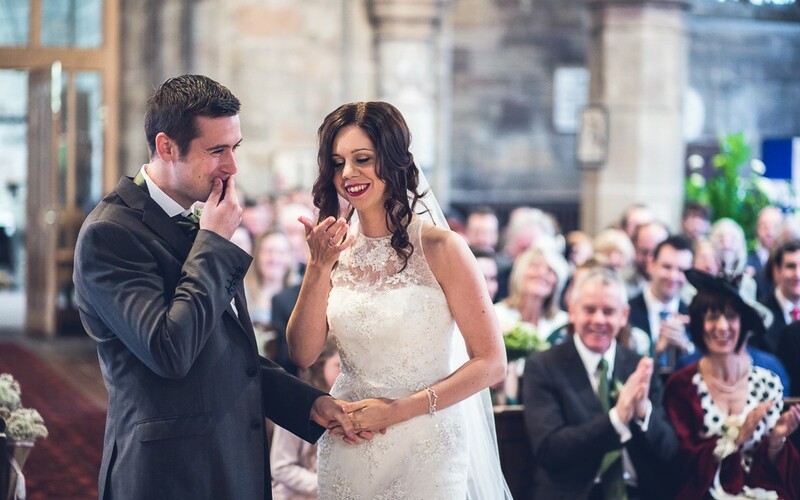 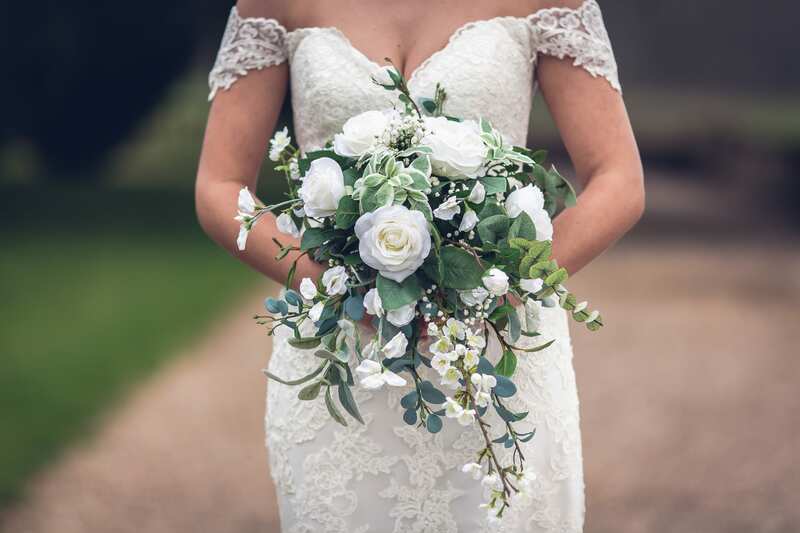 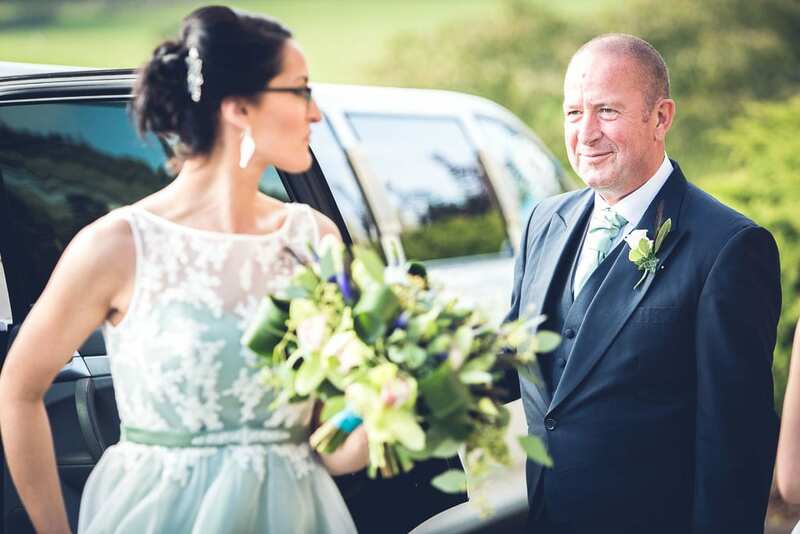 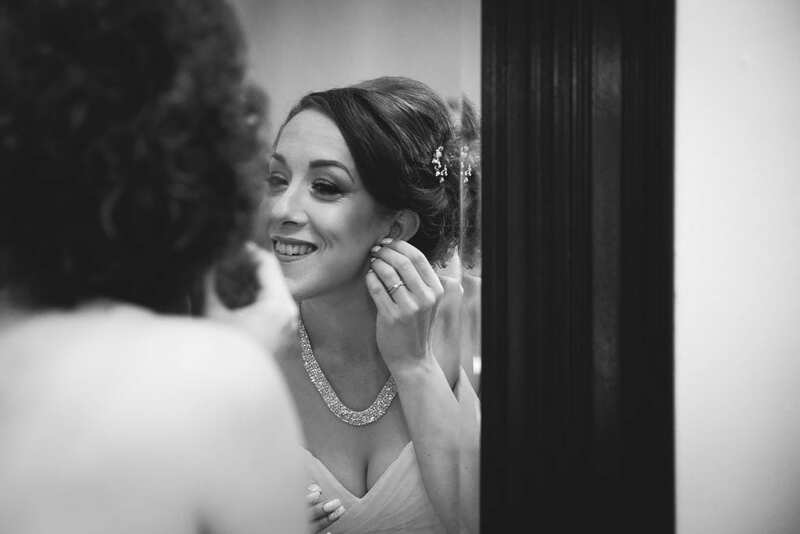 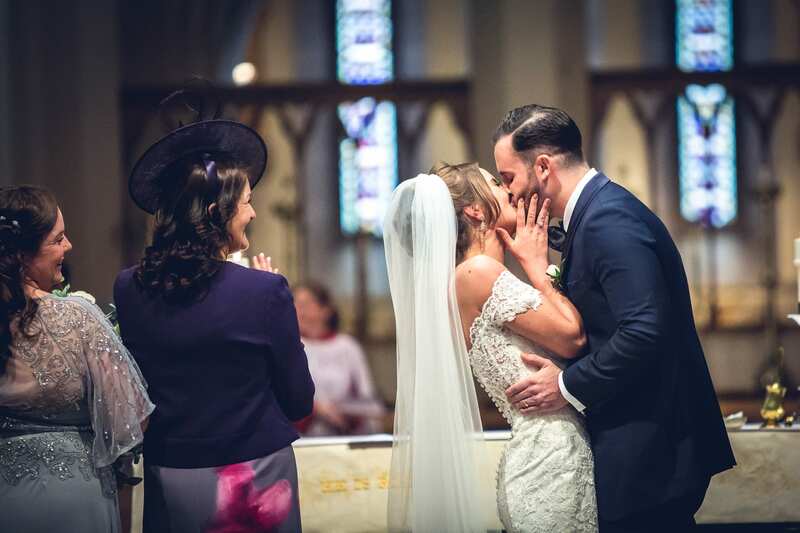 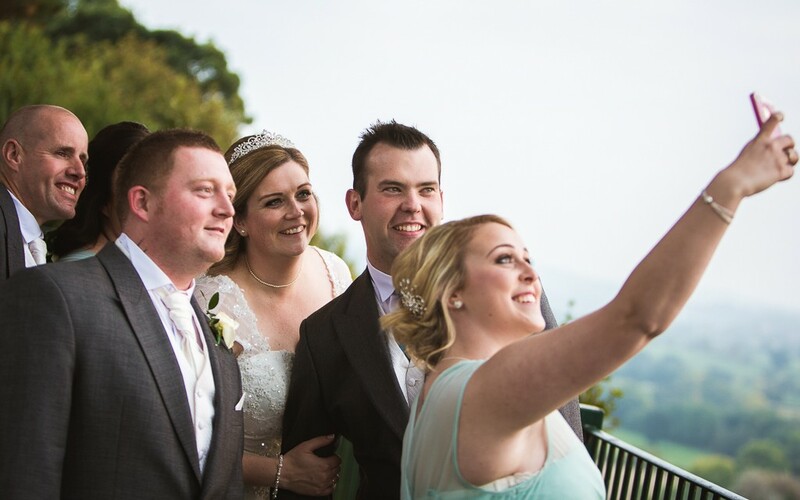 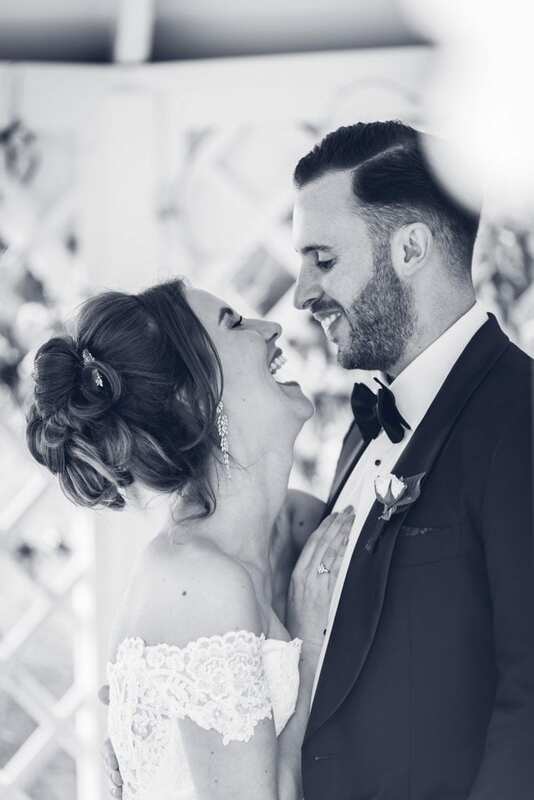 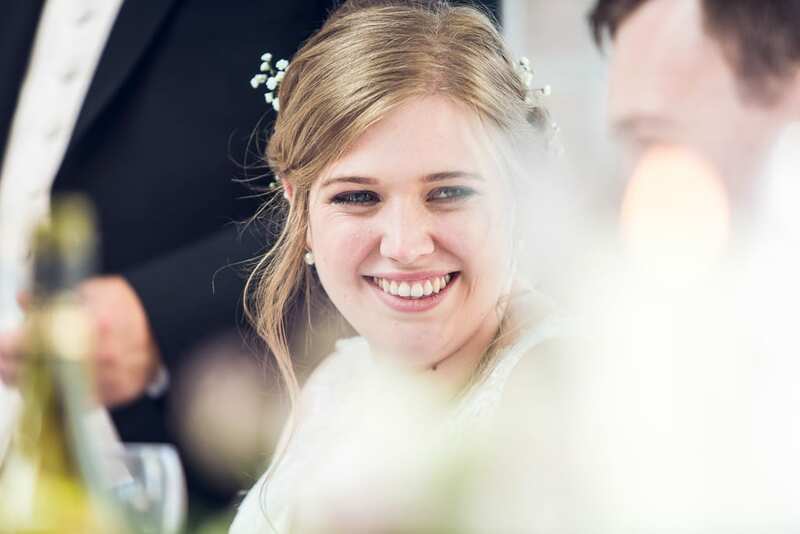 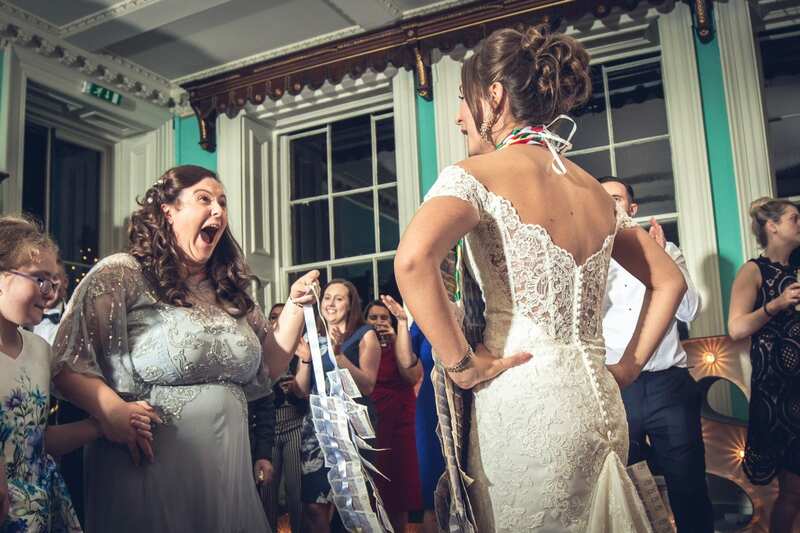 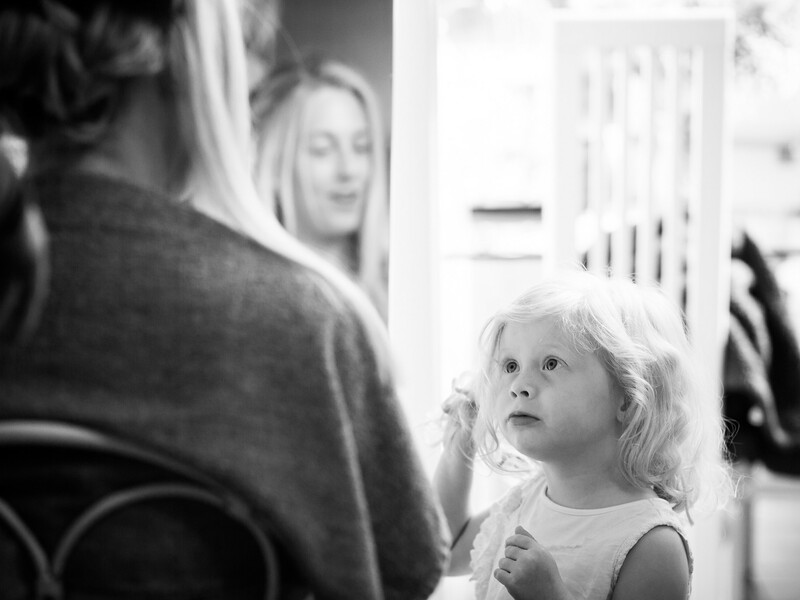 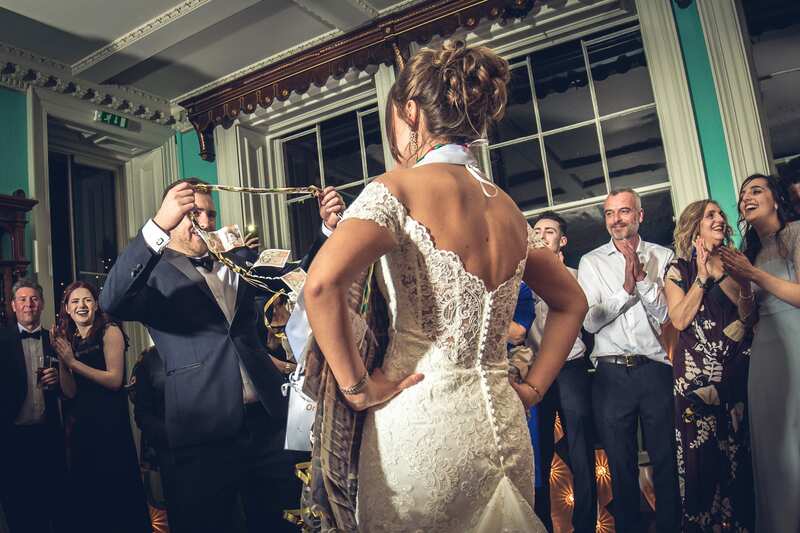 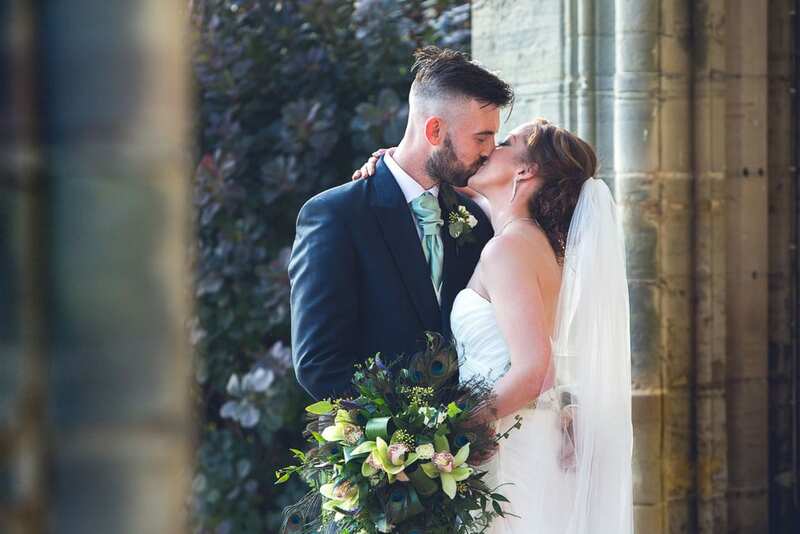 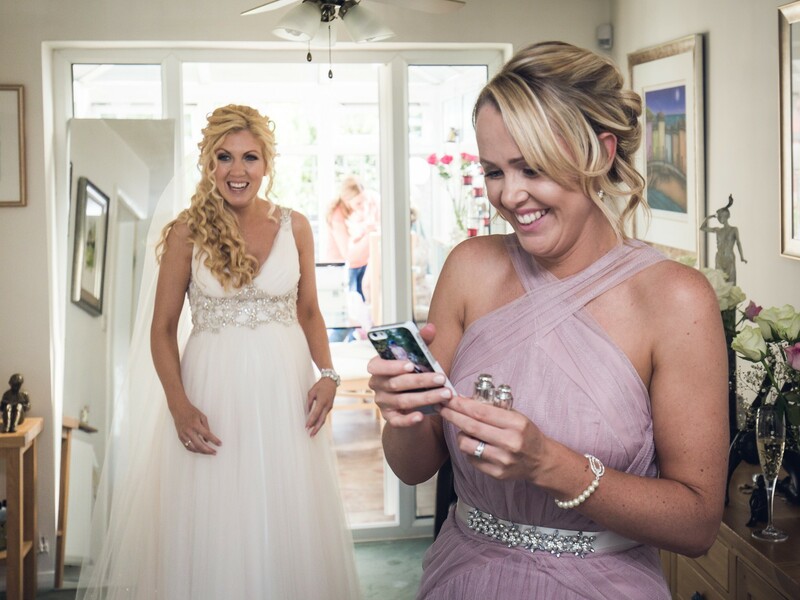 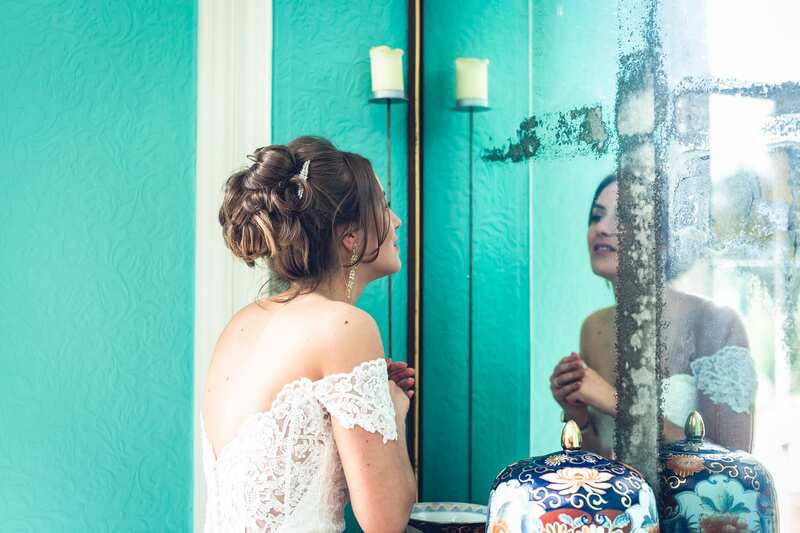 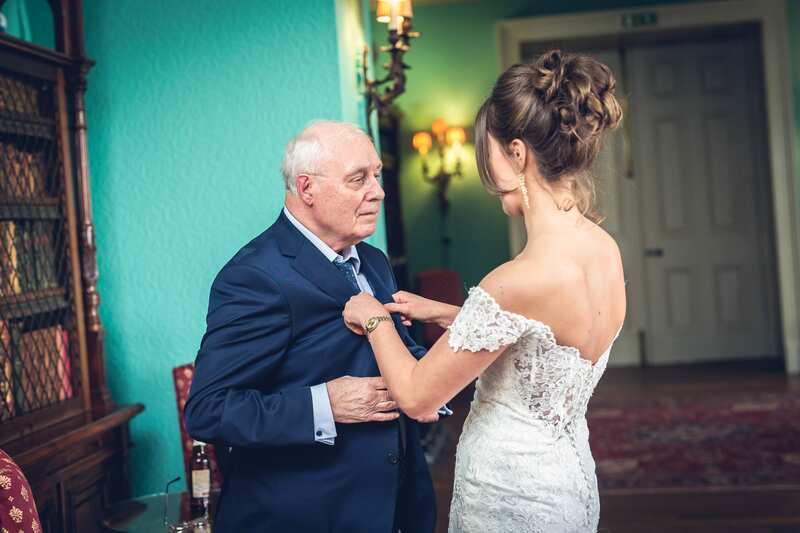 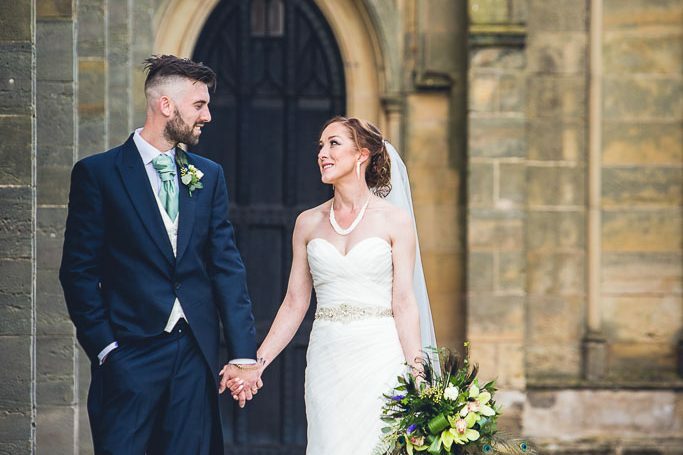 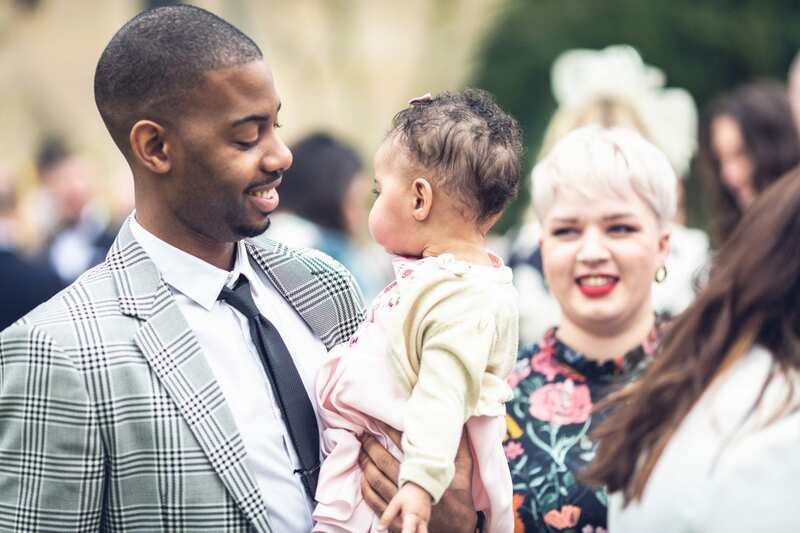 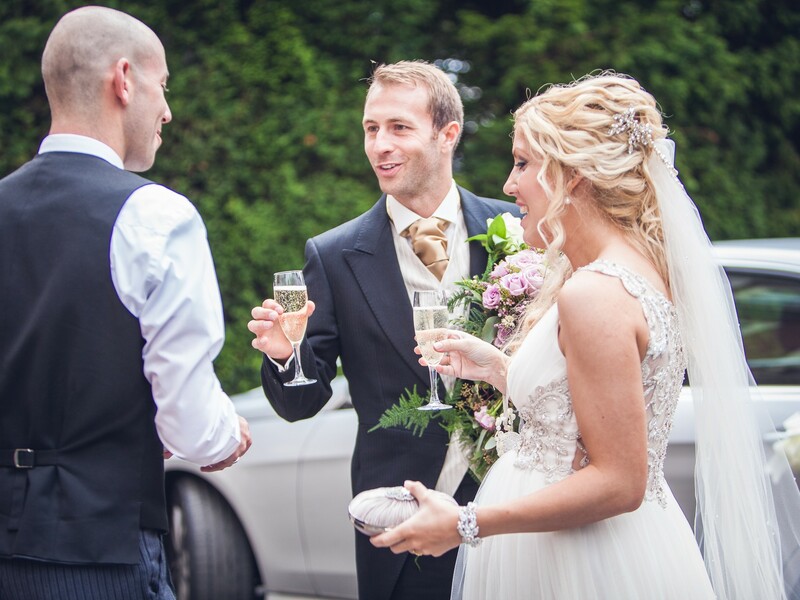 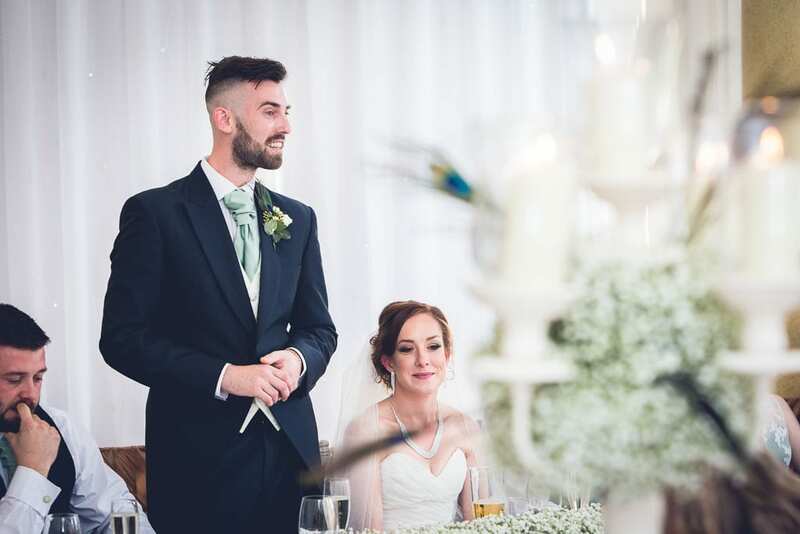 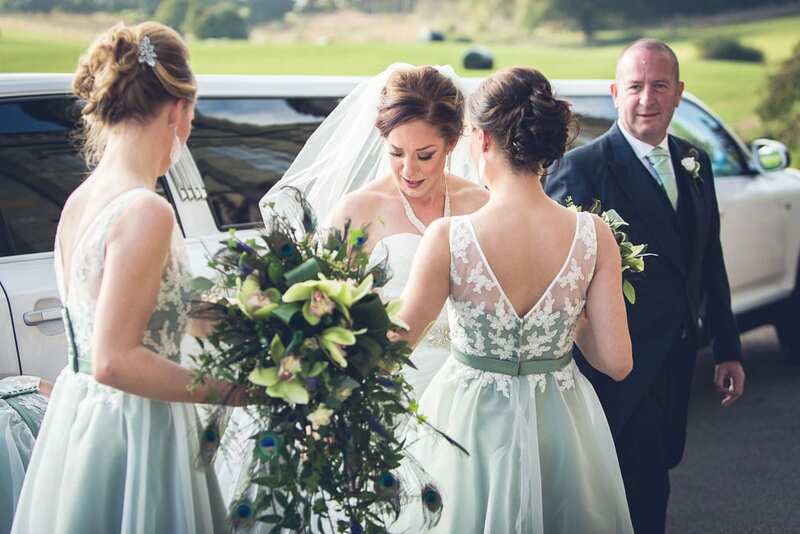 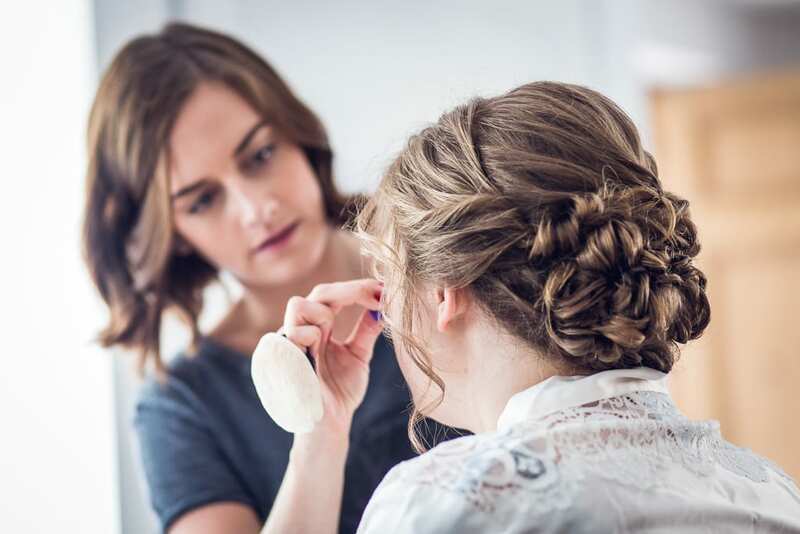 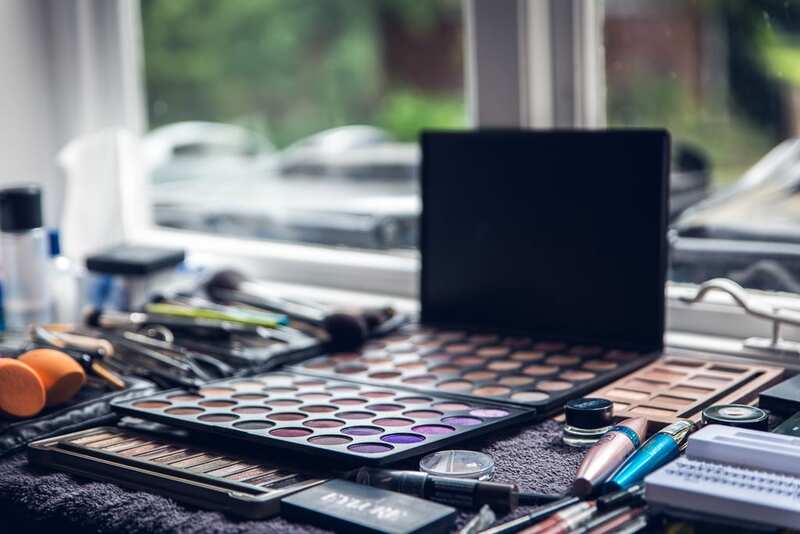 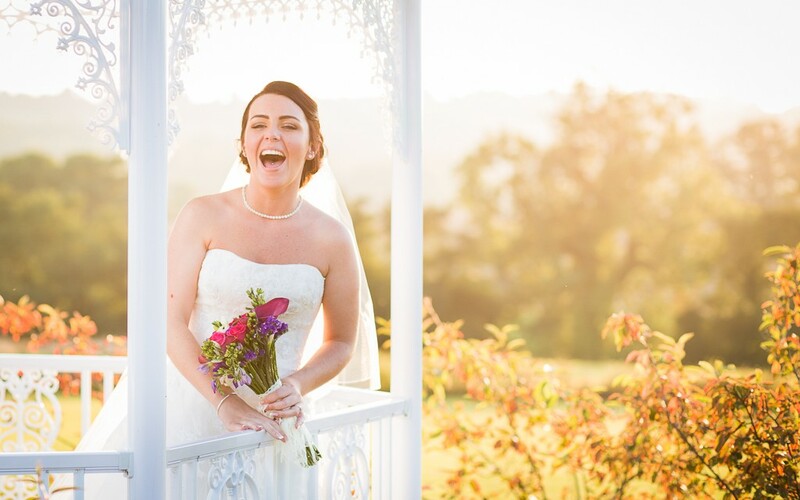 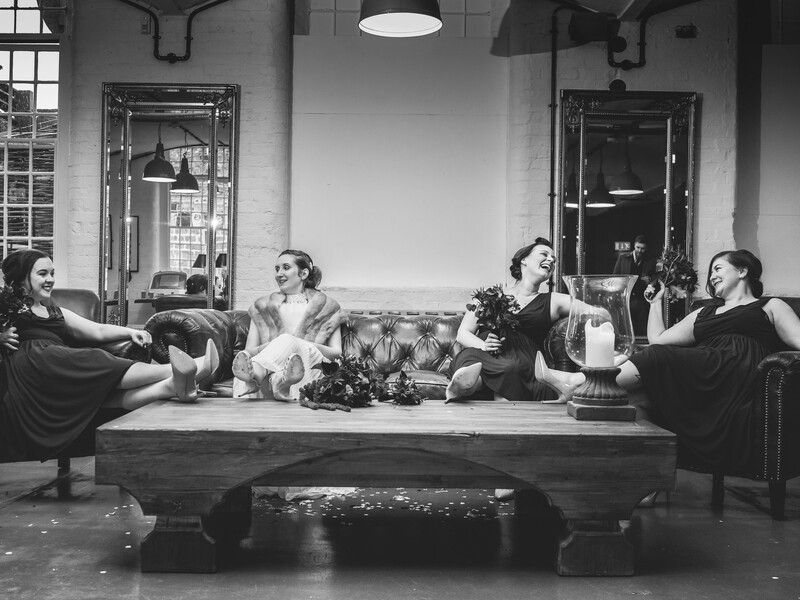 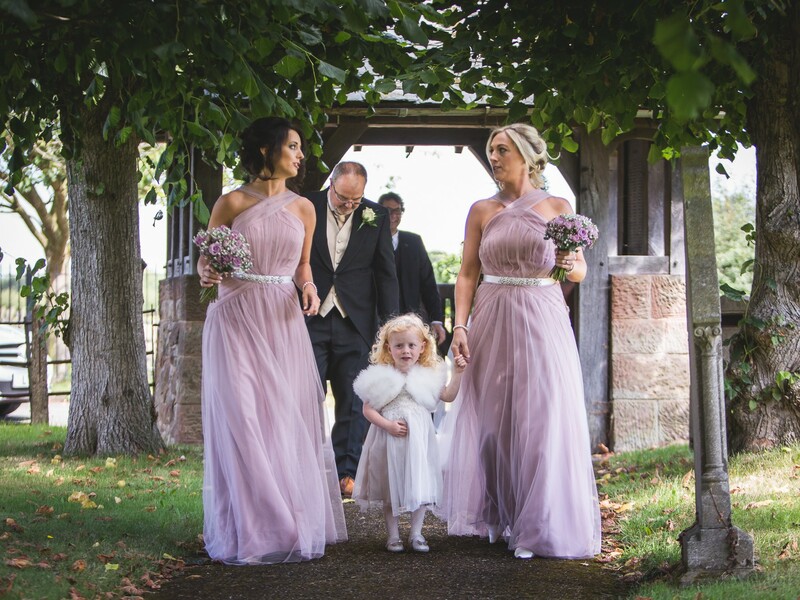 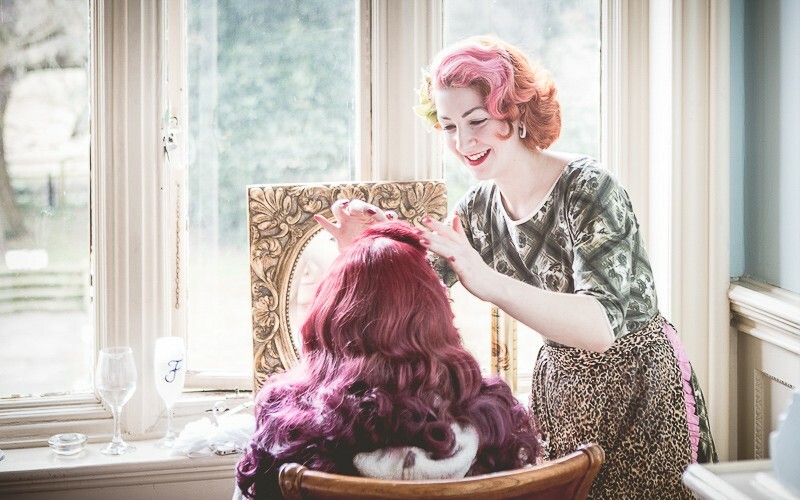 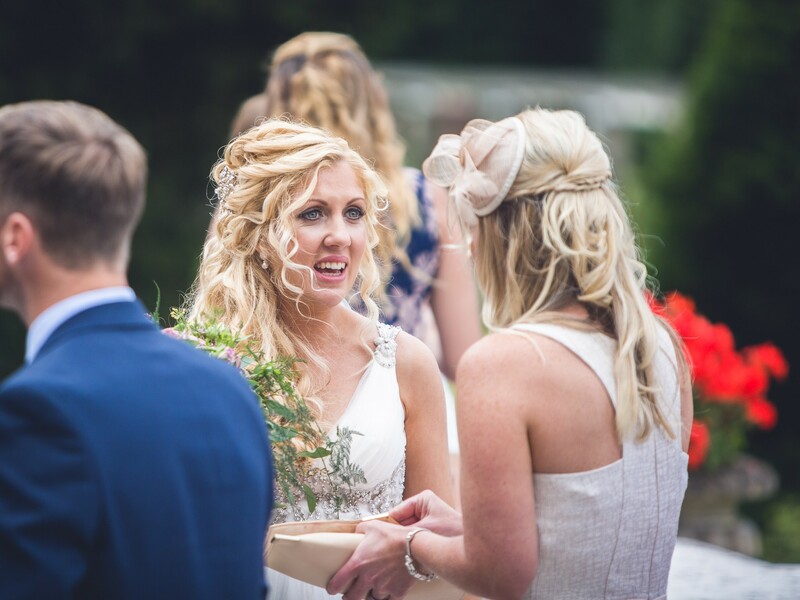 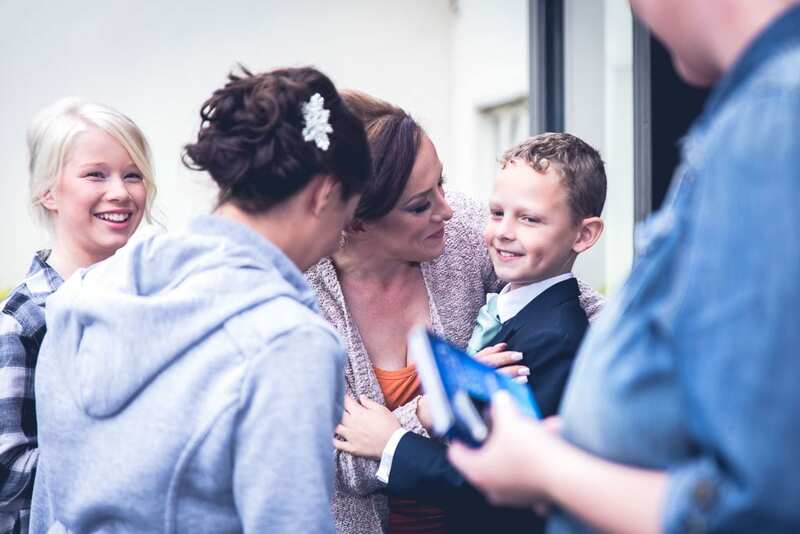 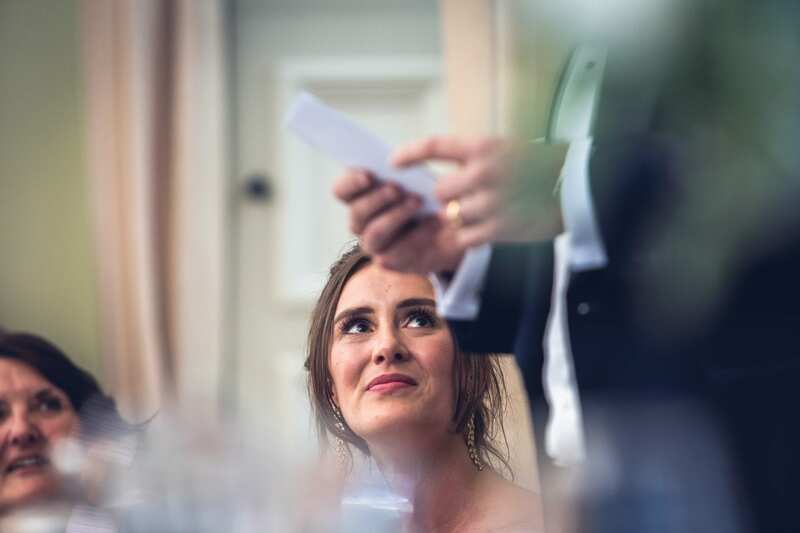 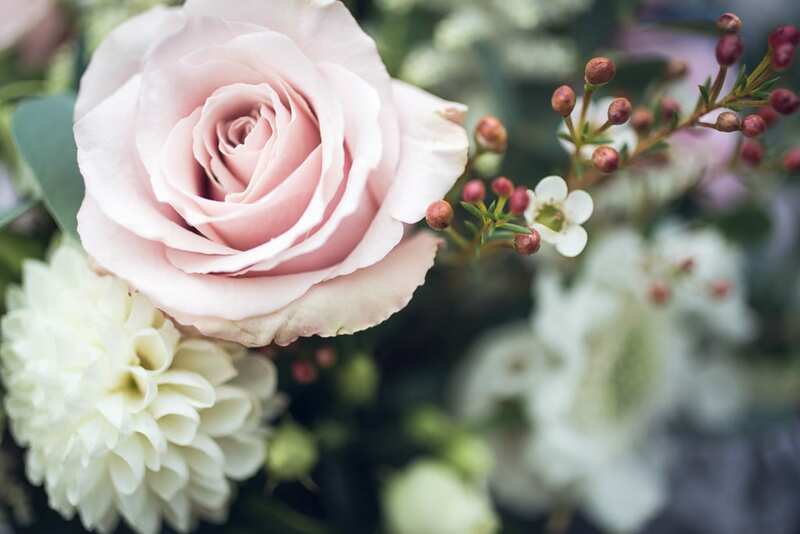 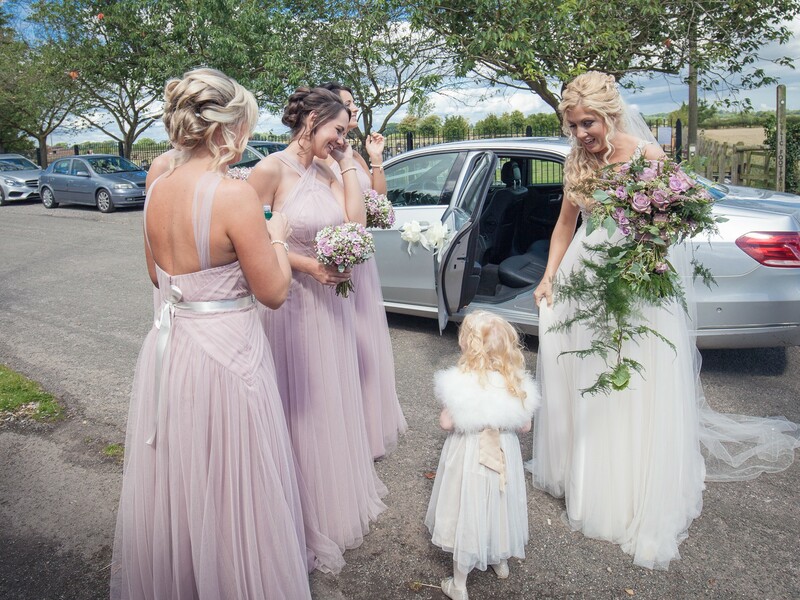 May brought the wedding of a good friend, Sarah – a local make-up artist who I have had the pleasure of working with on numerous occasions finally got her opportunity to be in the limelight and enjoy the star treatment that her clients get! 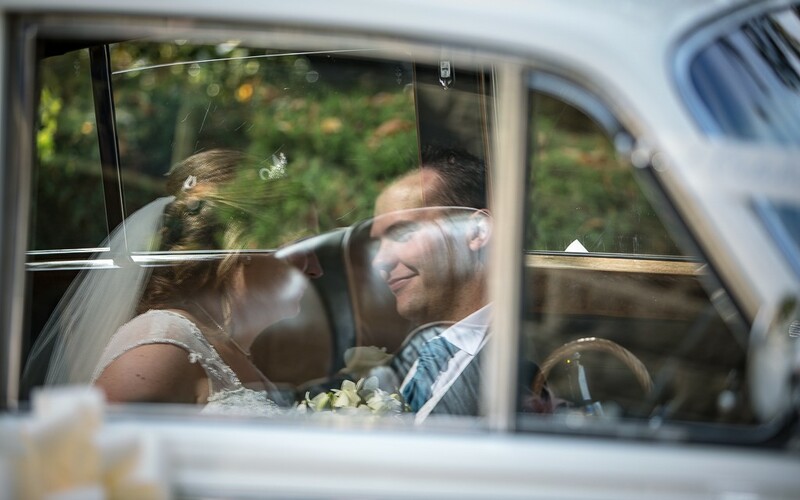 …and here we are in the summer months, and enjoying every moment of these superb couple’s big days! 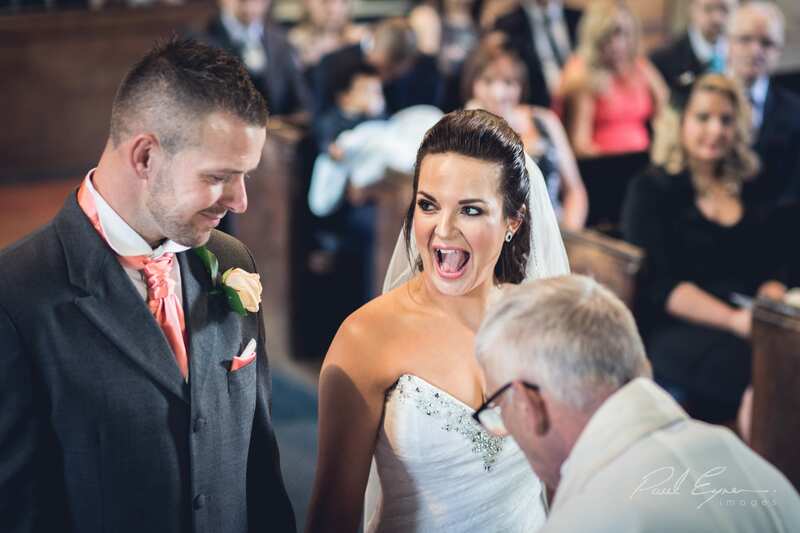 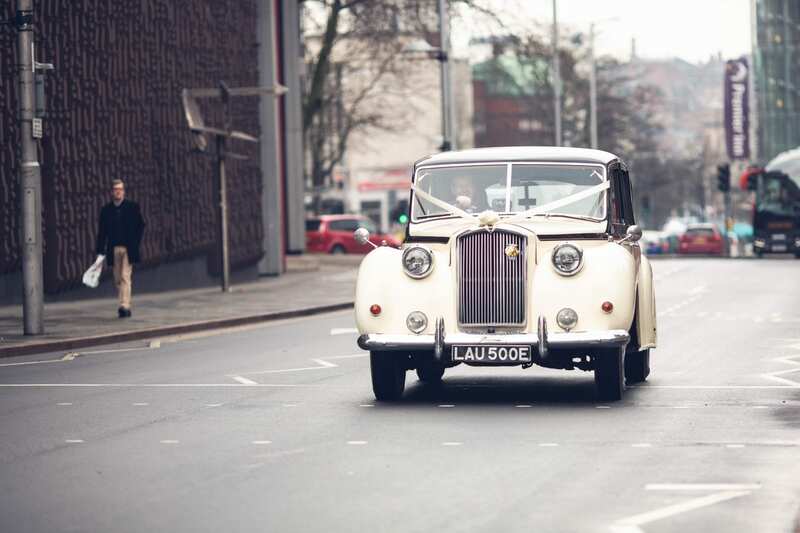 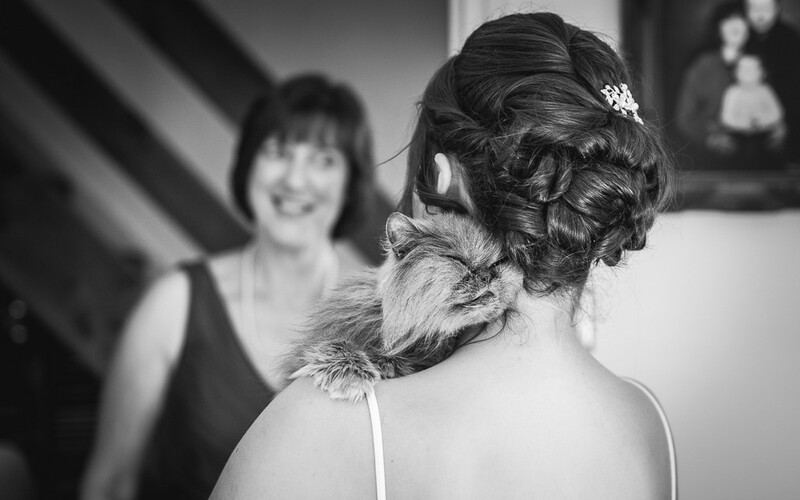 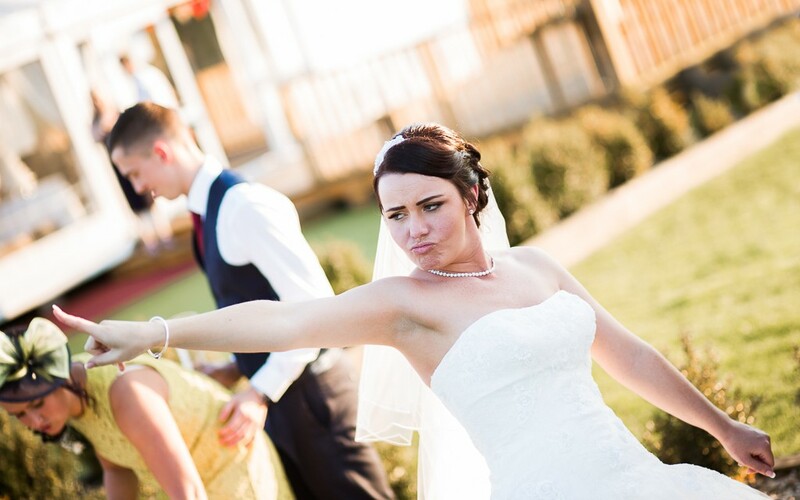 To see more from your Nottingham wedding photographer, find us on Facebook!